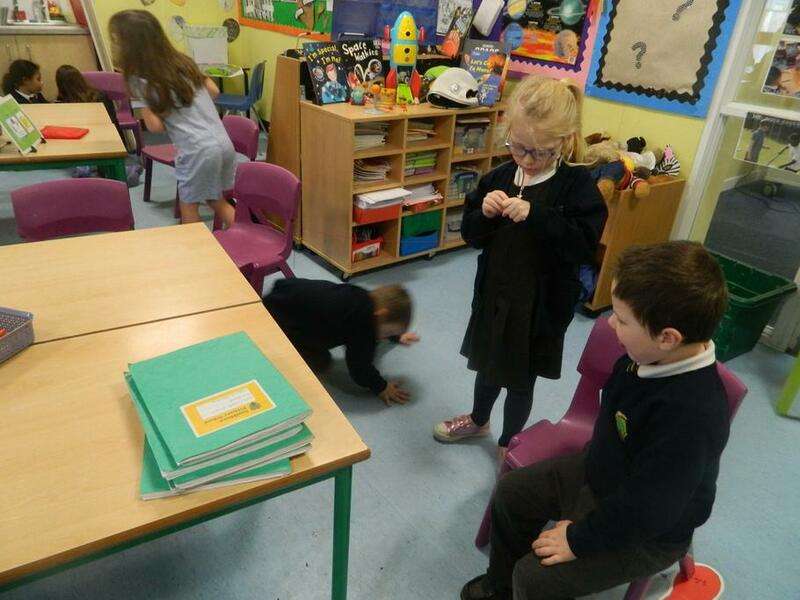 Mr Jay: Monday, Tuesday and Wednesday morning. 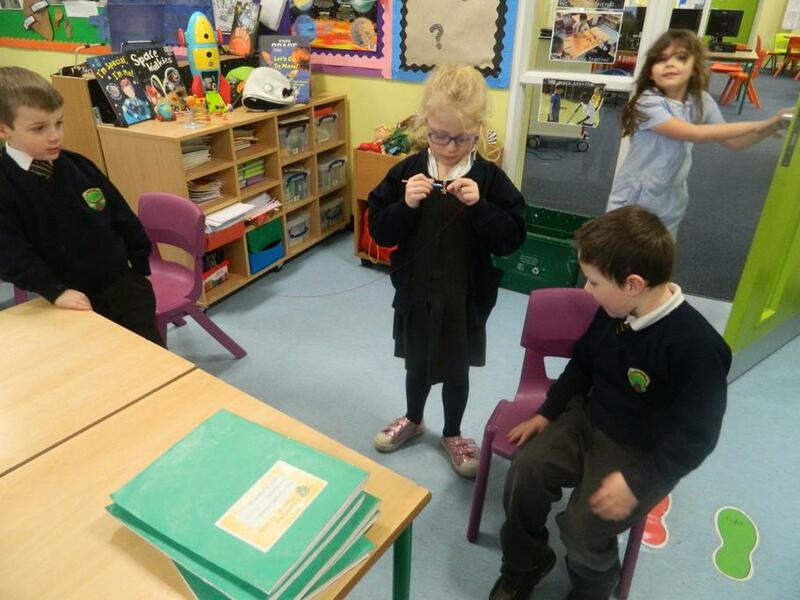 PE - Monday and Wednesday. 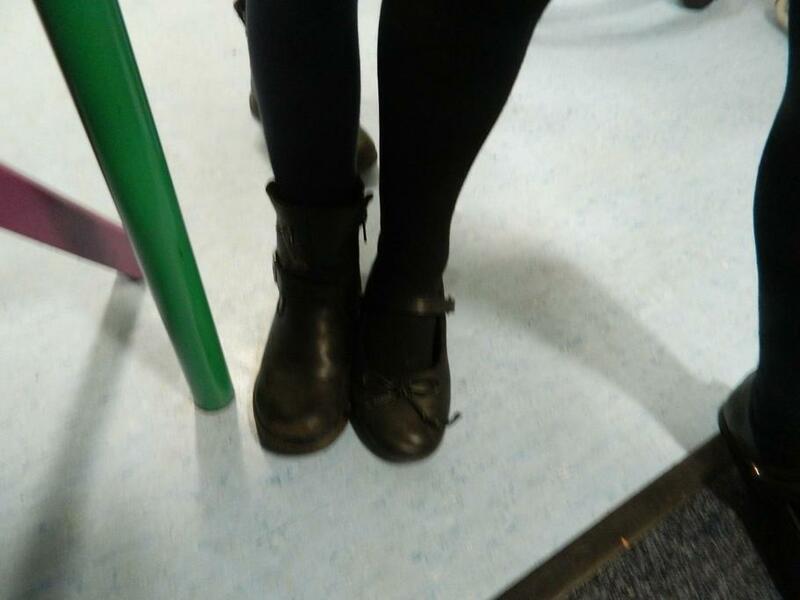 Please name children's clothes and remove jewellery for PE. 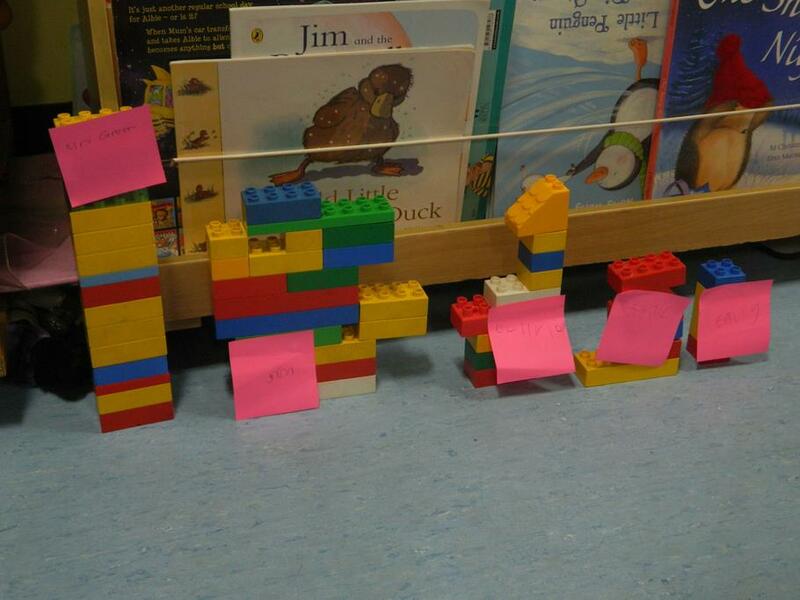 Library - Monday, but we can change more regularly! 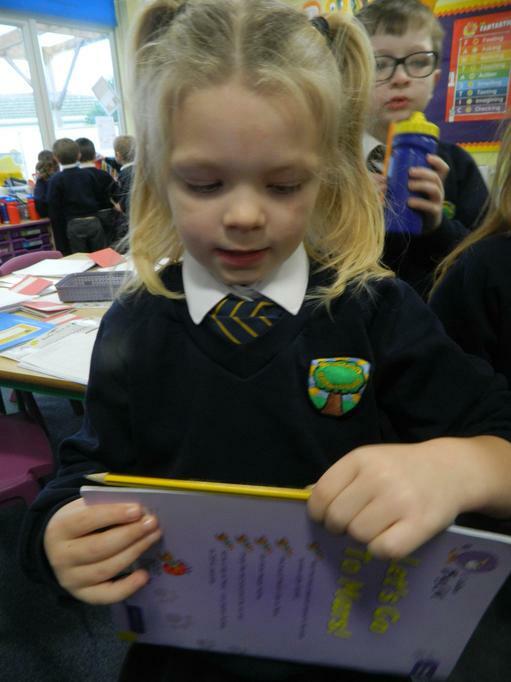 We aim to read with every child during the week - please send in reading books and reading records for us to comment in. 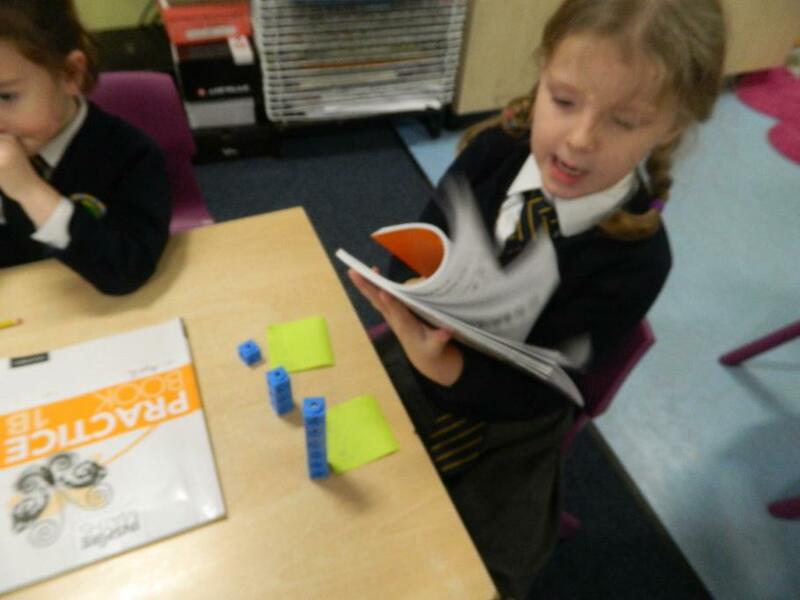 Homework - we ask that children read regularly at home. 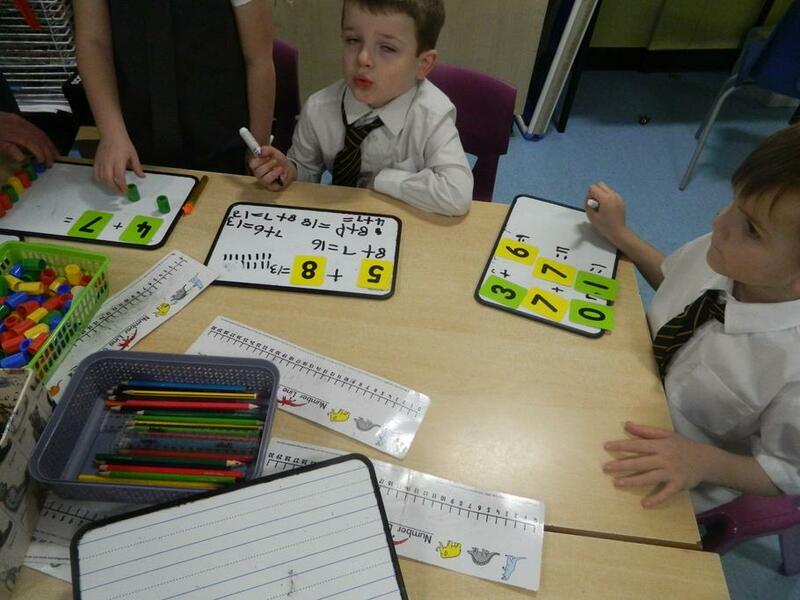 Handwriting practice, maths and spellings will be sent home when appropriate. 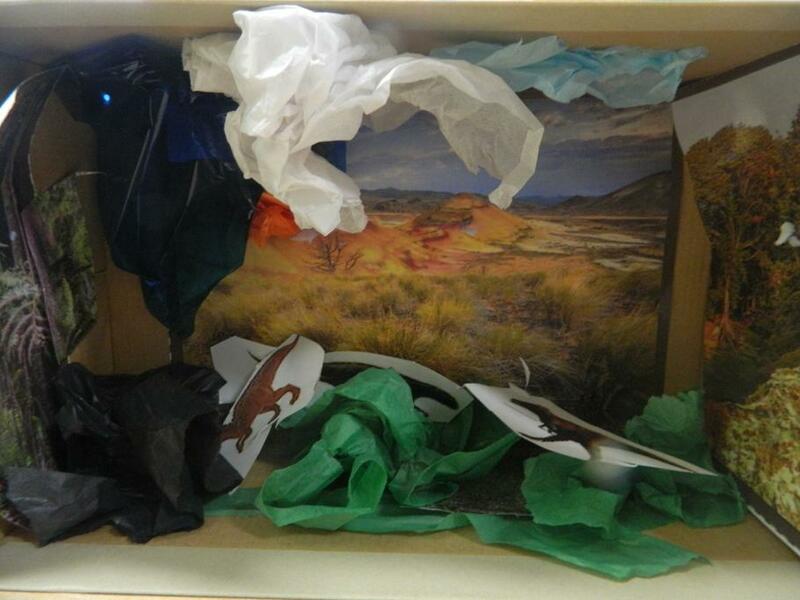 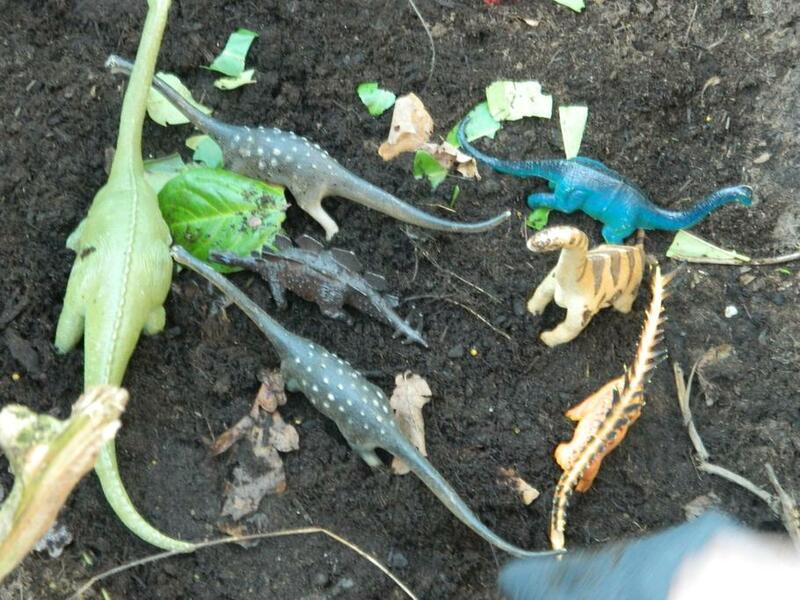 Our Spring 2 topic is called Dinosaur Planet... We will be learning about dinosaurs, herbivores, carnivores, differences in modern and prehistoric life and significant people/ discoveries in history. 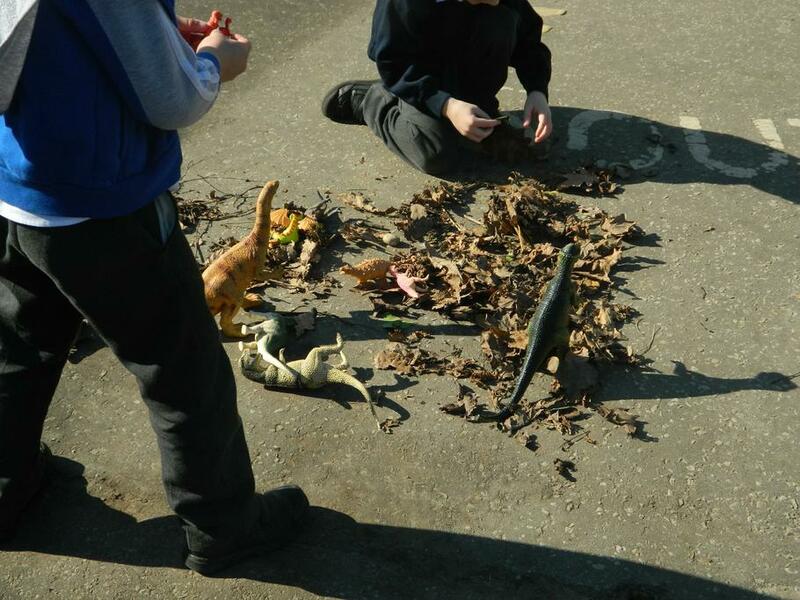 Dinosaur Planet! 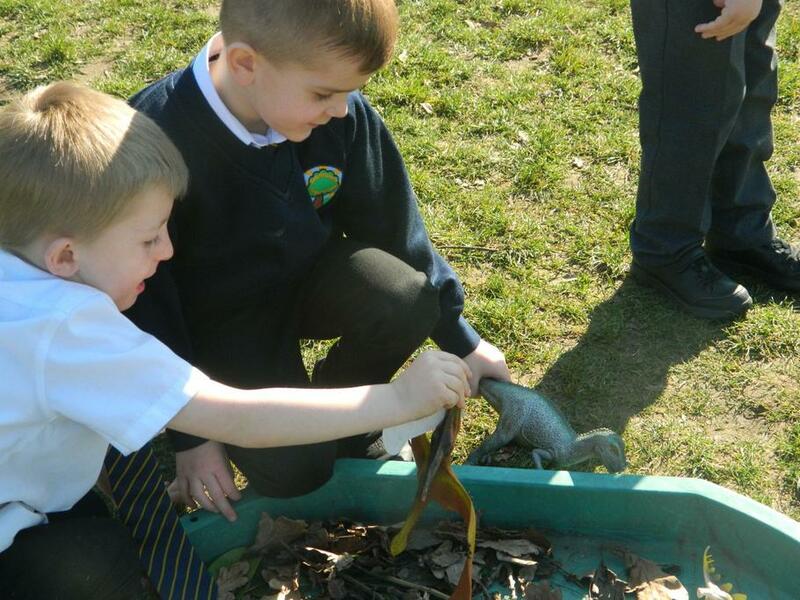 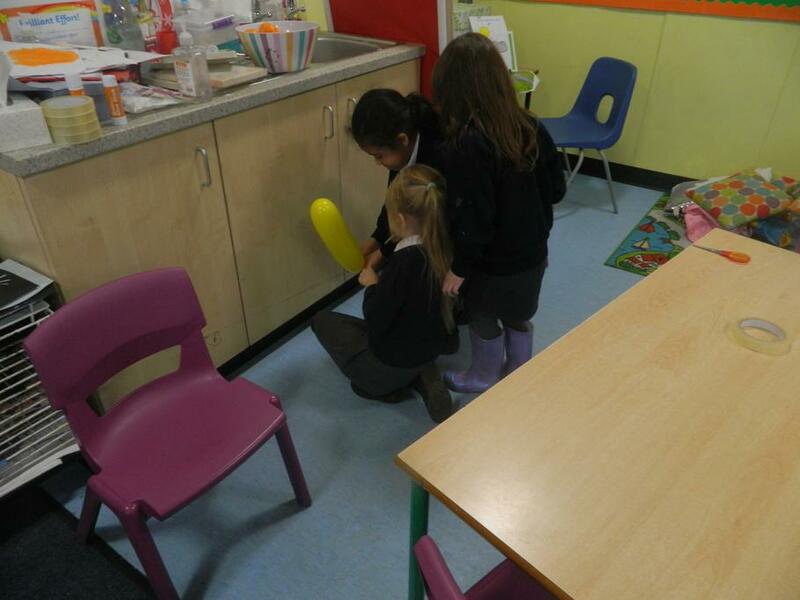 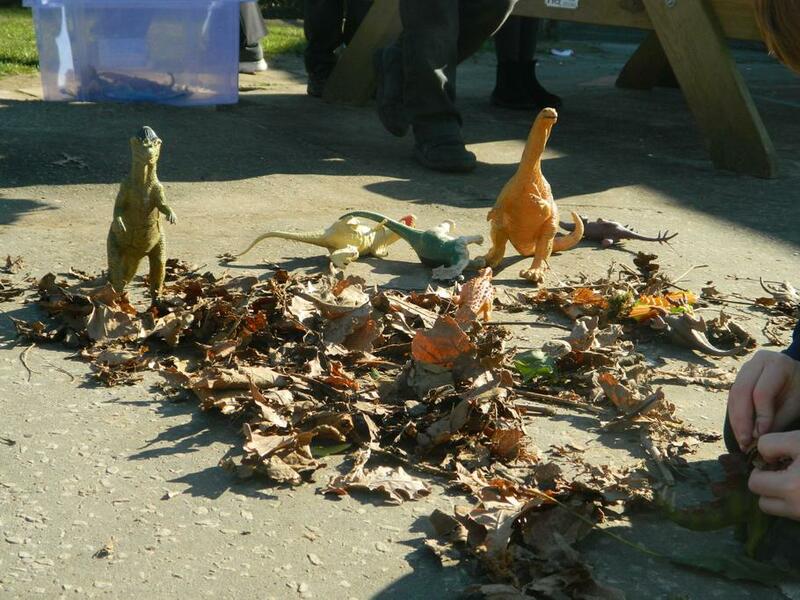 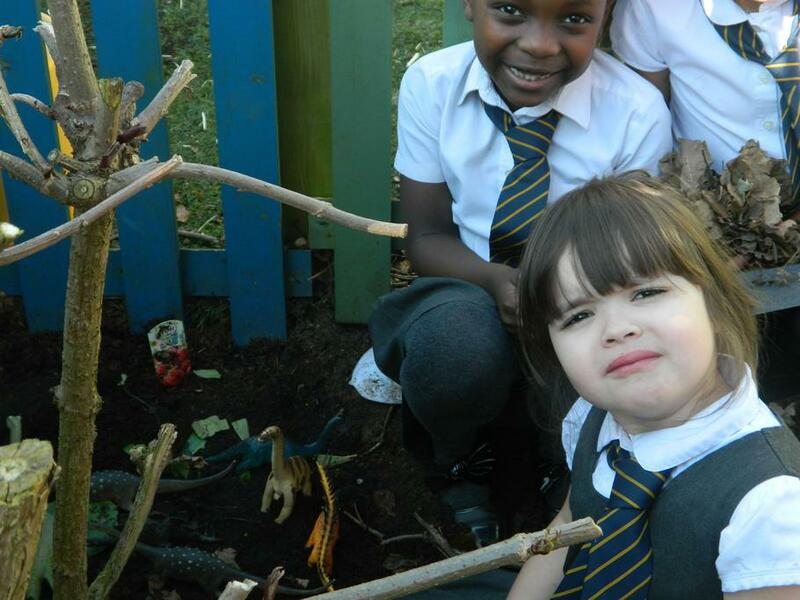 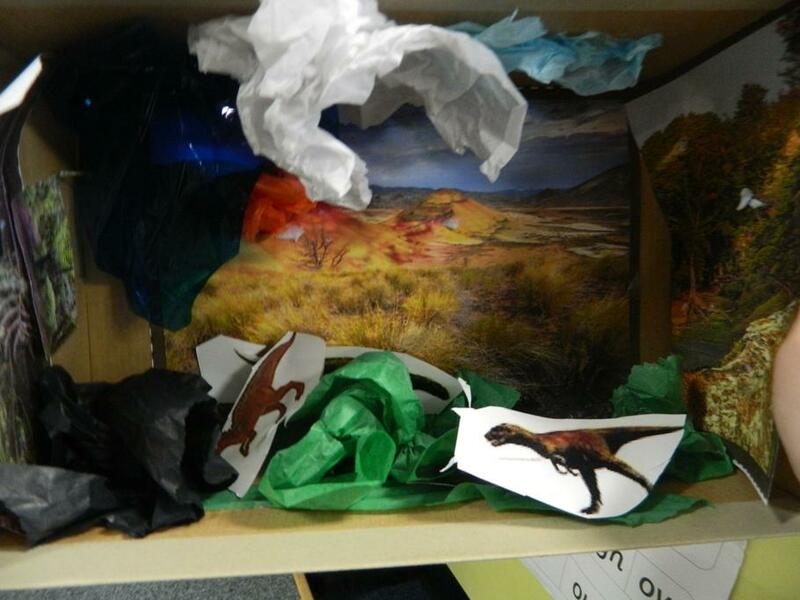 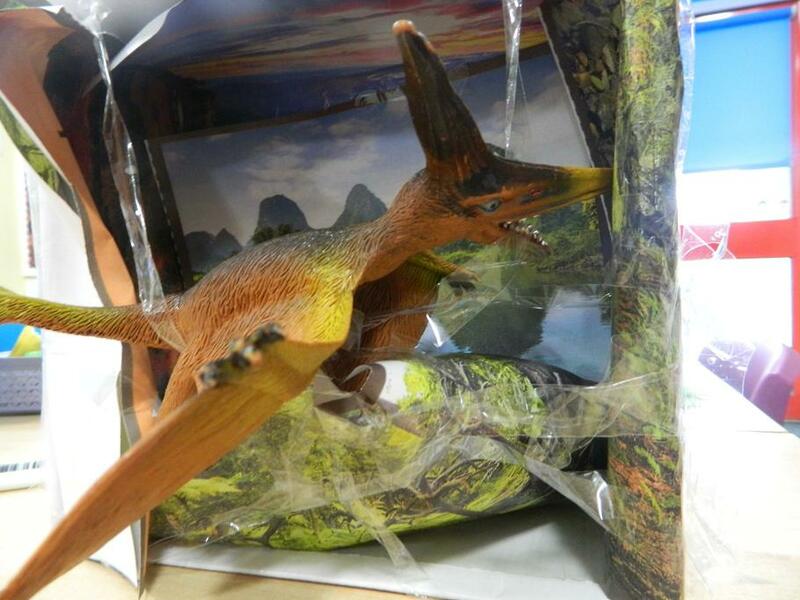 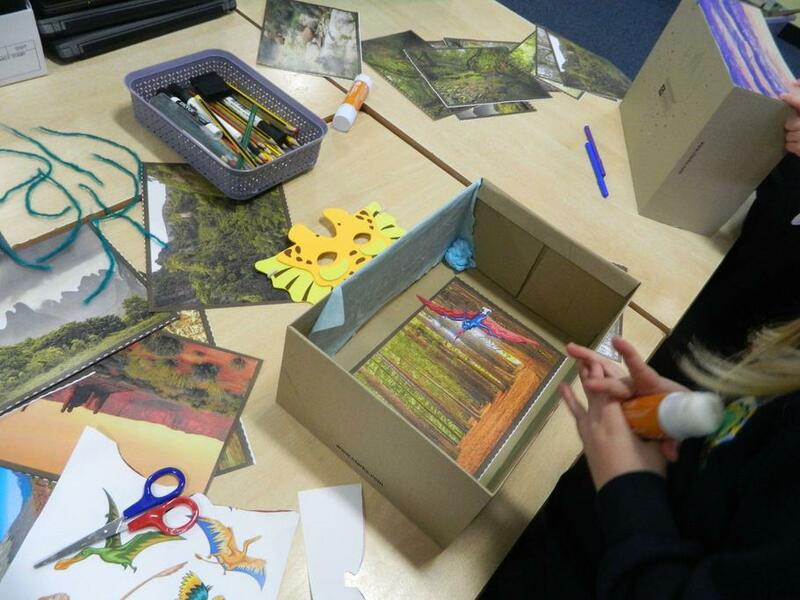 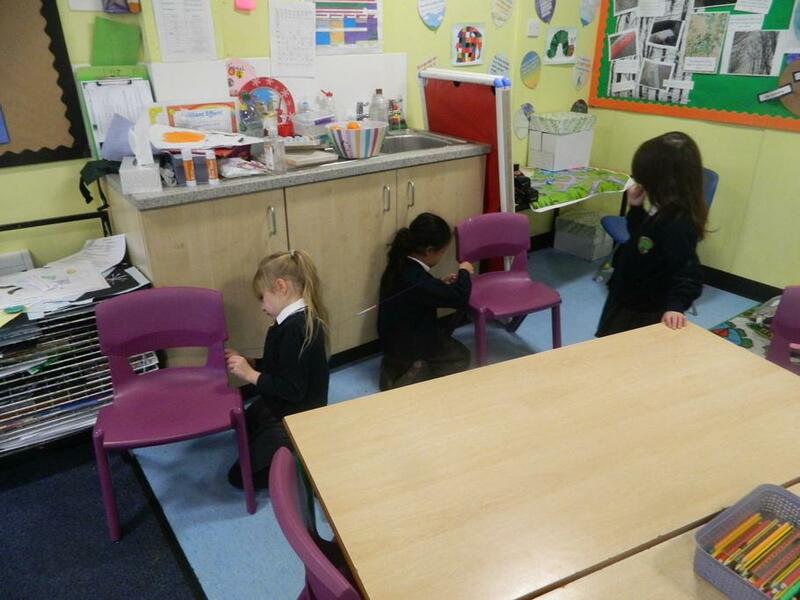 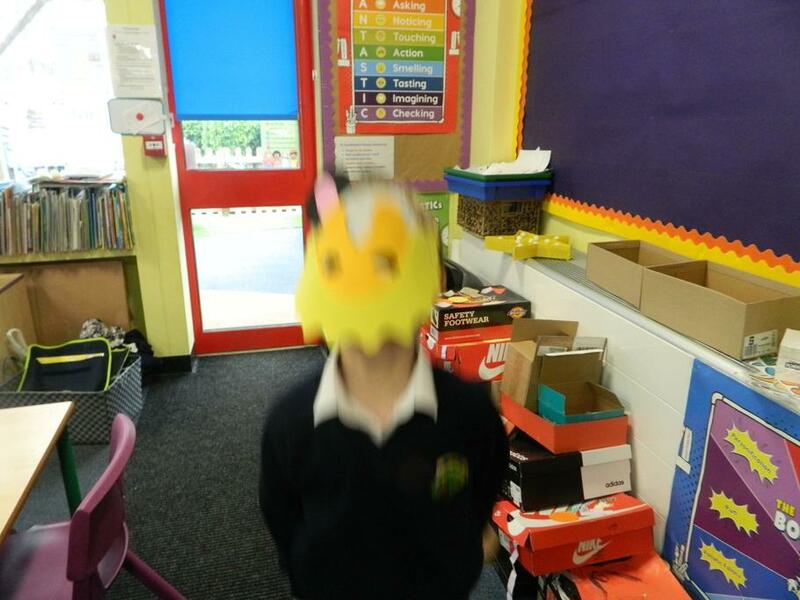 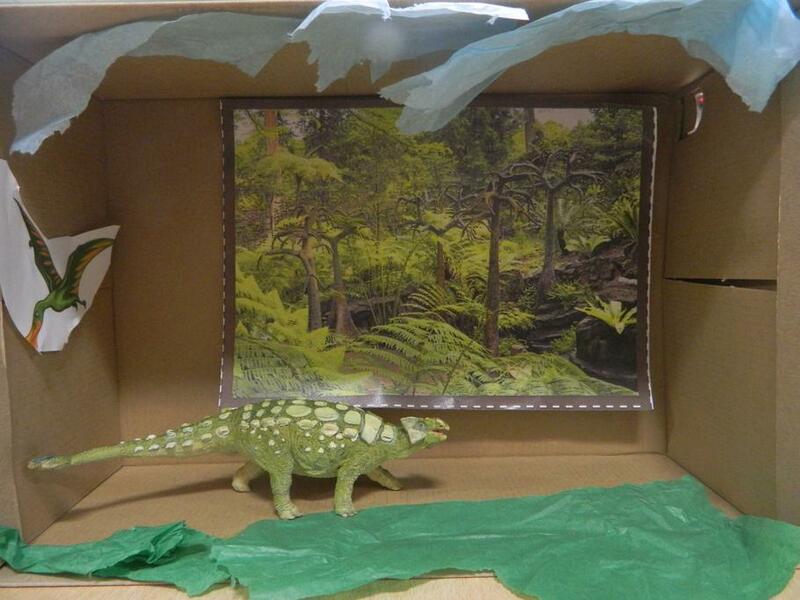 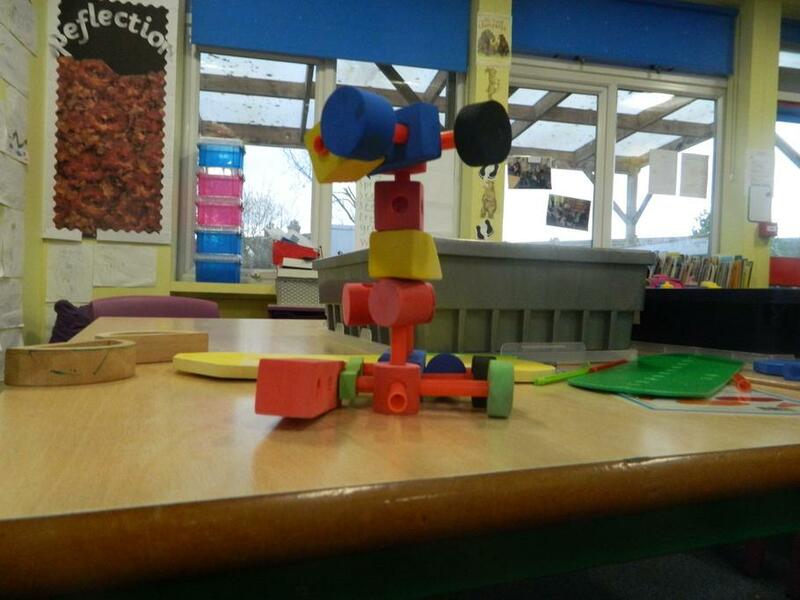 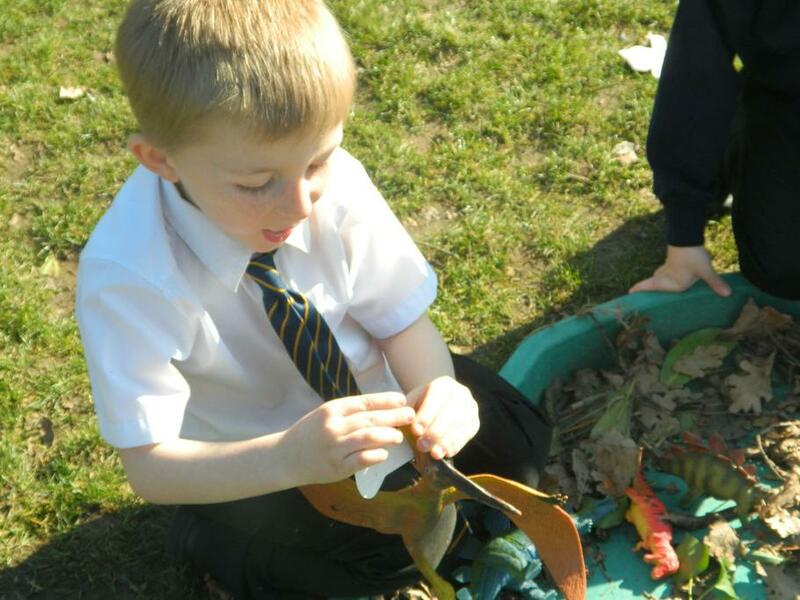 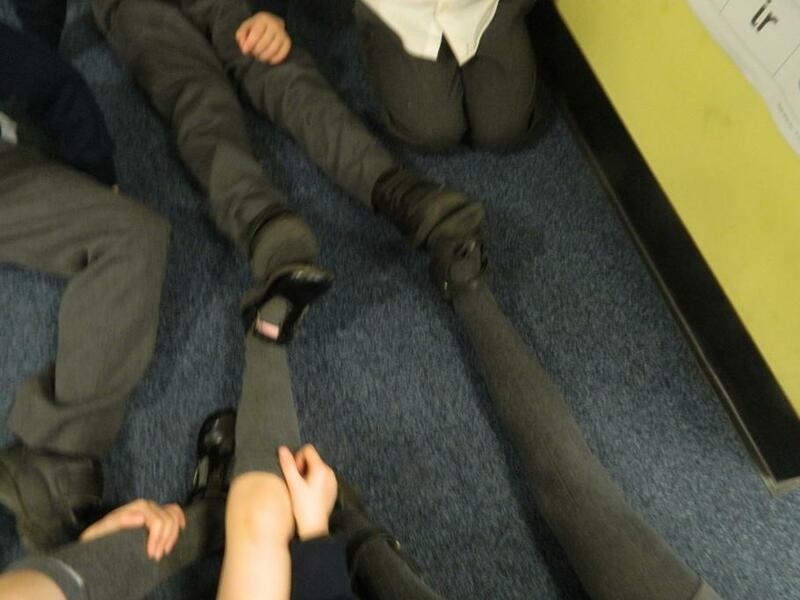 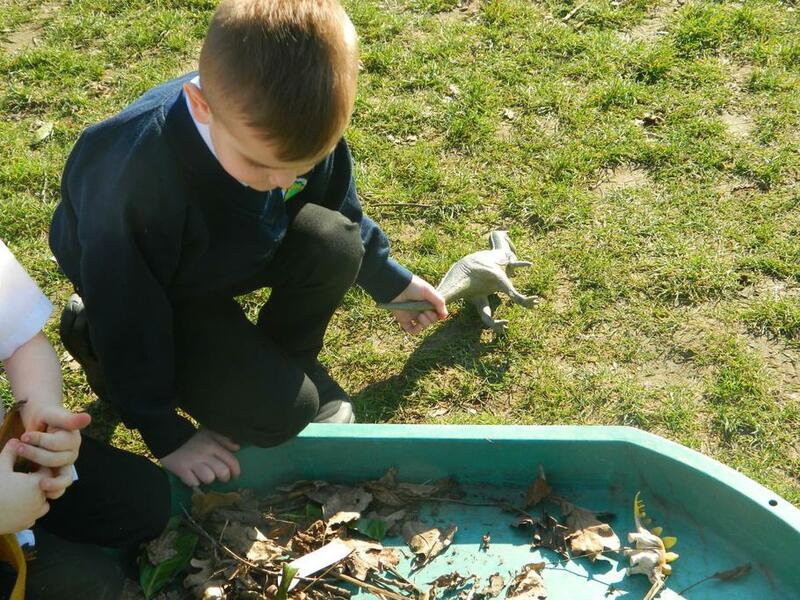 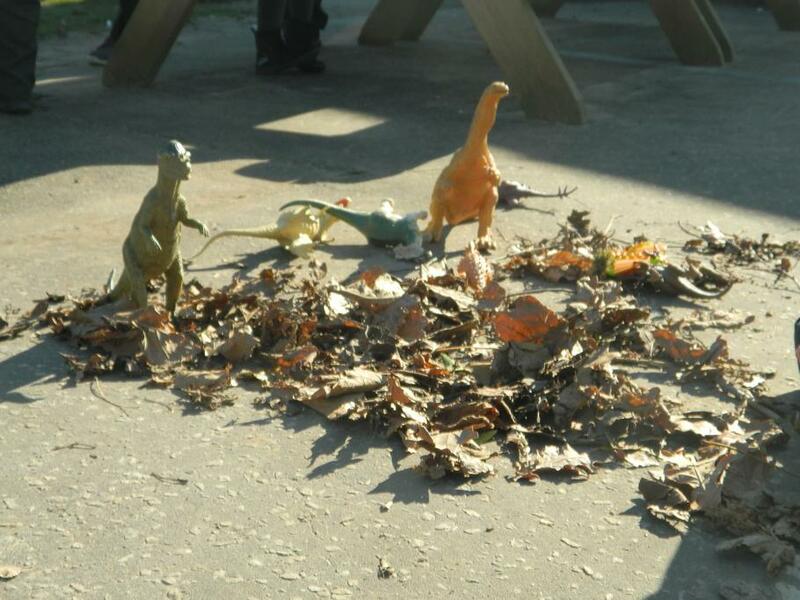 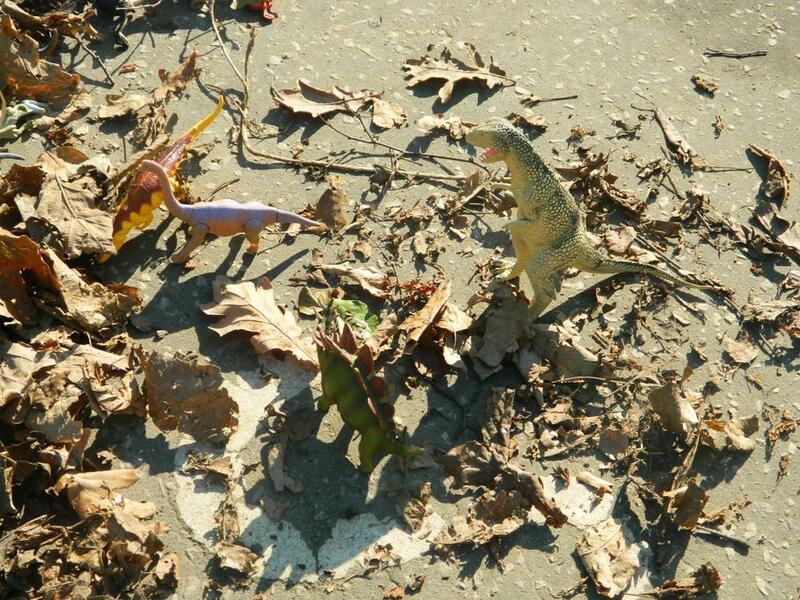 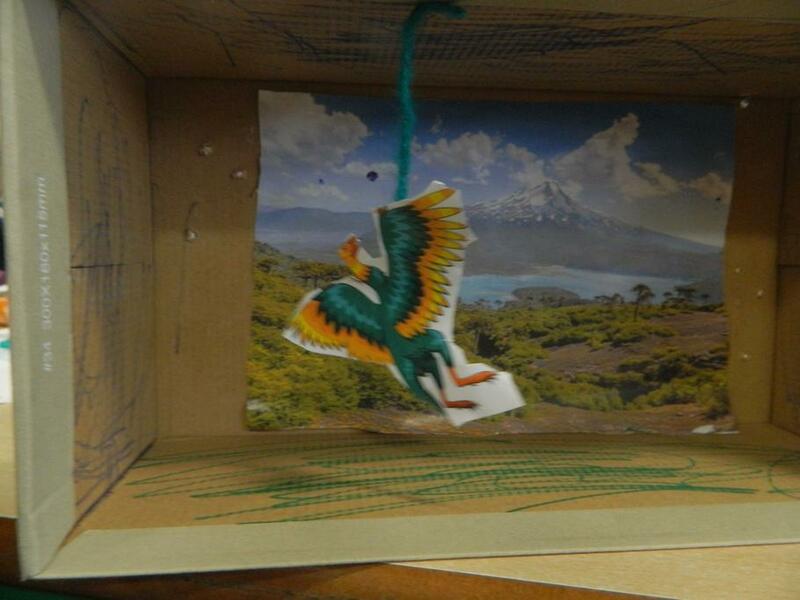 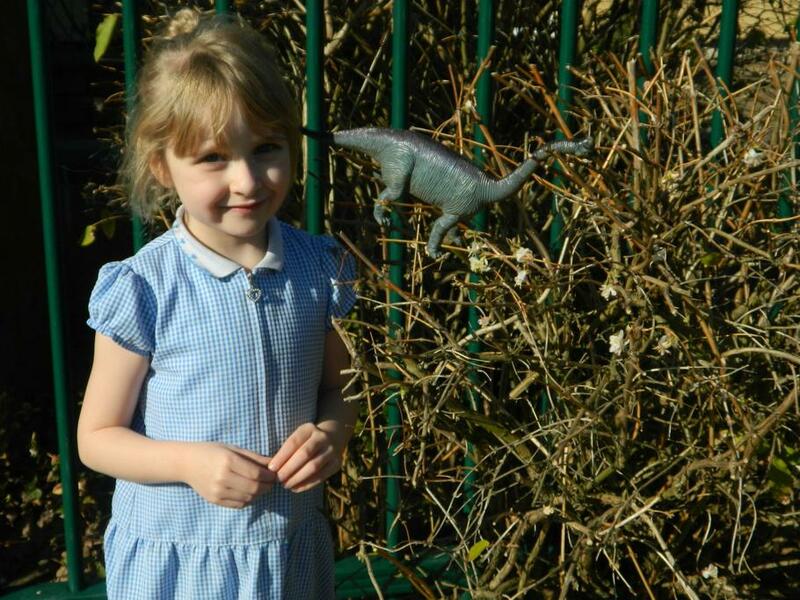 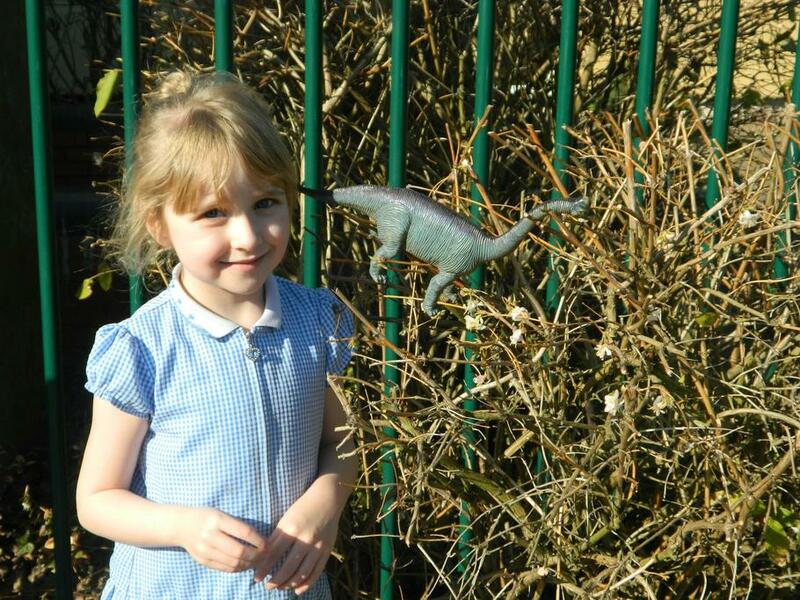 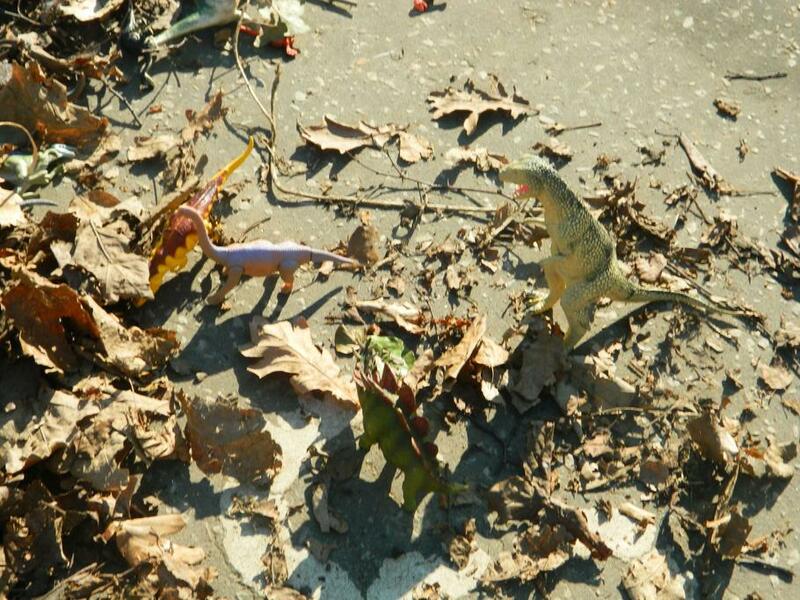 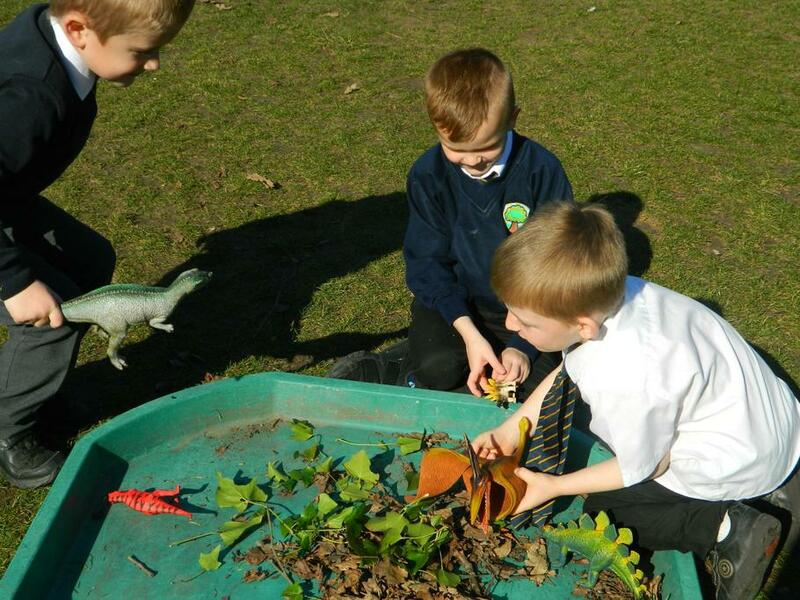 Check out some of our photographs from our new dinosaur topic...lots of learning and collaboration! 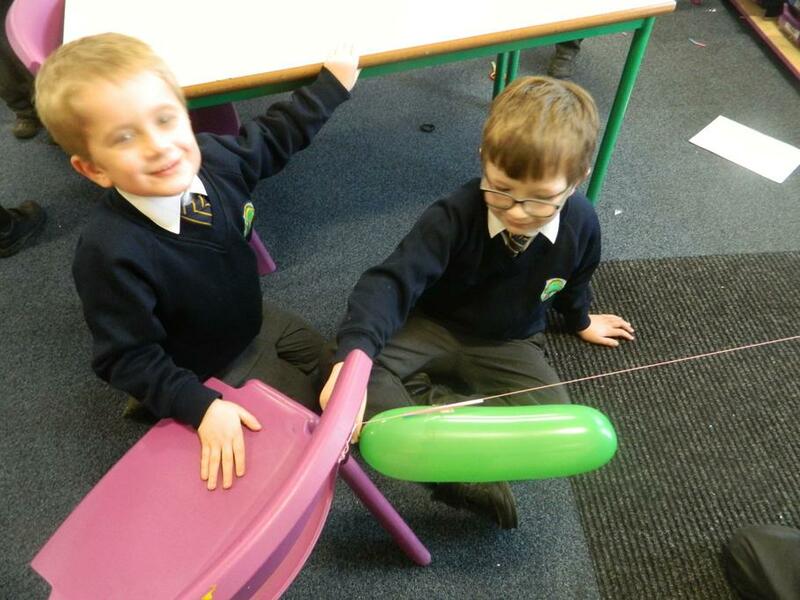 Our topic for Spring 1 half term will take us on an adventure into space! 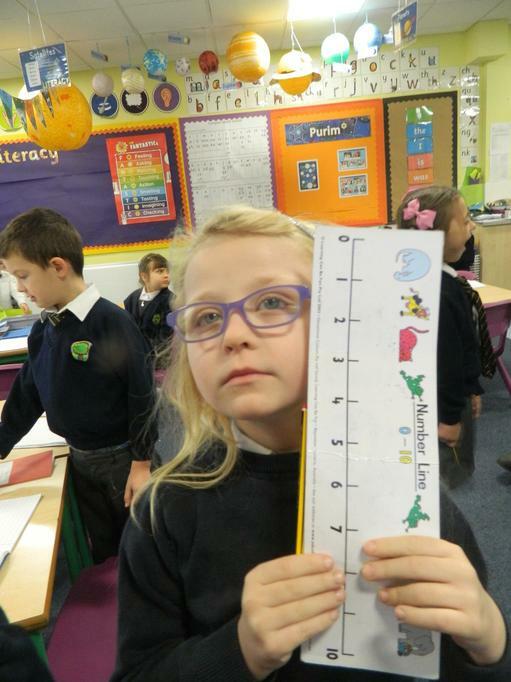 We are going to learn about the solar system and space travel. 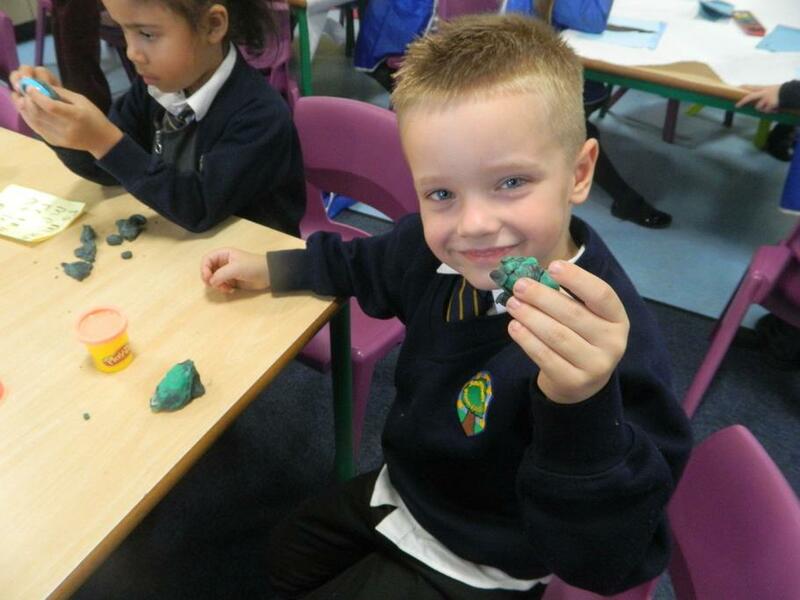 We will find out about planets and stars, create aliens, explore texts and learn about astronauts. 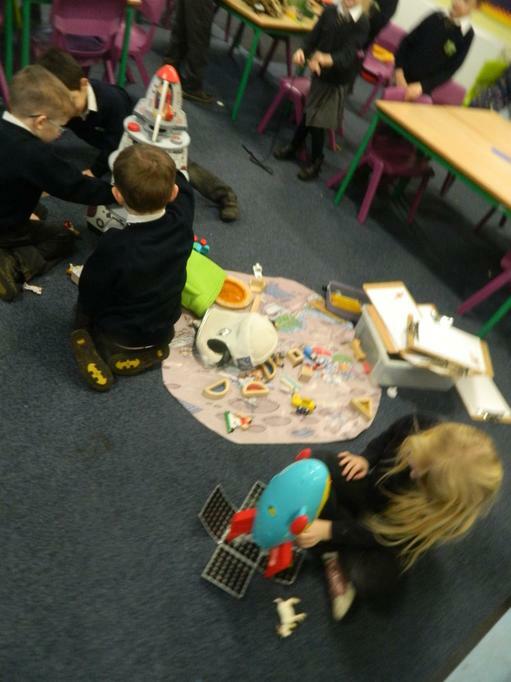 Please bring in any space related books or toys from home to share and take some time to complete a home learning project following the instructions sent home at the end of December. 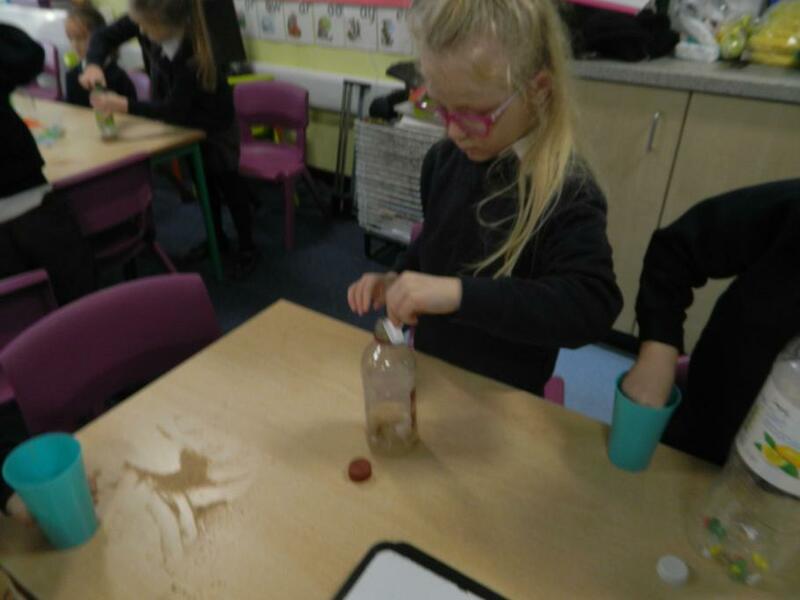 We made an exciting discovery! 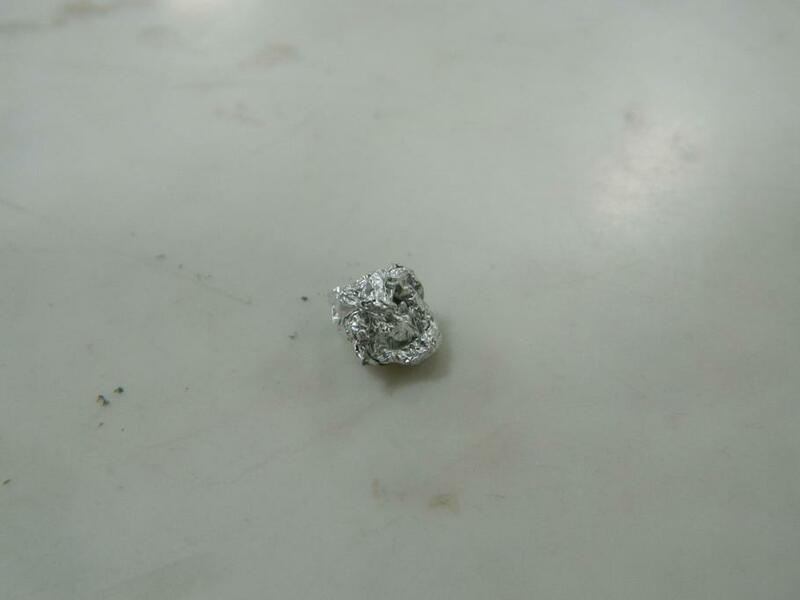 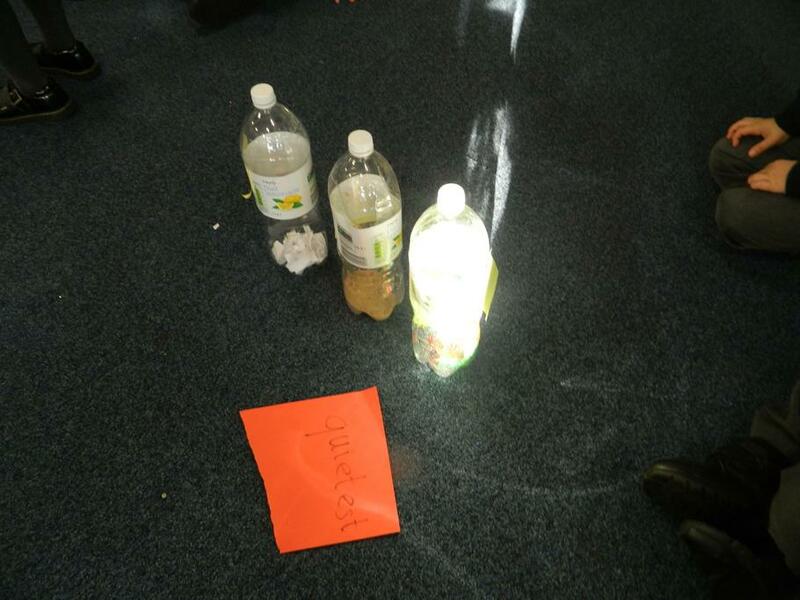 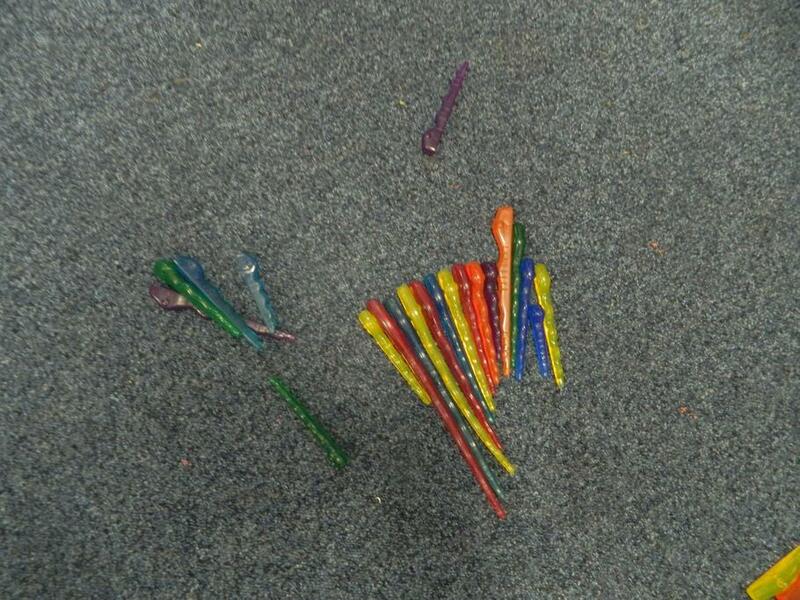 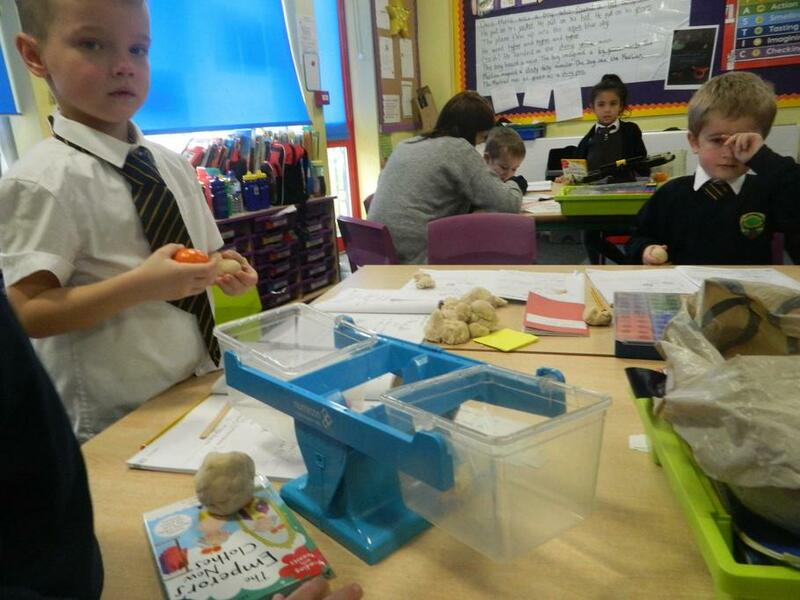 Then we investigated some samples back in class. 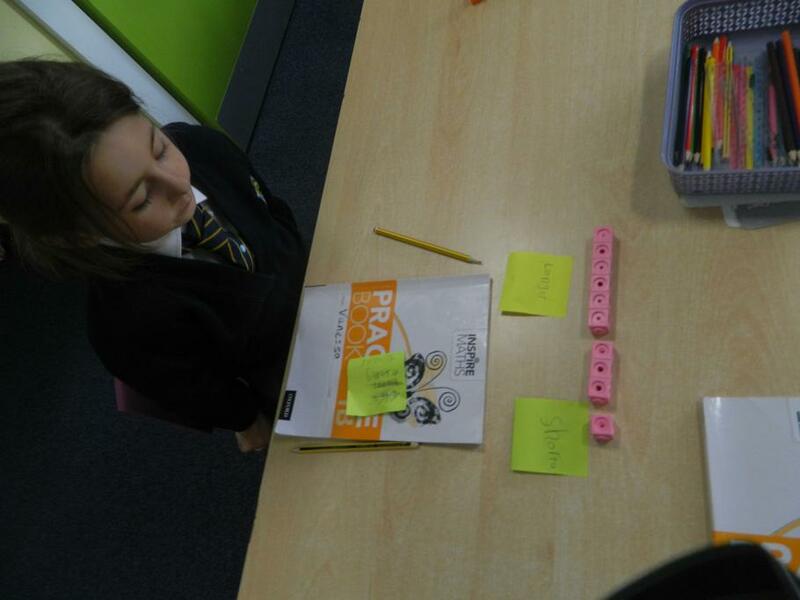 lots of cross curricula learning in topic lessons! 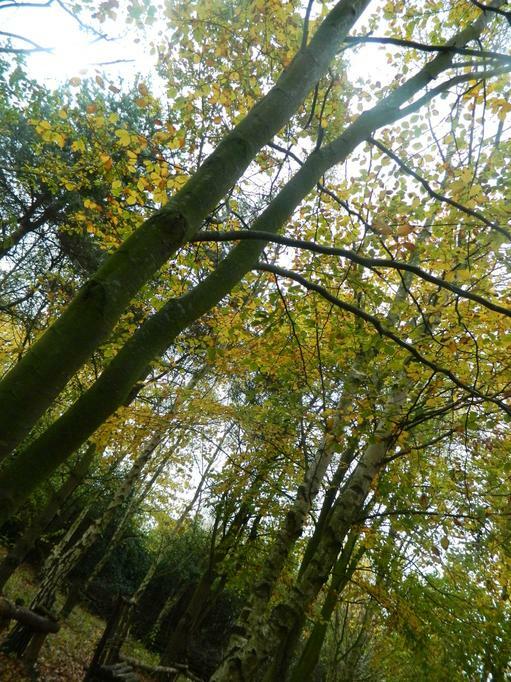 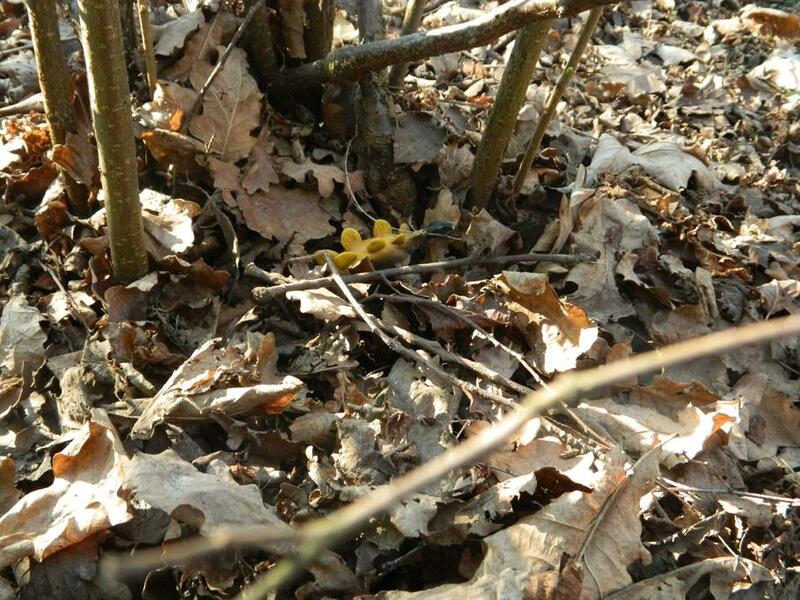 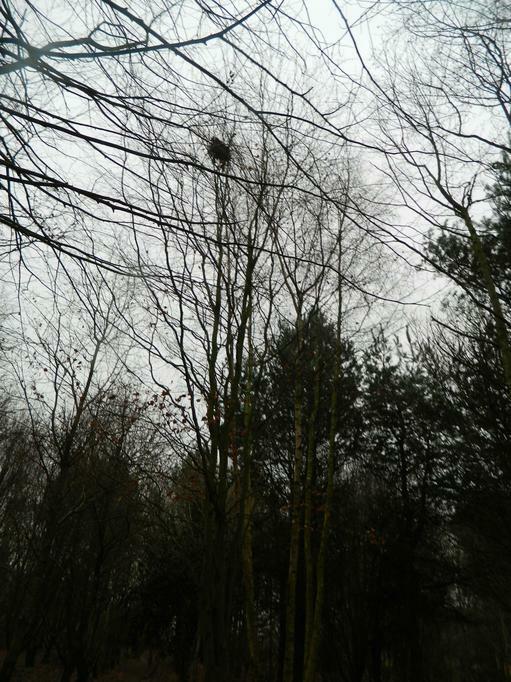 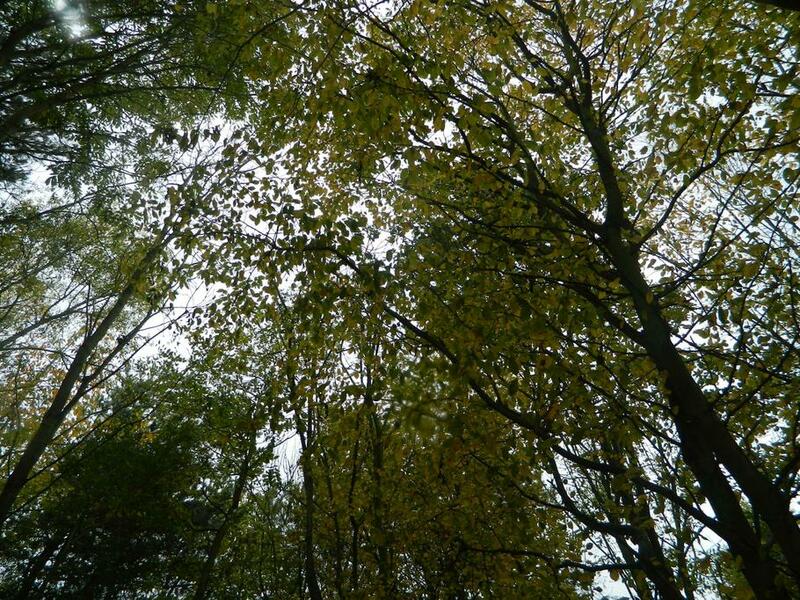 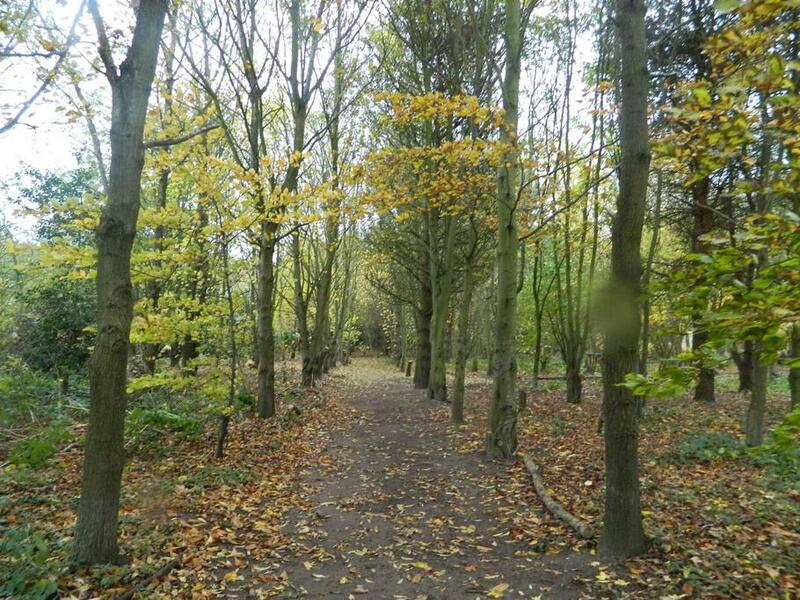 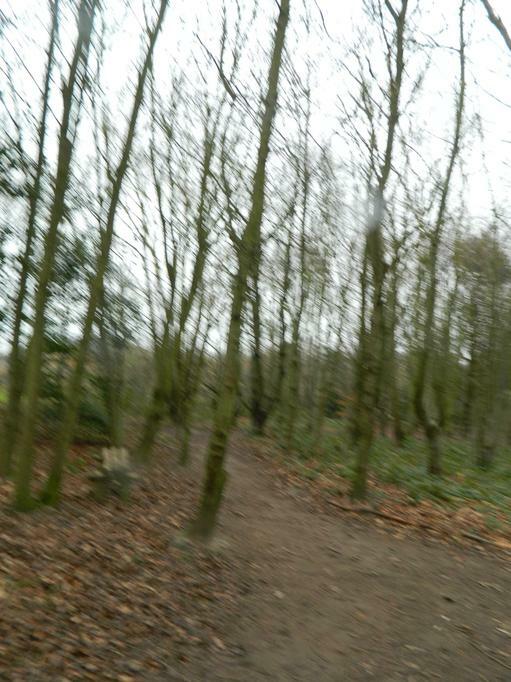 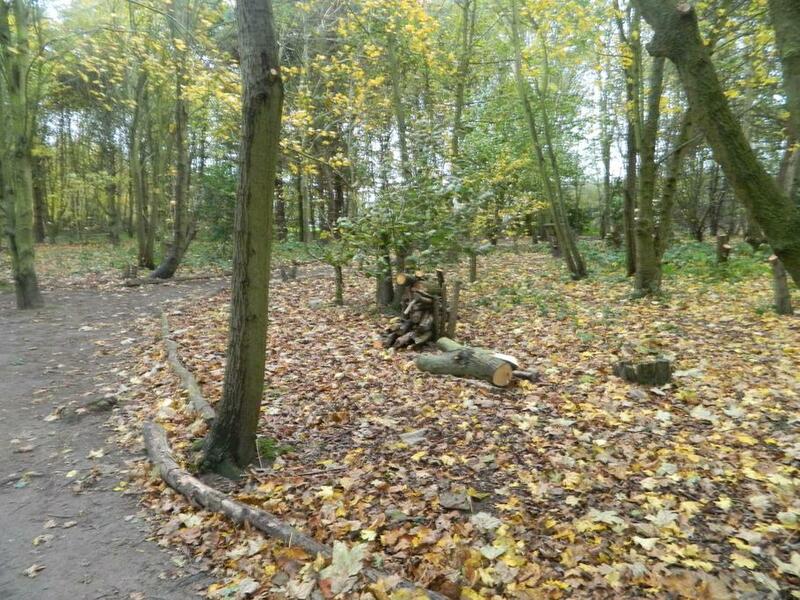 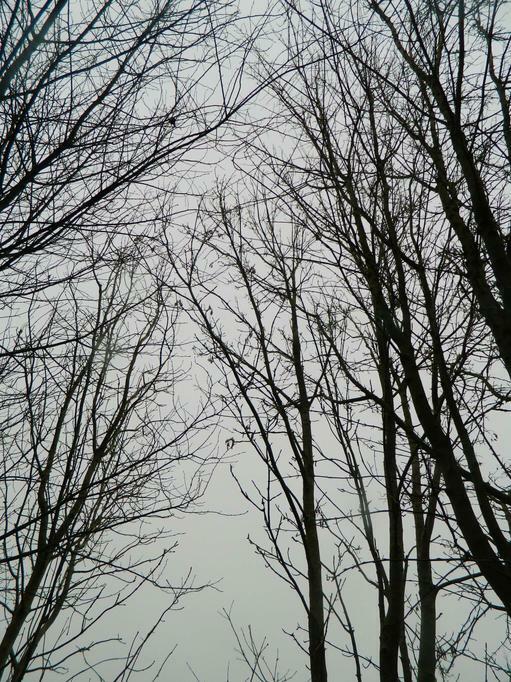 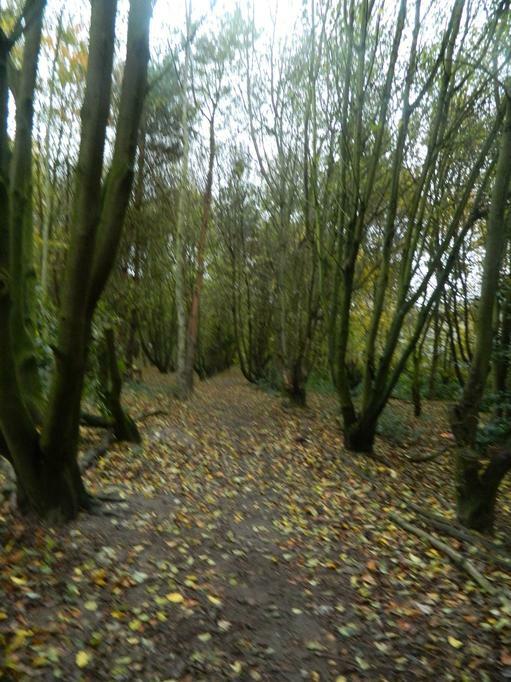 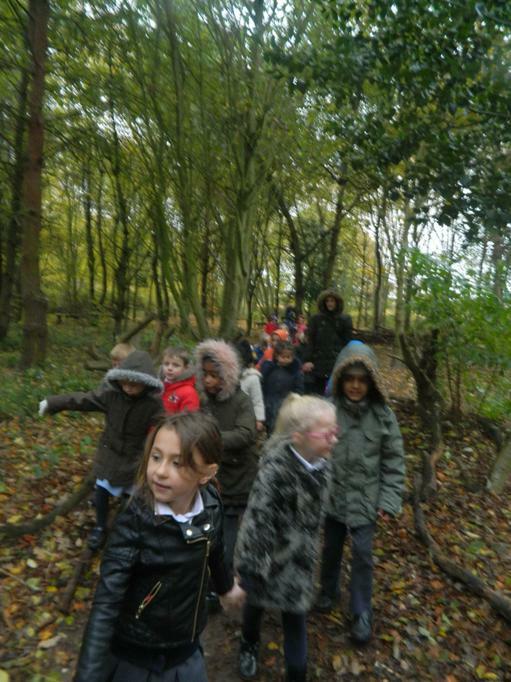 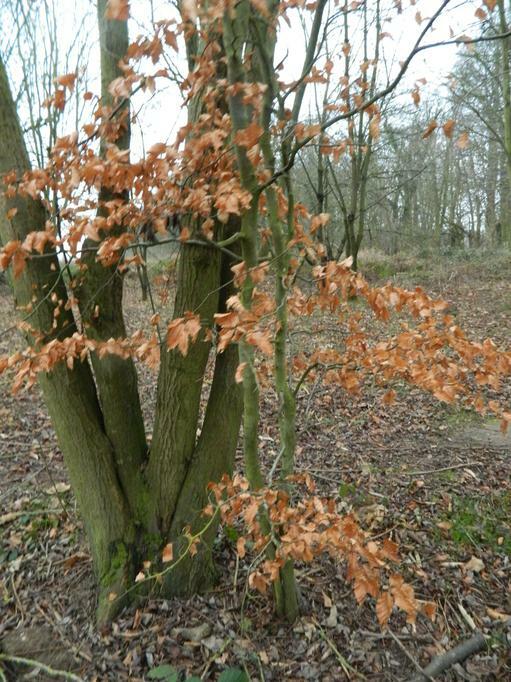 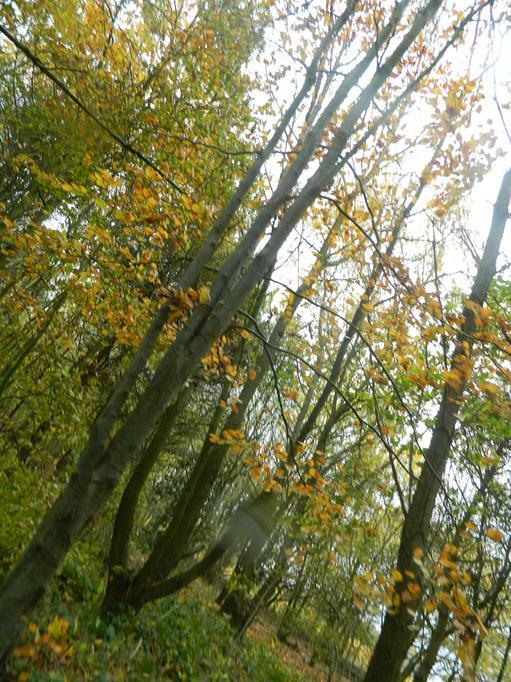 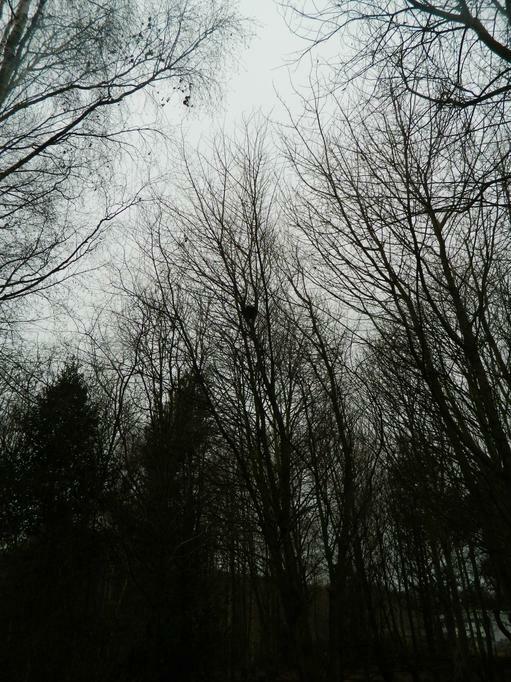 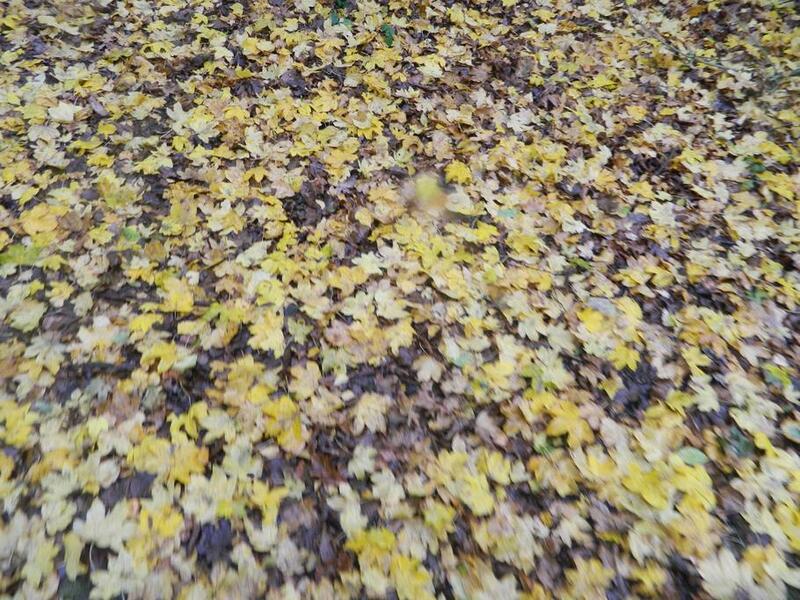 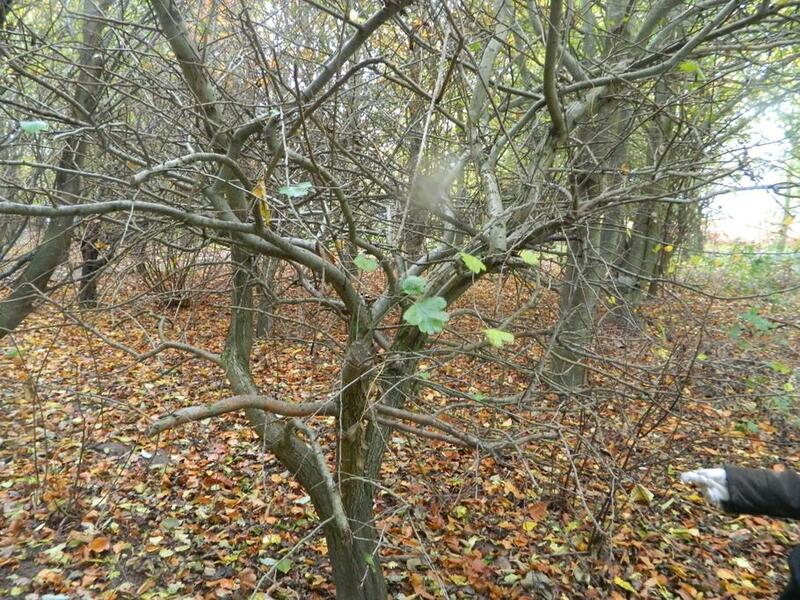 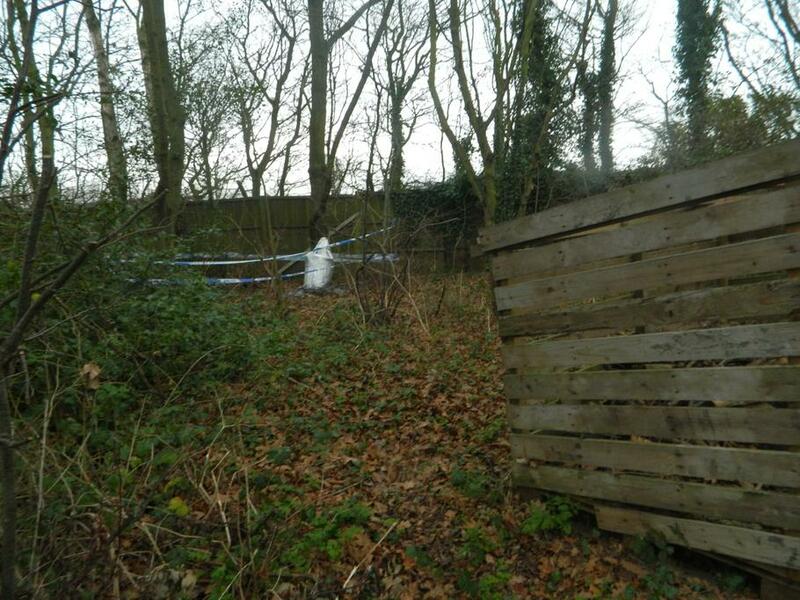 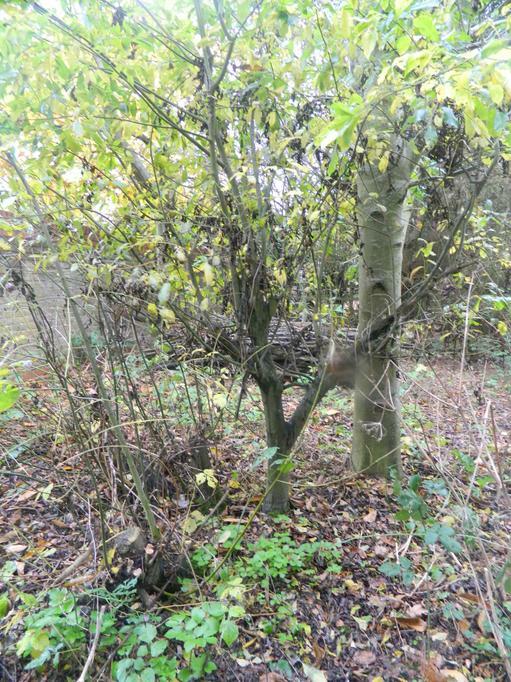 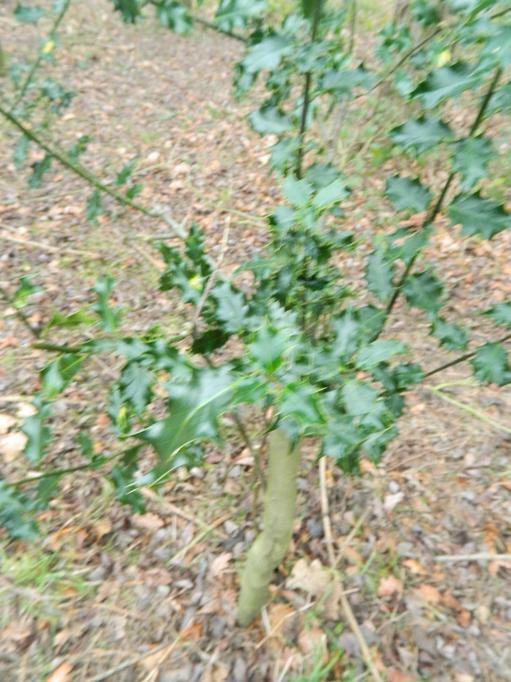 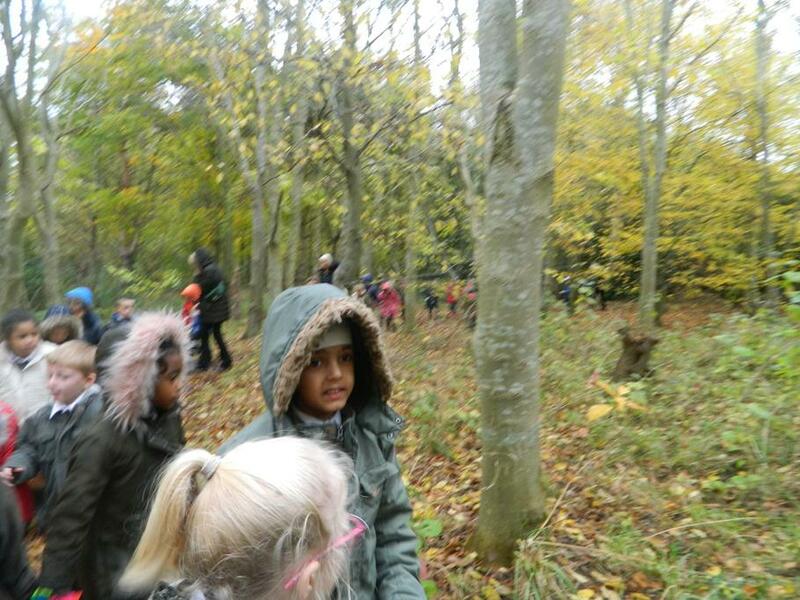 We took the class to Bluebell Woods to look for signs of Winter. 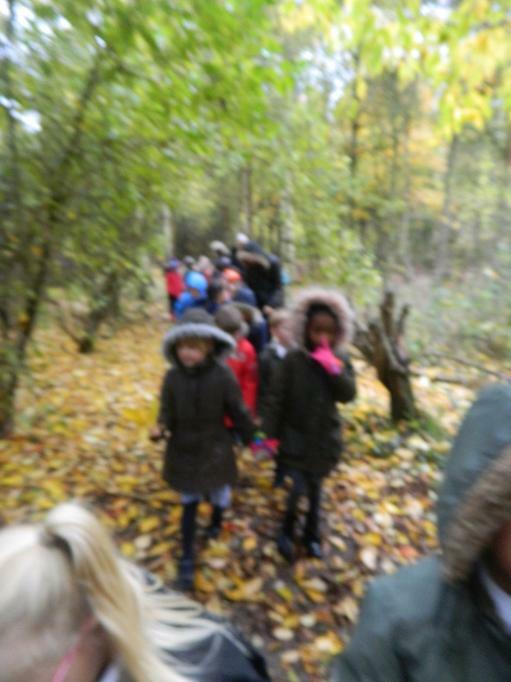 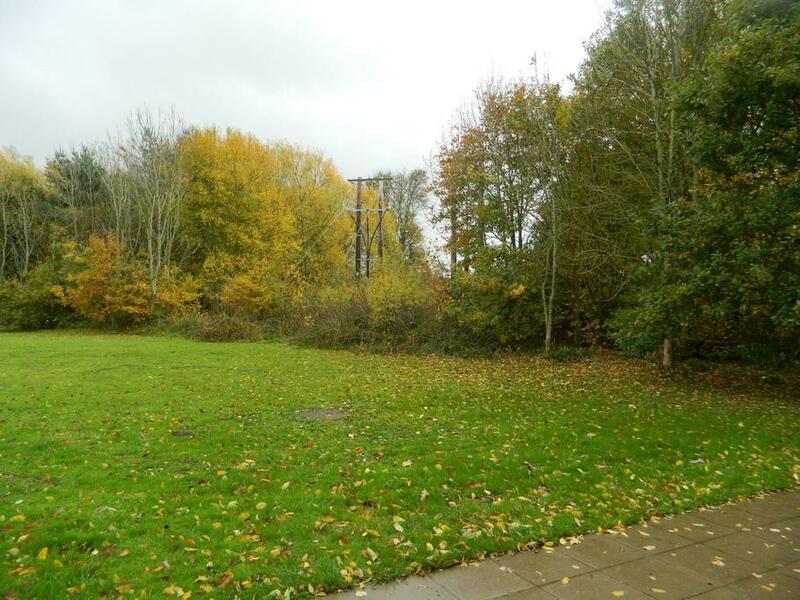 There have been lots of changes since our last visit here in the Autumn. 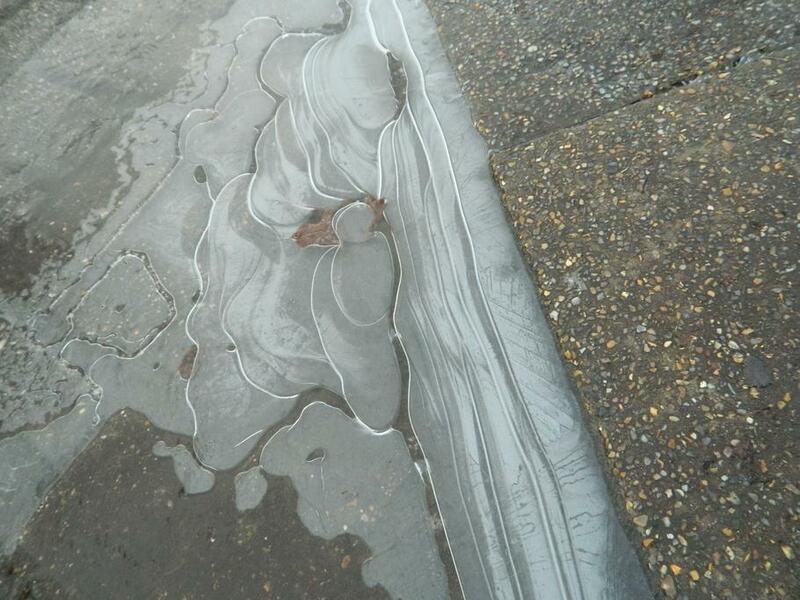 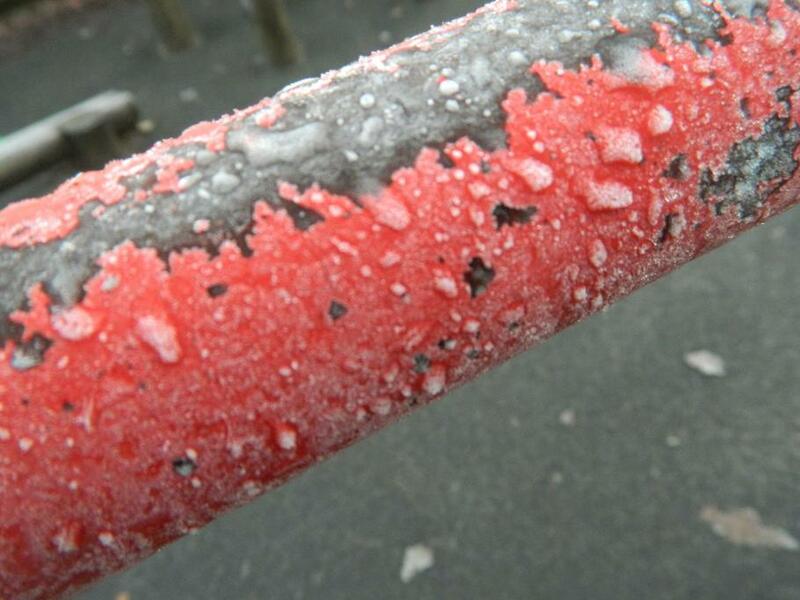 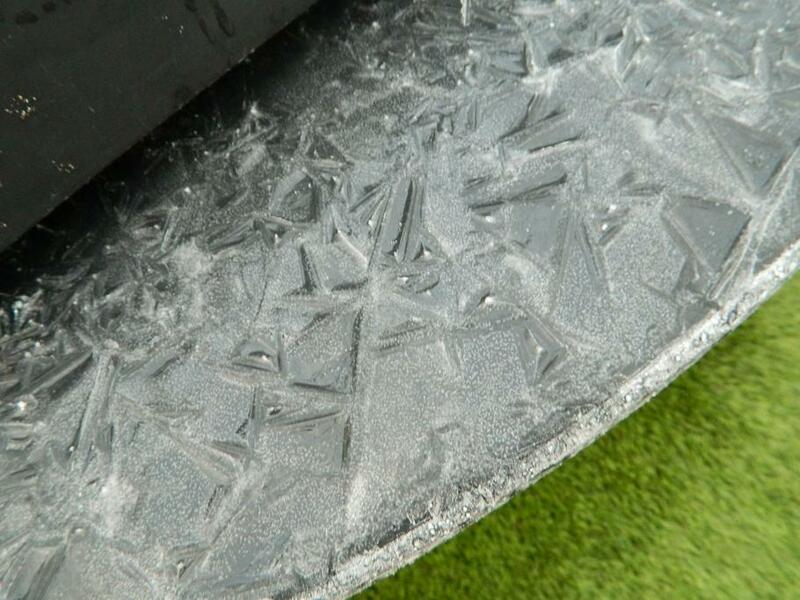 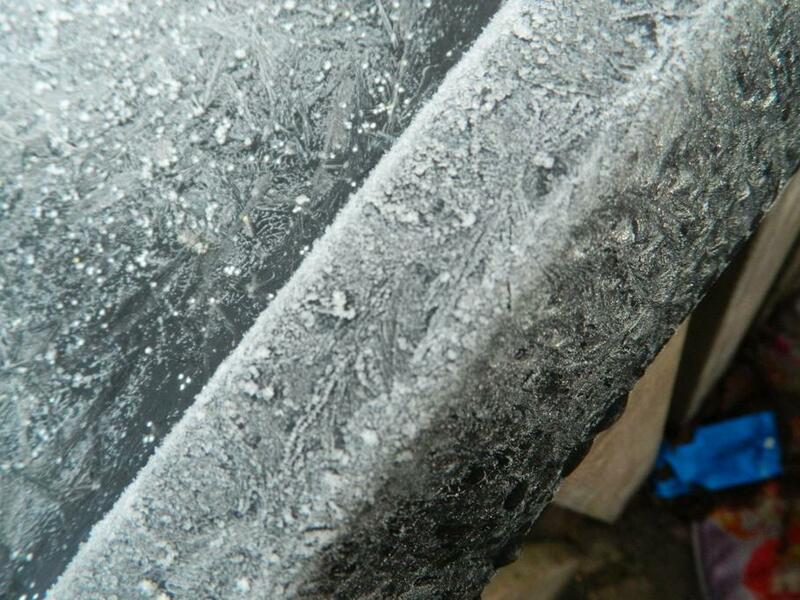 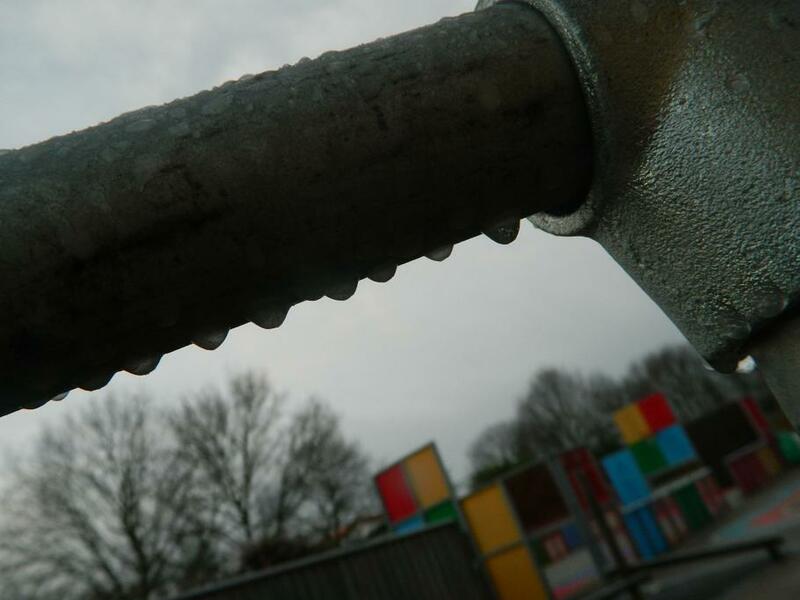 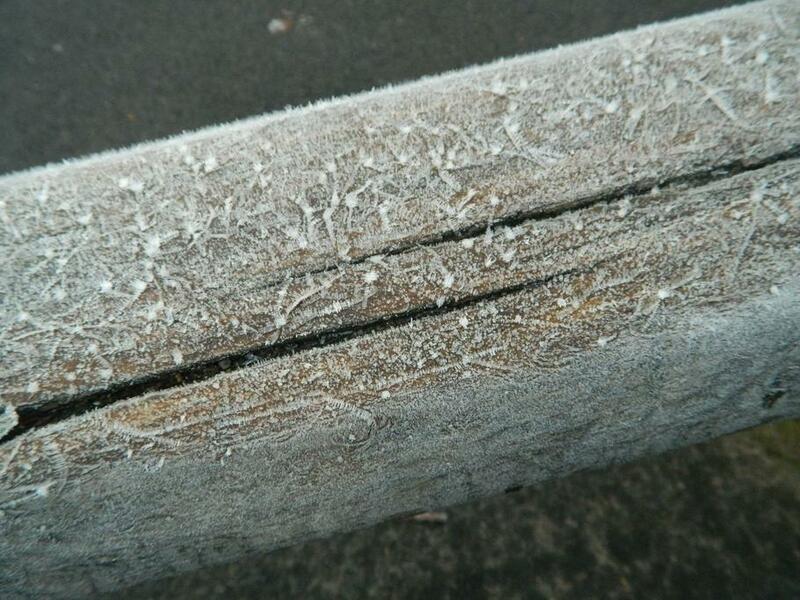 When we arrived at school on Friday we noticed that our playground was very icy! 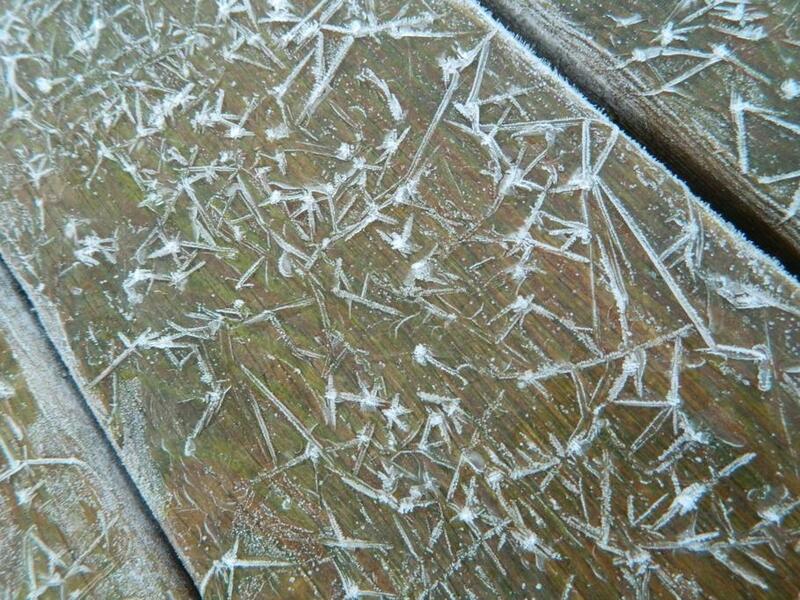 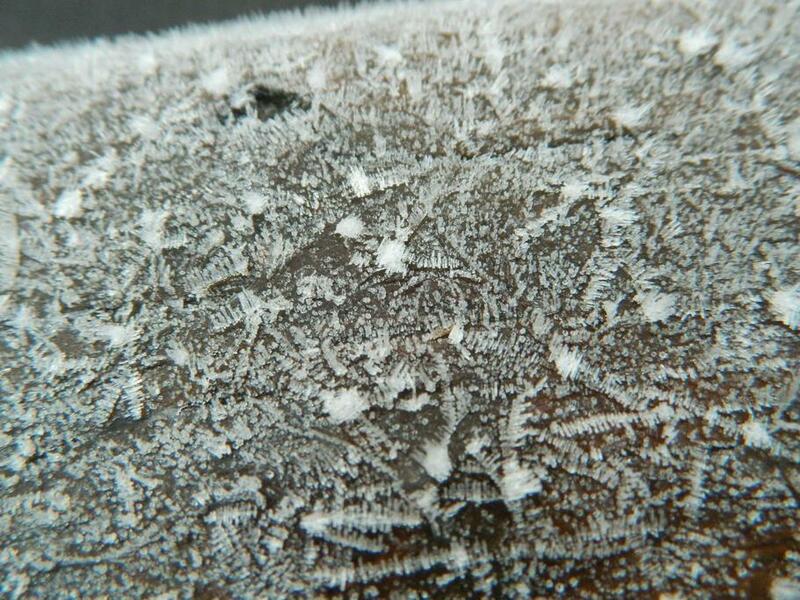 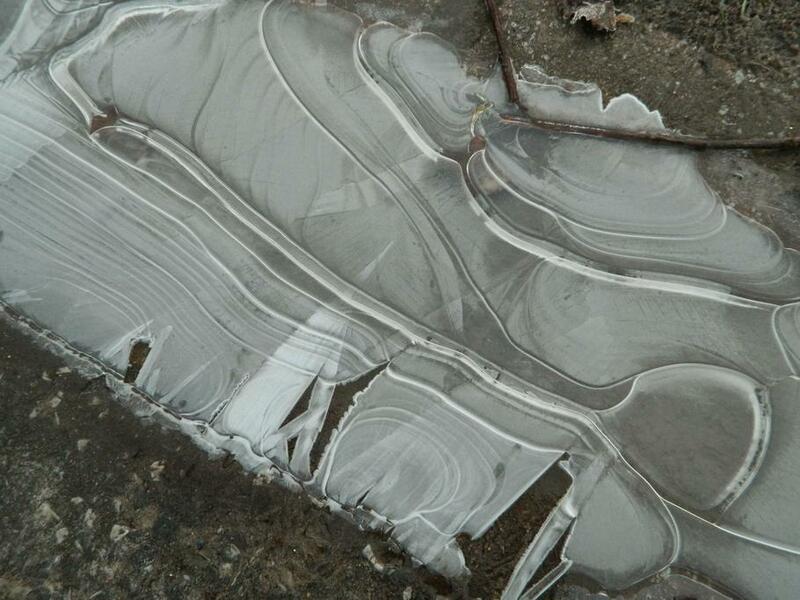 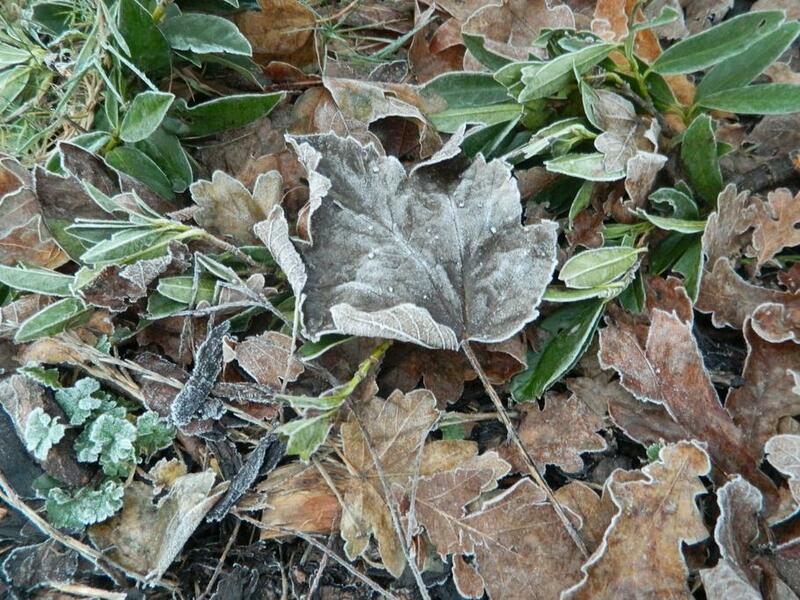 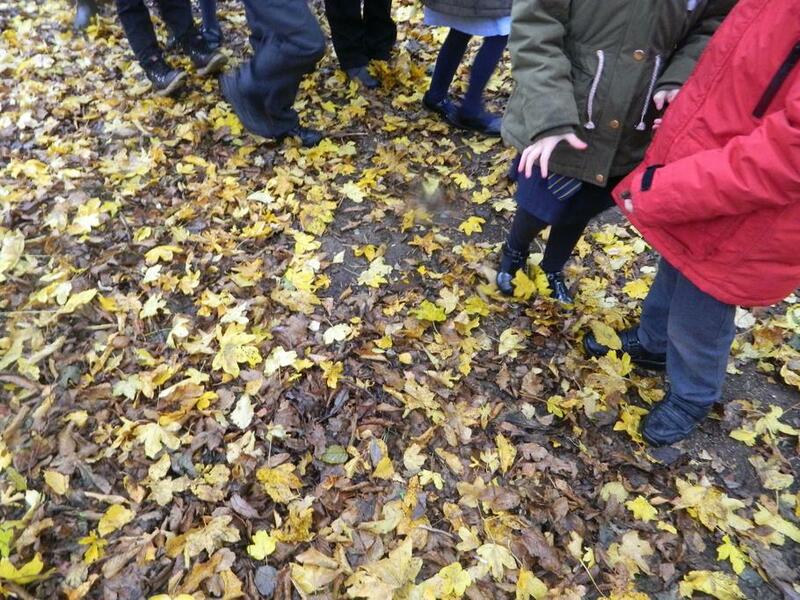 We took the IPads outside and collected some frosty photographs. 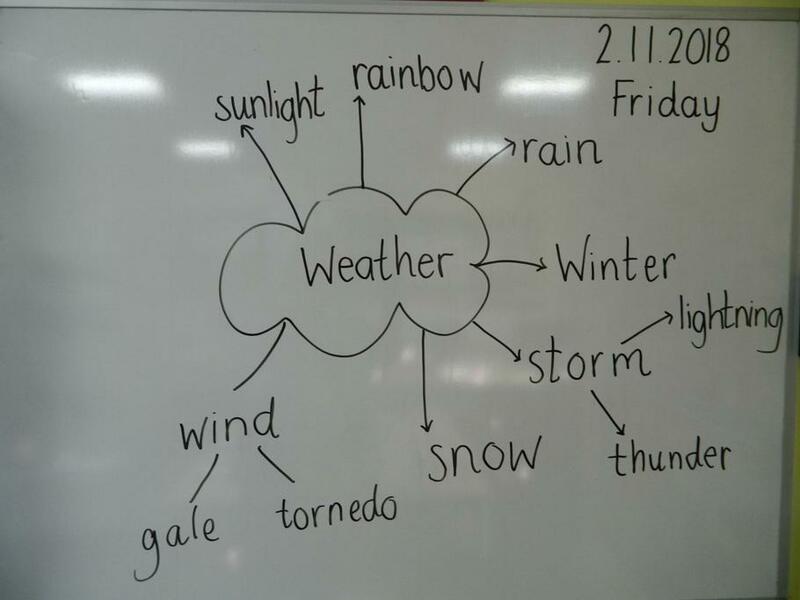 When we came back inside we wrote about what we had seen. 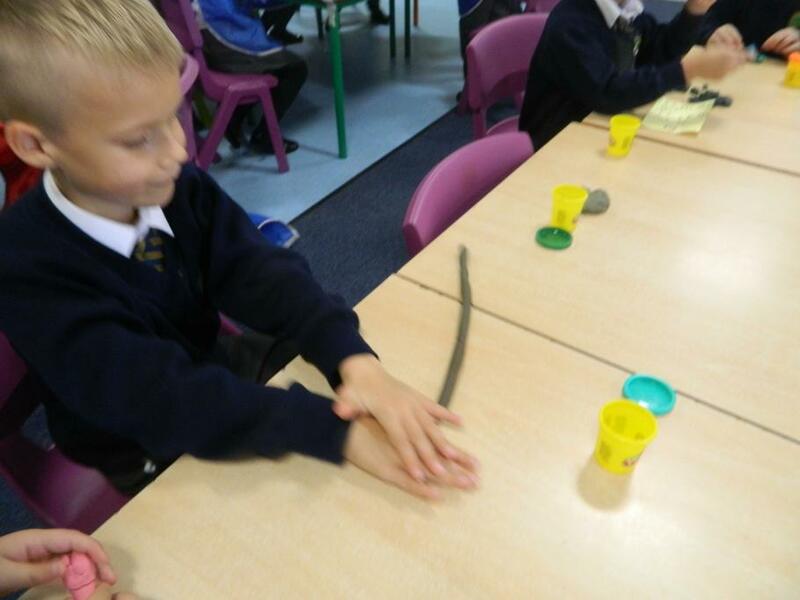 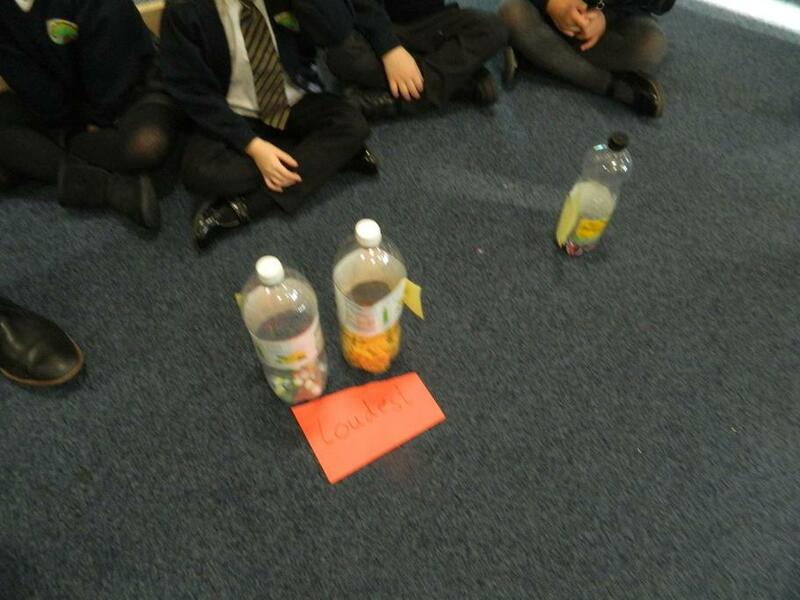 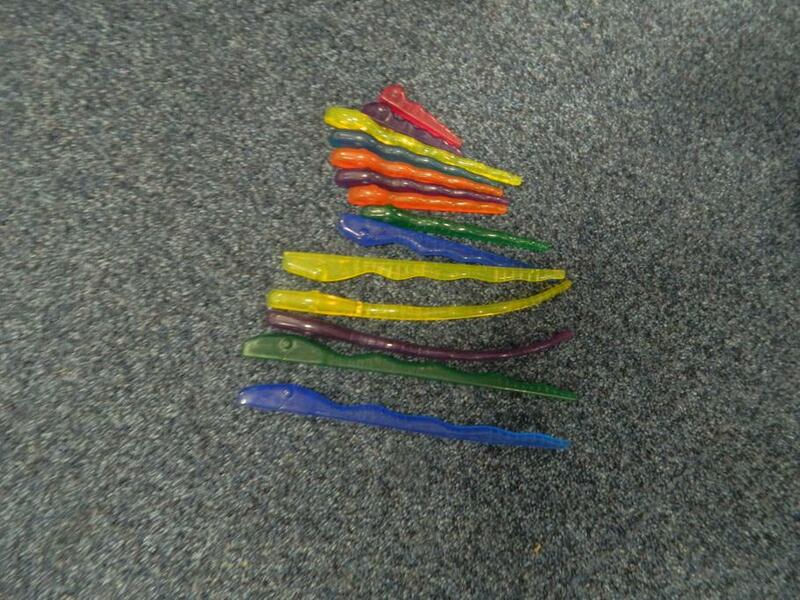 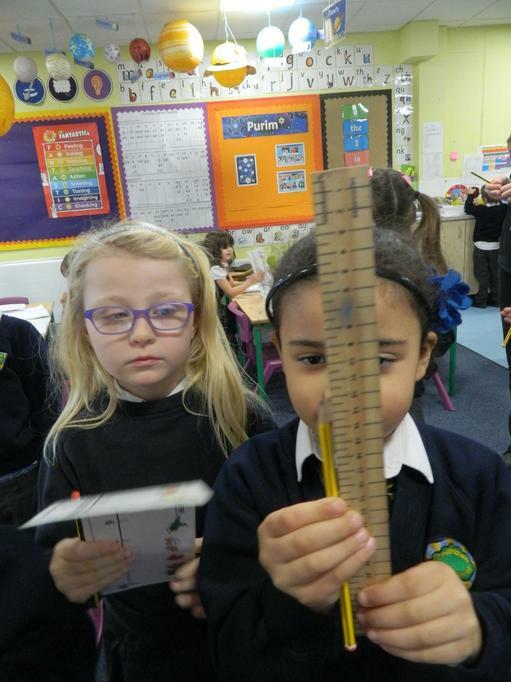 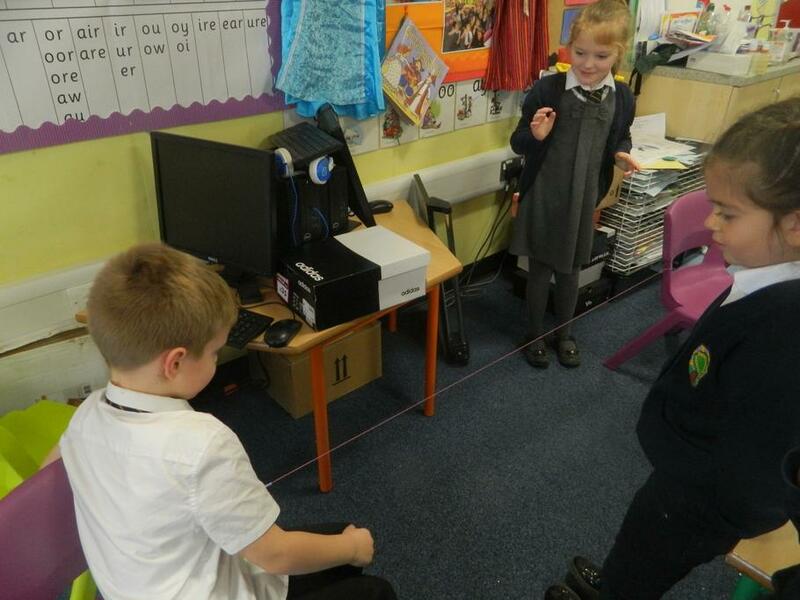 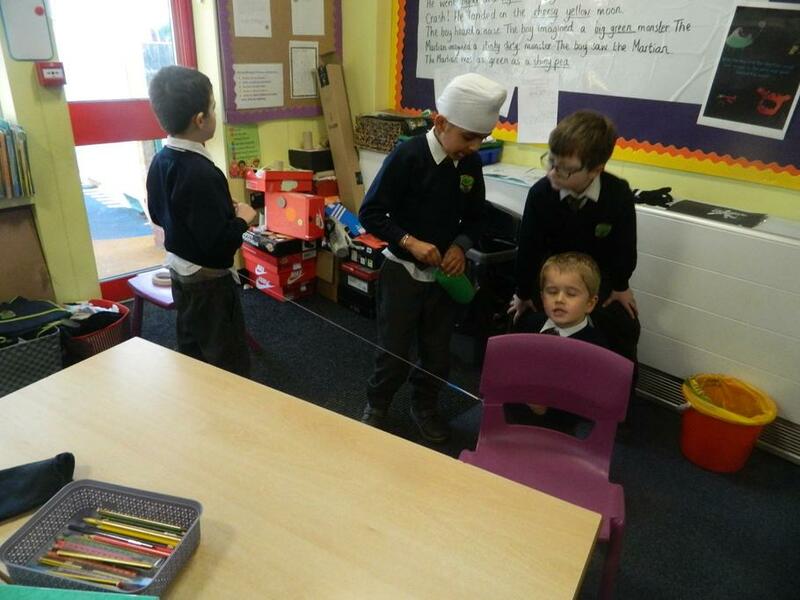 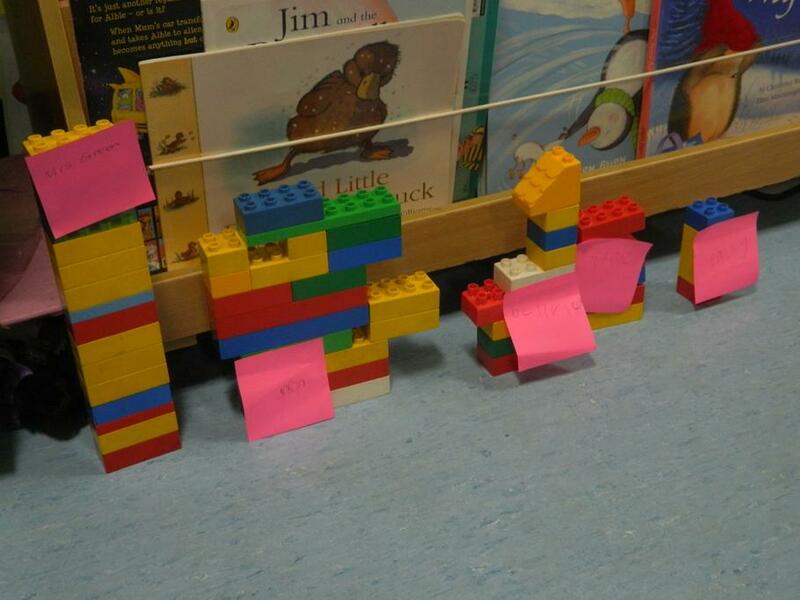 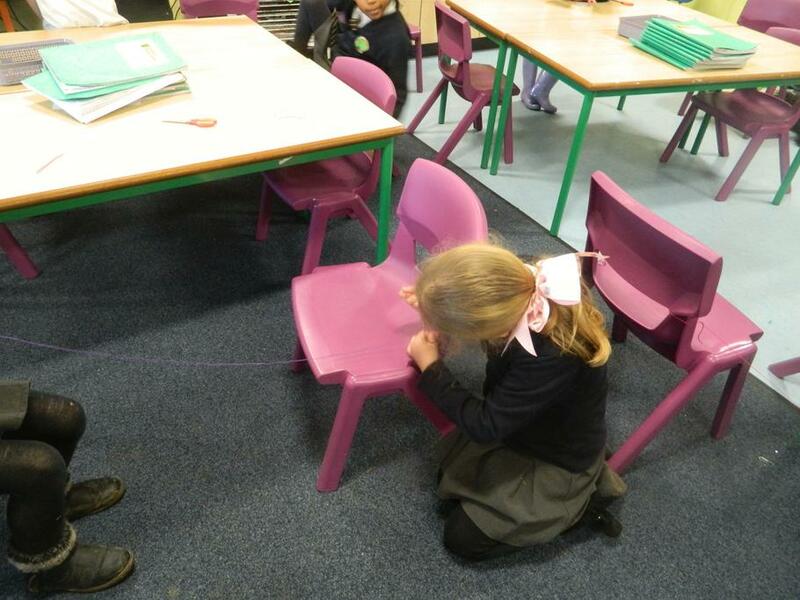 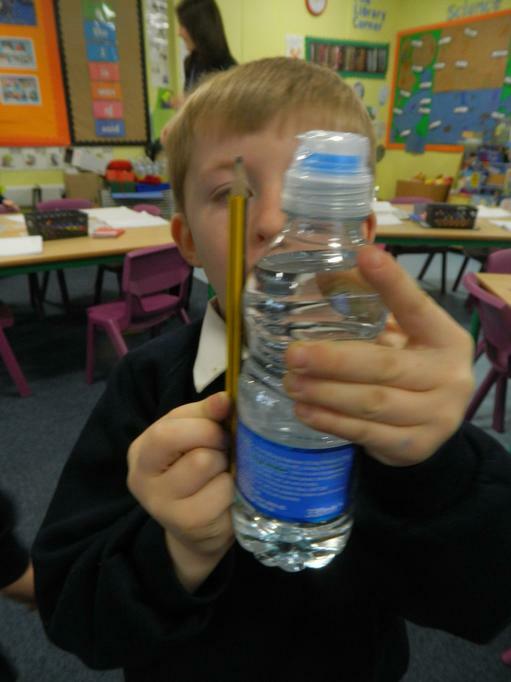 We have been comparing the lengths of various objects in class. 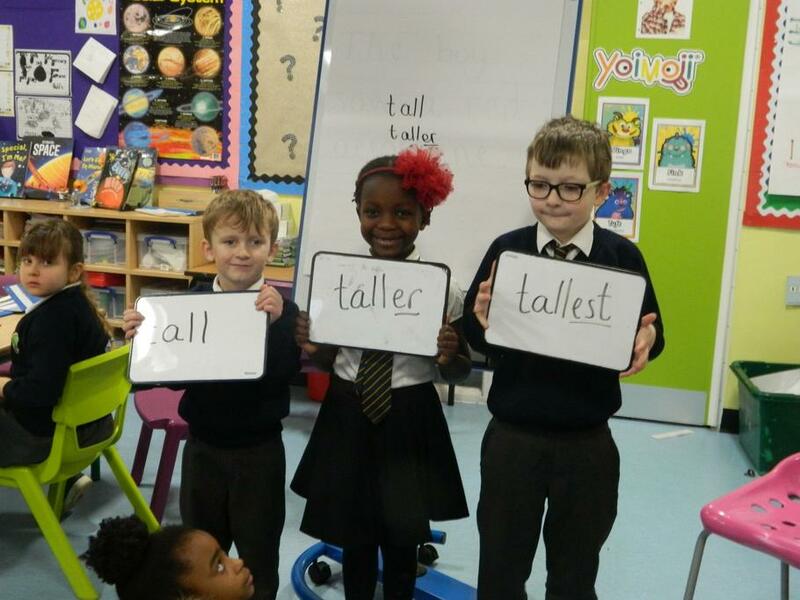 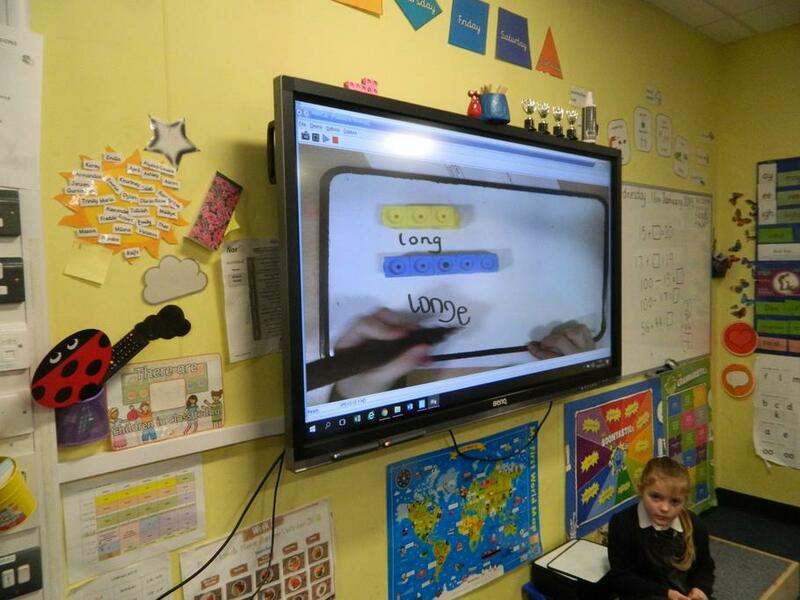 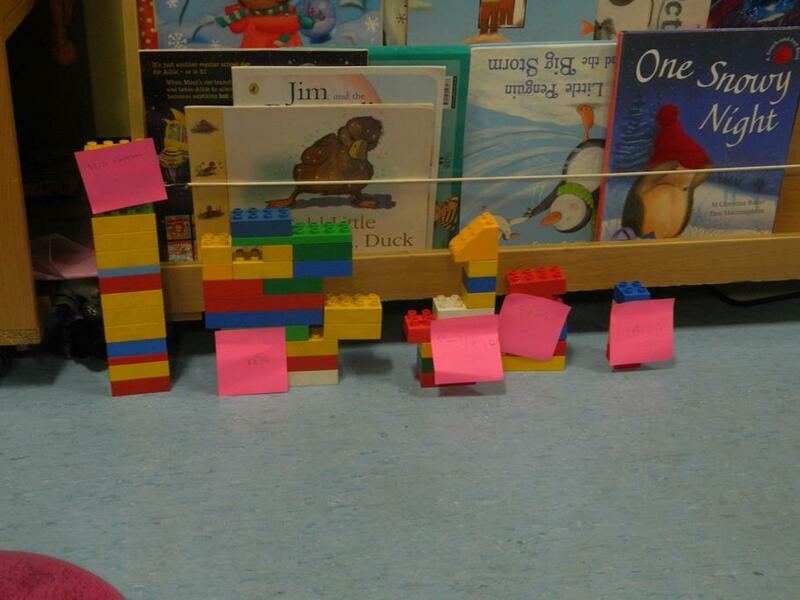 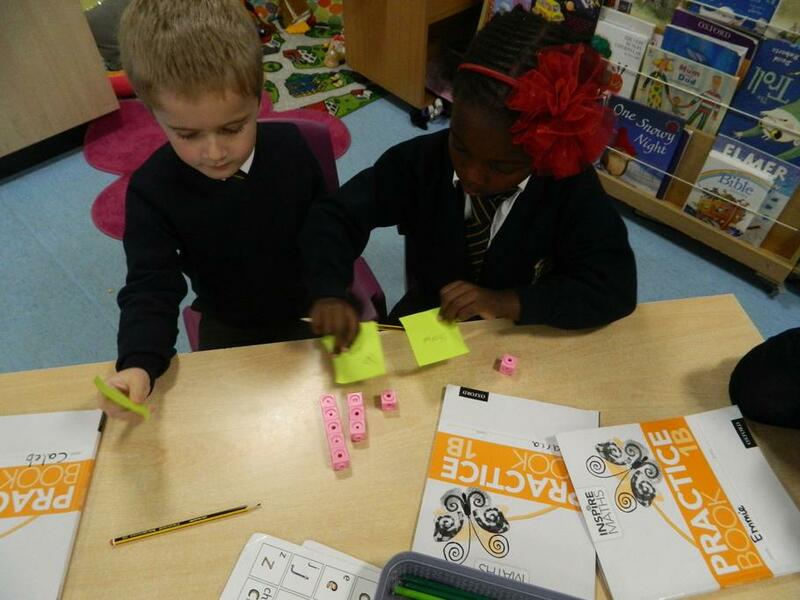 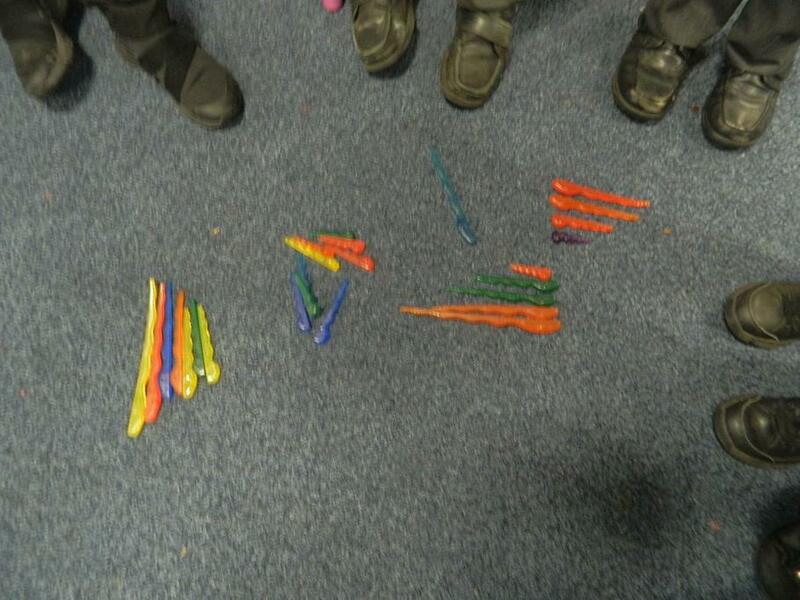 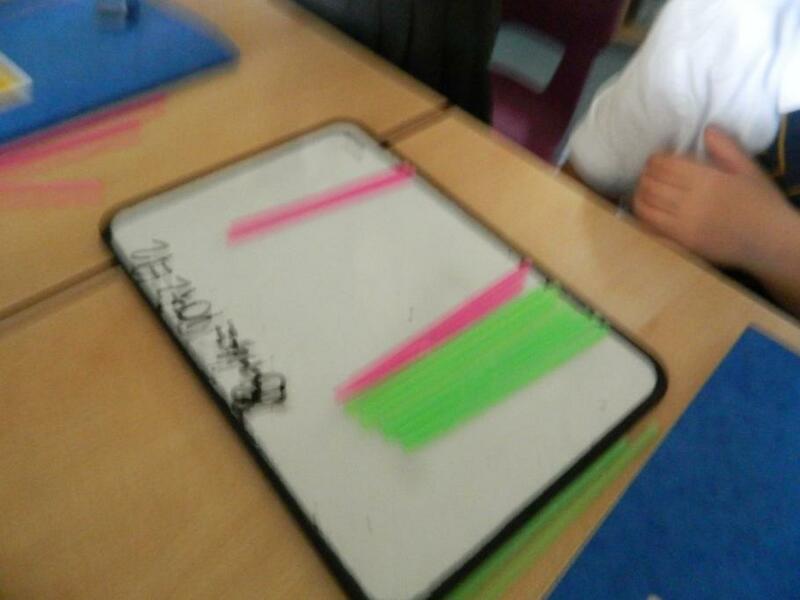 The children used words like 'taller than', 'longer than' and 'shorter than' to describe and compare. 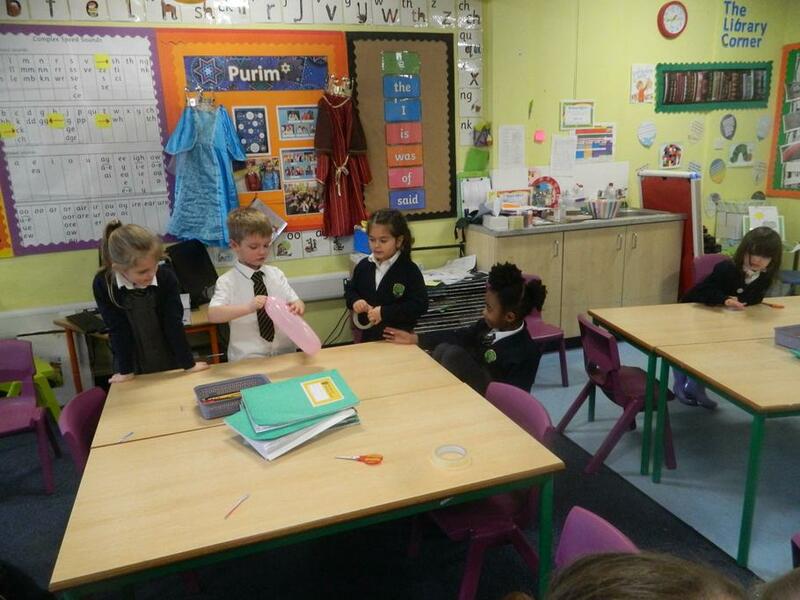 Purim is a lively festival that commemorates the strength of the Jewish people. 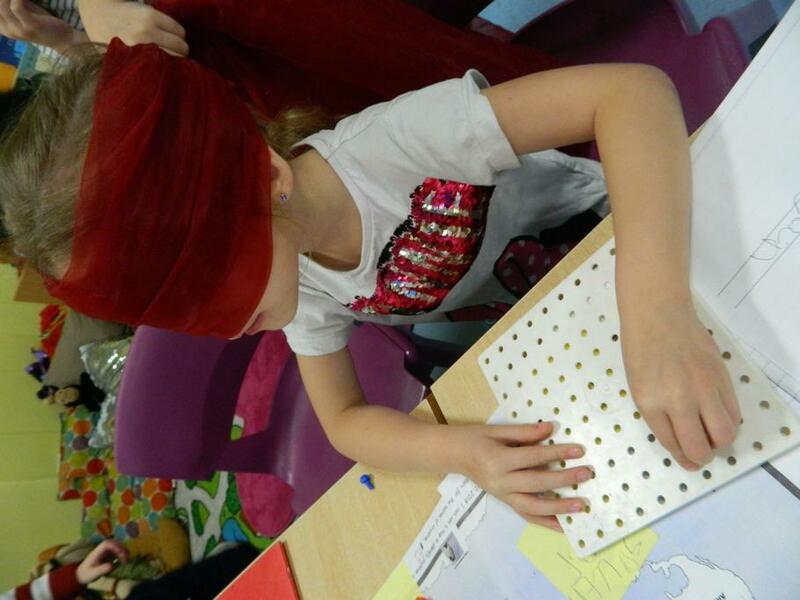 Practising Jews wear costumes and visit the synagogue to listen to the story of Queen Esther who prevented Haman, her husband's servant, from killing the Jewish people. 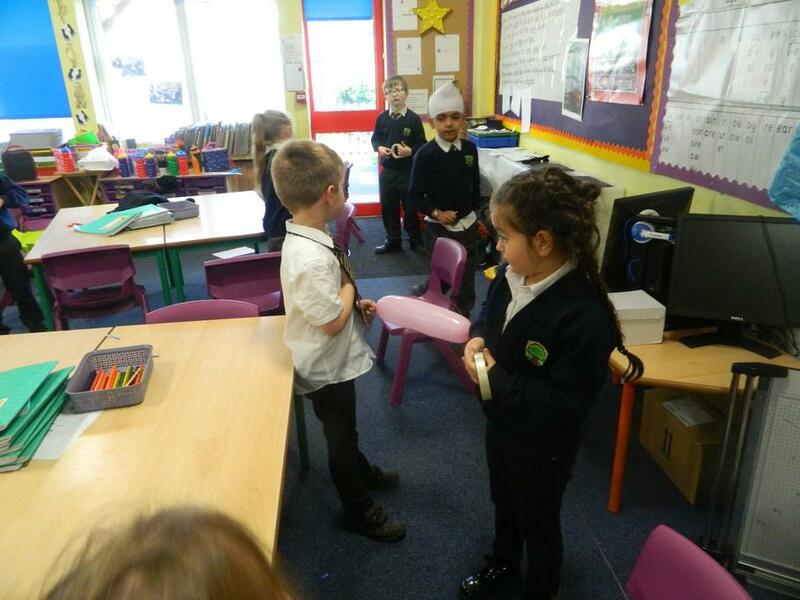 After attending the synagogue, families and friends gather together to eat, dance and exchange gifts. 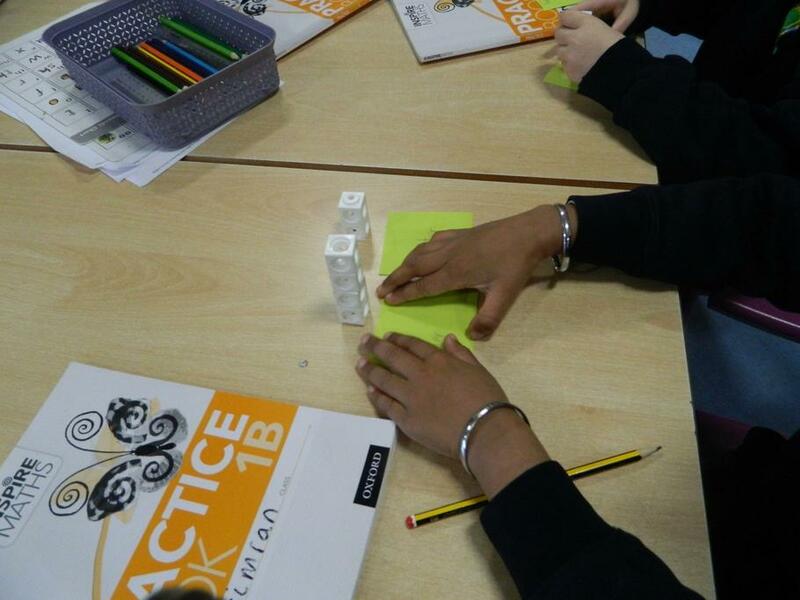 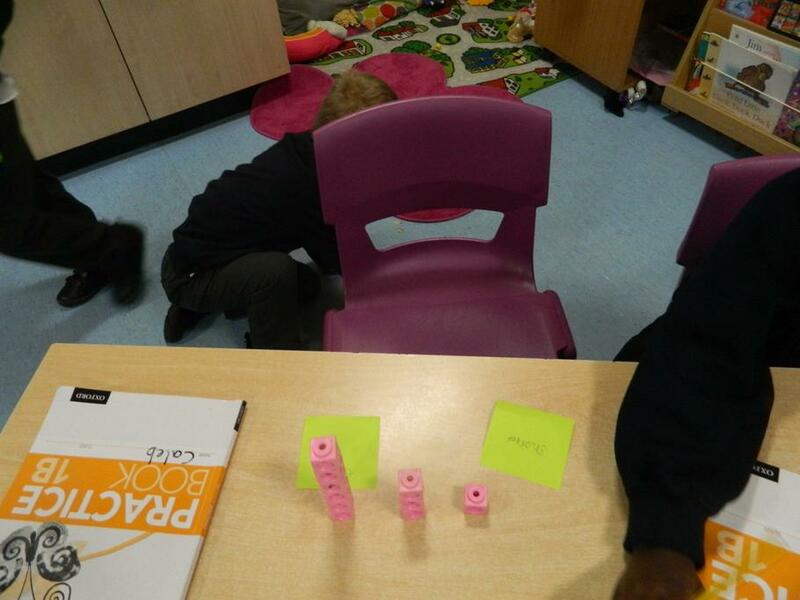 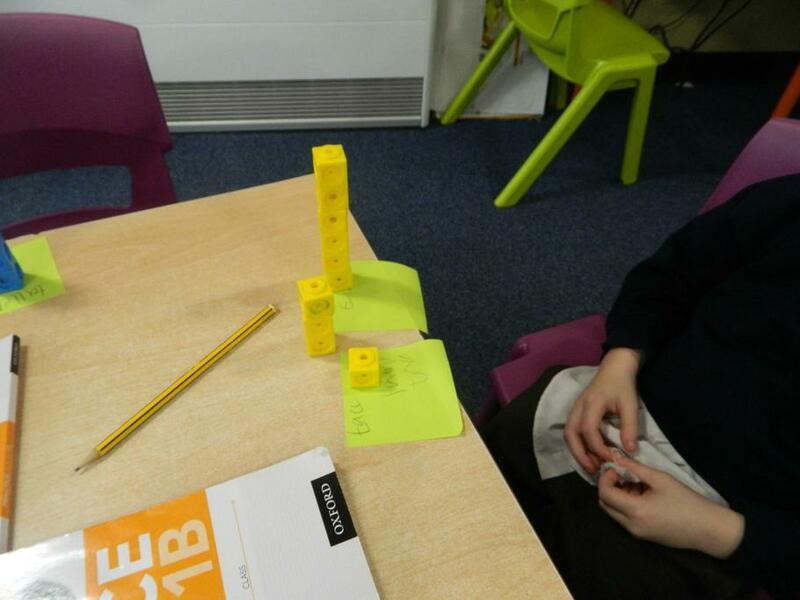 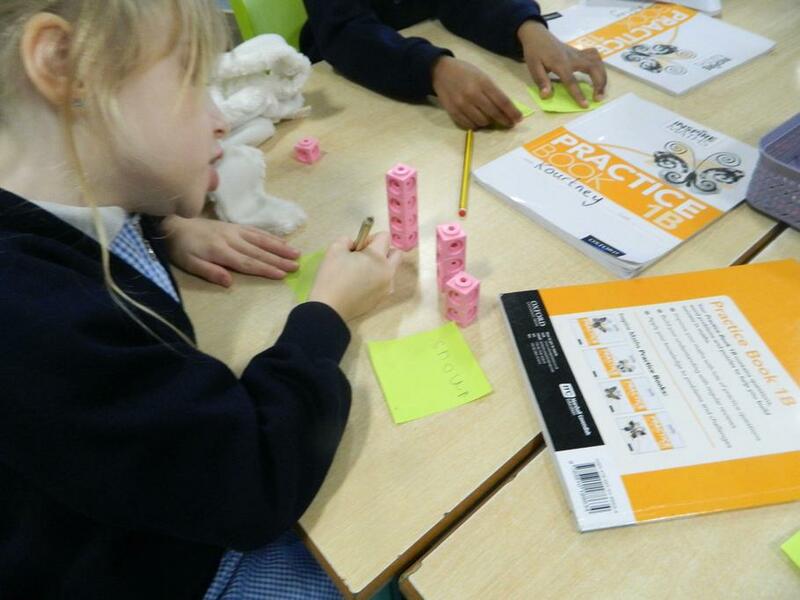 We learning to order cube towers in ascending and descending order. 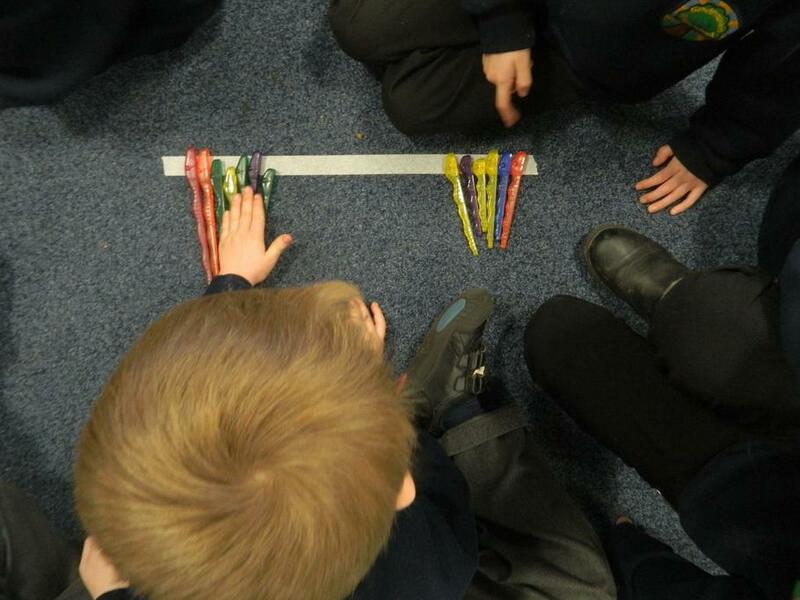 We are learning about the importance of using a starting line when comparing measurements in maths. 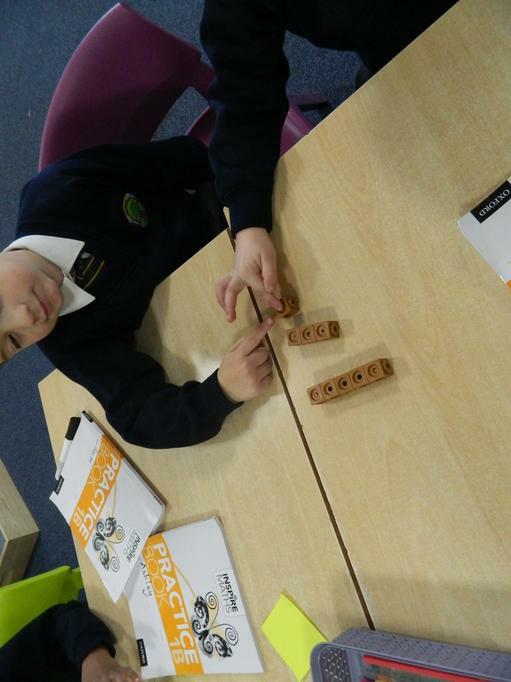 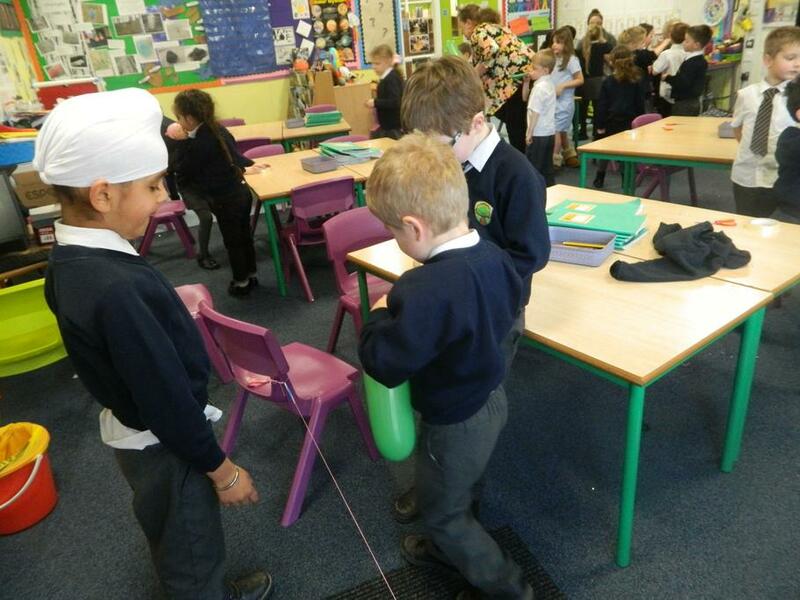 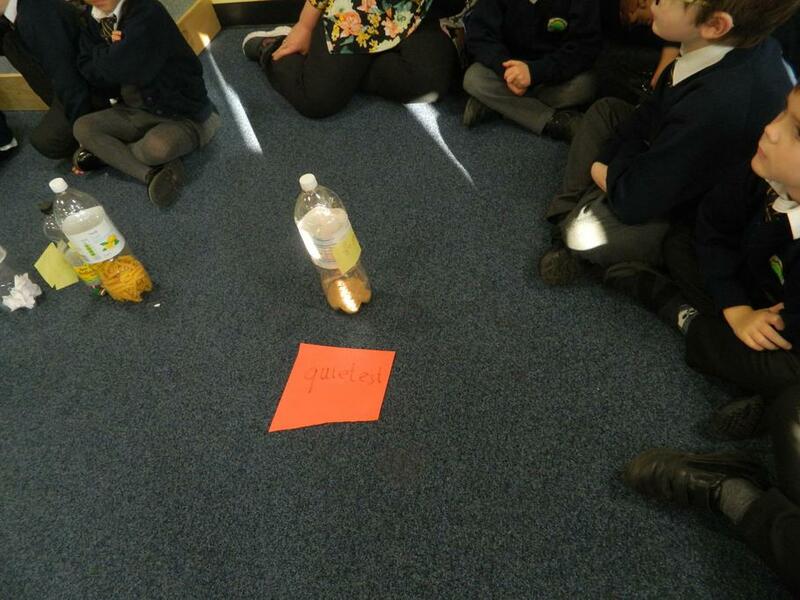 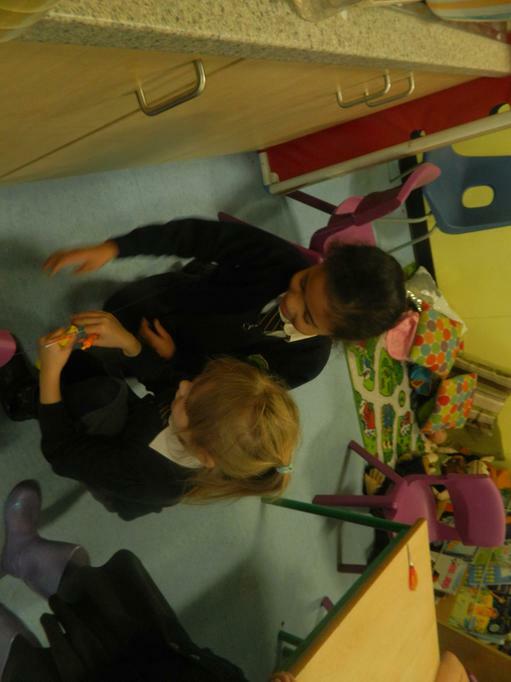 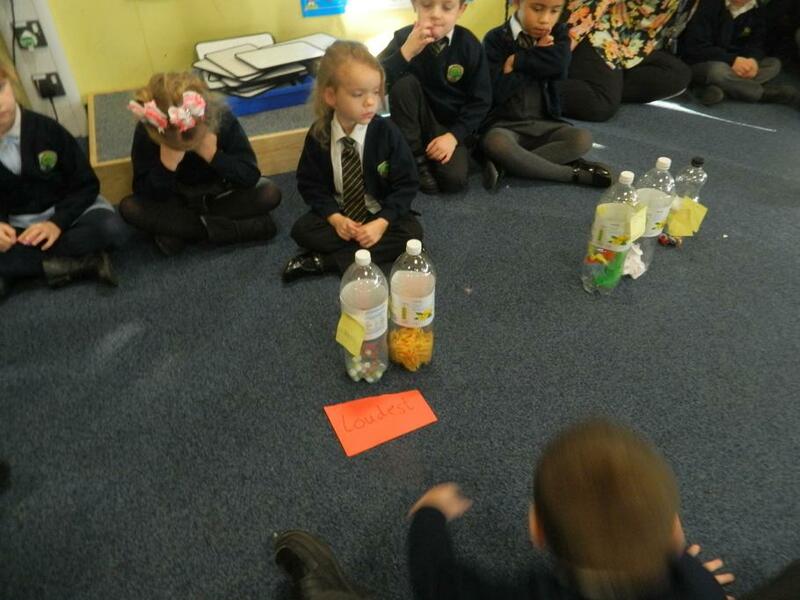 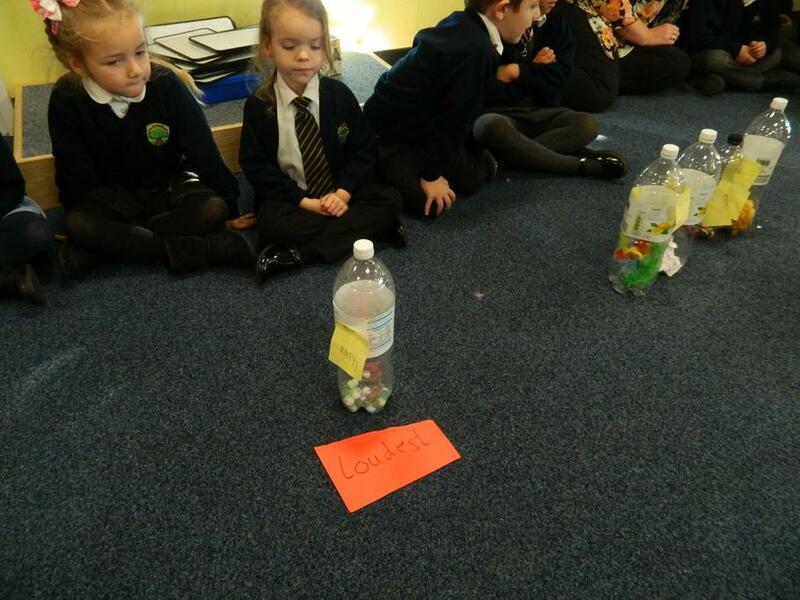 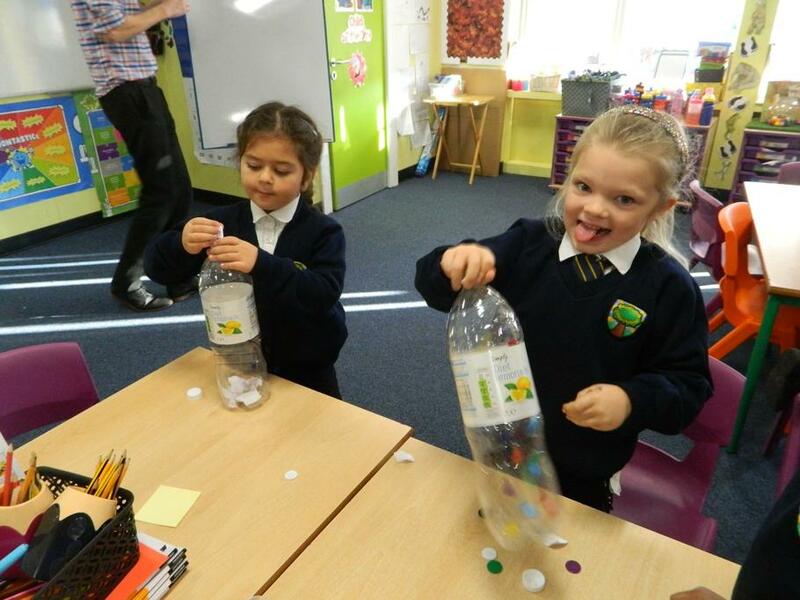 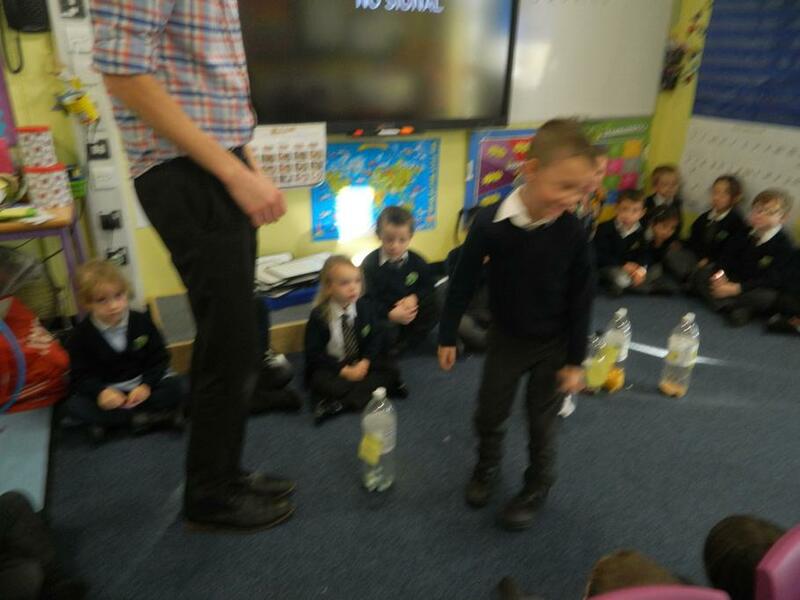 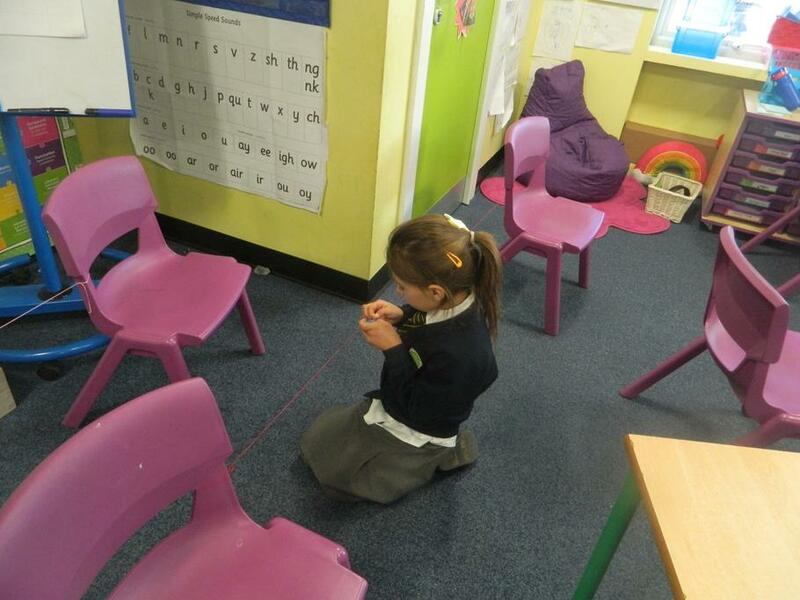 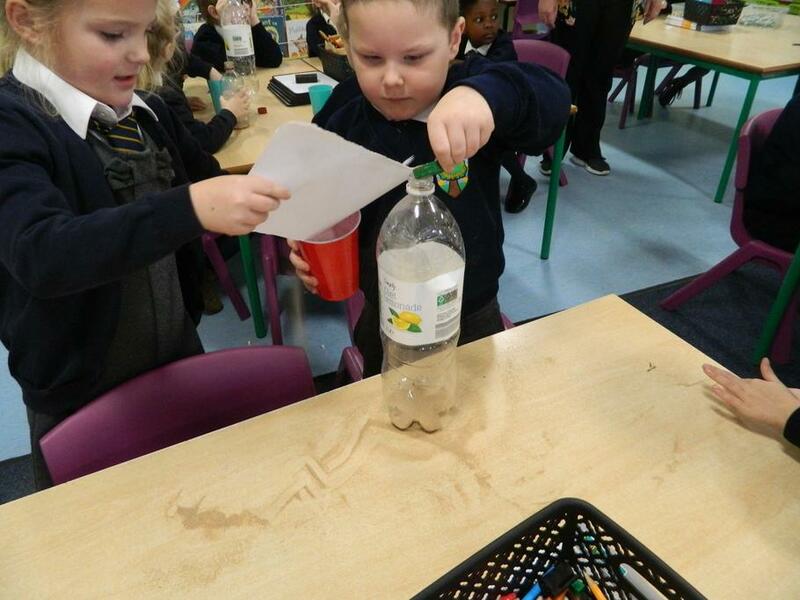 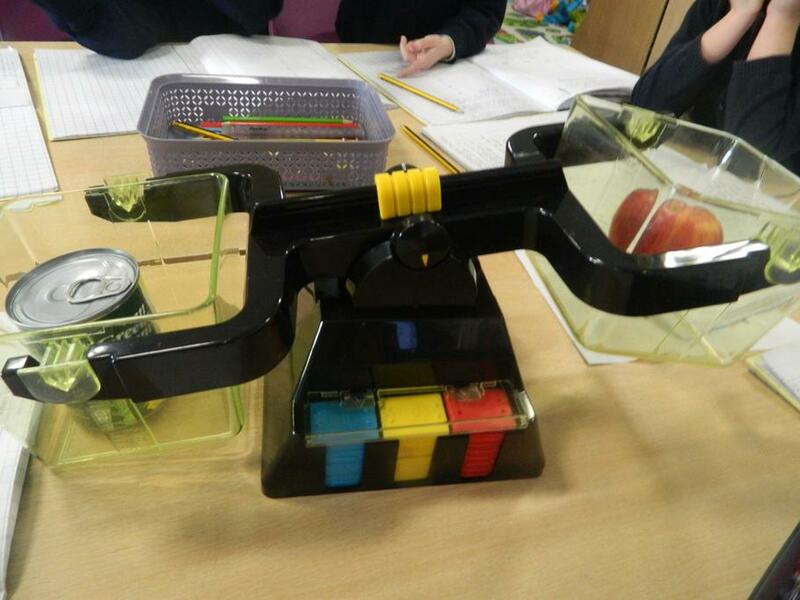 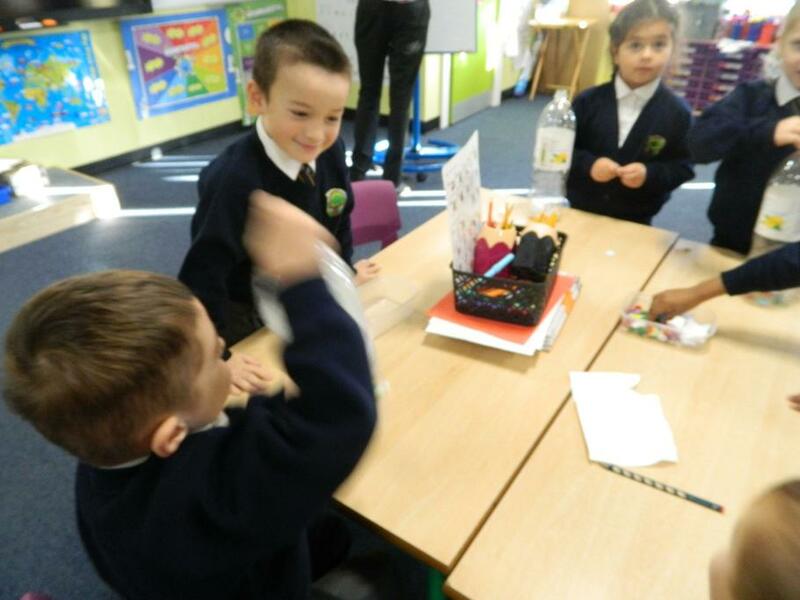 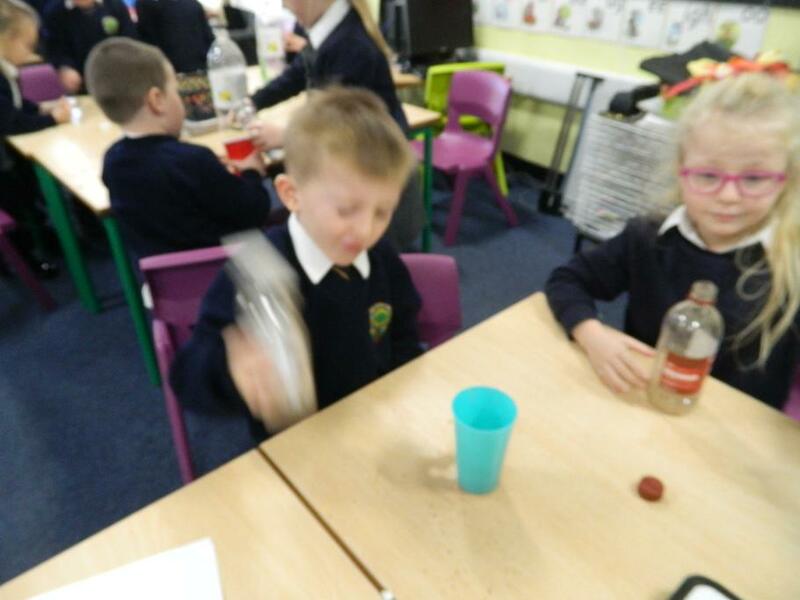 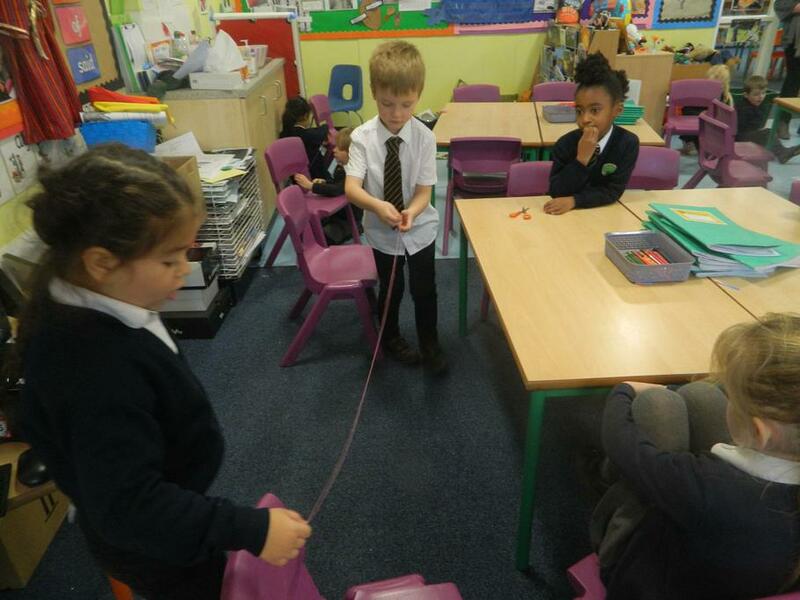 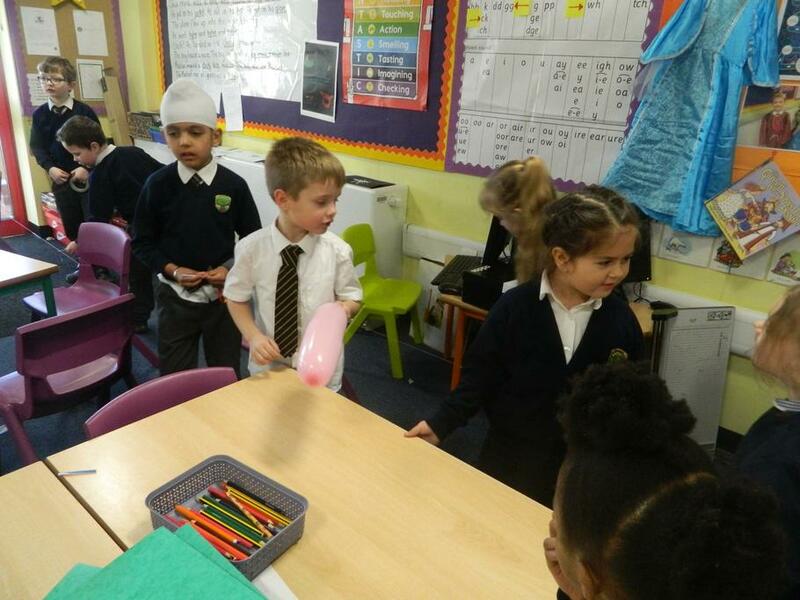 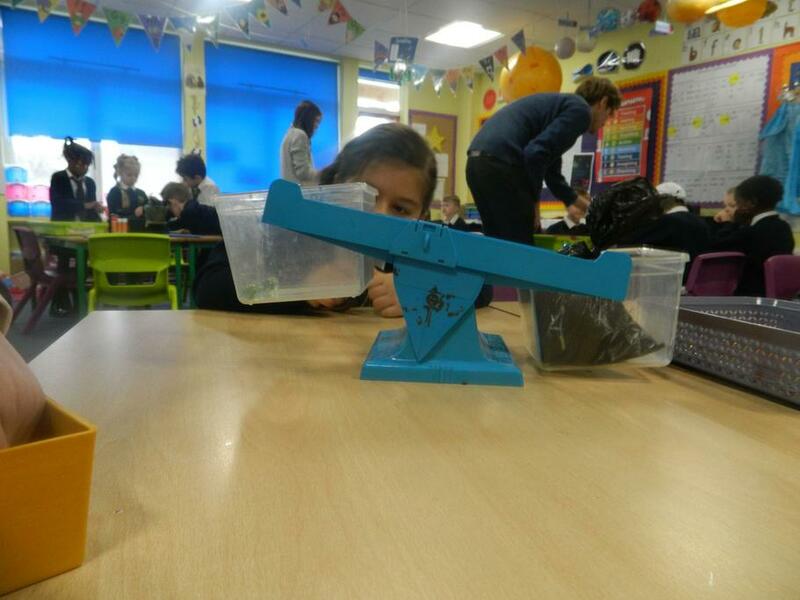 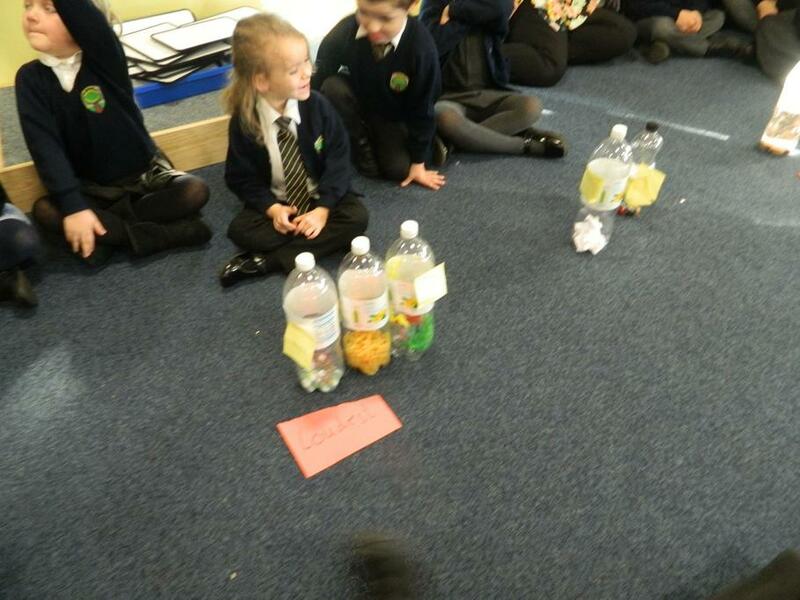 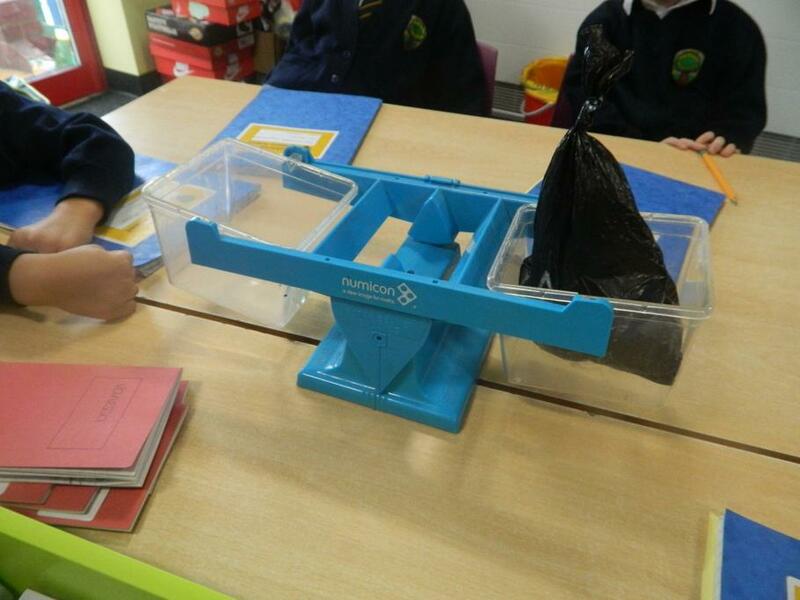 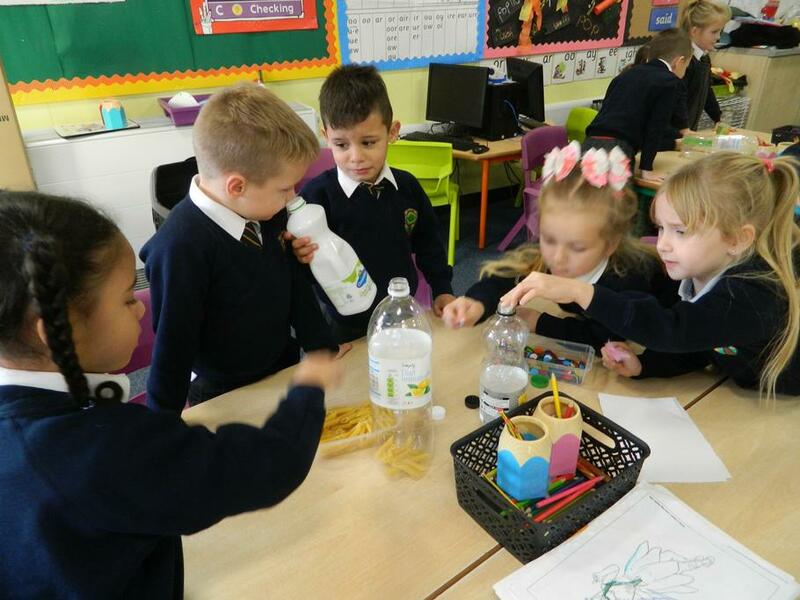 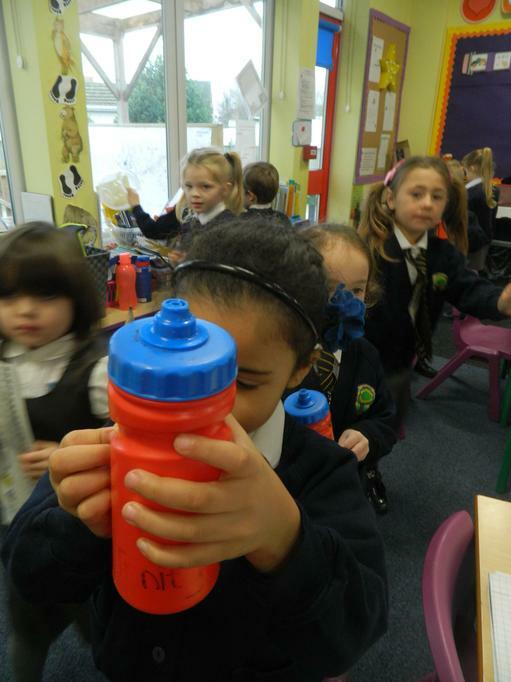 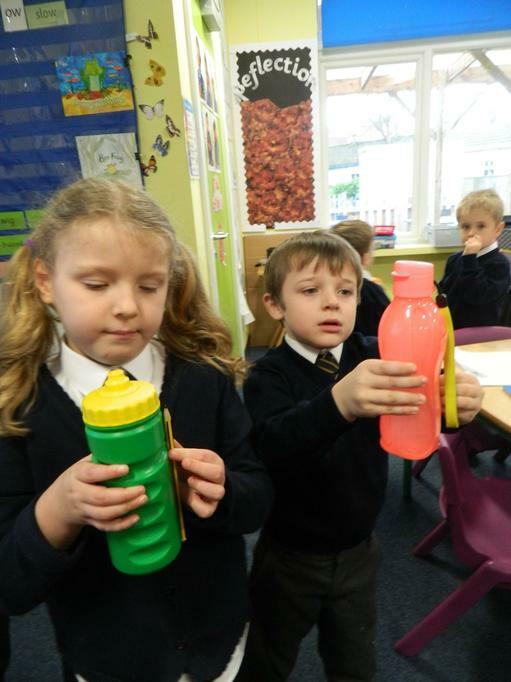 We are learning to compare objects using terms such as 'heavier' and 'lighter'. 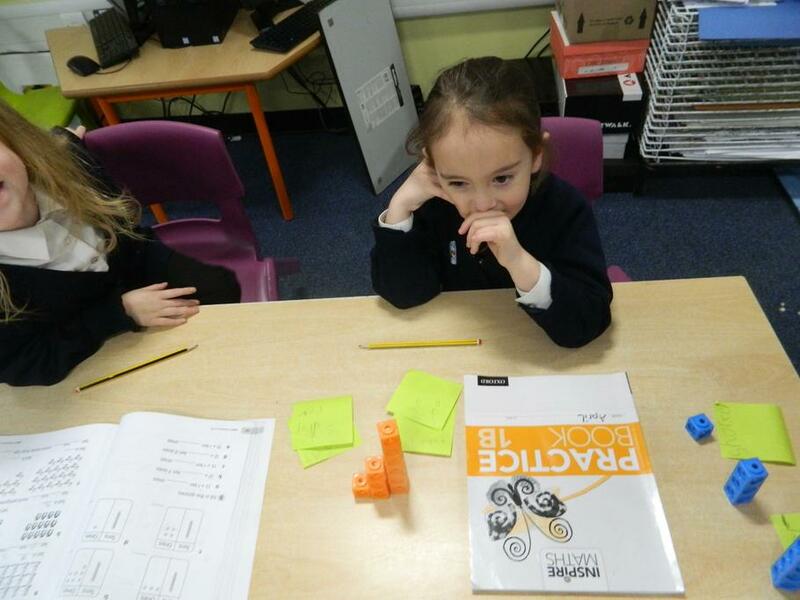 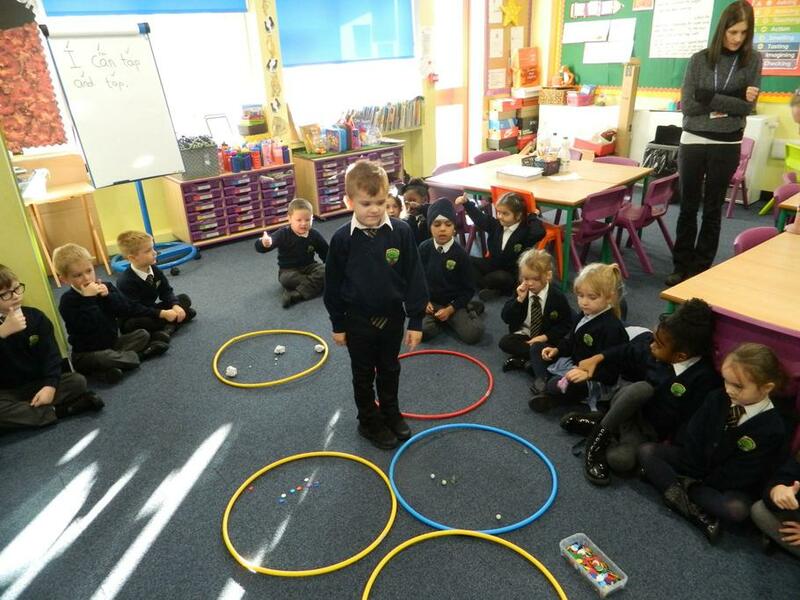 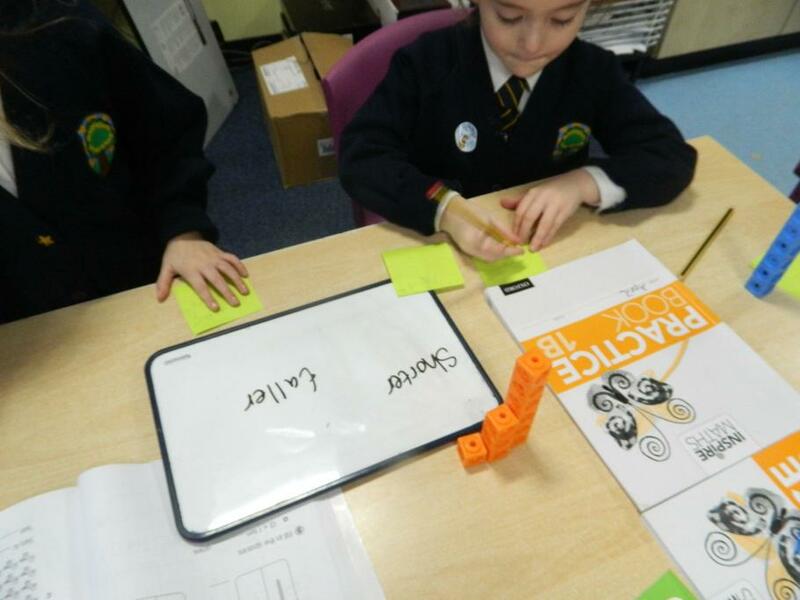 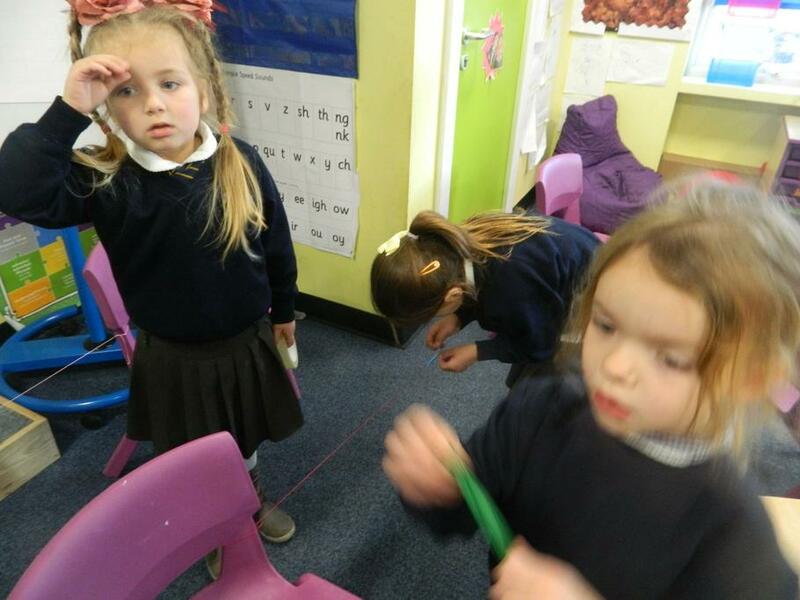 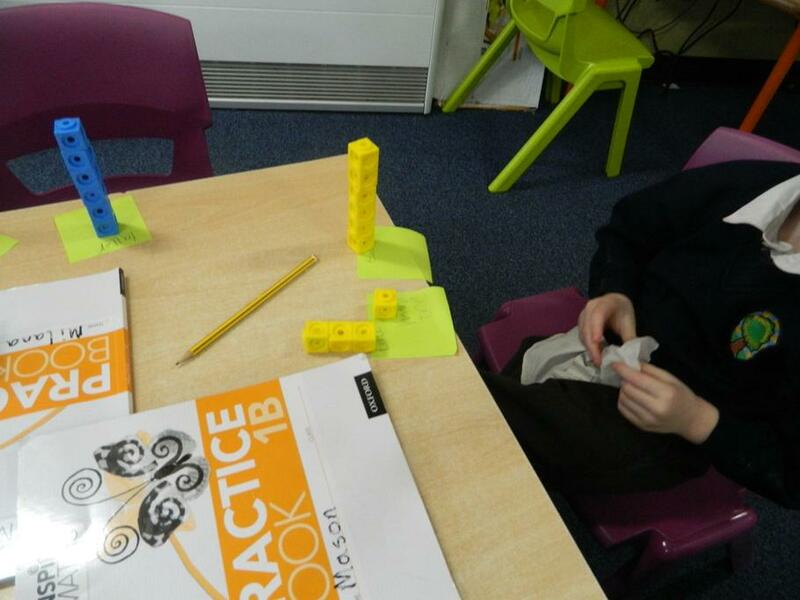 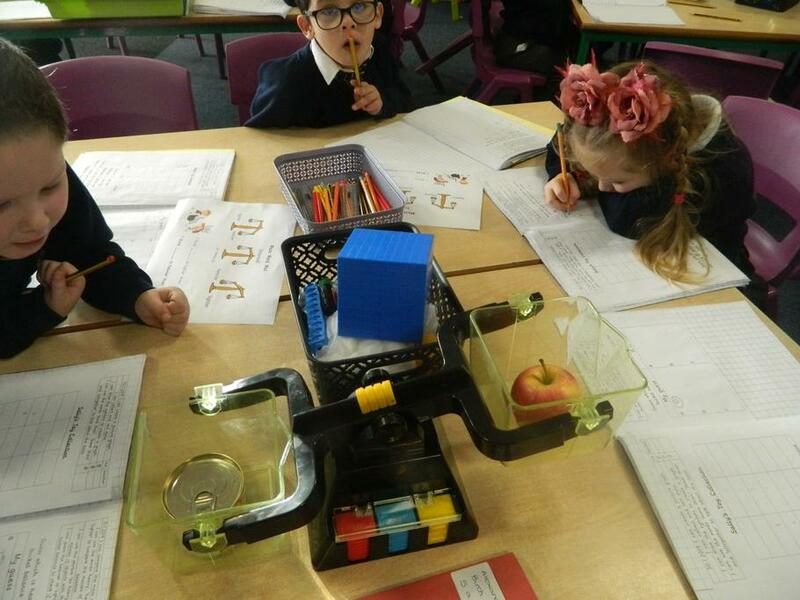 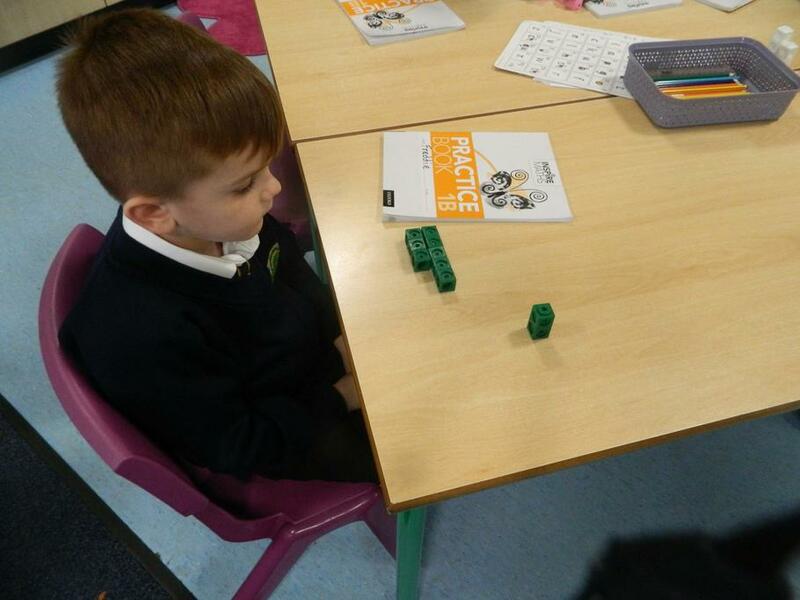 We have been learning how to find the mass of an object using non-standard units. 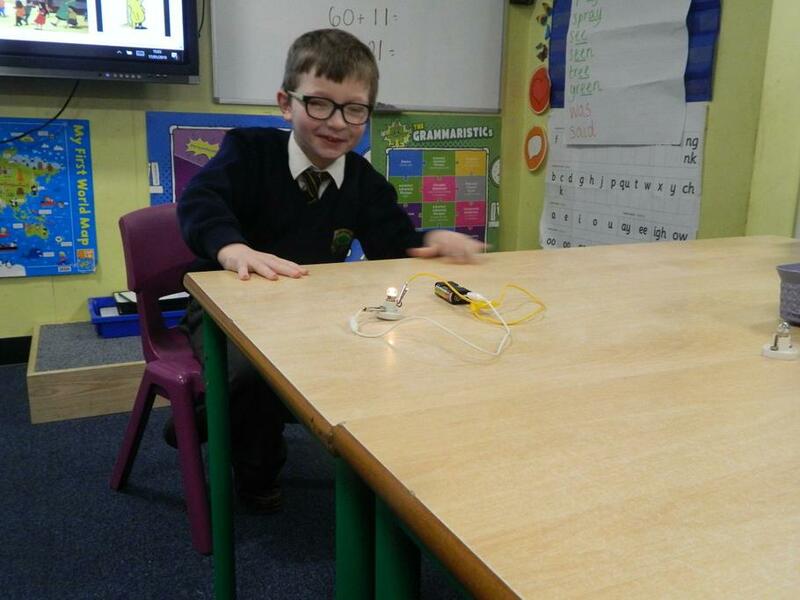 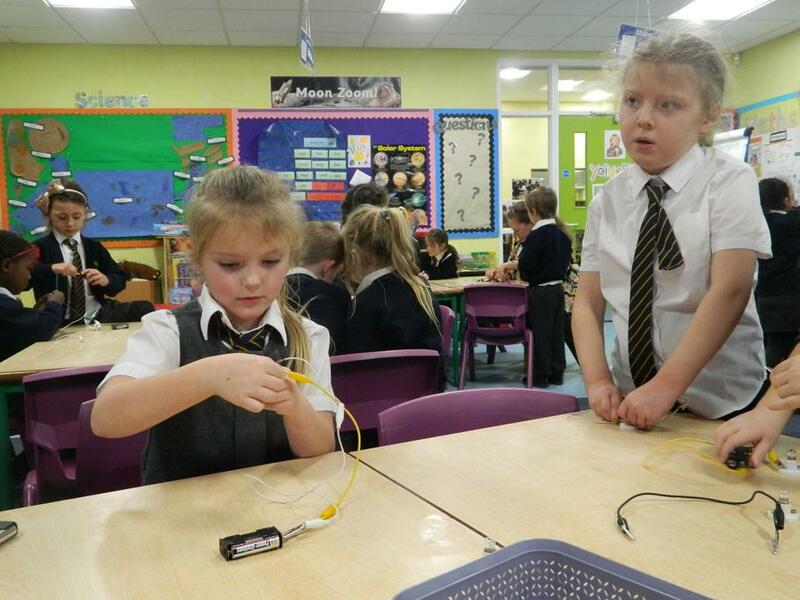 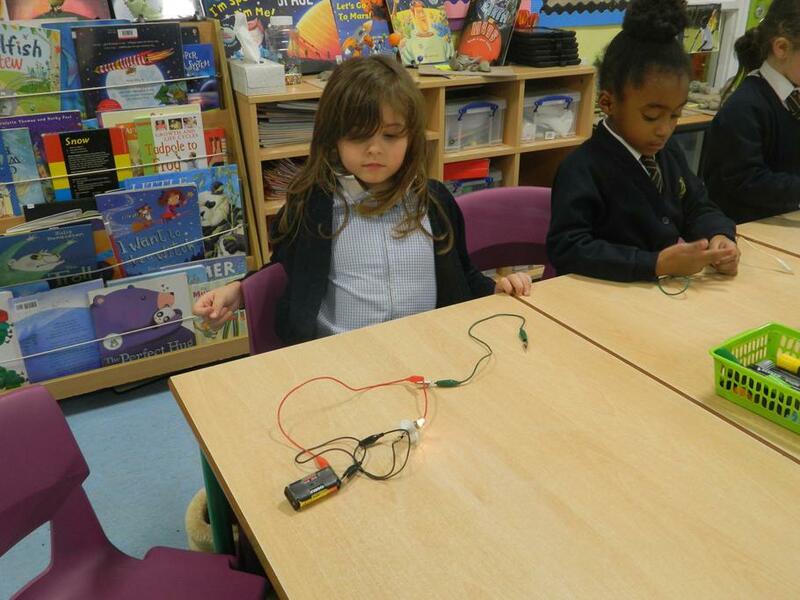 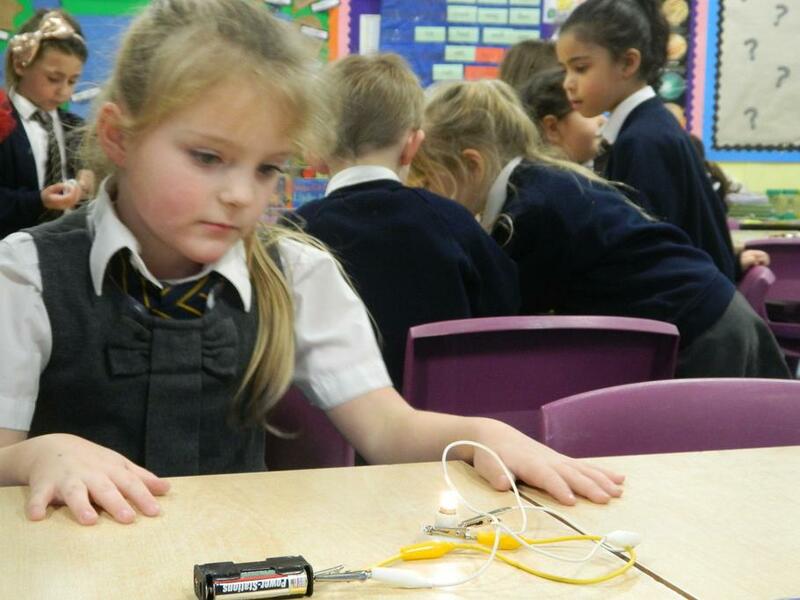 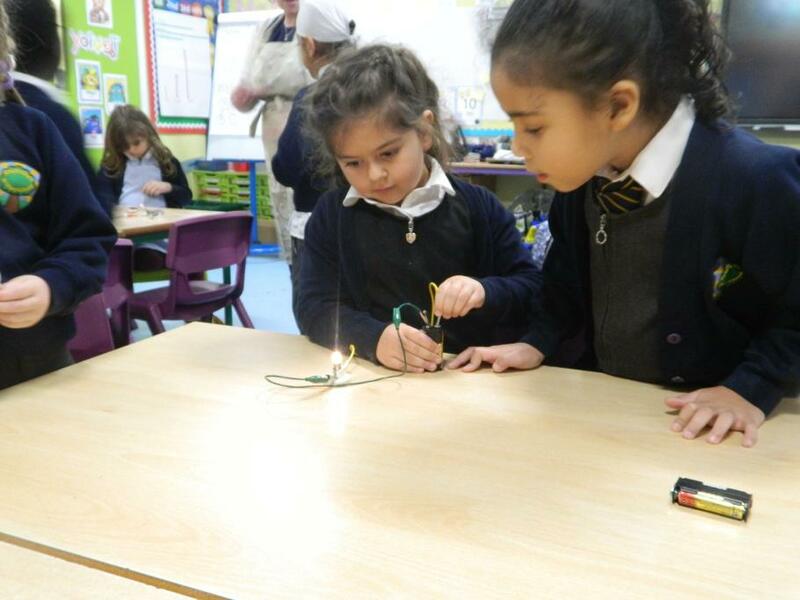 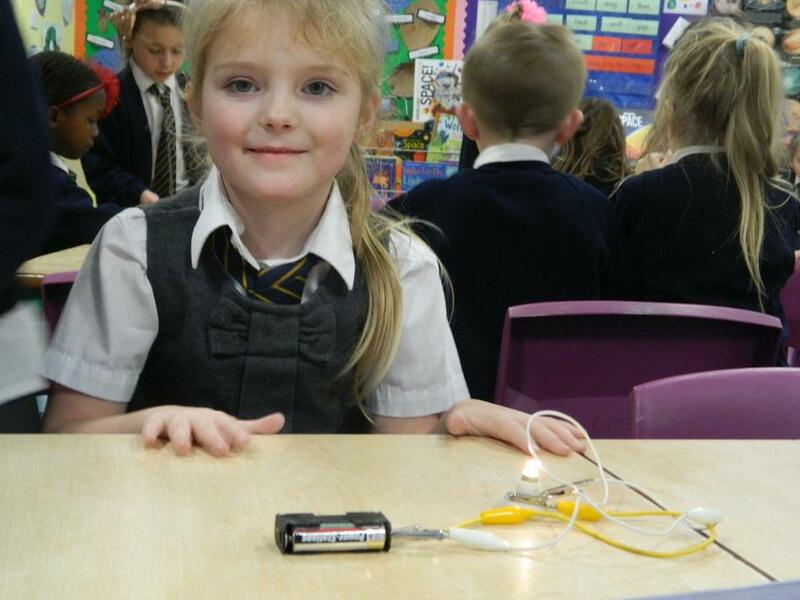 We are learning how to complete a simple circuit to light a bulb. 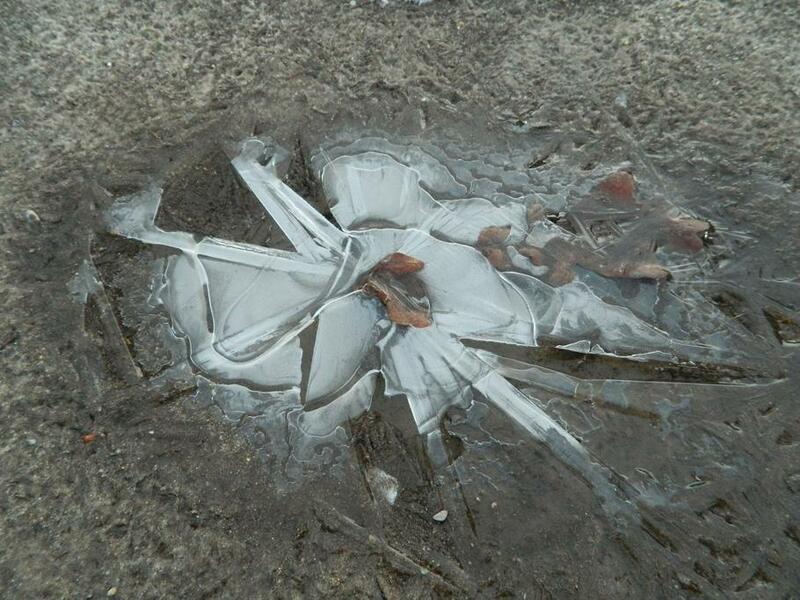 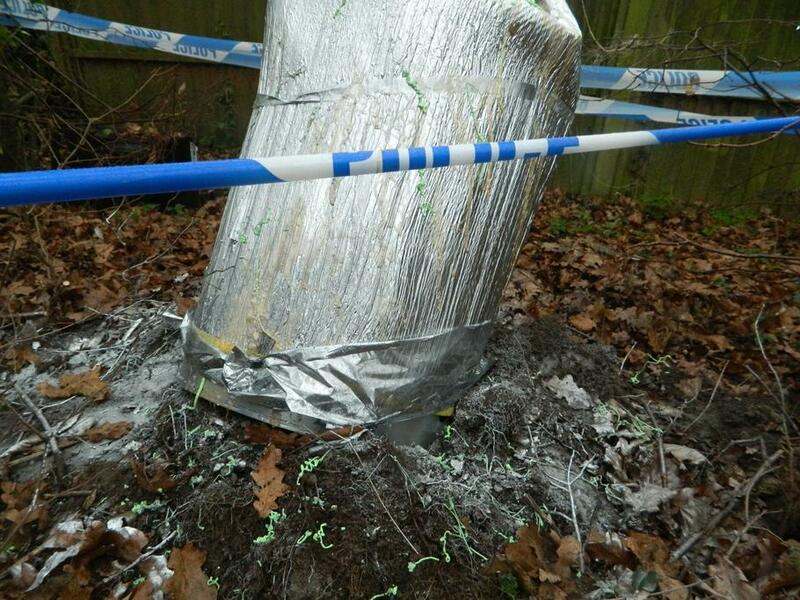 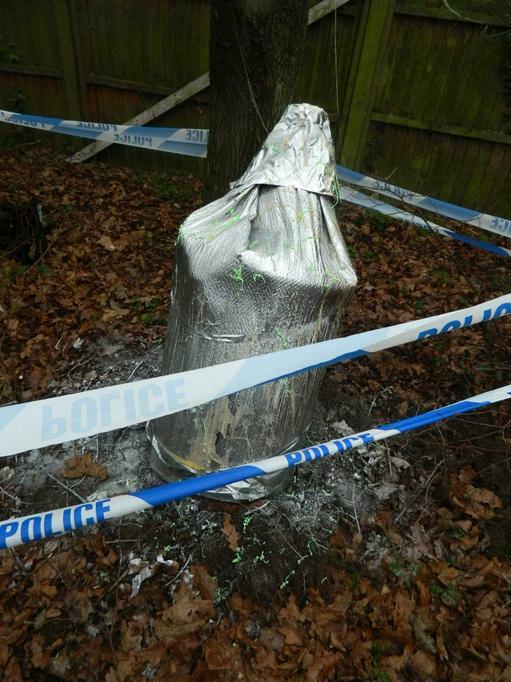 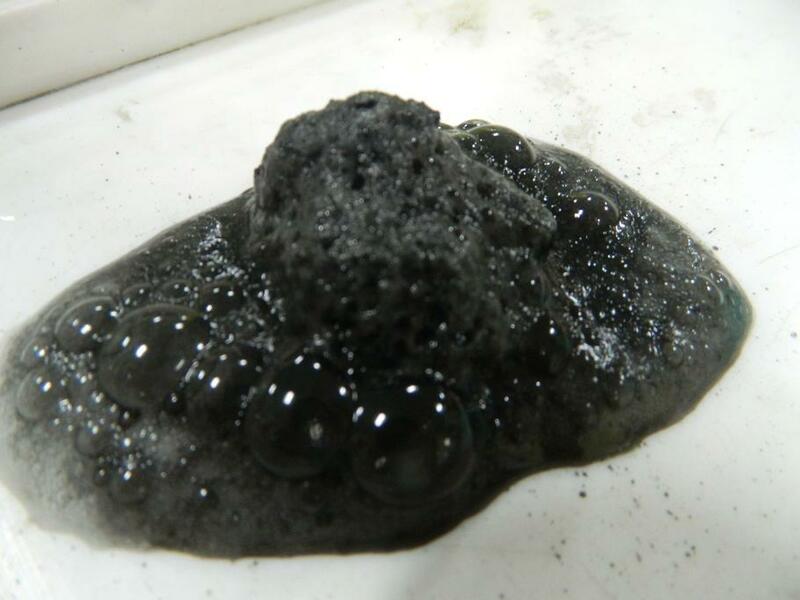 Perhaps we can contact the alien from the space crash? 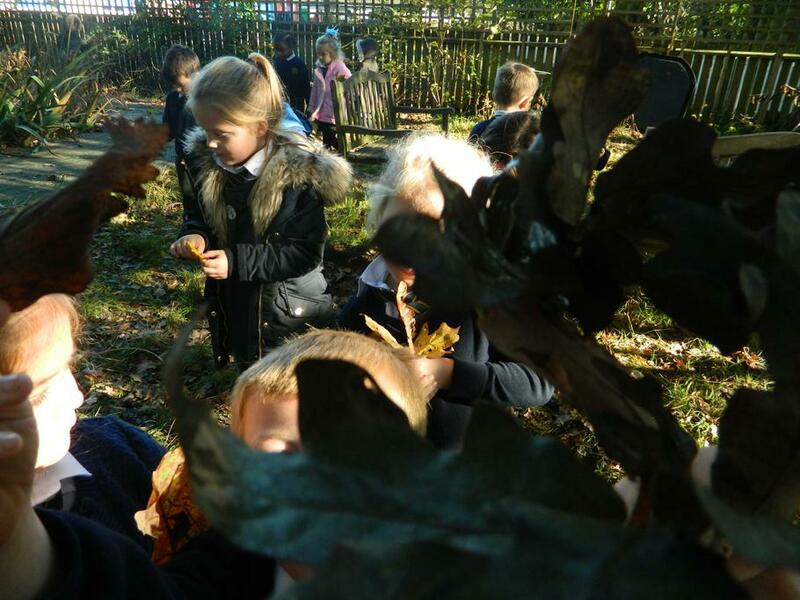 Our new topic for Autumn term will take us back in time - we will focus on our own changes through time, our family's experiences of childhood and share some old childhood toys and artefacts. 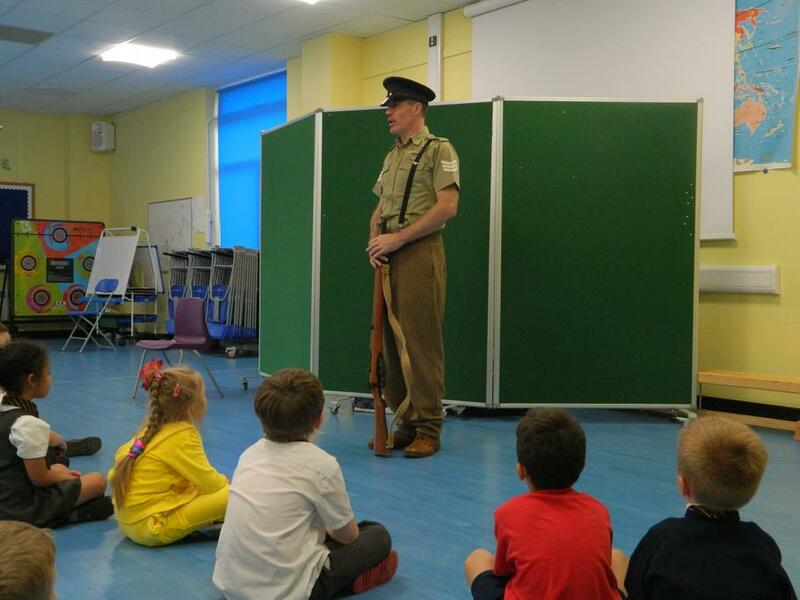 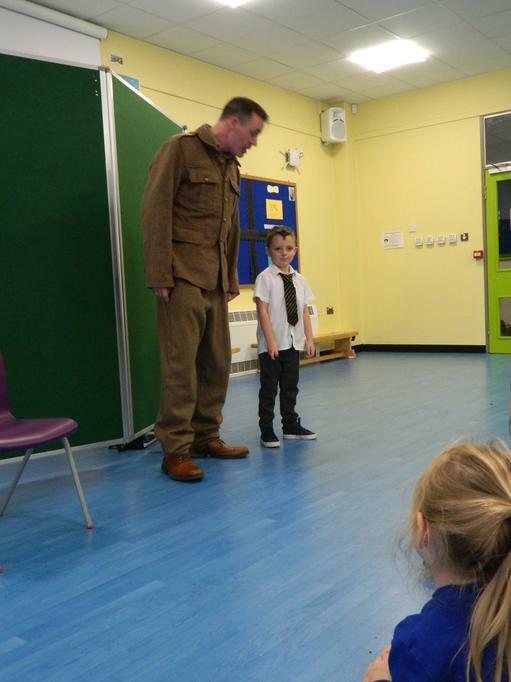 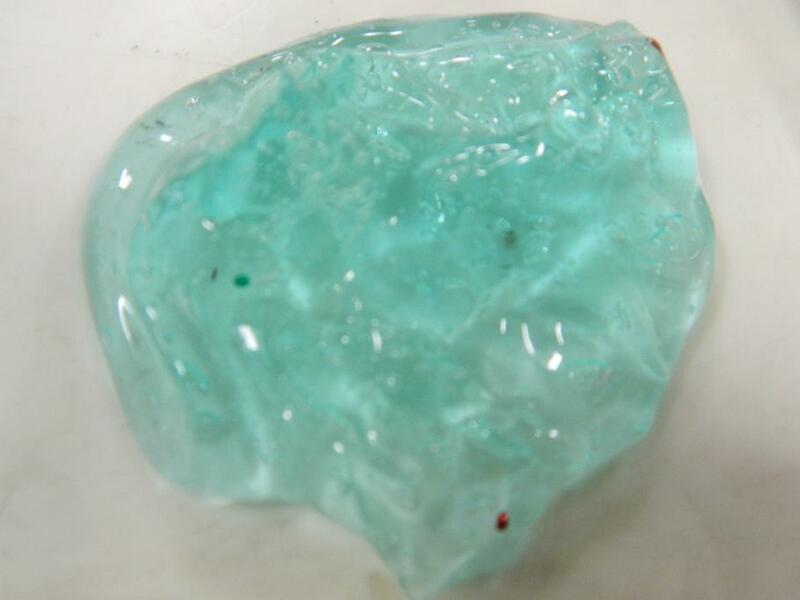 Do you have something from the past that you would like to share with the children? 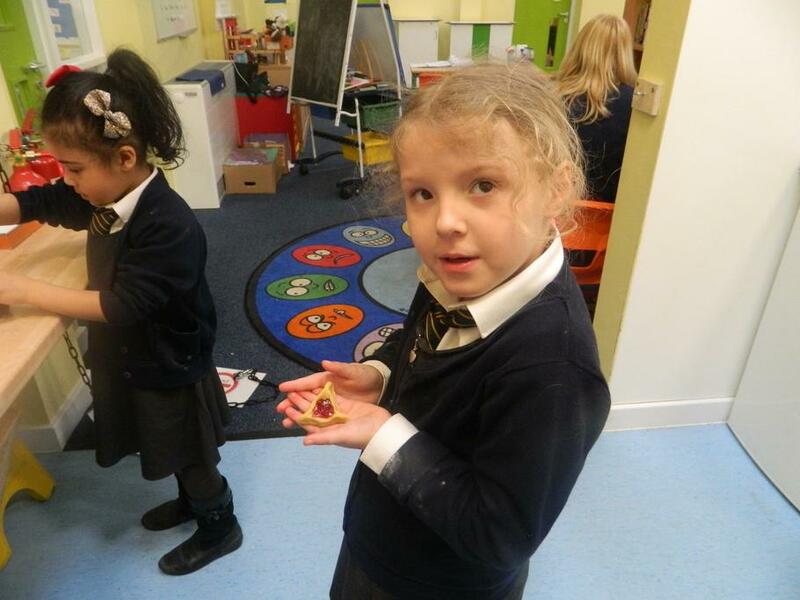 Please bring it in and tell us about it! 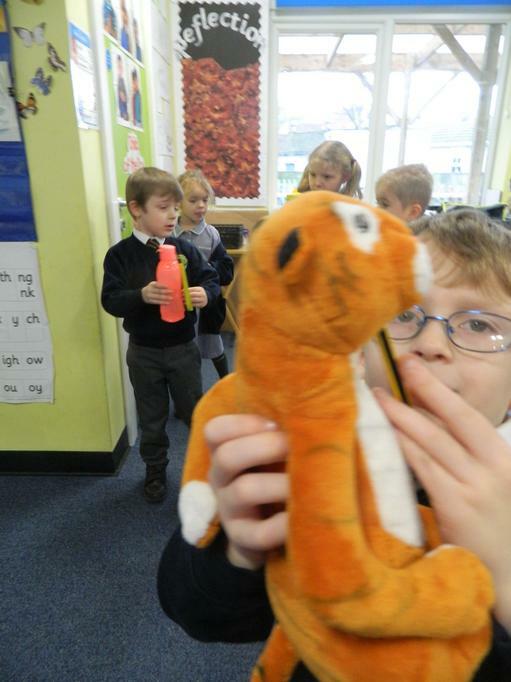 CHILDREN IN NEED wear your spots to school day! 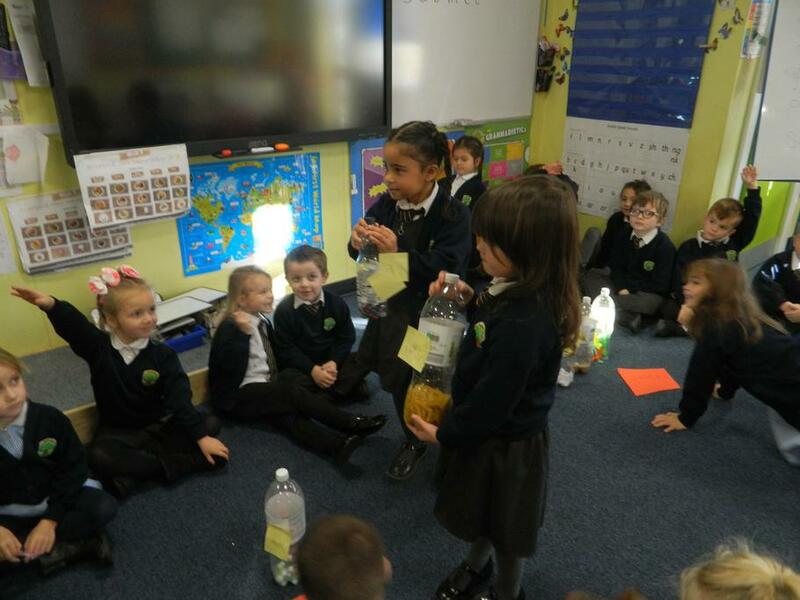 We raised lots of money to help other people. 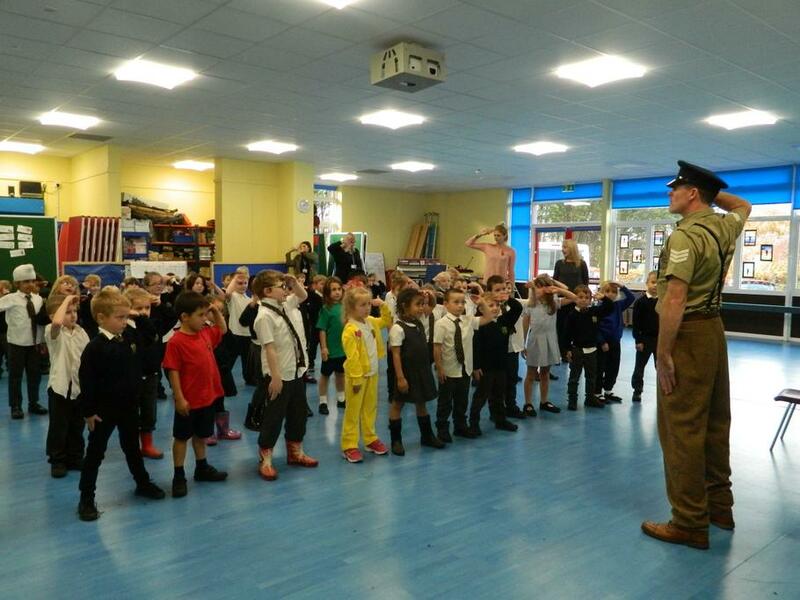 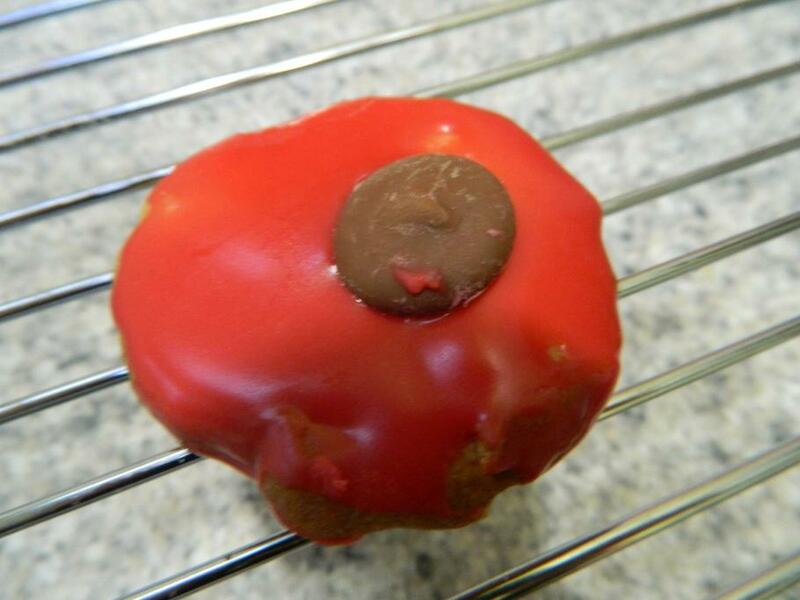 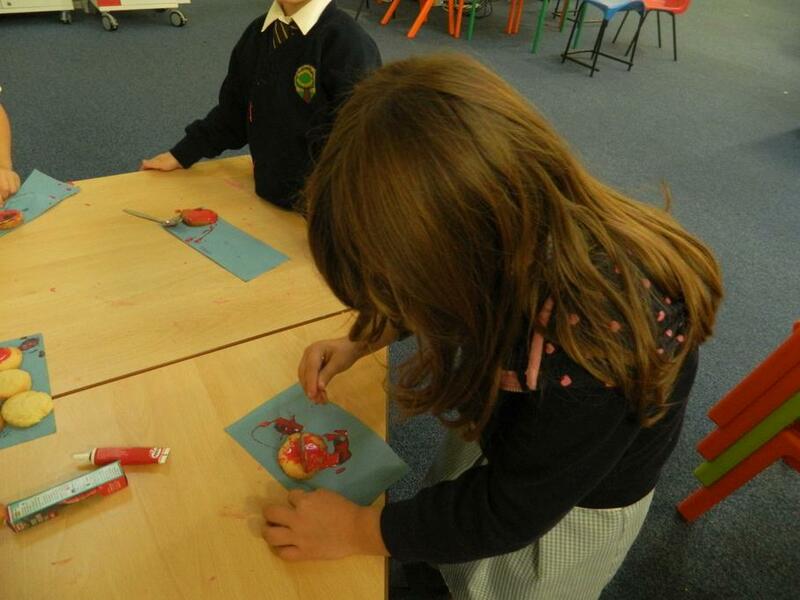 We have spent the week finding out why we wear poppies at this time of the year. 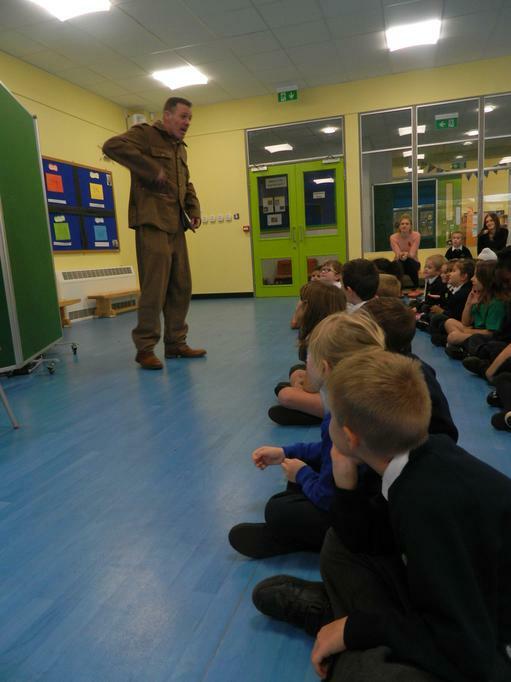 We touched on World War 1 and used art as a means of reflection. 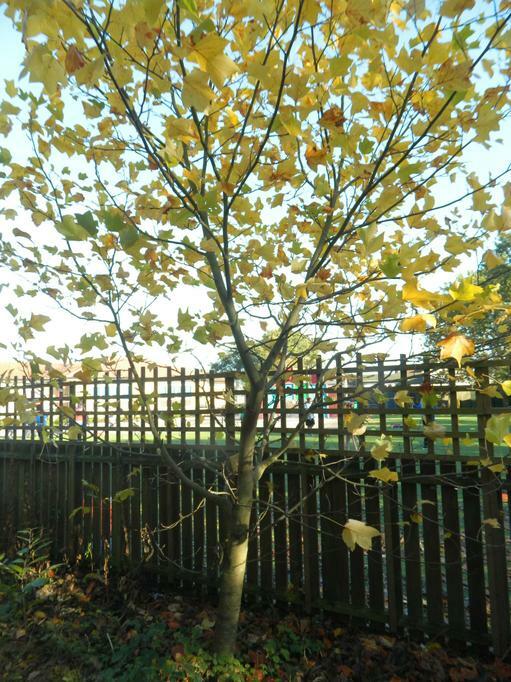 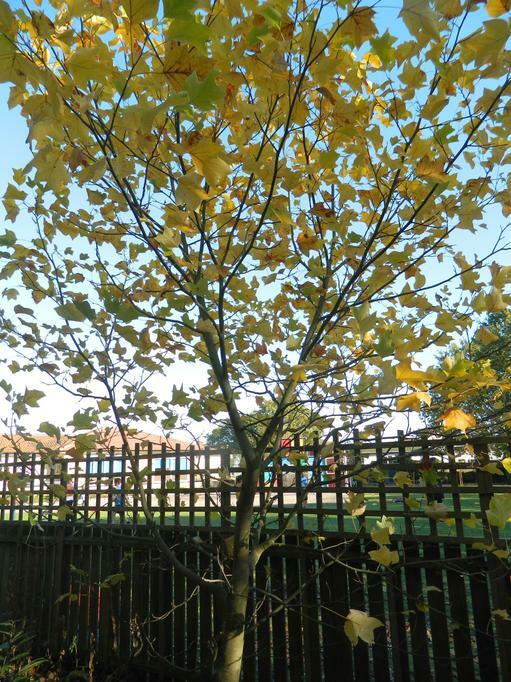 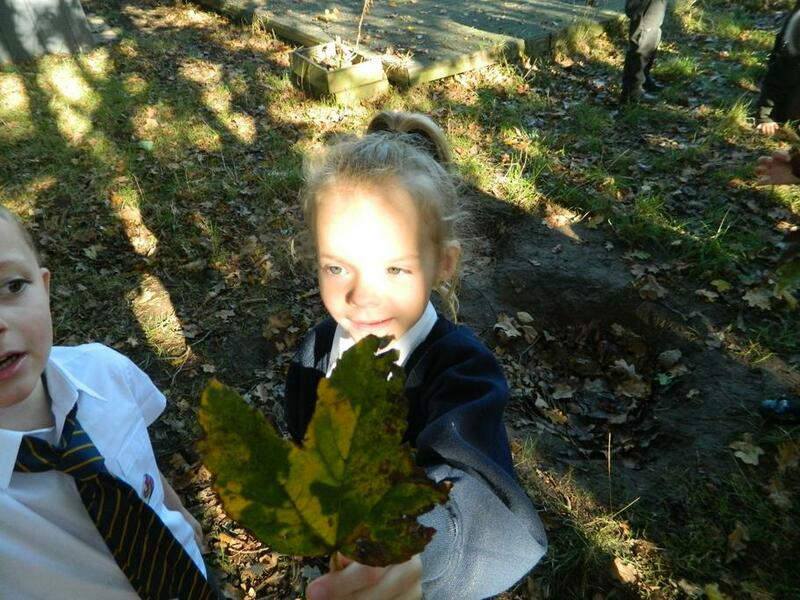 Our first mini-topic will helped us to learn about seasonal changes over time. 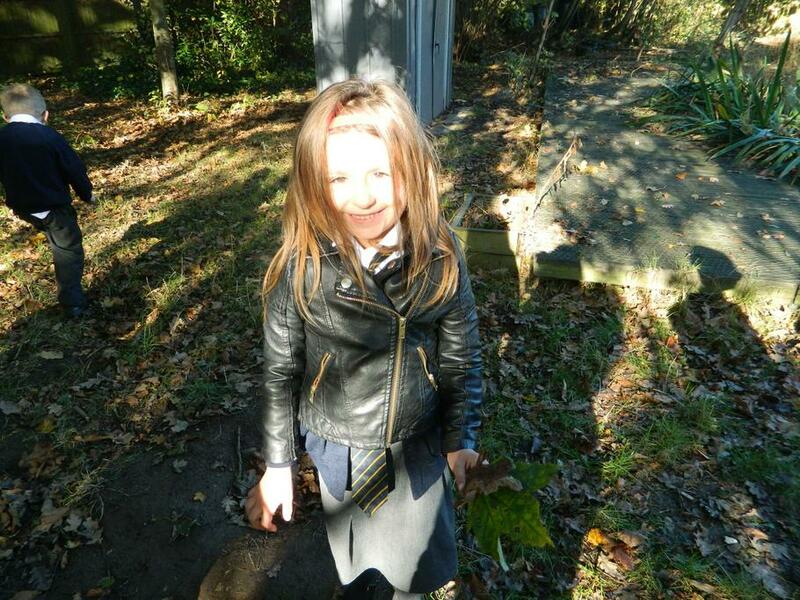 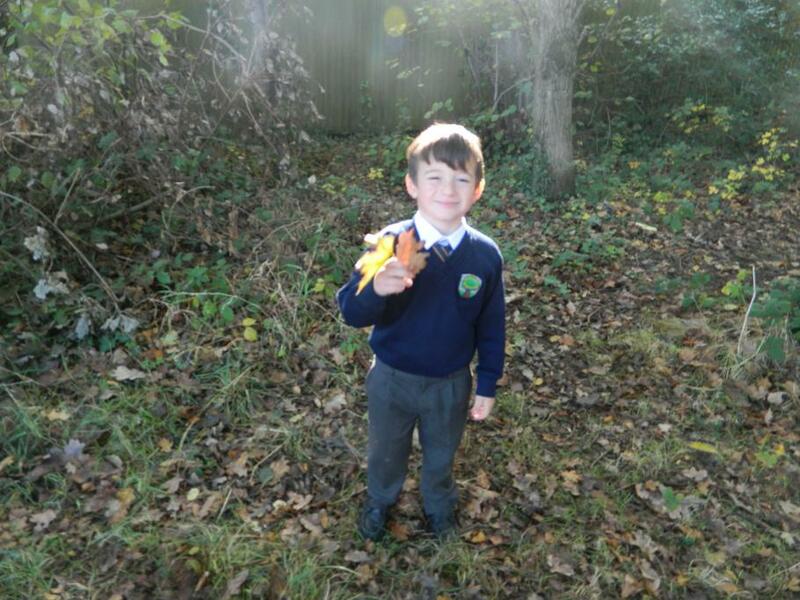 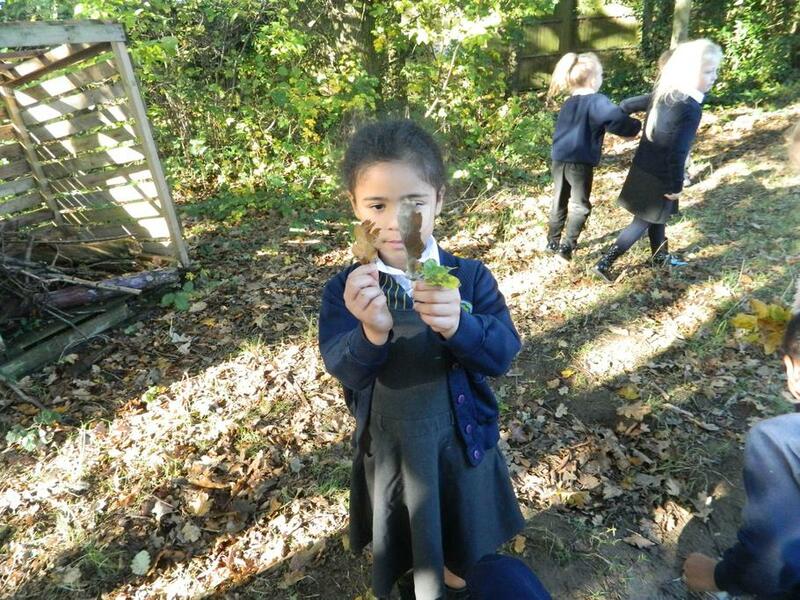 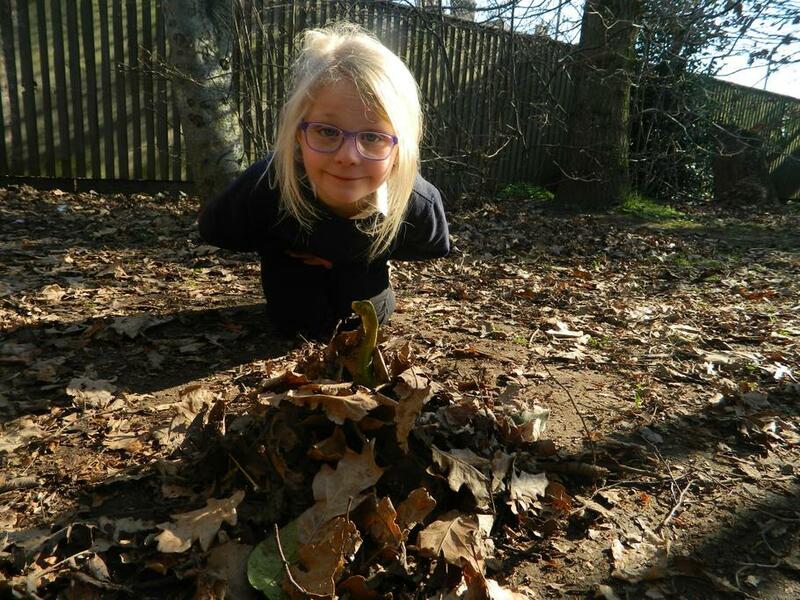 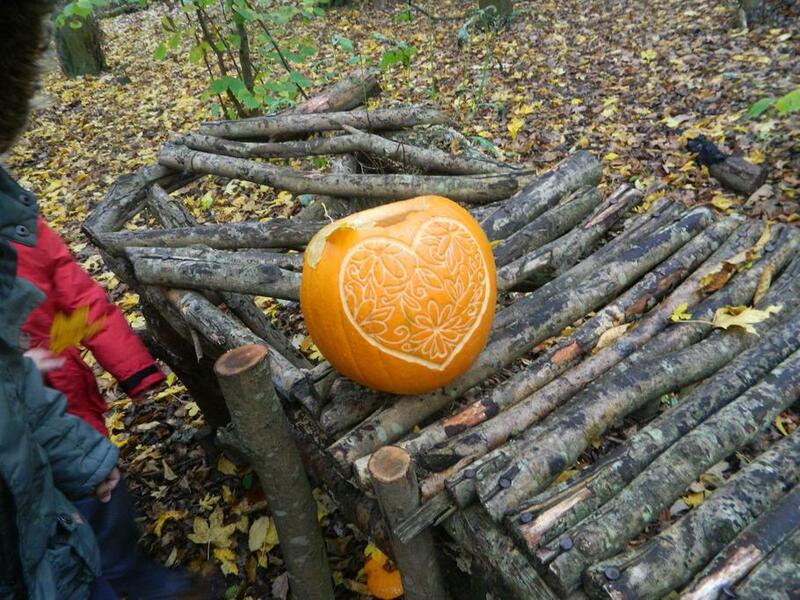 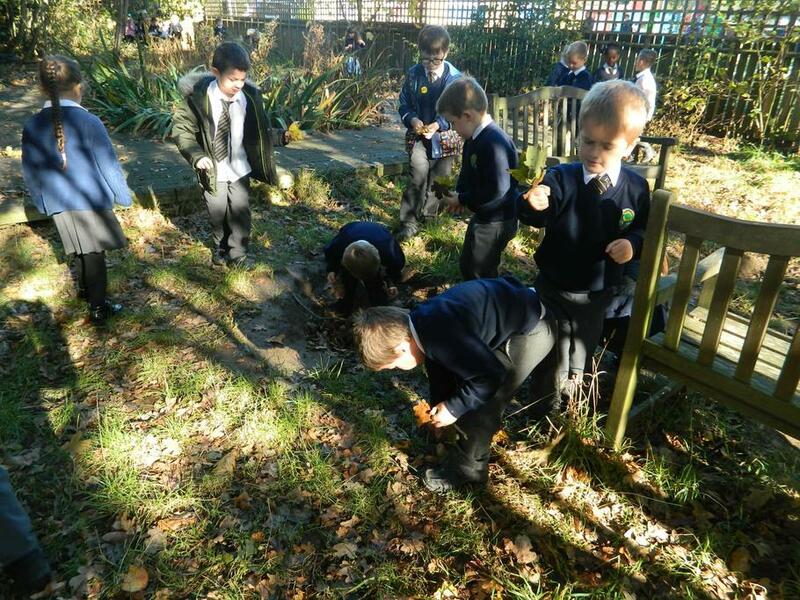 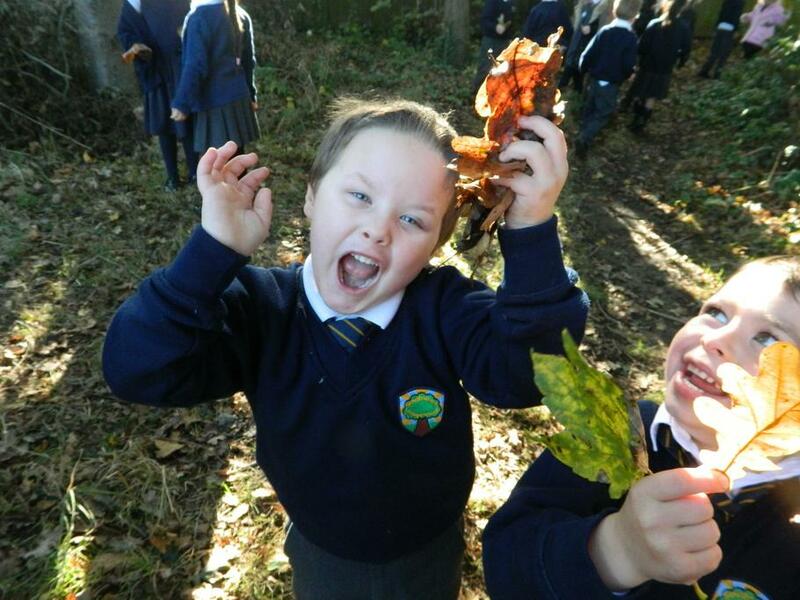 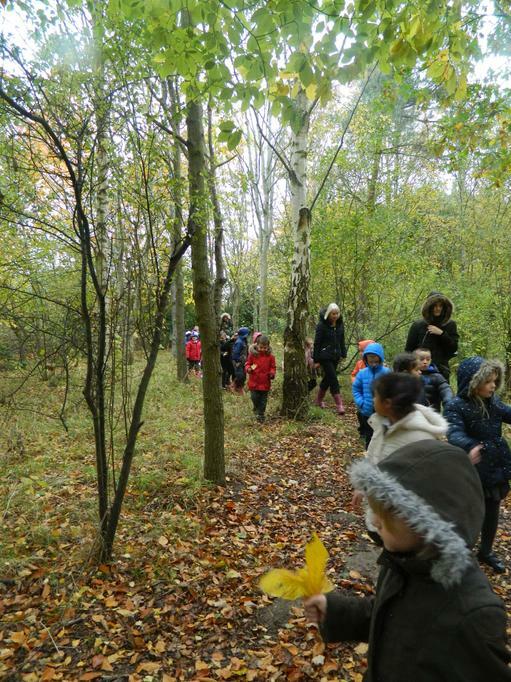 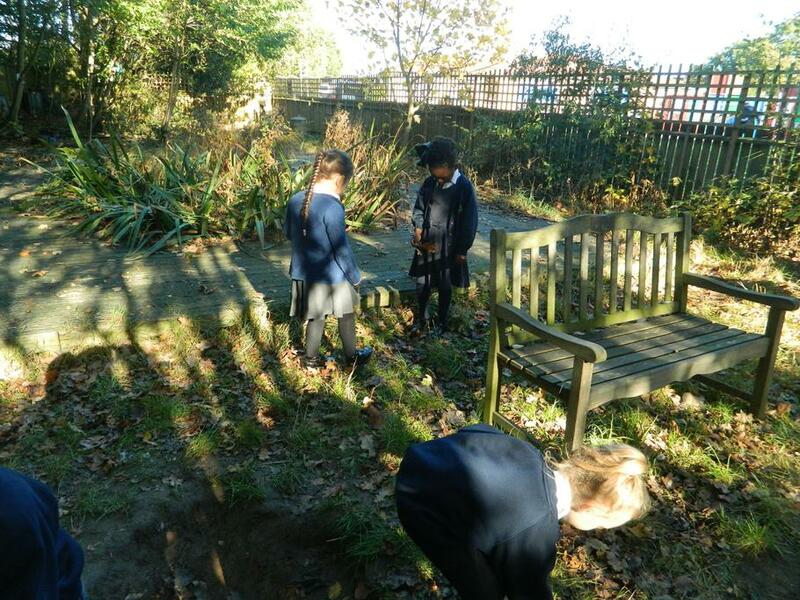 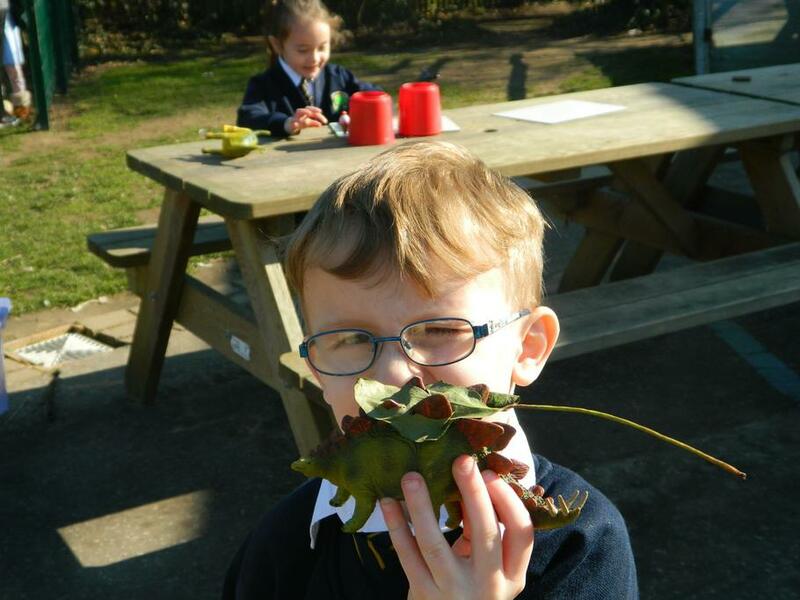 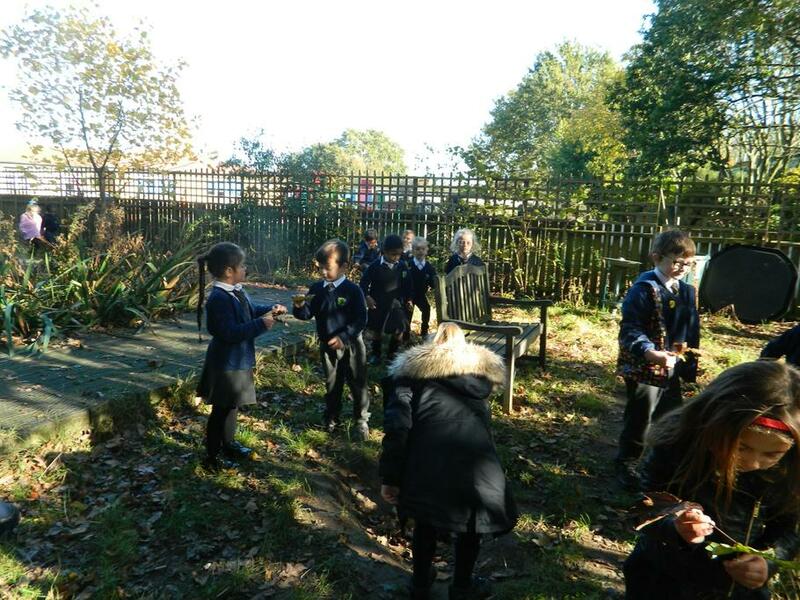 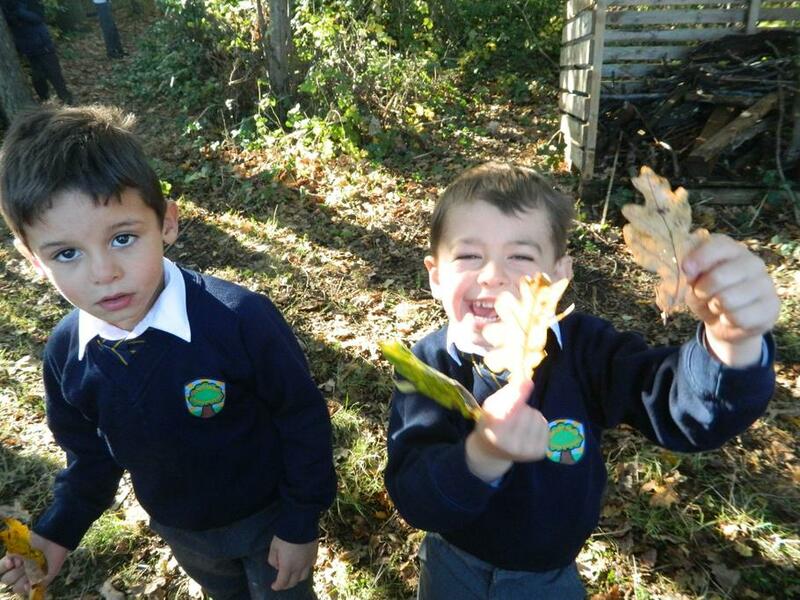 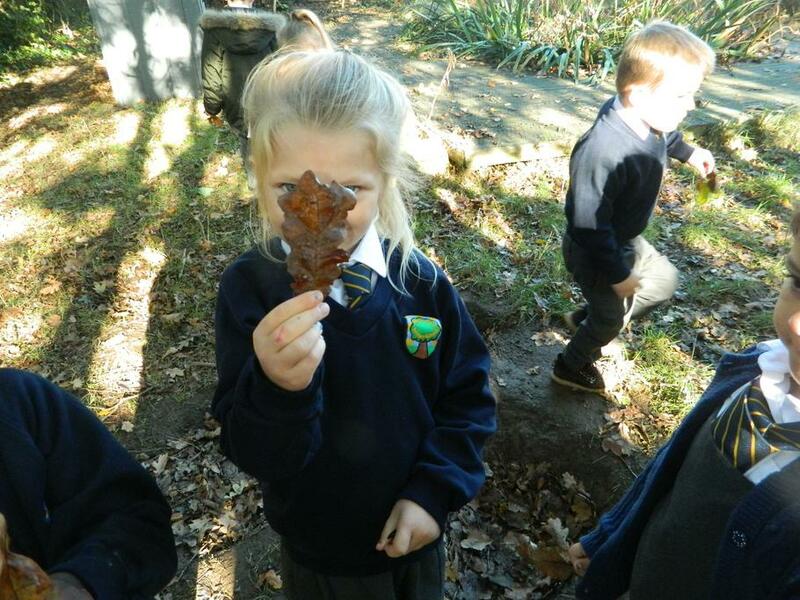 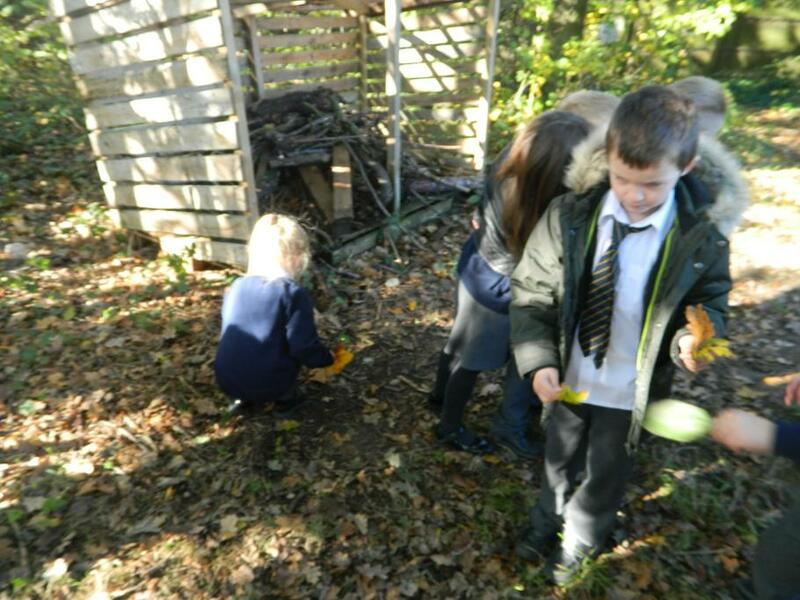 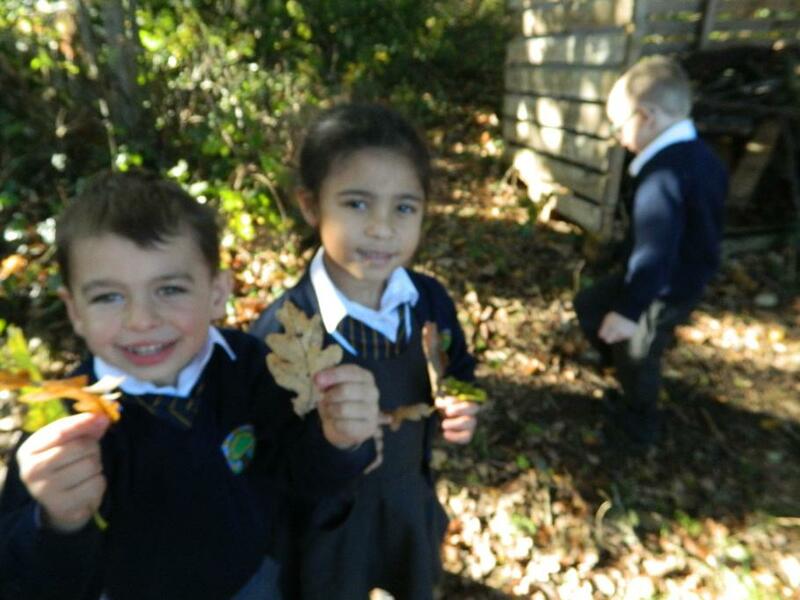 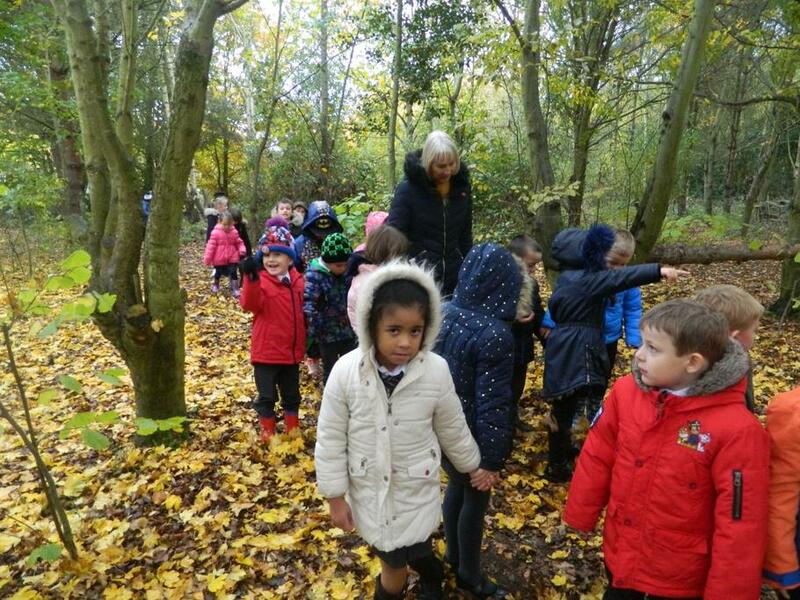 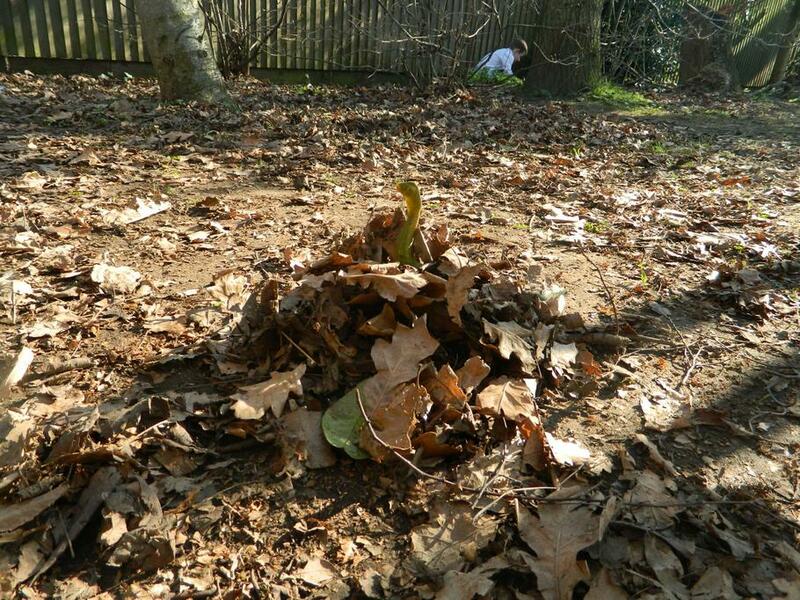 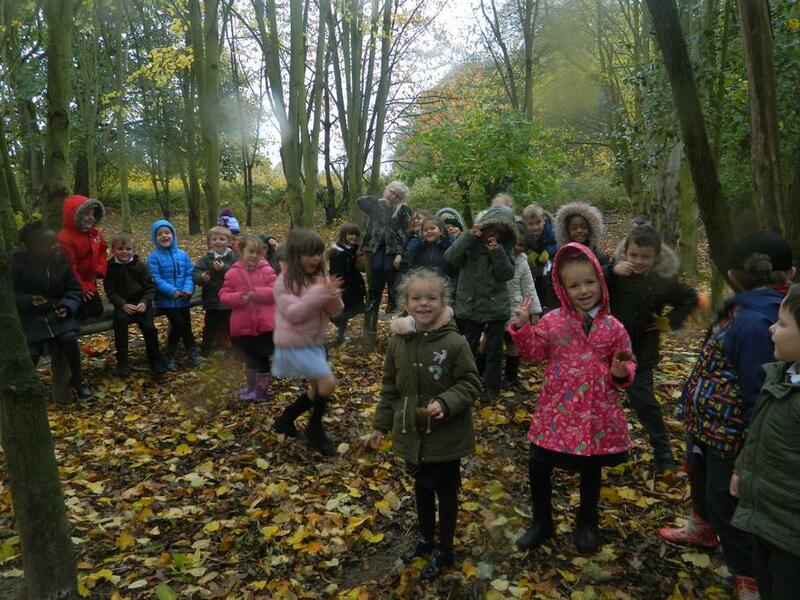 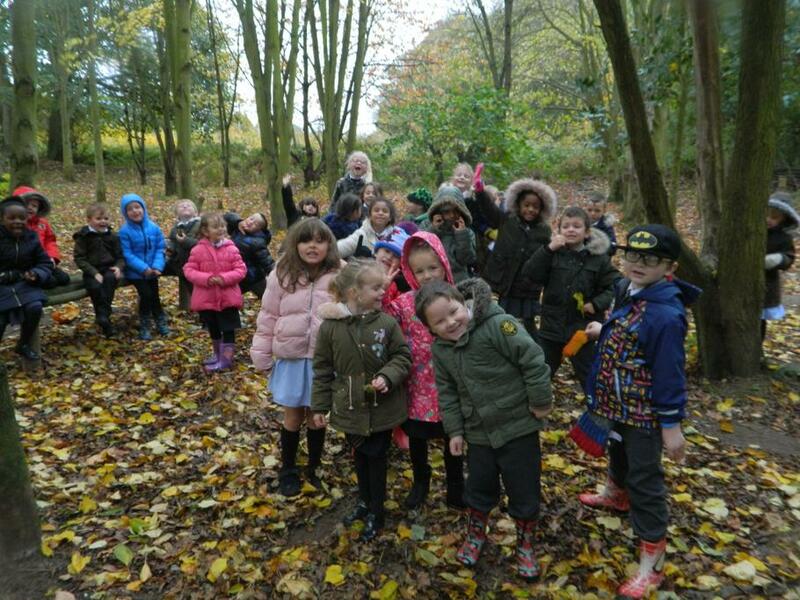 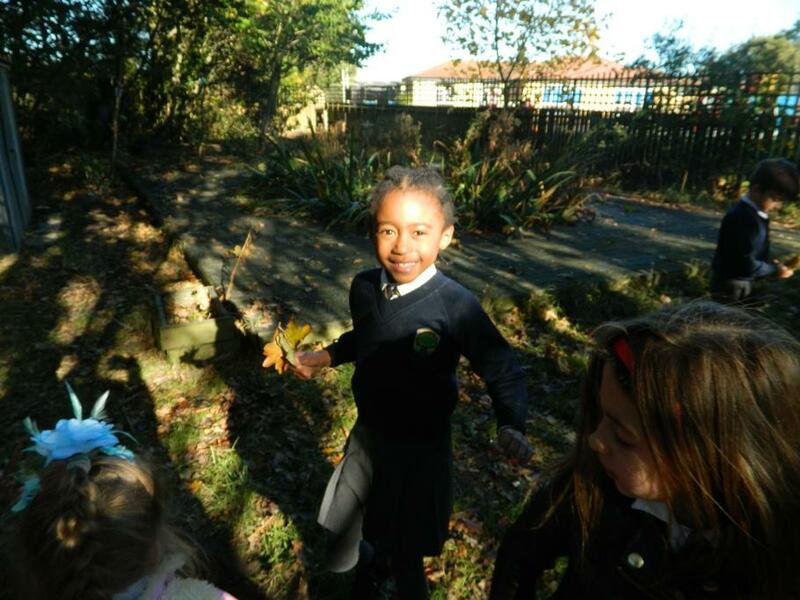 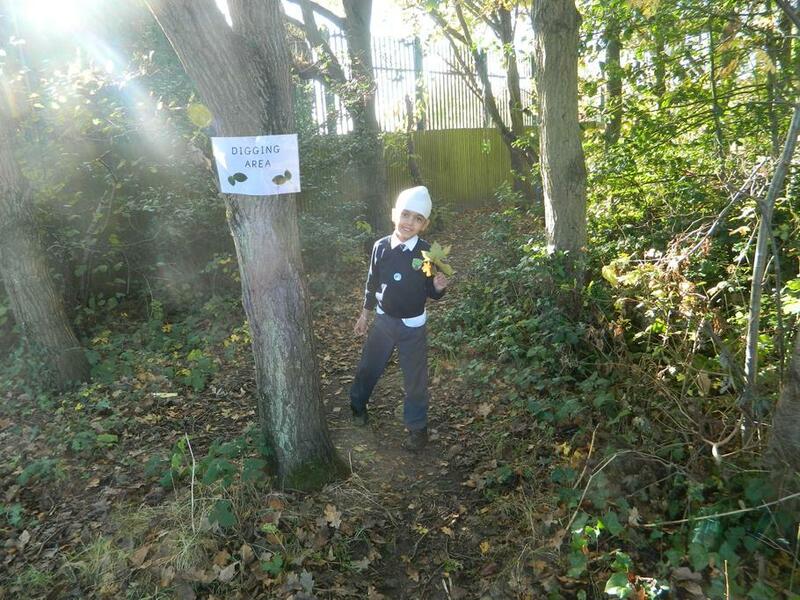 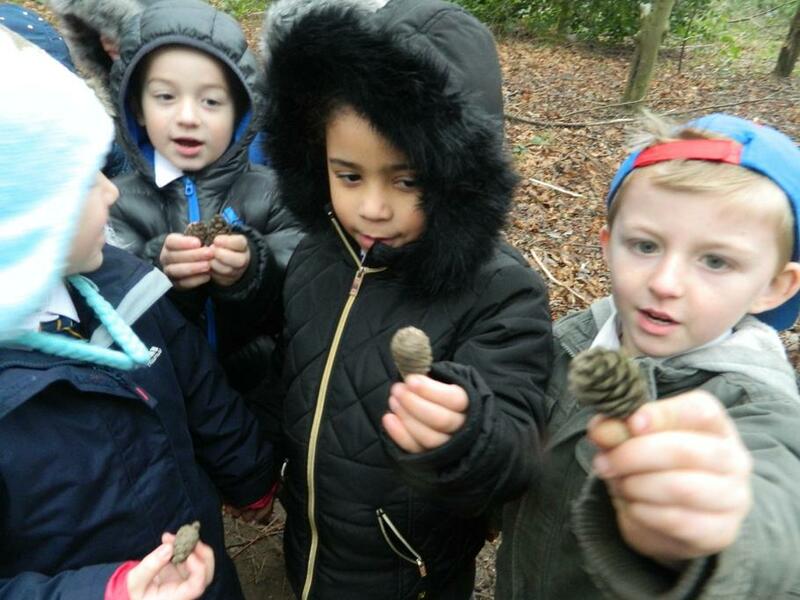 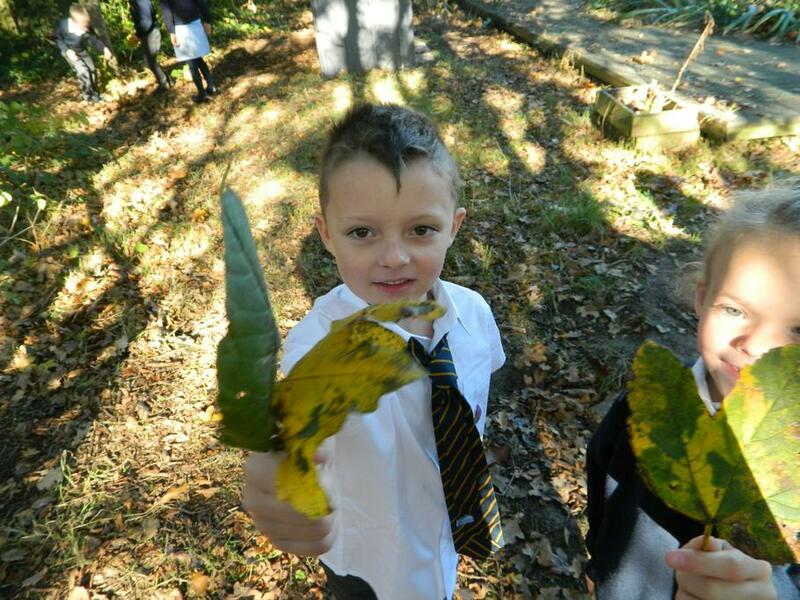 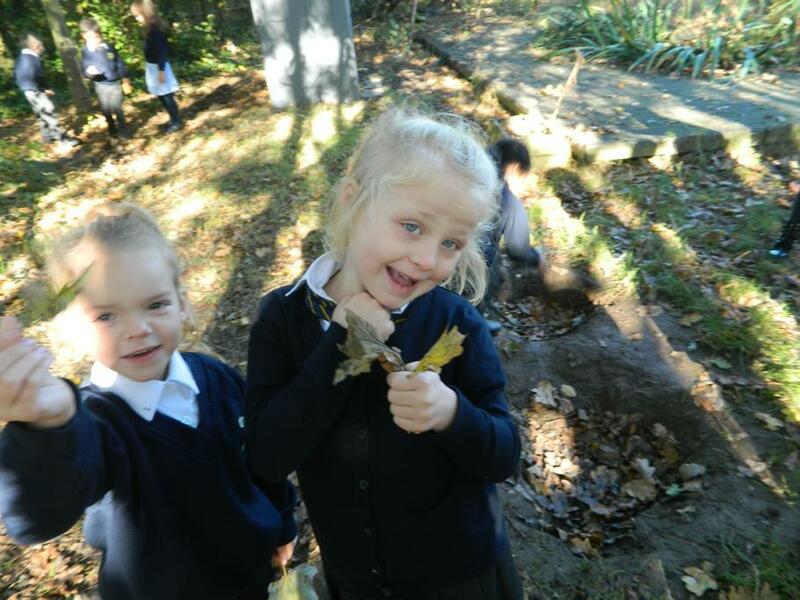 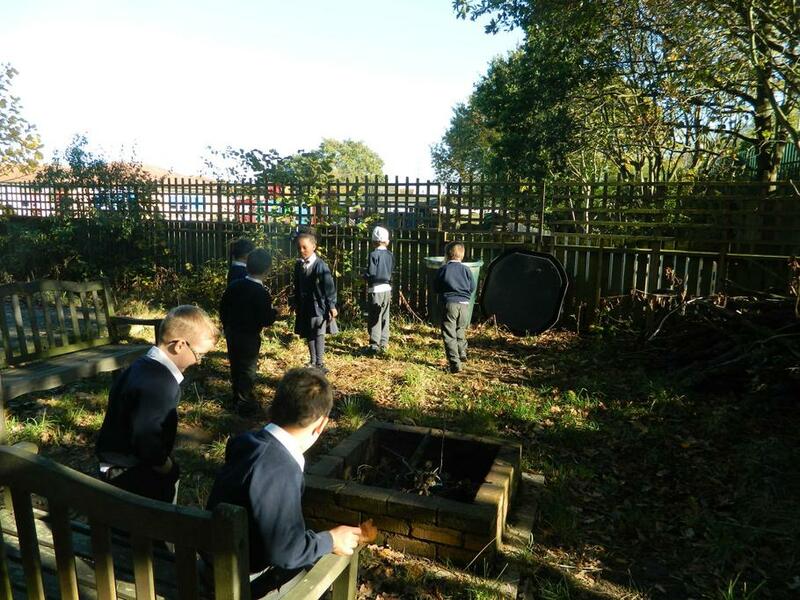 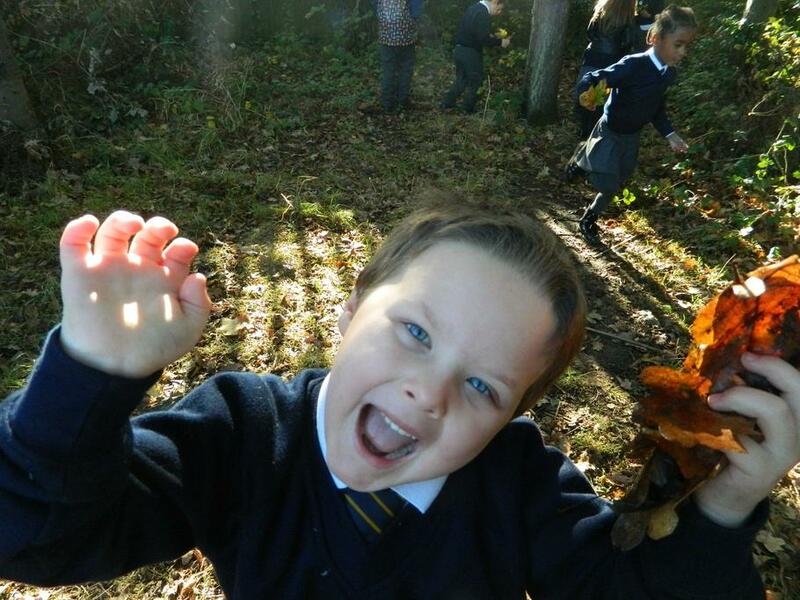 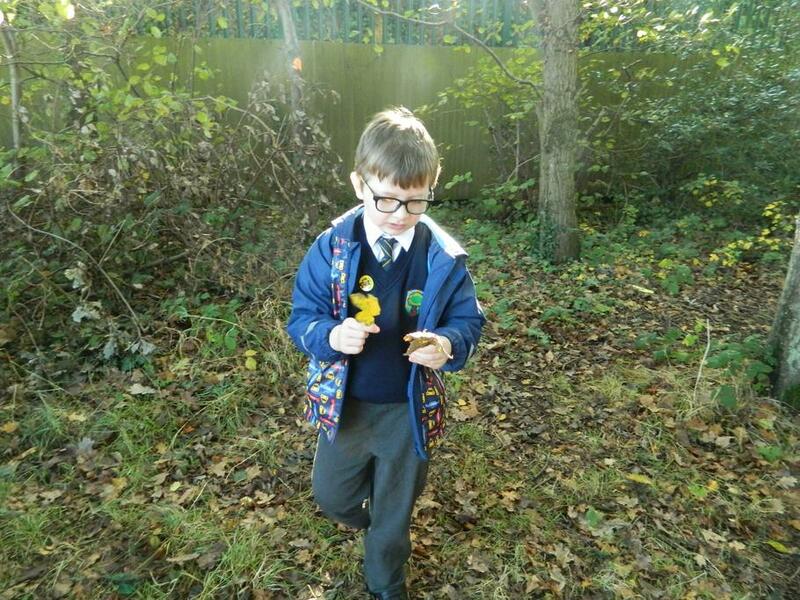 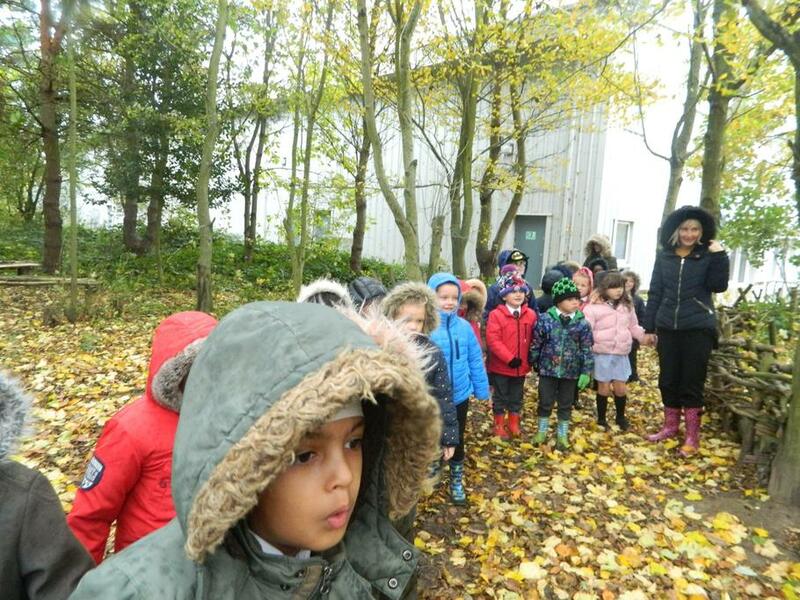 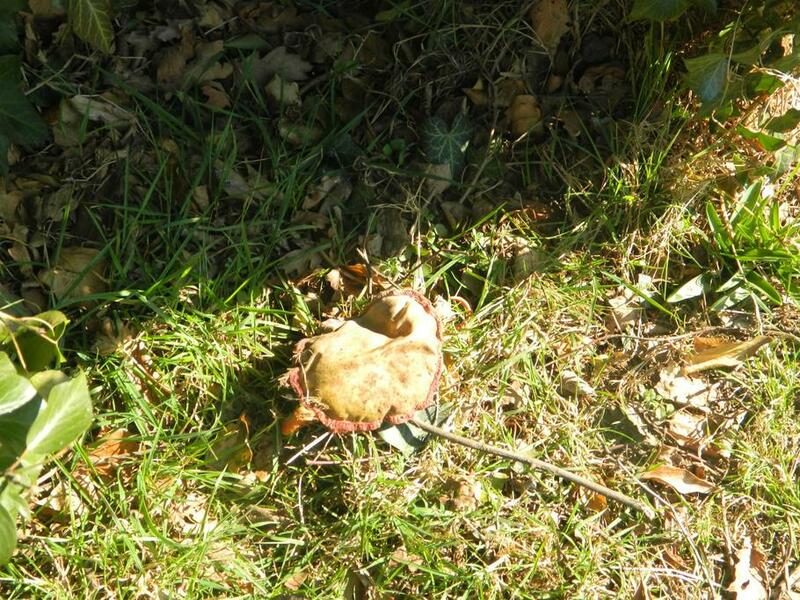 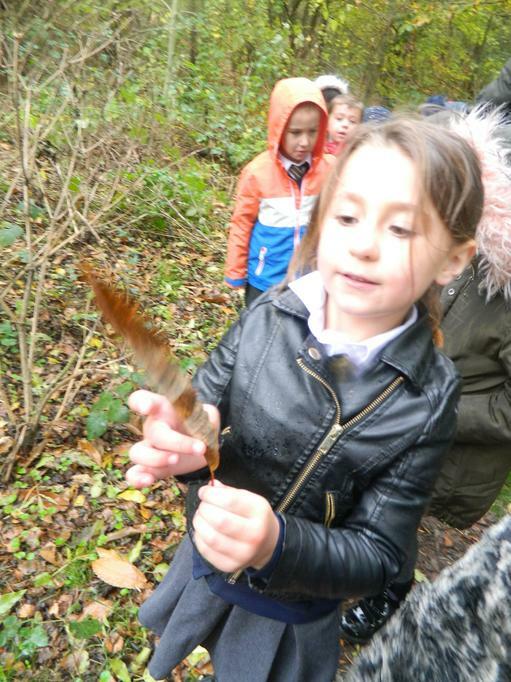 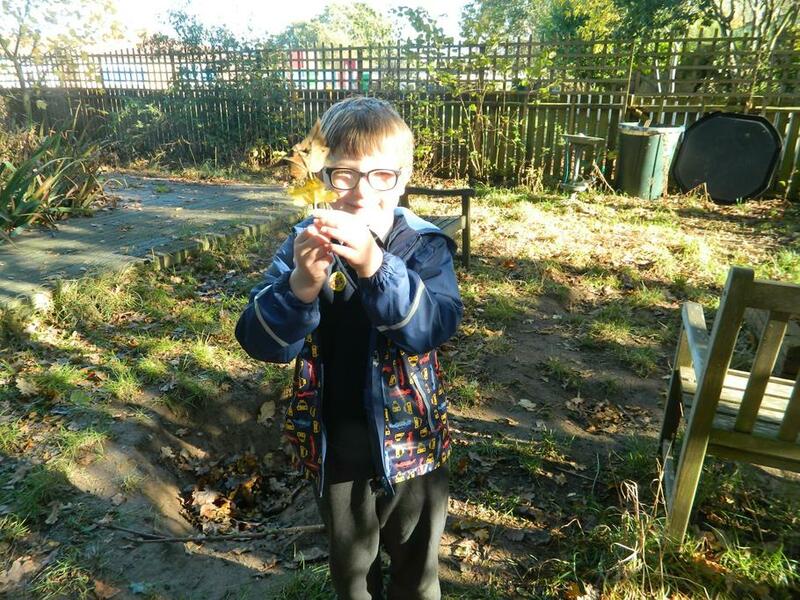 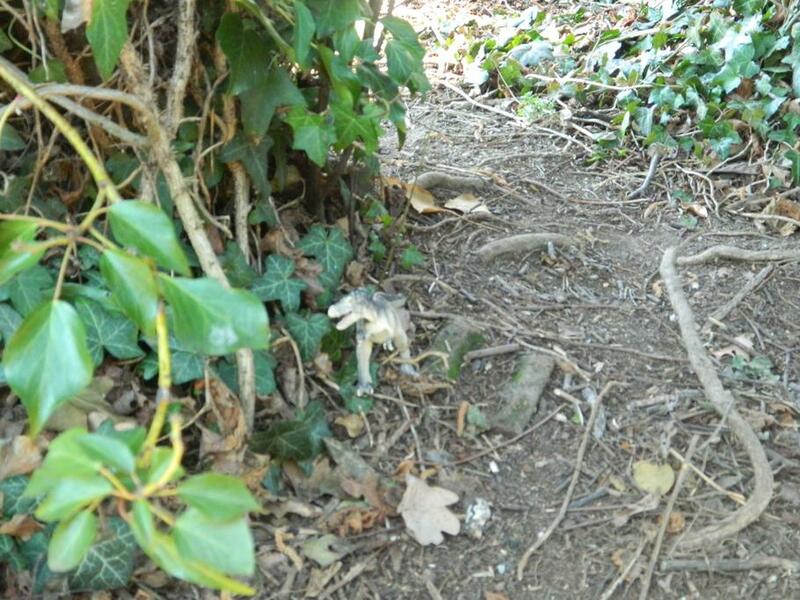 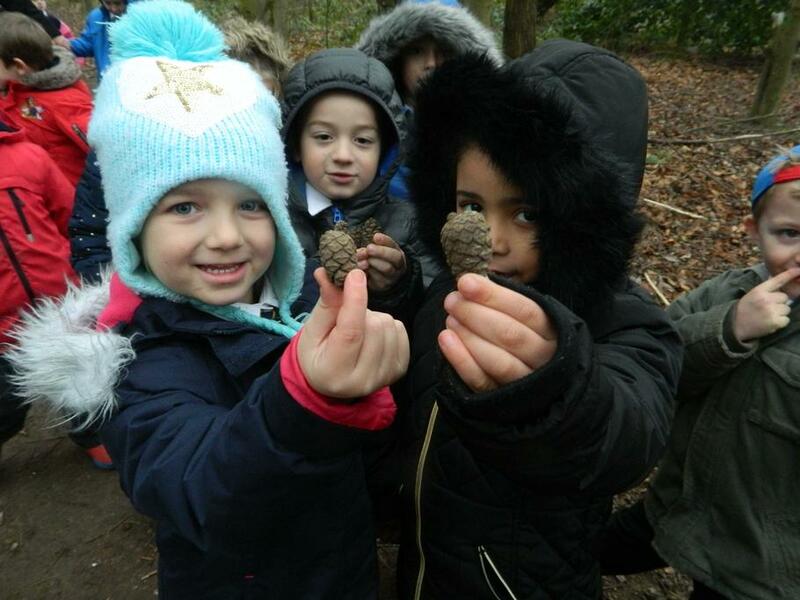 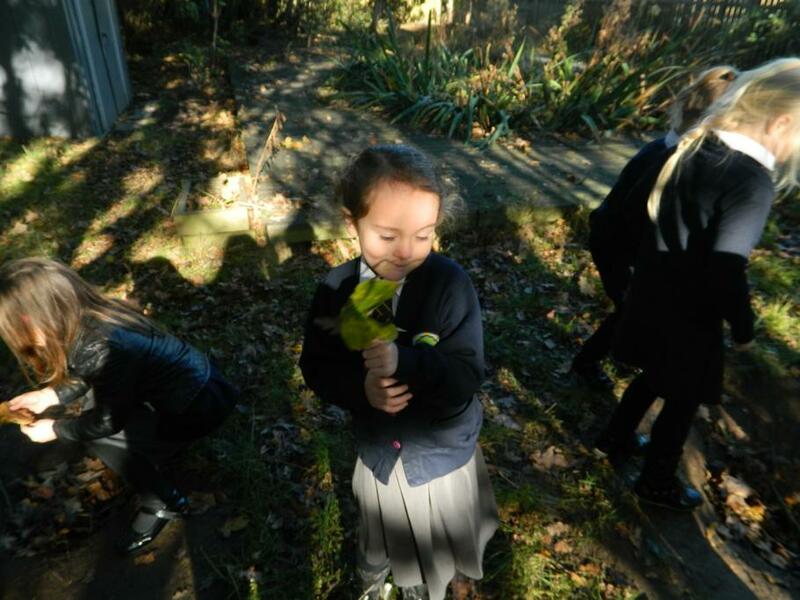 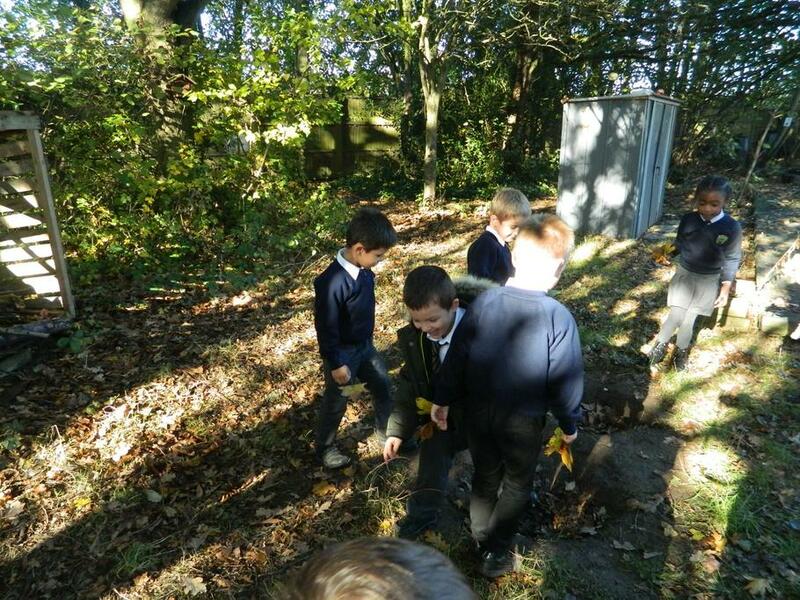 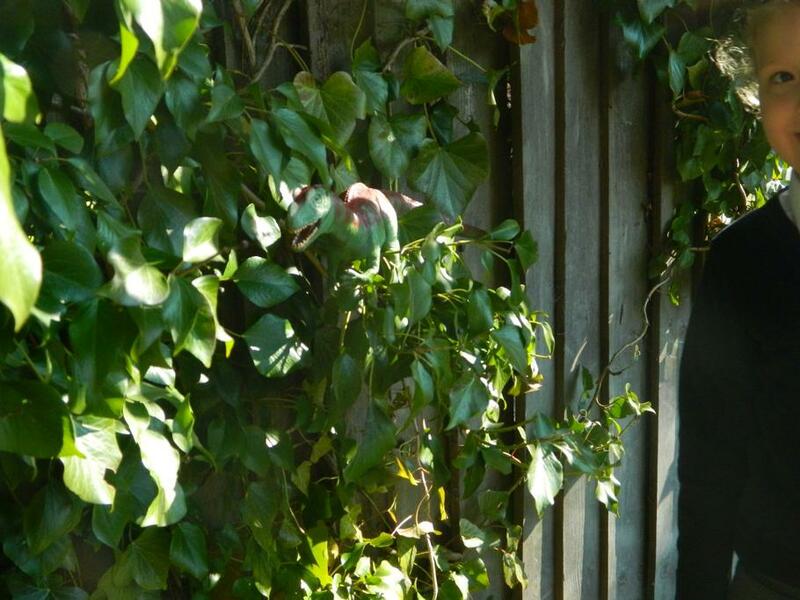 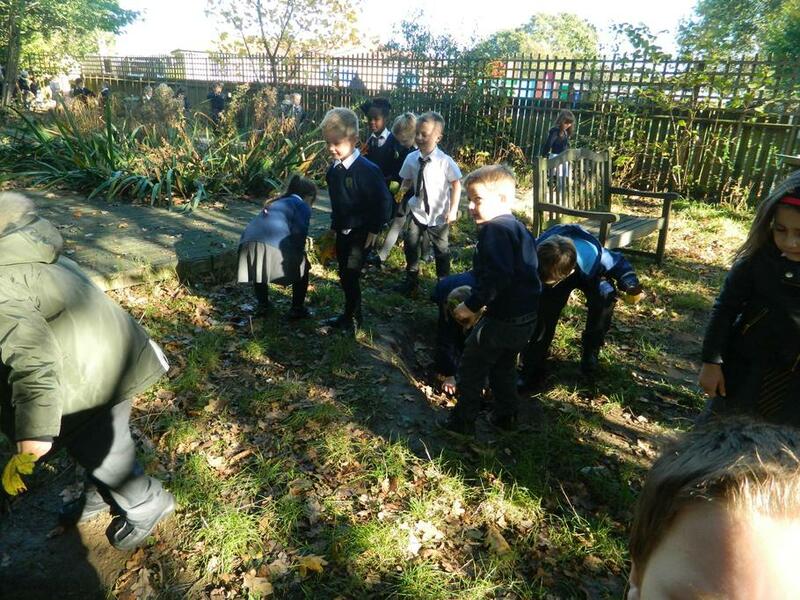 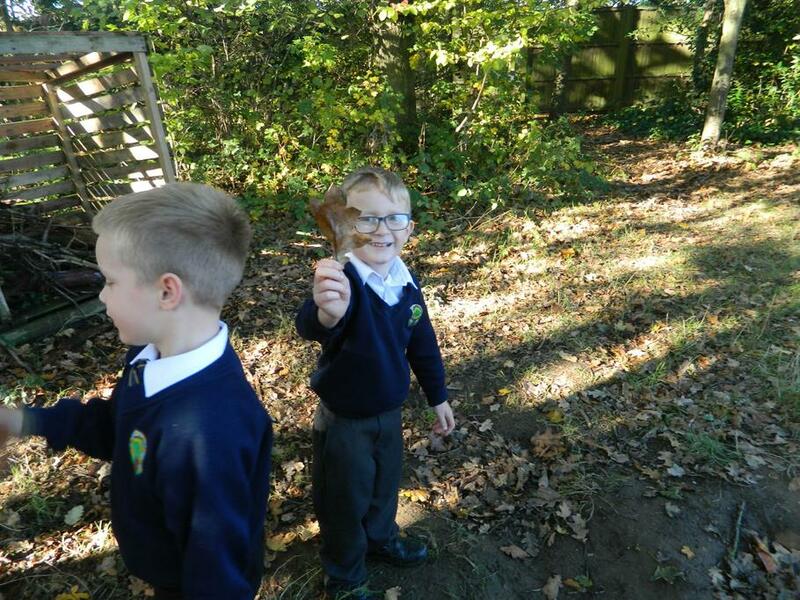 We visited the woods to explore our natural environment, look for seasonal changes and discover nature's treasures. 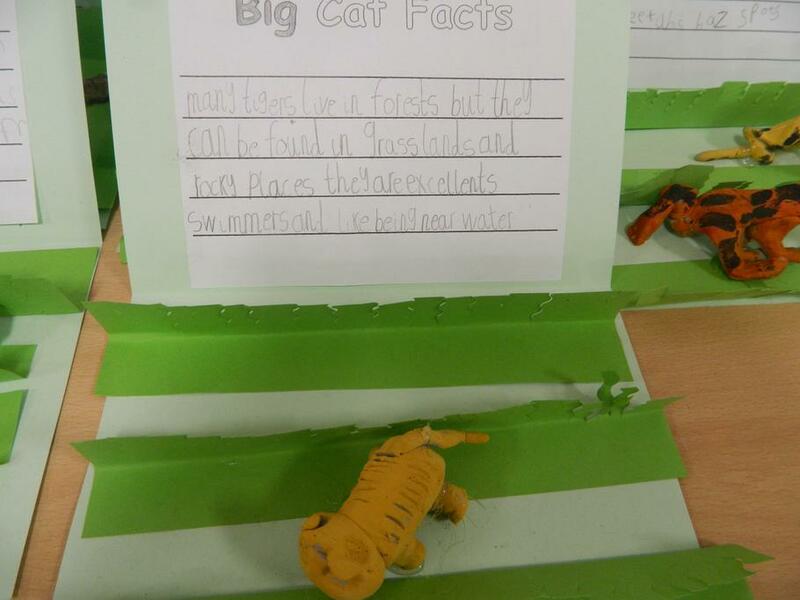 Do you know any interesting facts about animals? 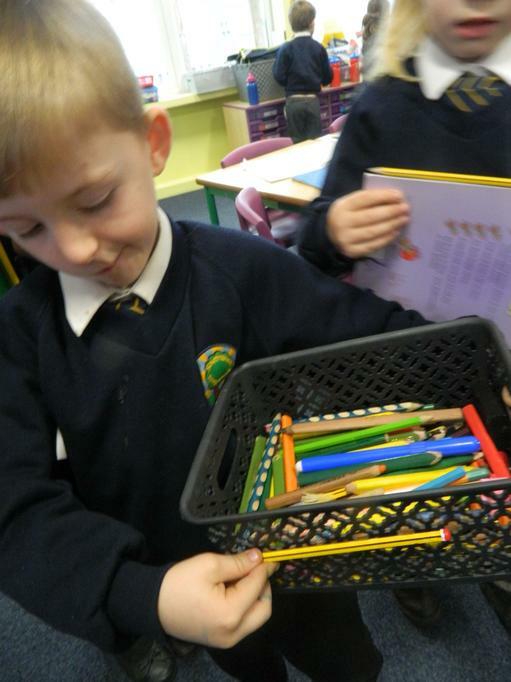 Share them with us in class! 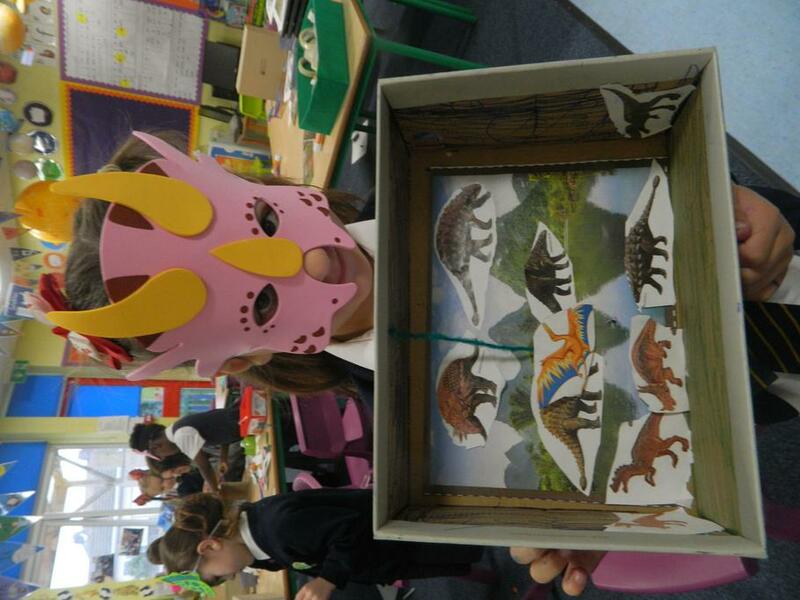 Follow the link below to see our pictures from our trip to Africa Alive. 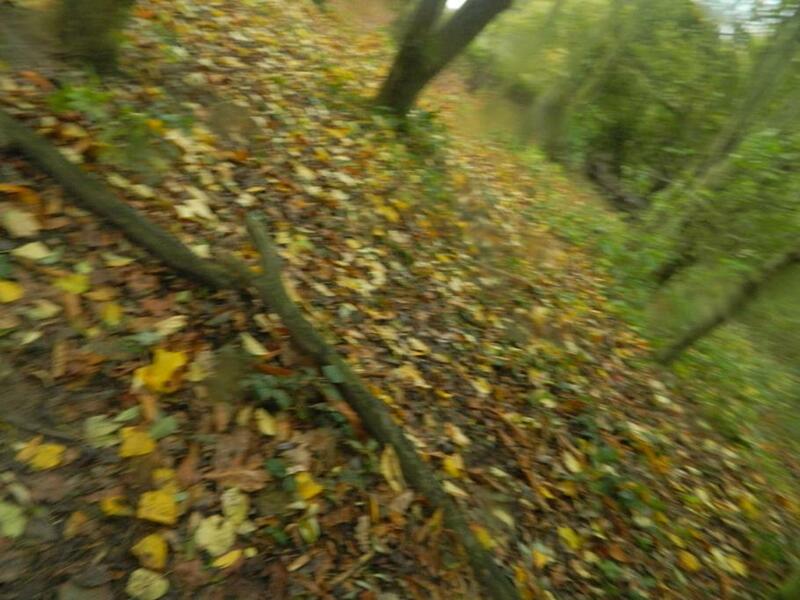 15th -18th of October. 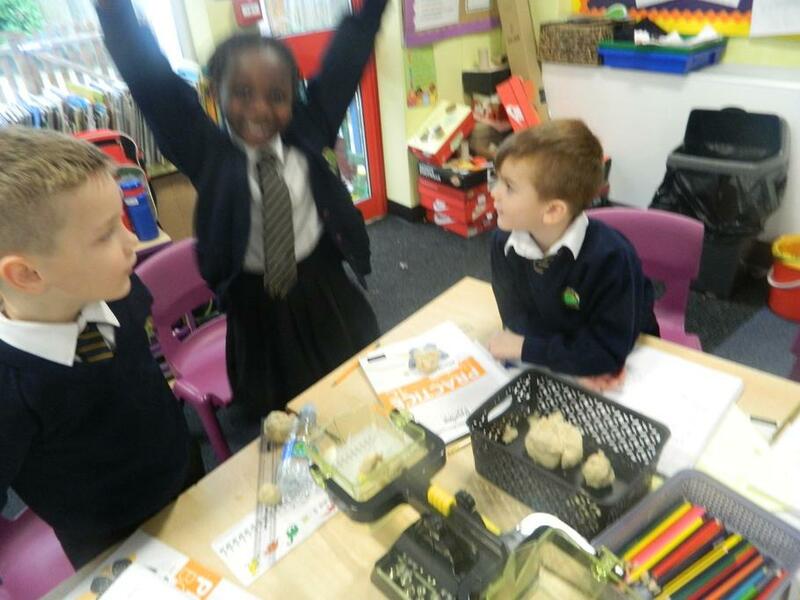 It's the last week of the first half term. 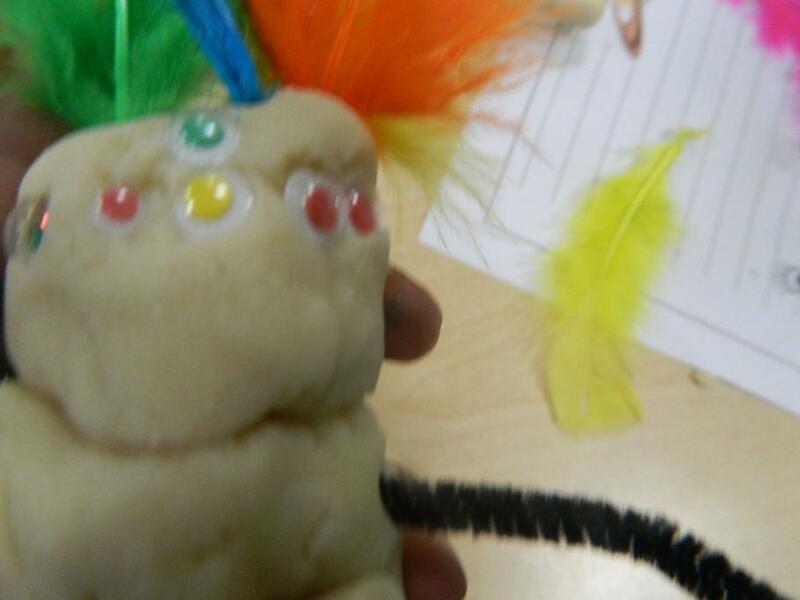 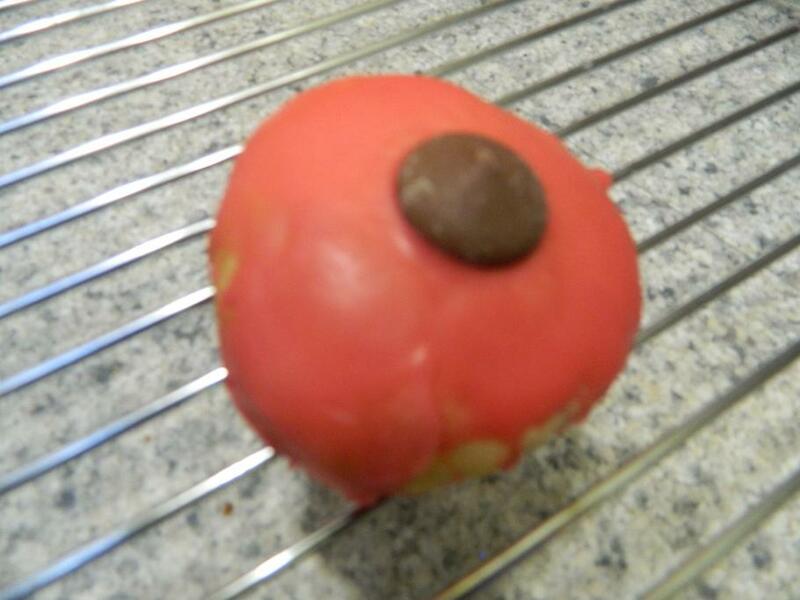 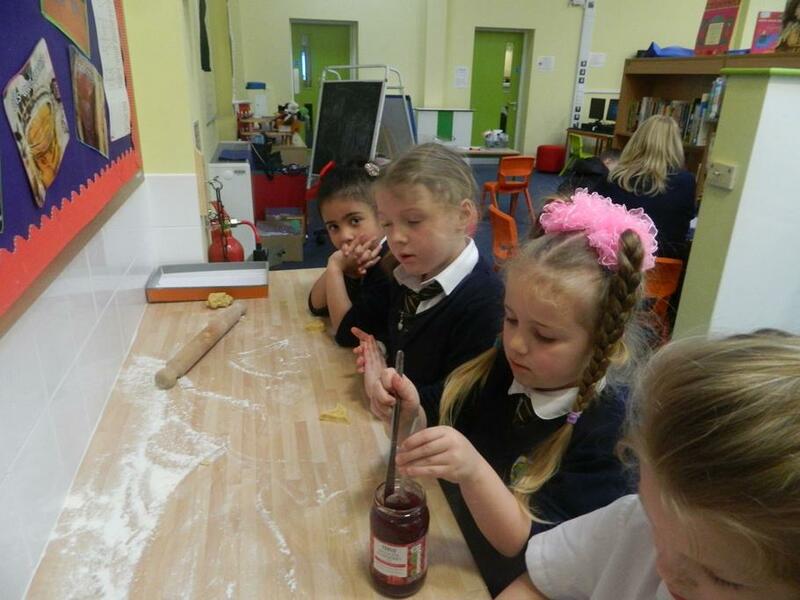 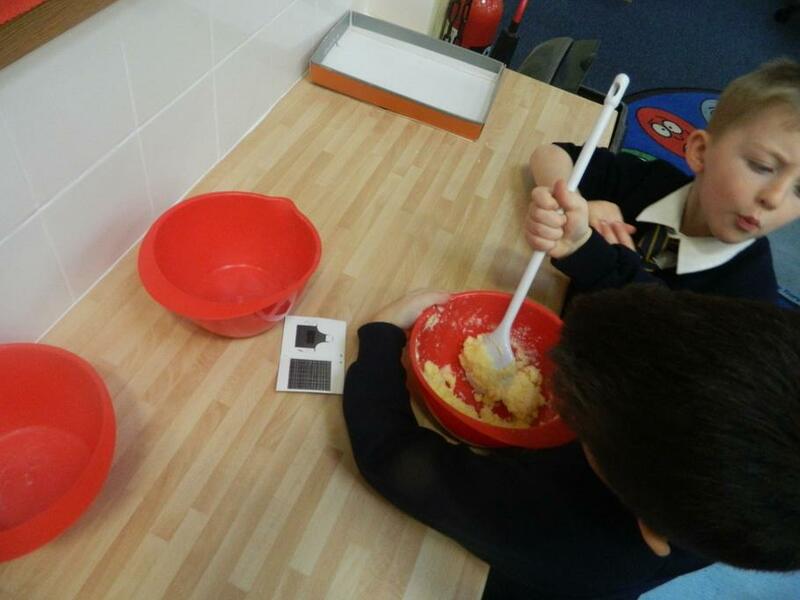 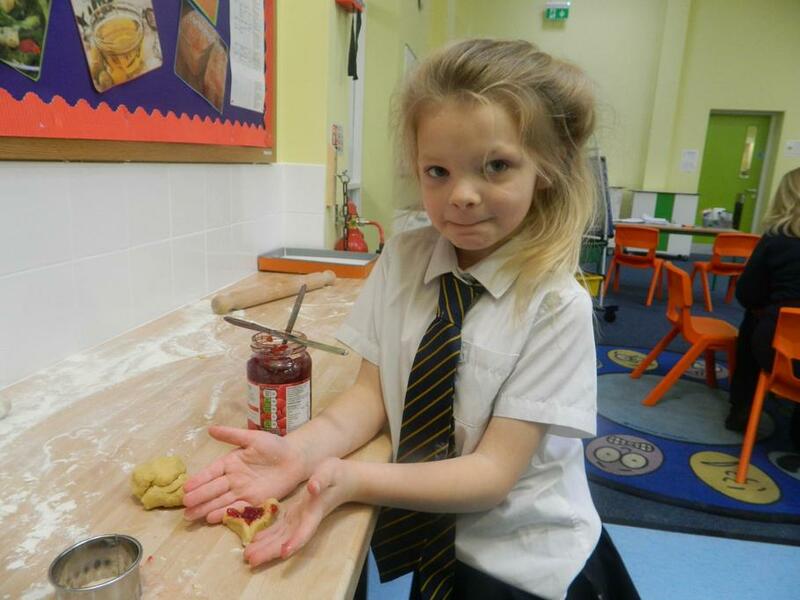 The children used a range of techniques to manipulate the dough and create animals. 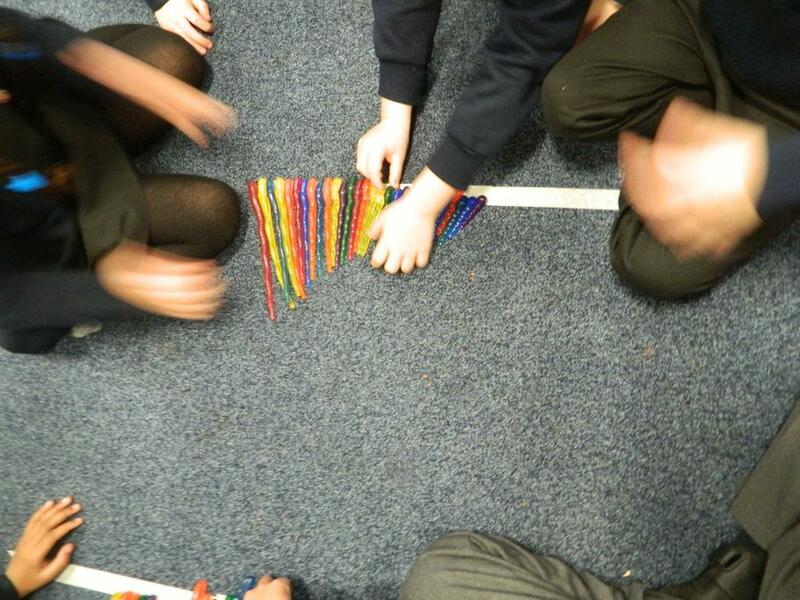 We have been exploring musical patterns. 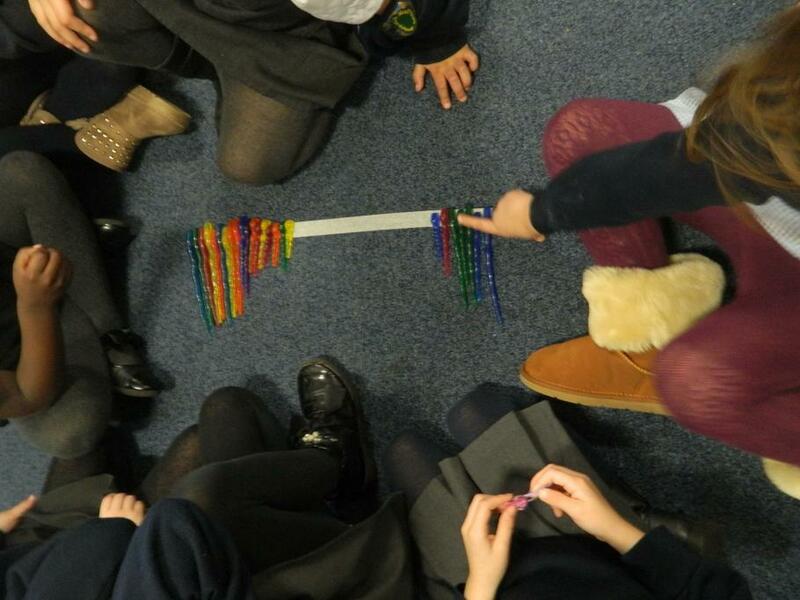 Everybody took a turn to show their own pattern using their instrument - we all listened carefully and played the pattern back. 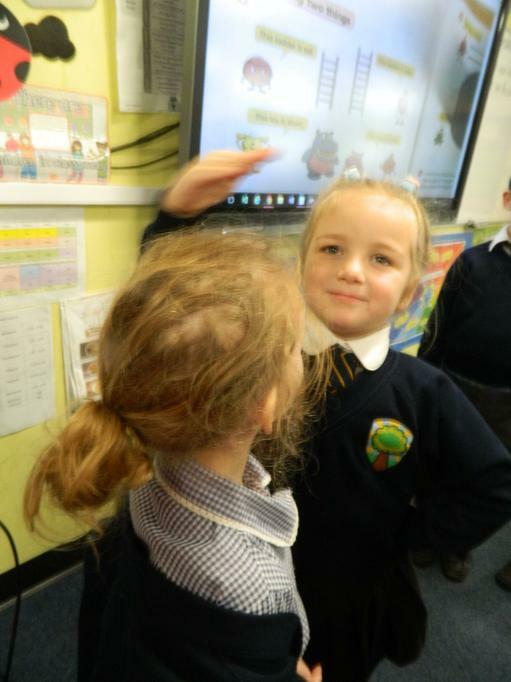 We have really enjoyed our 'Hey you, what you gonna do?' 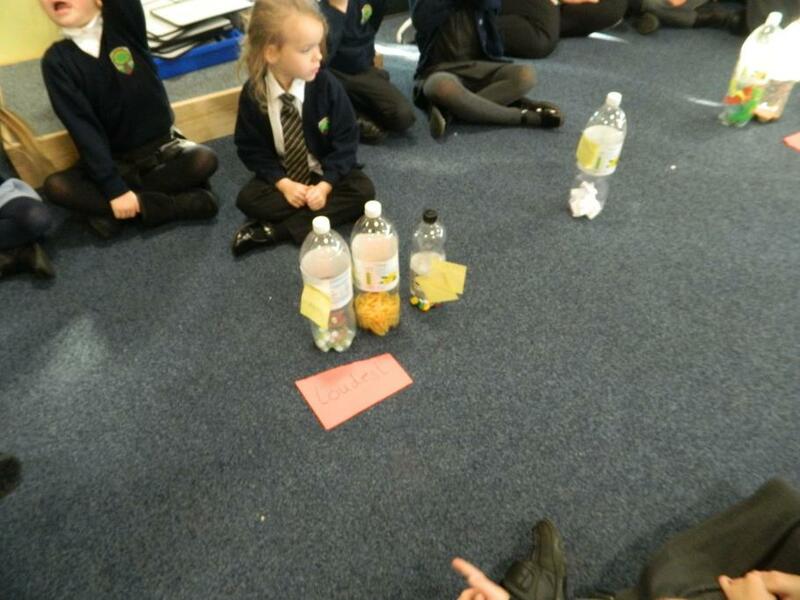 music unit this term. 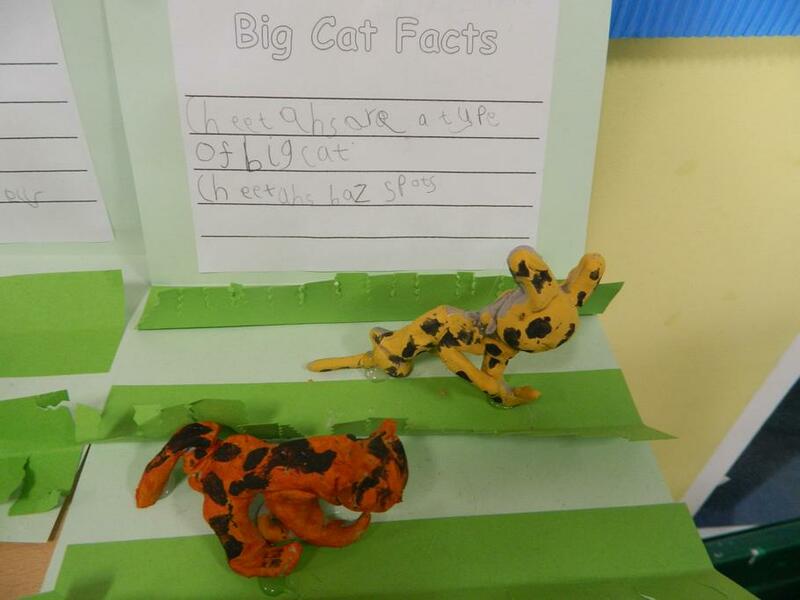 We used the paints to finish our 'big cats'. 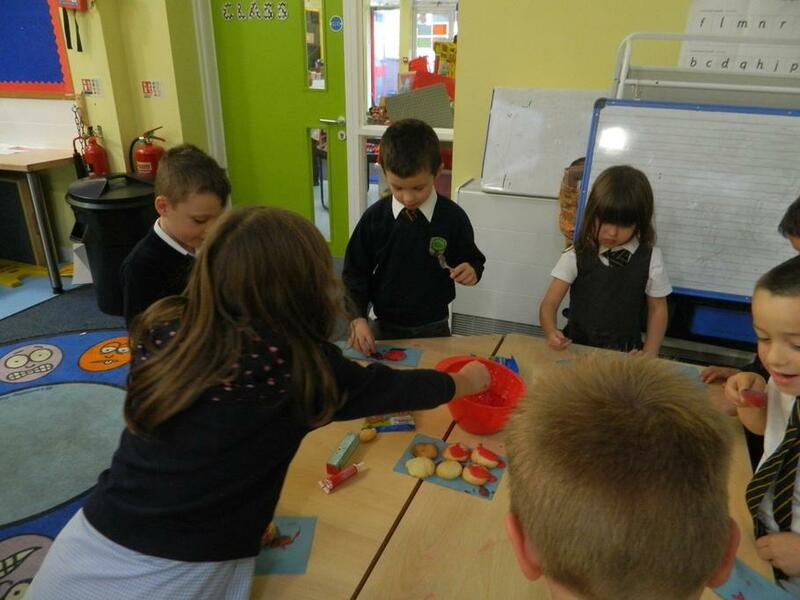 We looked carefully at the animal's prints and used the correct colours. 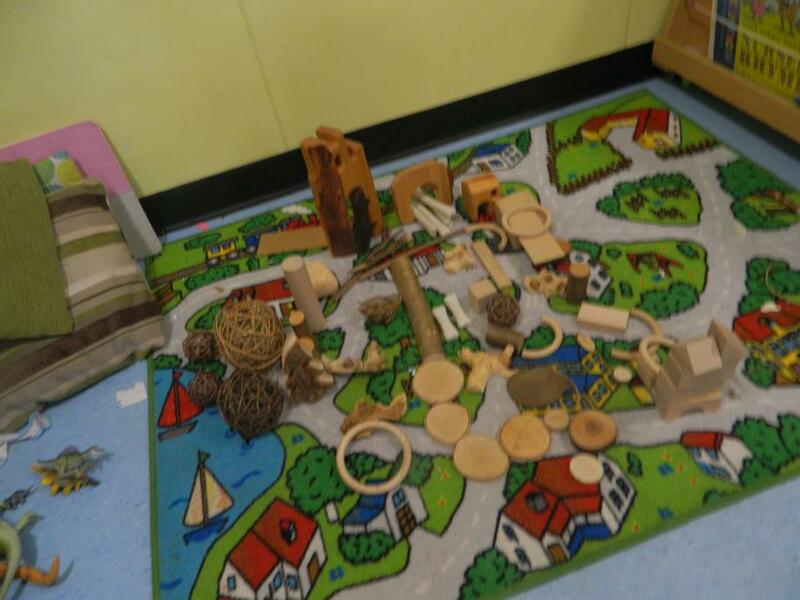 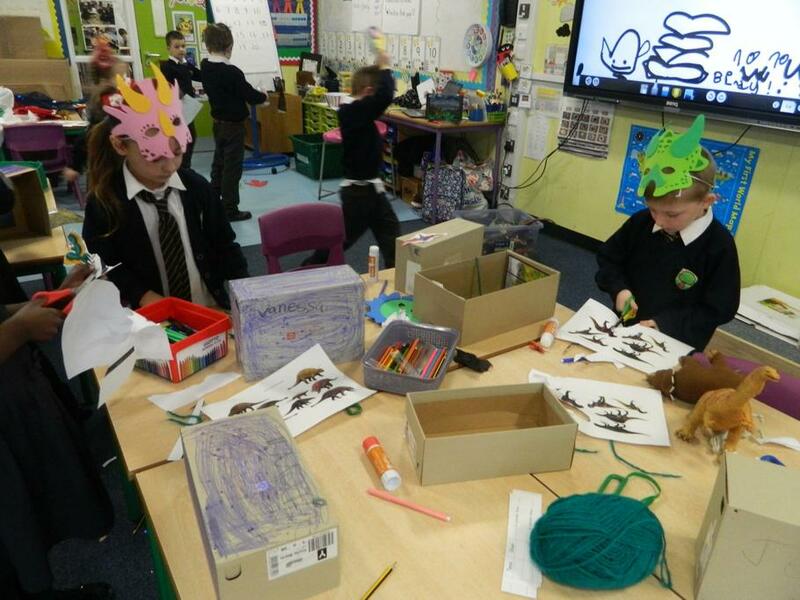 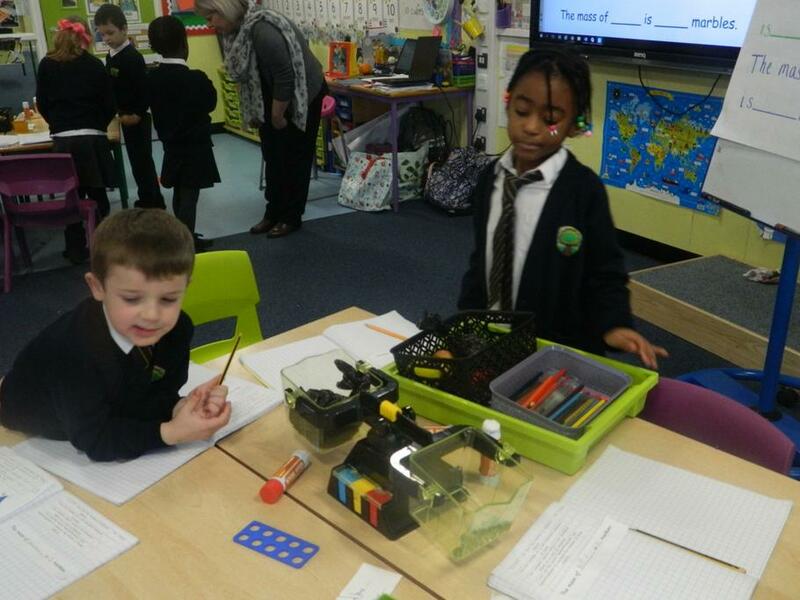 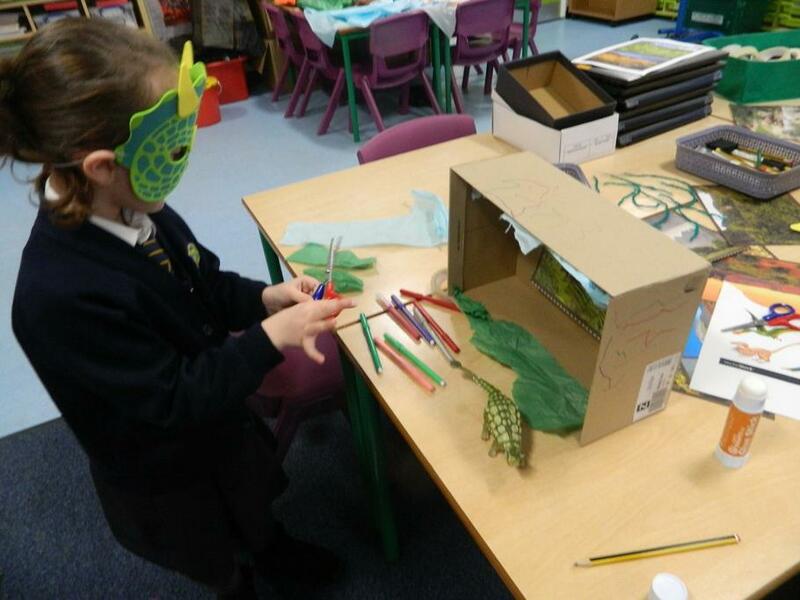 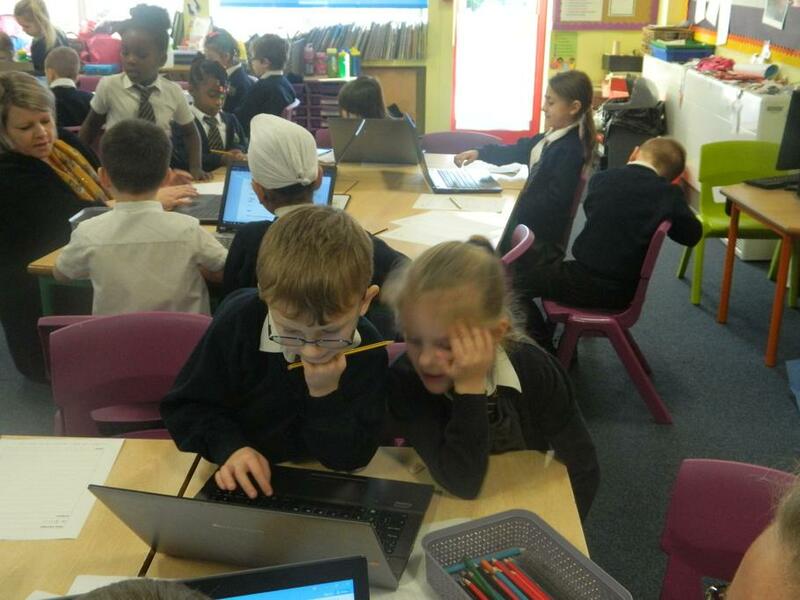 The children worked in teams to design their own zoos. 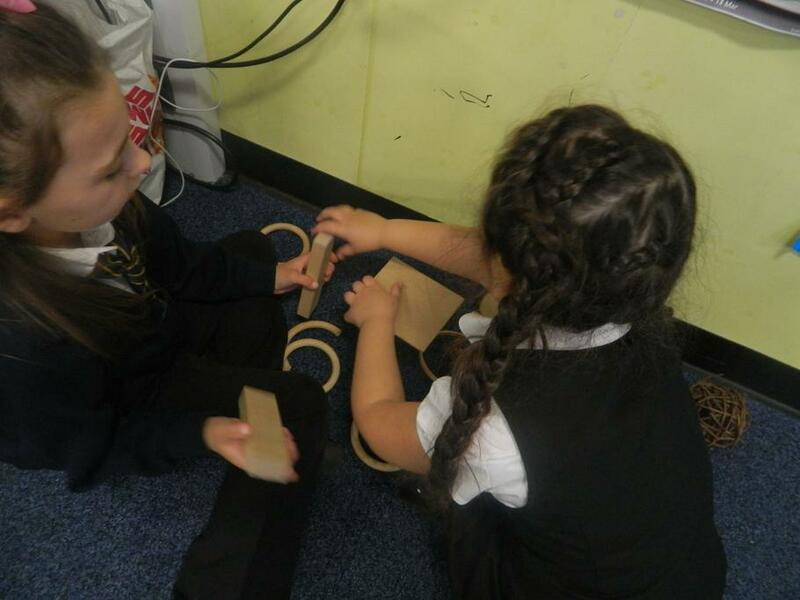 They had to consider which animals were safe to house together and what the animals would need in their enclosures. 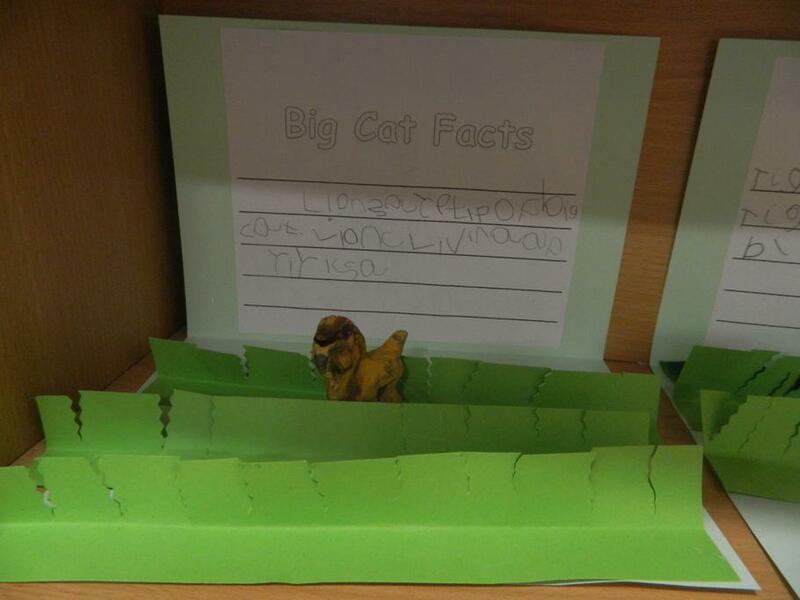 We completed our 'Big Cat' information display. 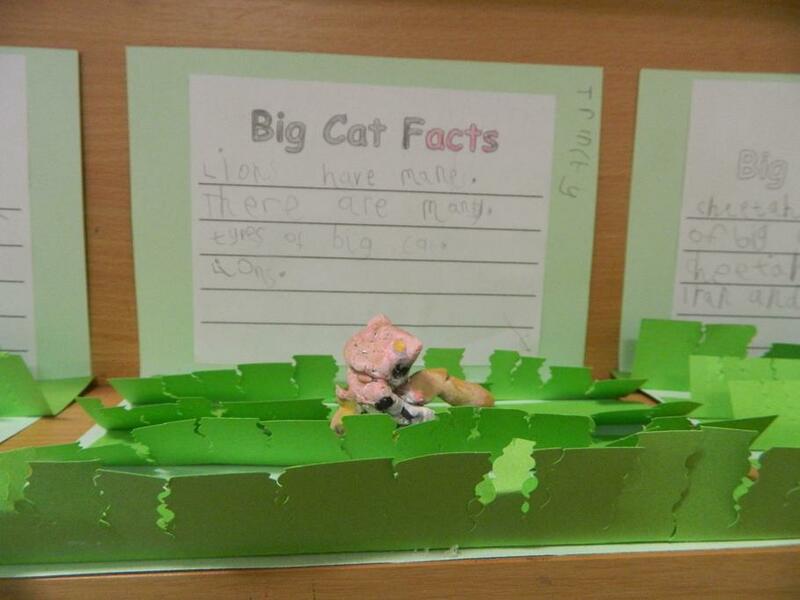 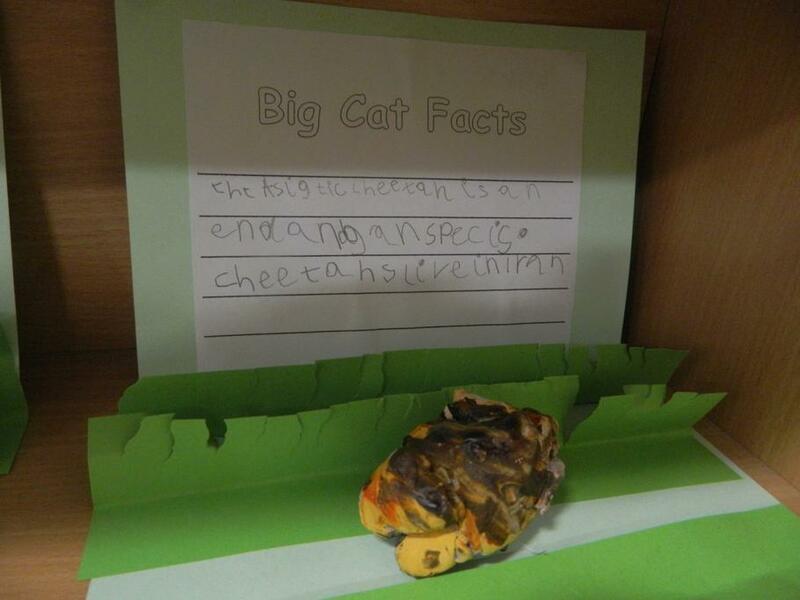 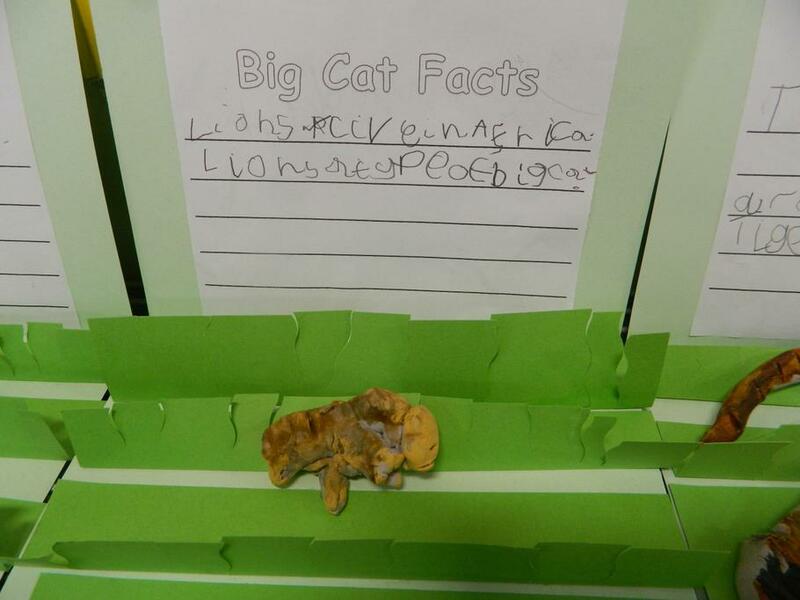 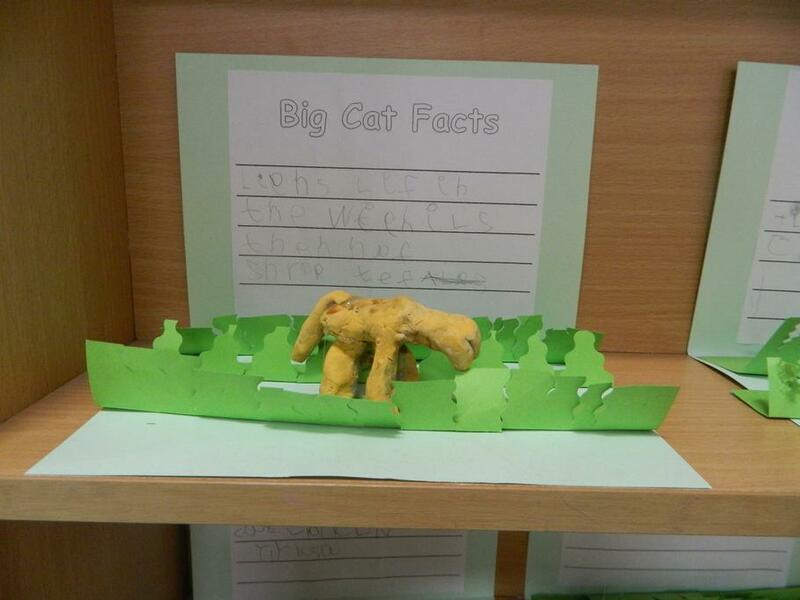 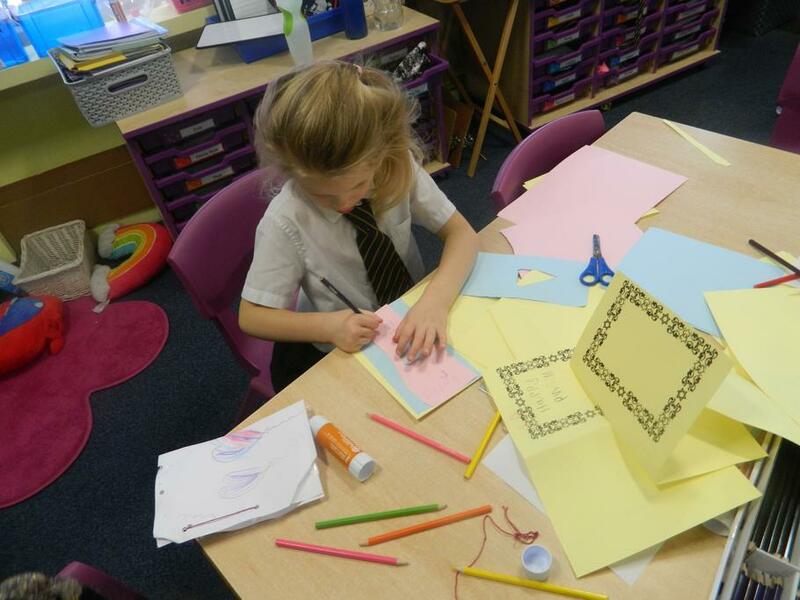 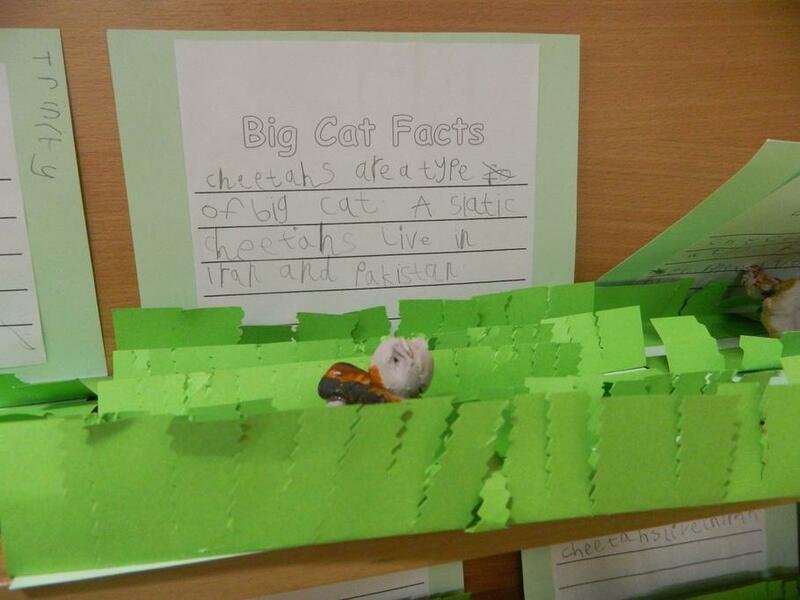 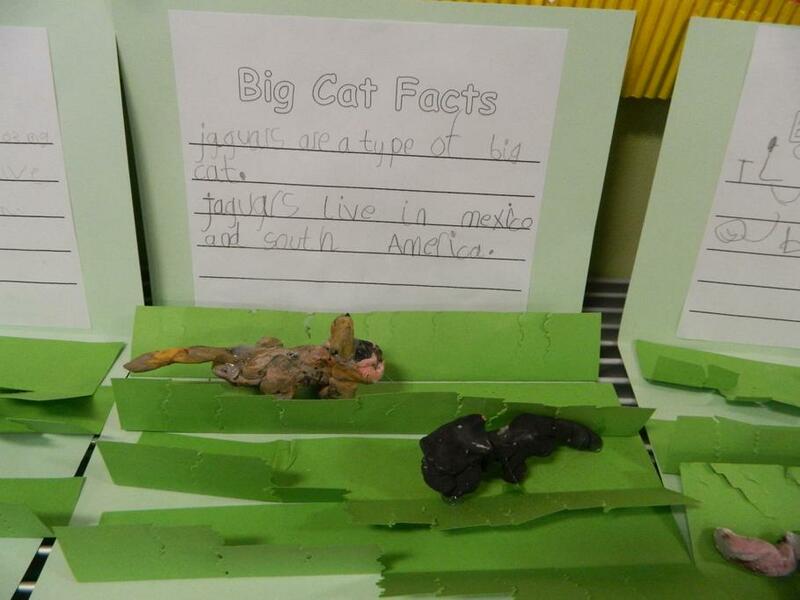 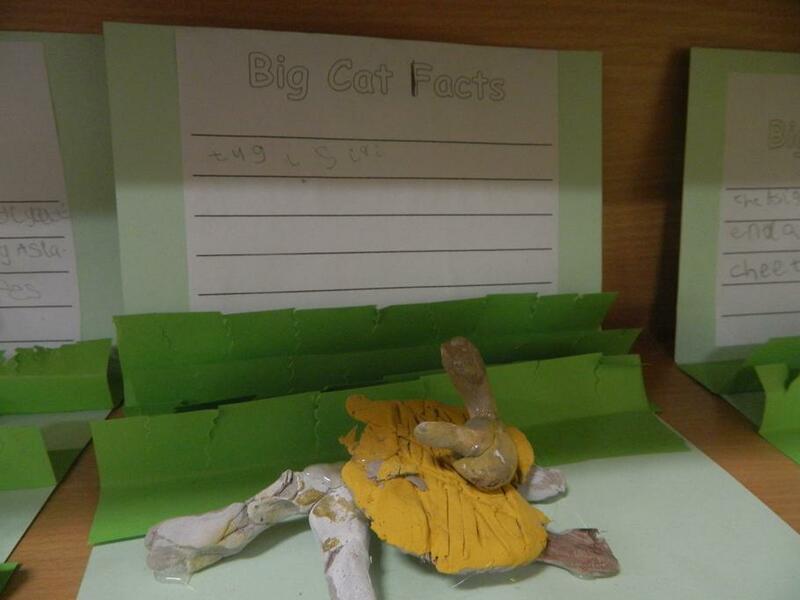 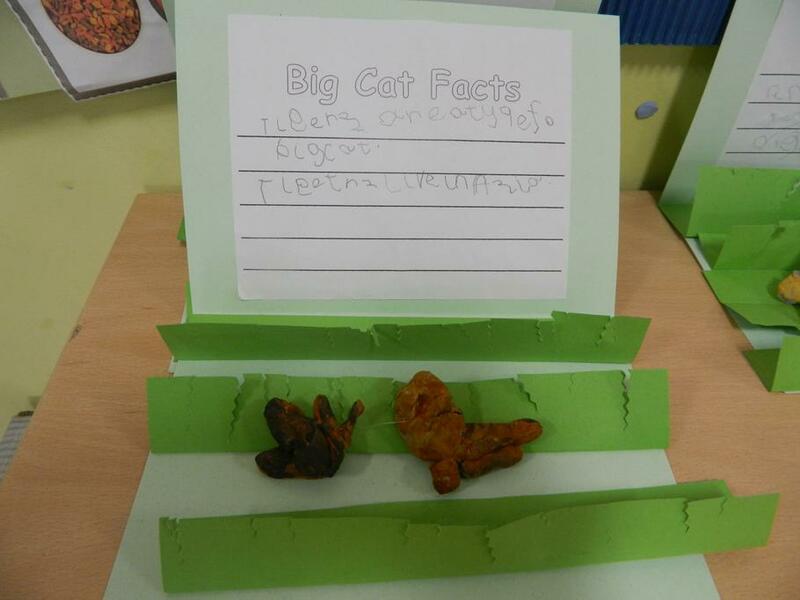 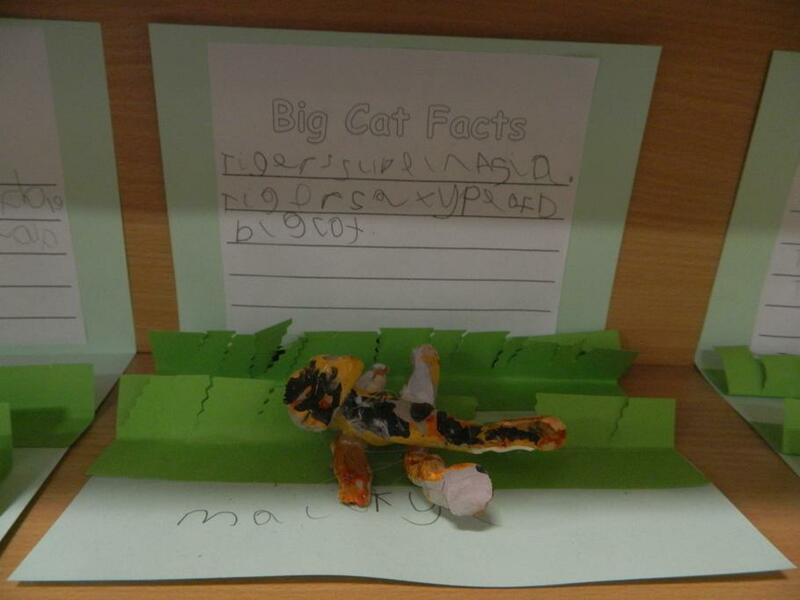 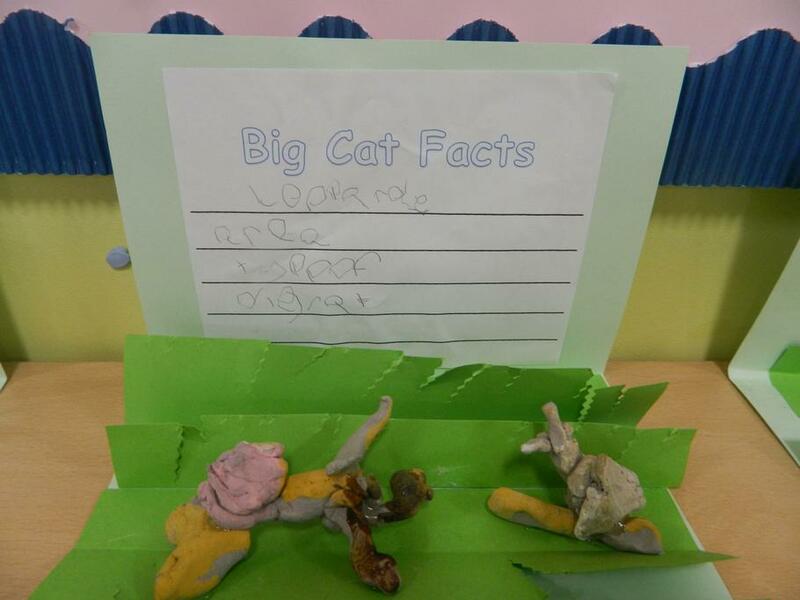 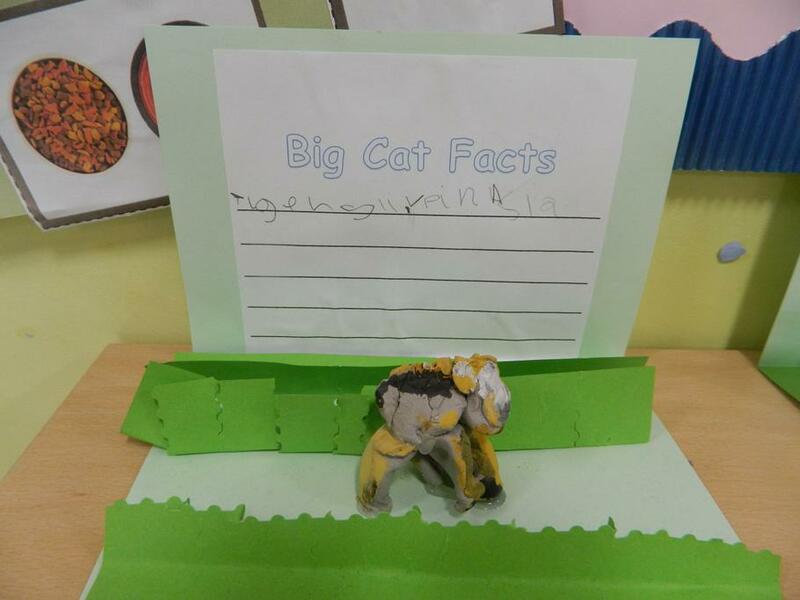 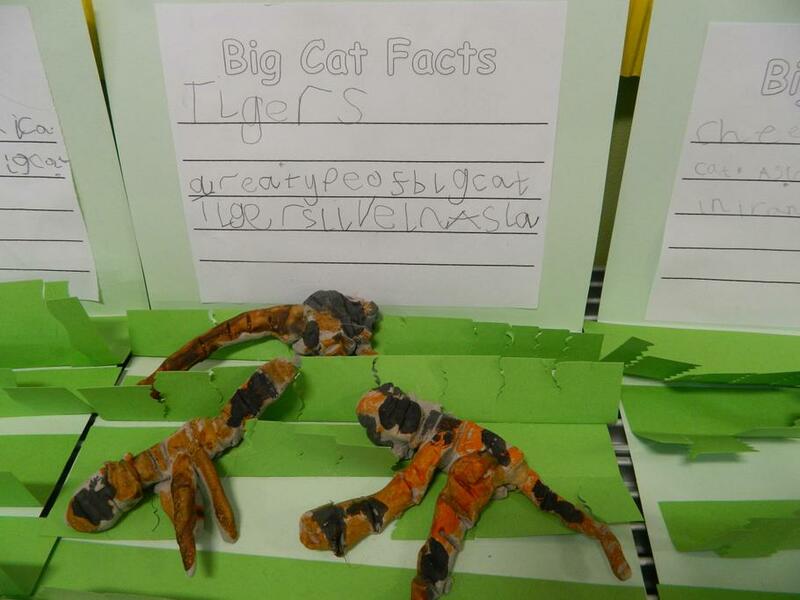 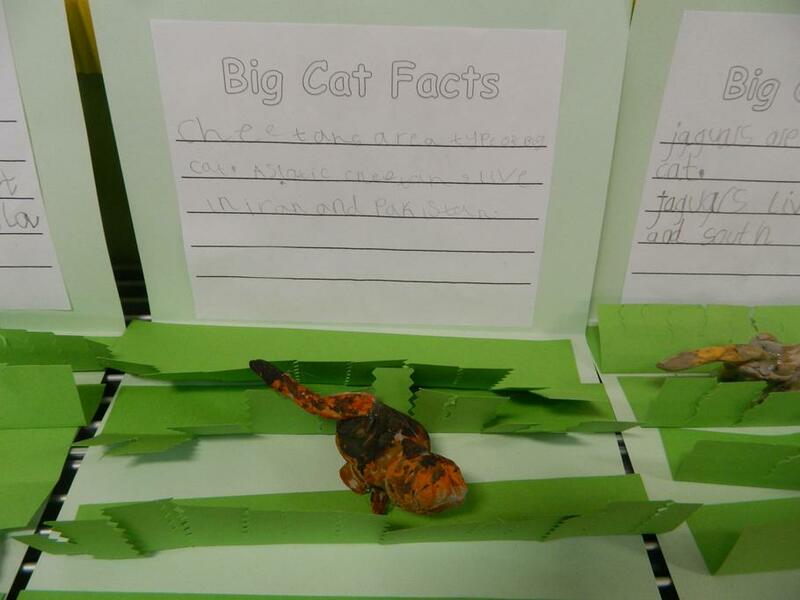 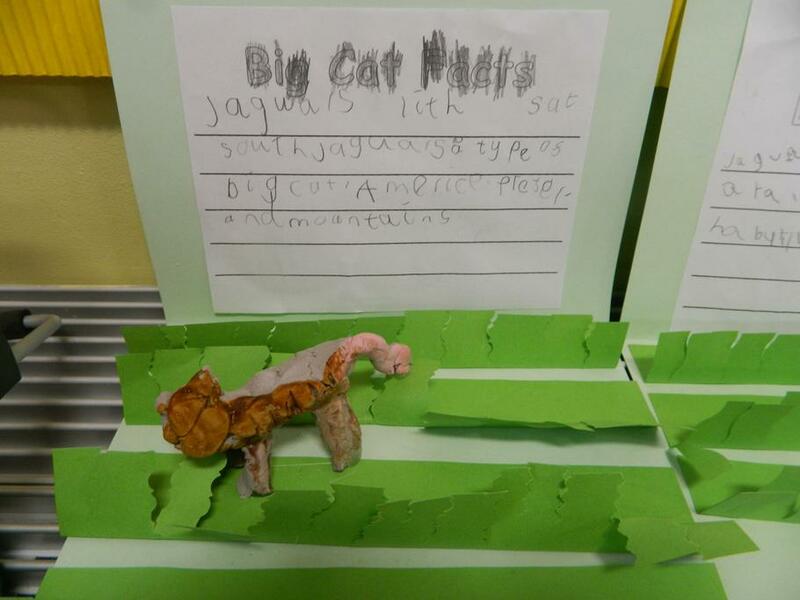 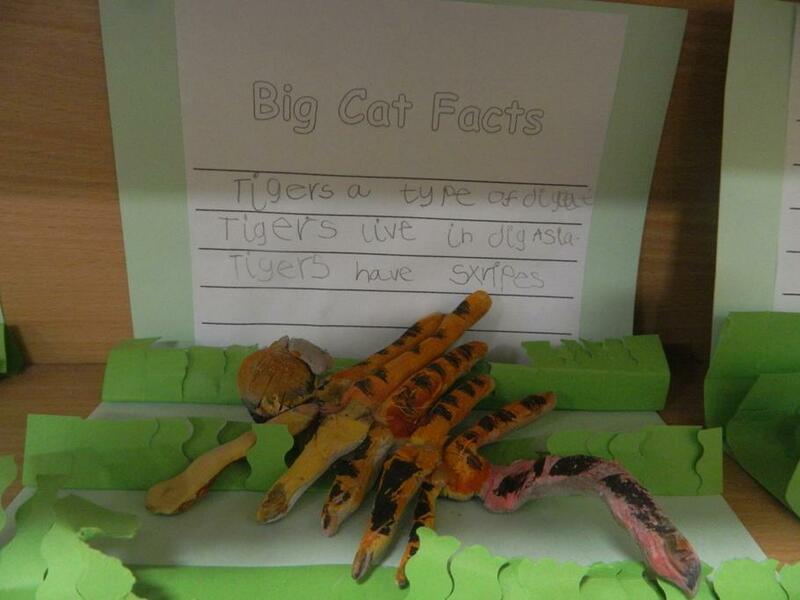 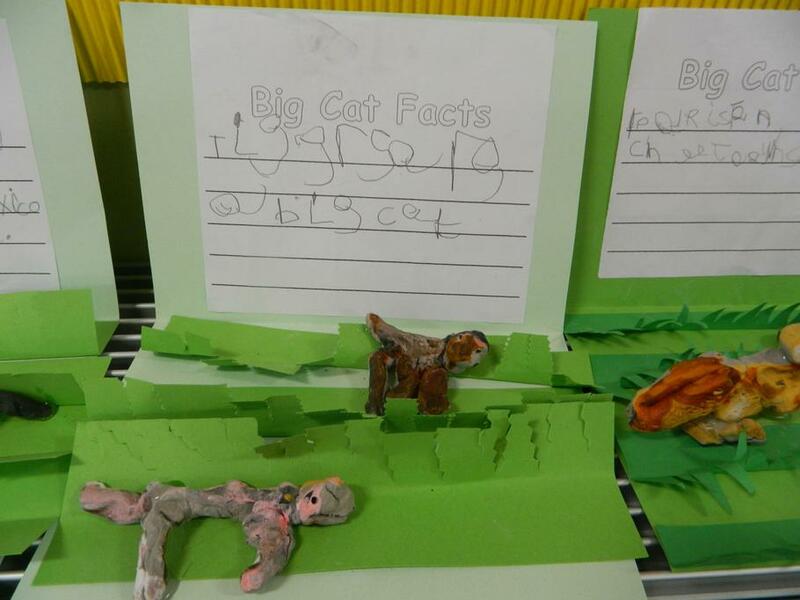 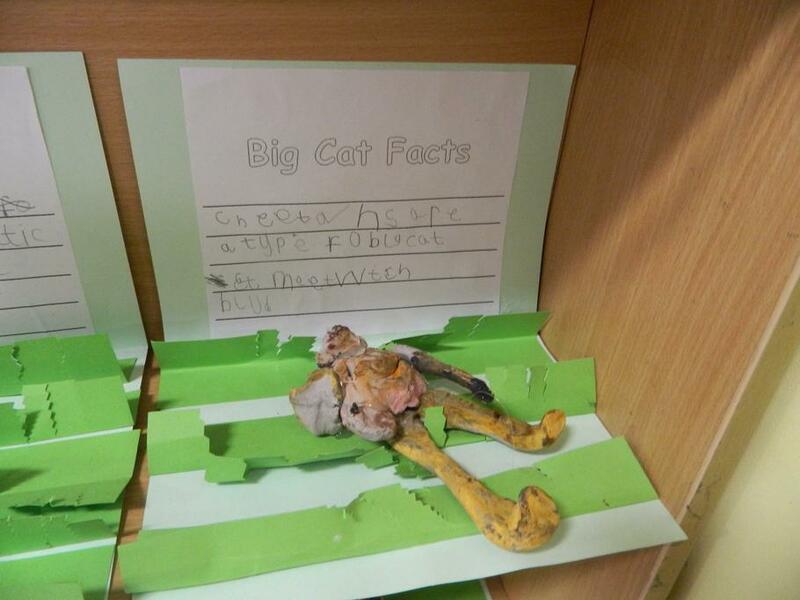 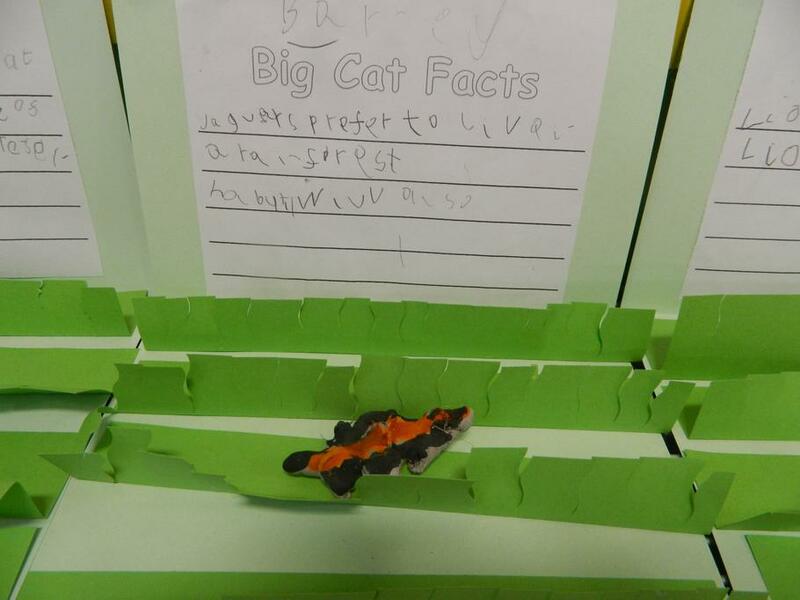 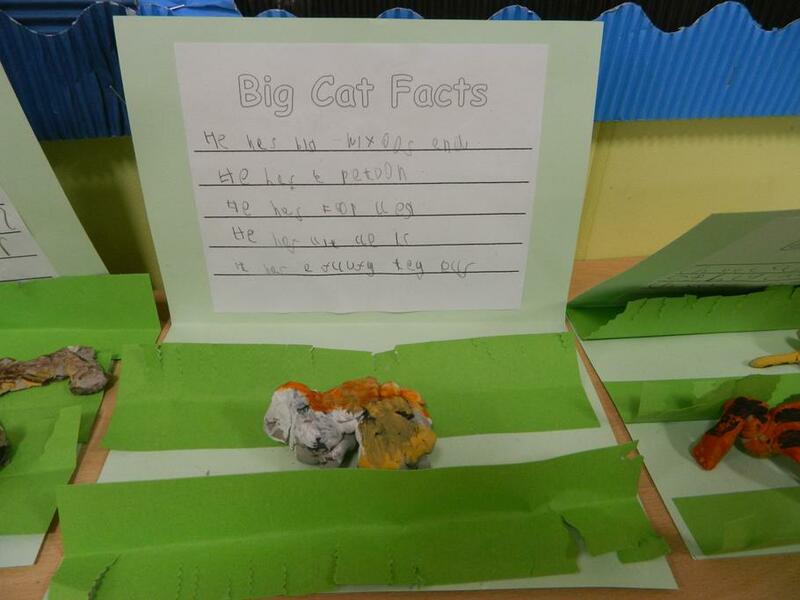 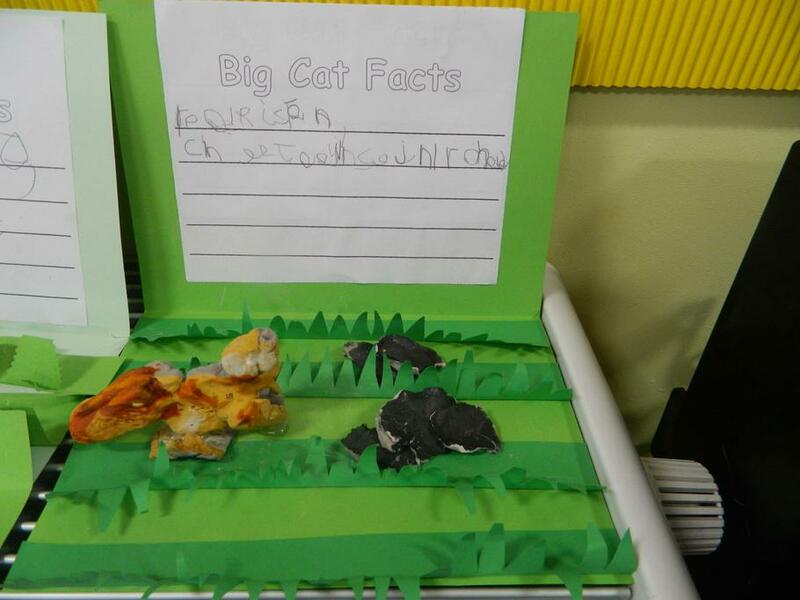 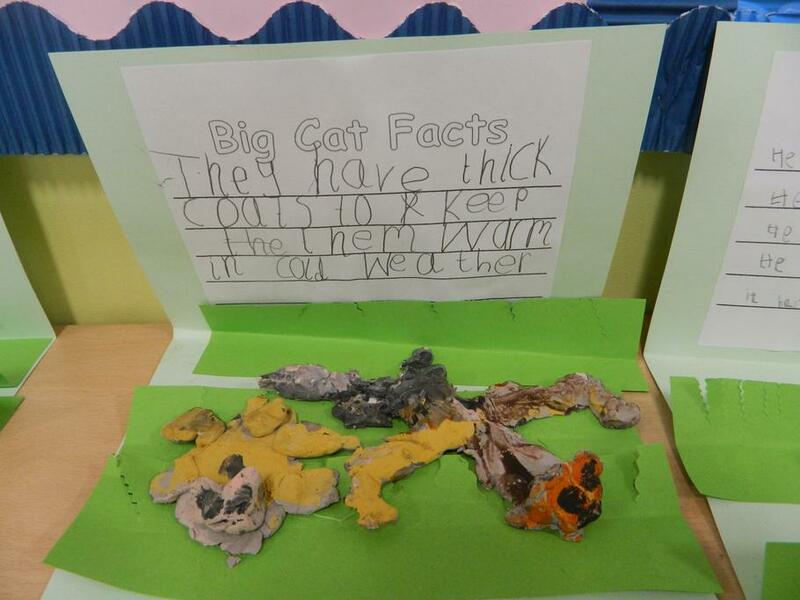 The children used paper to recreate the cat's habitat and wrote their favourite big cat facts. 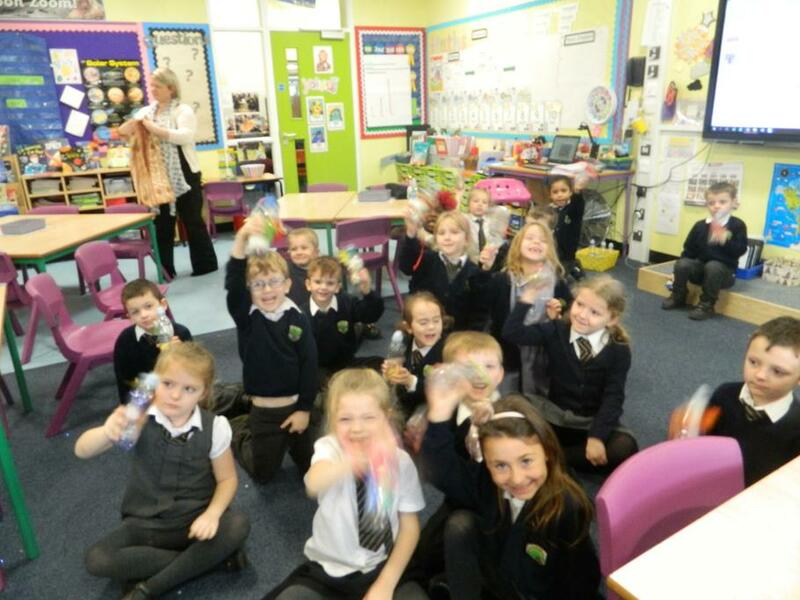 We celebrated Harvest Festival this week. 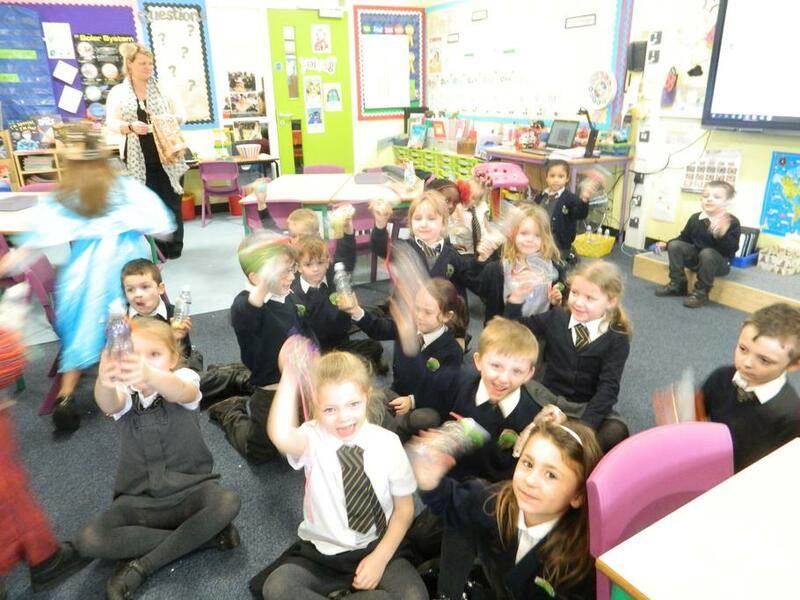 Mrs Glendinning delivered a special assembly and we joined in with singing some harvest themed songs. 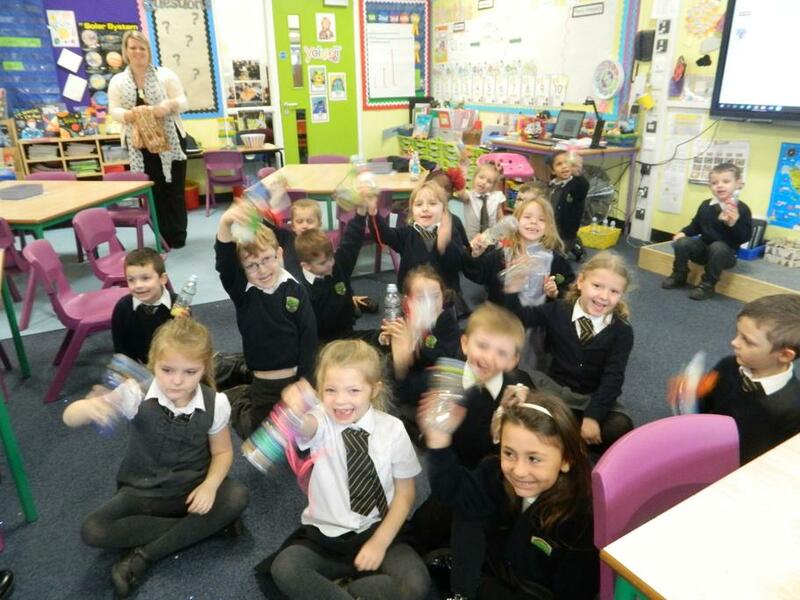 The school collected food items to share with our local community - Birch Class won the 'best hamper' competition! 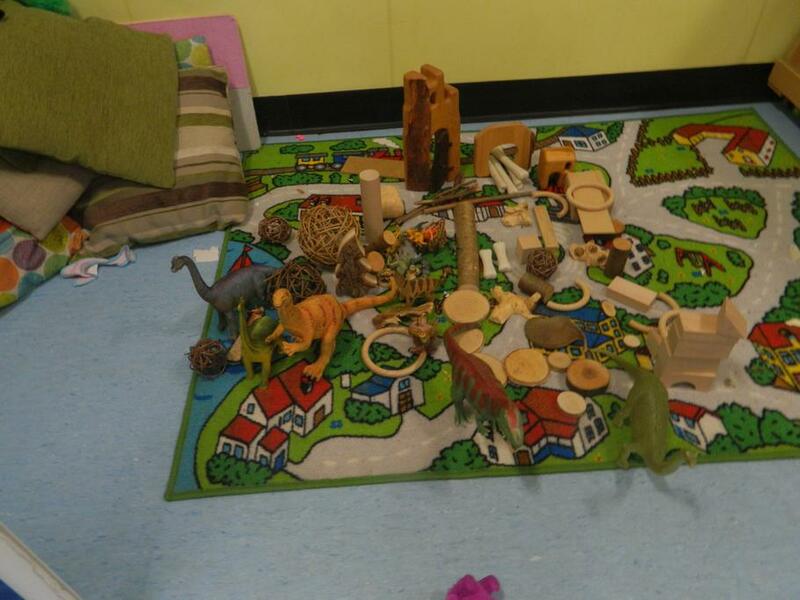 We had an extra playtime as a treat. 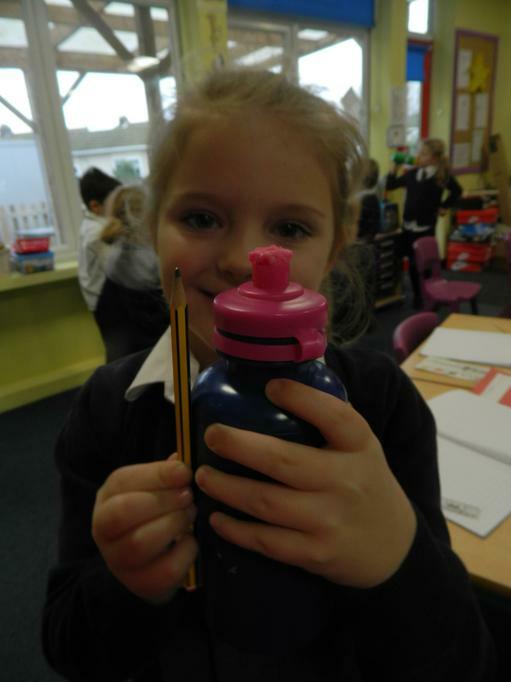 Thank you for your donations. 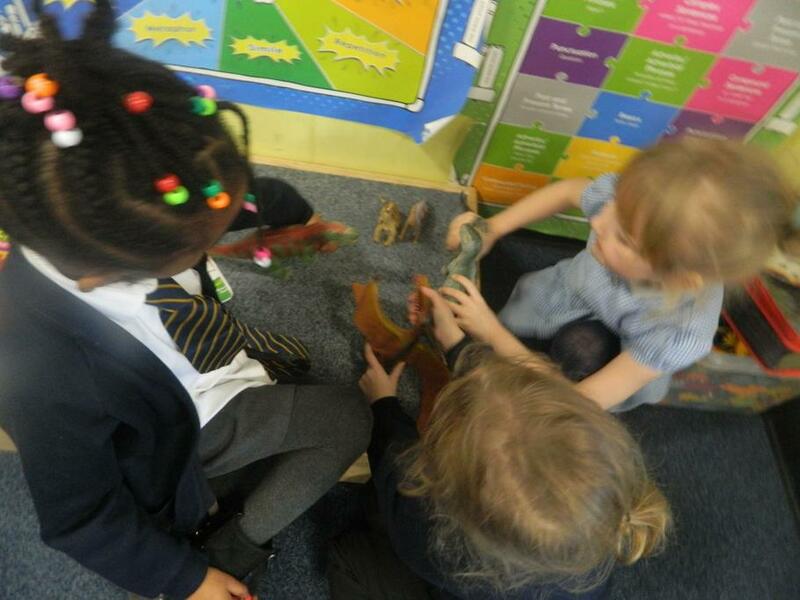 We have been reading the new Julia Donaldson story - The Giant Jumperee. 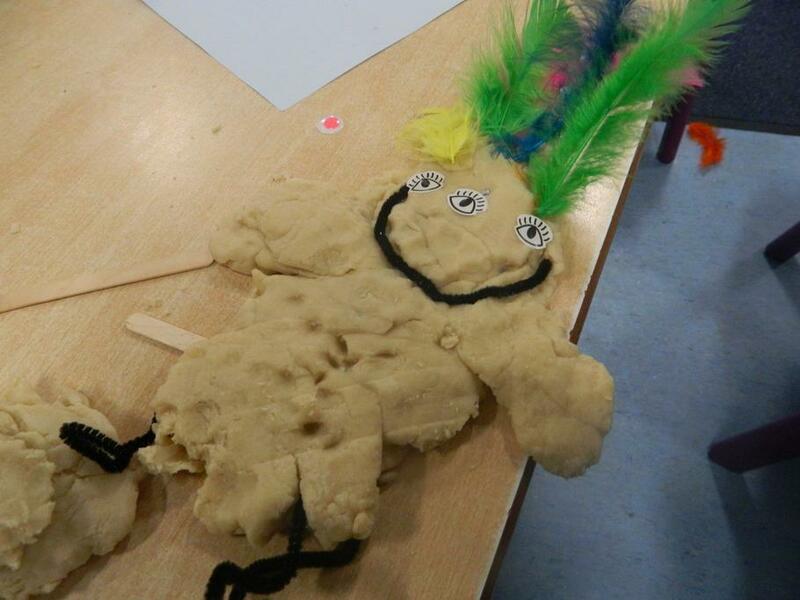 We used drama and puppets to retell the story and have used our imagination to draw what we thought the Jumperee might look like. 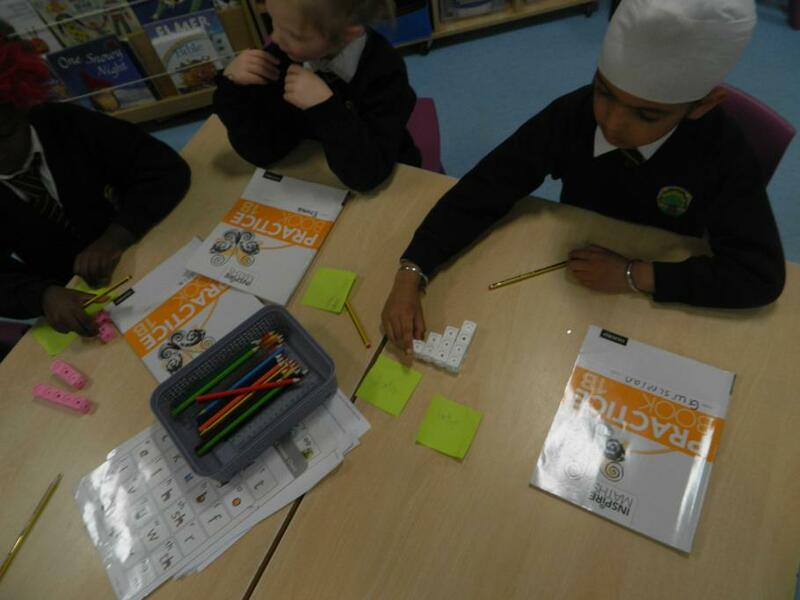 Birch Class have sequenced the story using pictures and have written the story in their literacy books. 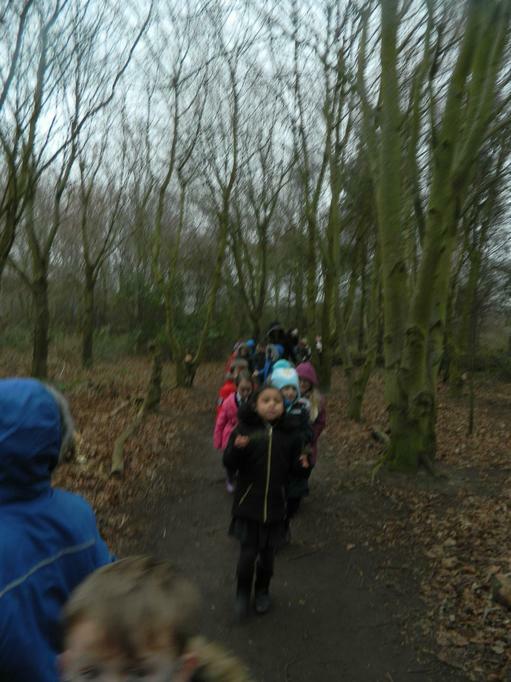 It was a great story - we really enjoyed it! 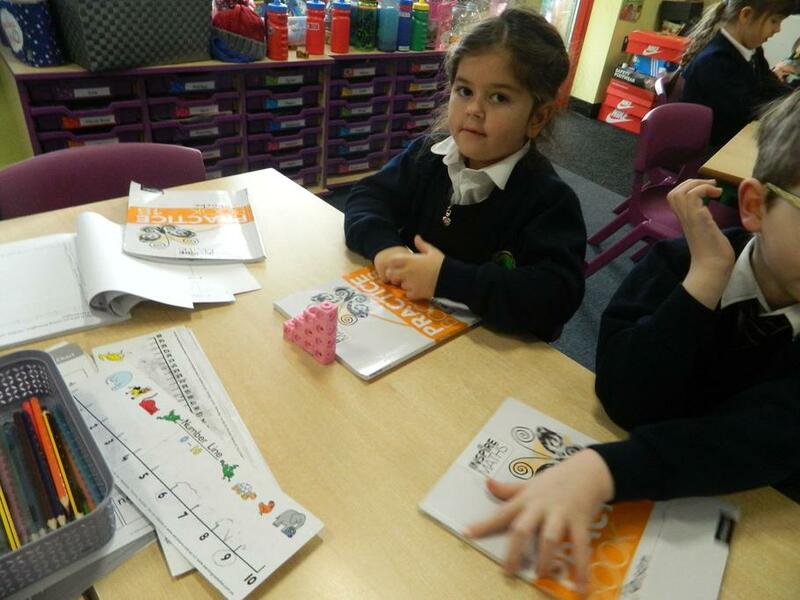 We are learning different strategies to help us count and add. 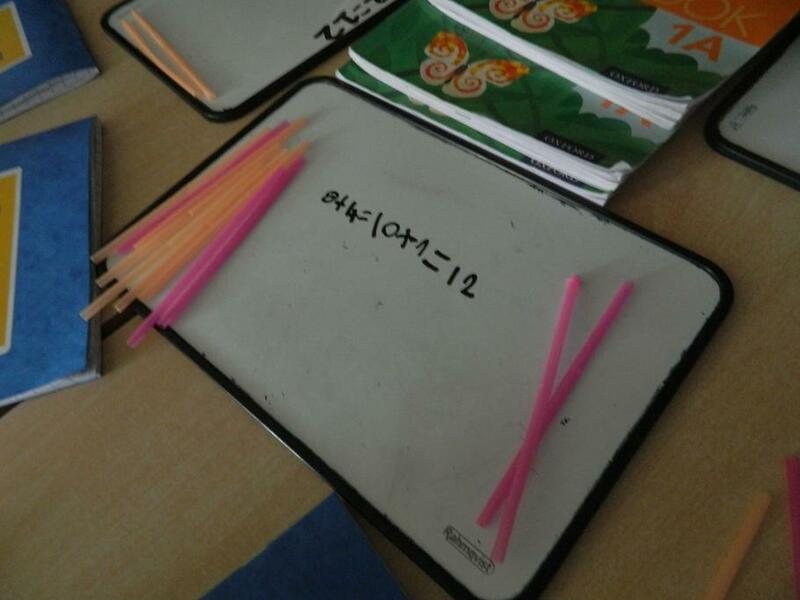 This will help us when we learn about place value next week. 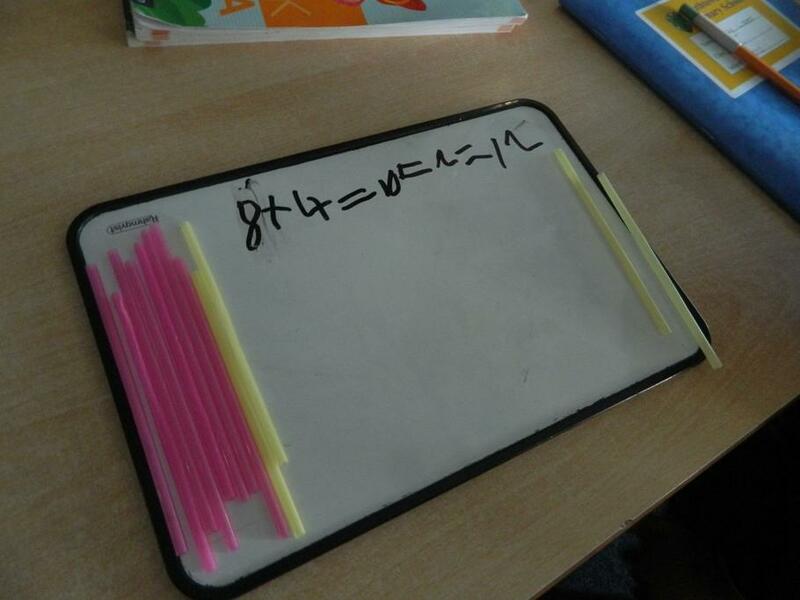 I can write additions in different ways. 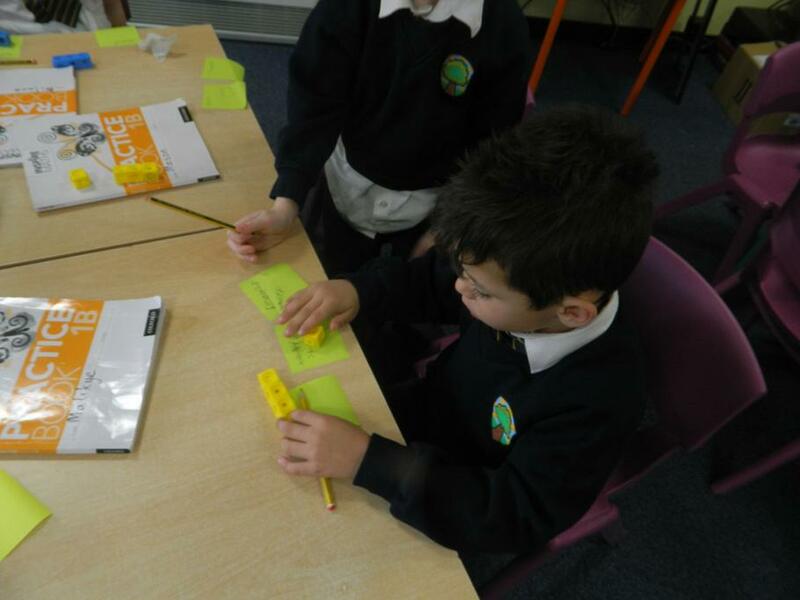 I can use part-whole and addition sentences. 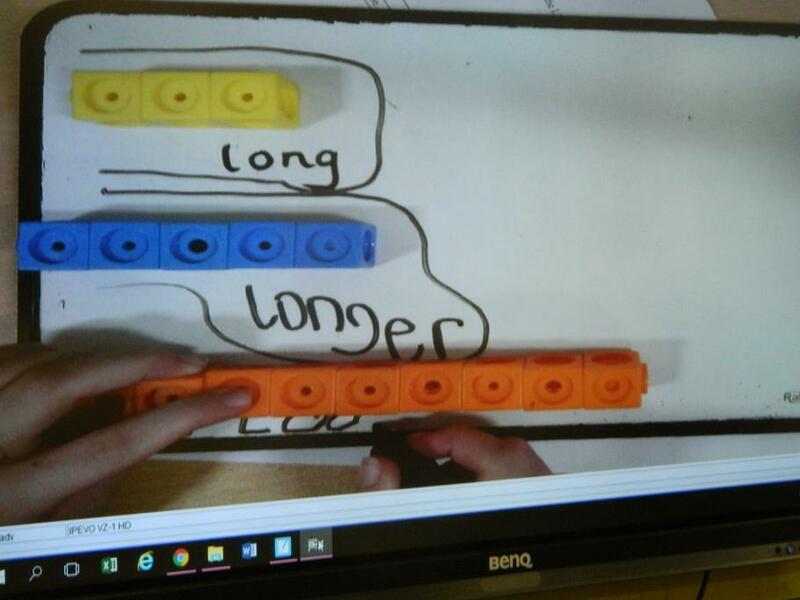 Maths - We are learning about numbers and using the terms 'greater than' and 'smaller than' to describe amounts when making comparisons. 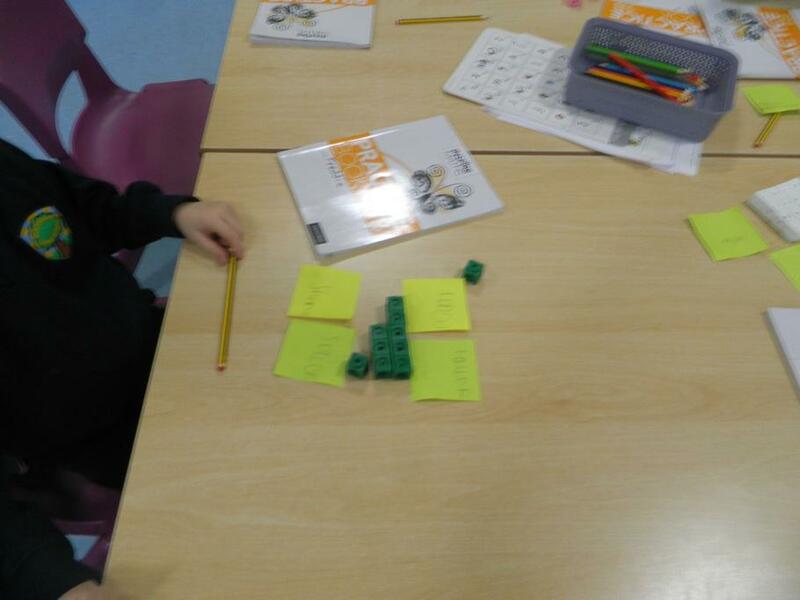 We have used the part-whole model to investigate sets of numbers. 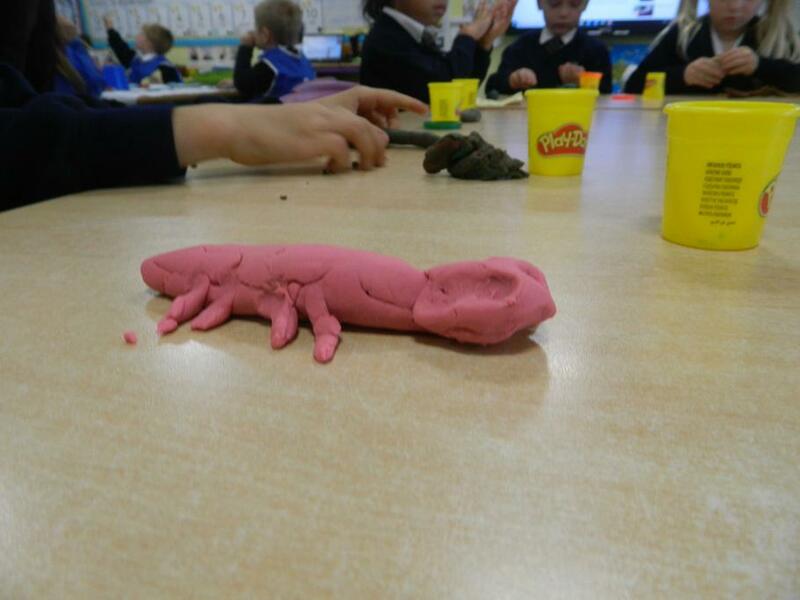 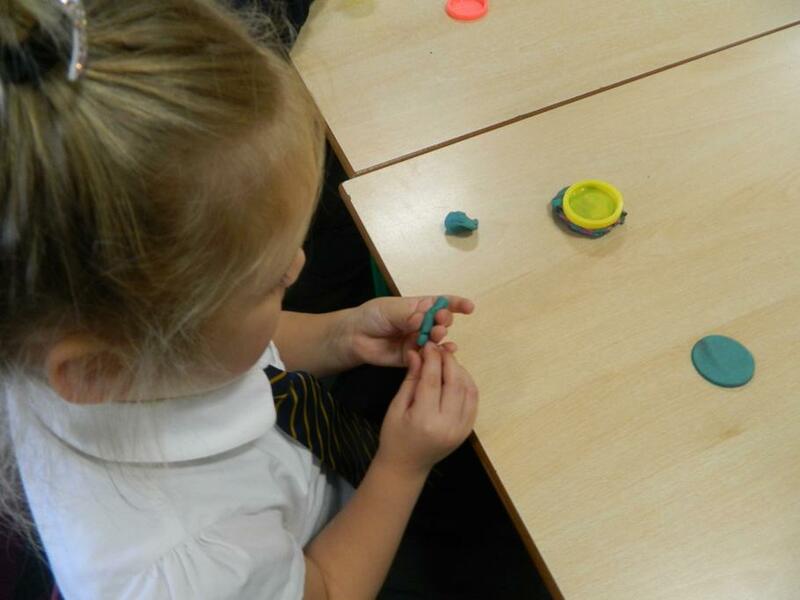 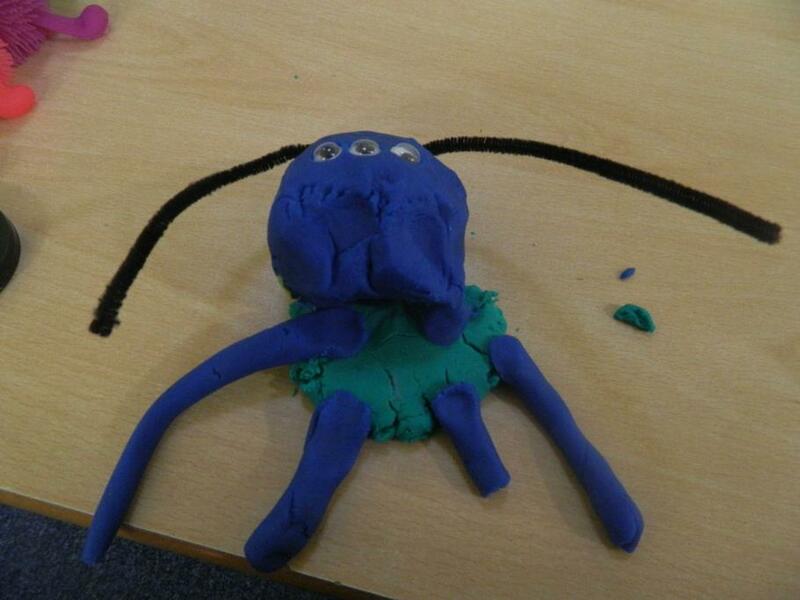 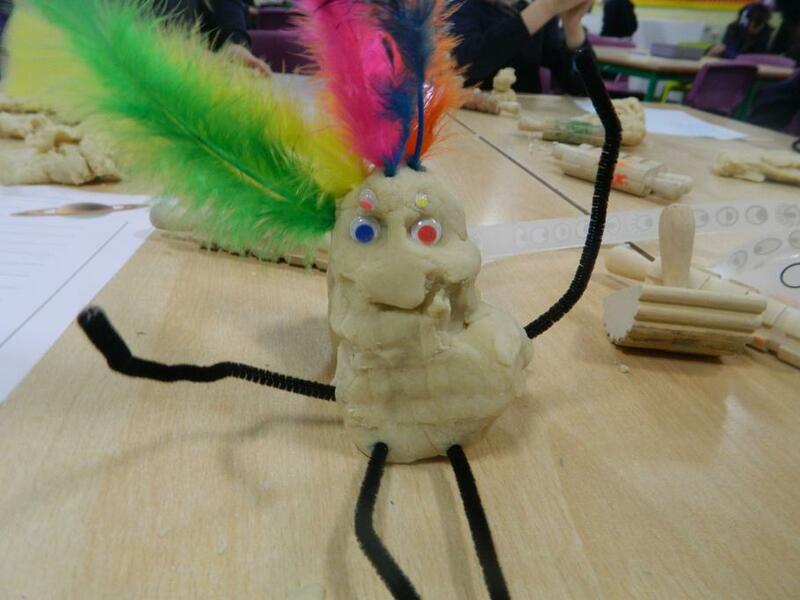 Our design and technology lesson was to use the clay to make a 'big cat'. 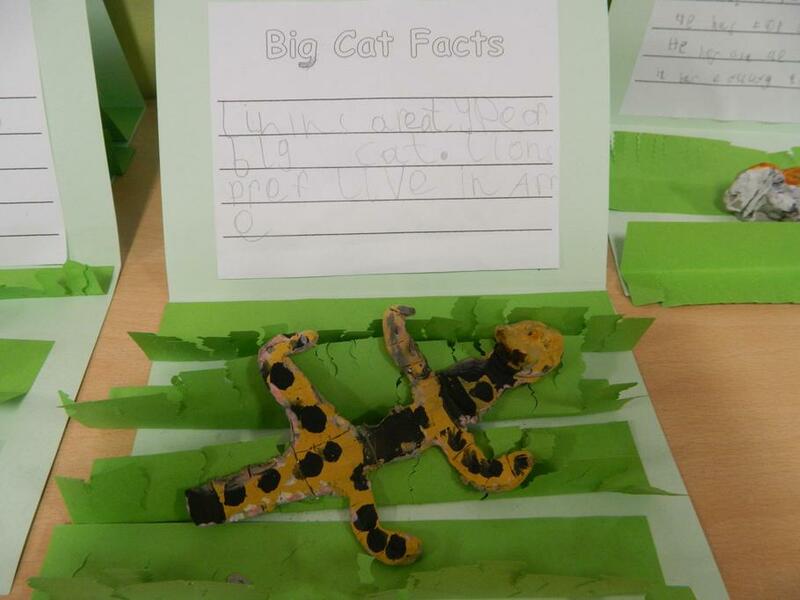 Some of us chose to create a tiger, some made lions and some of us made cheetahs. 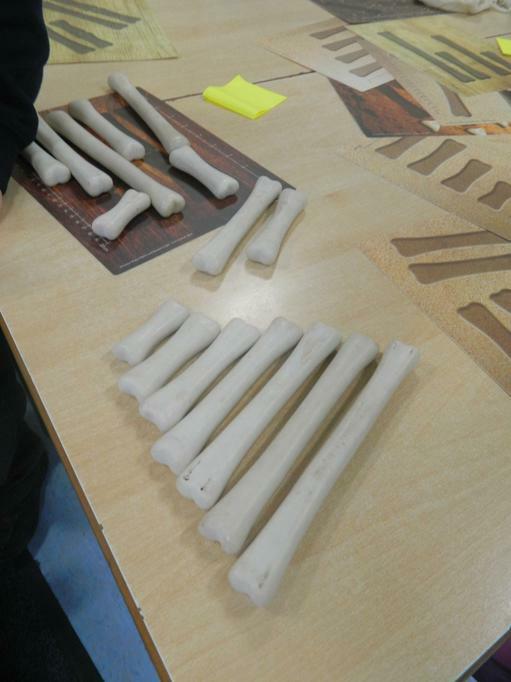 They will look great when they are painted! 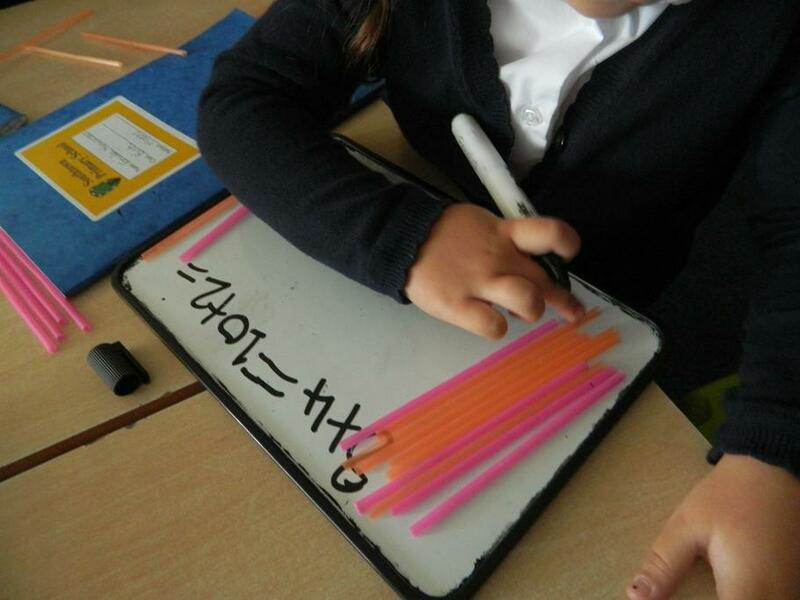 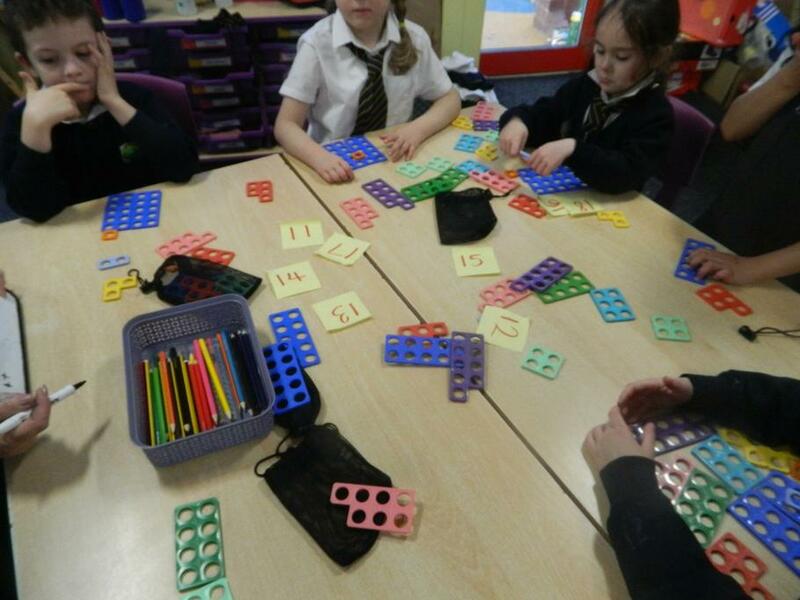 We have been investigating number patterns in maths. 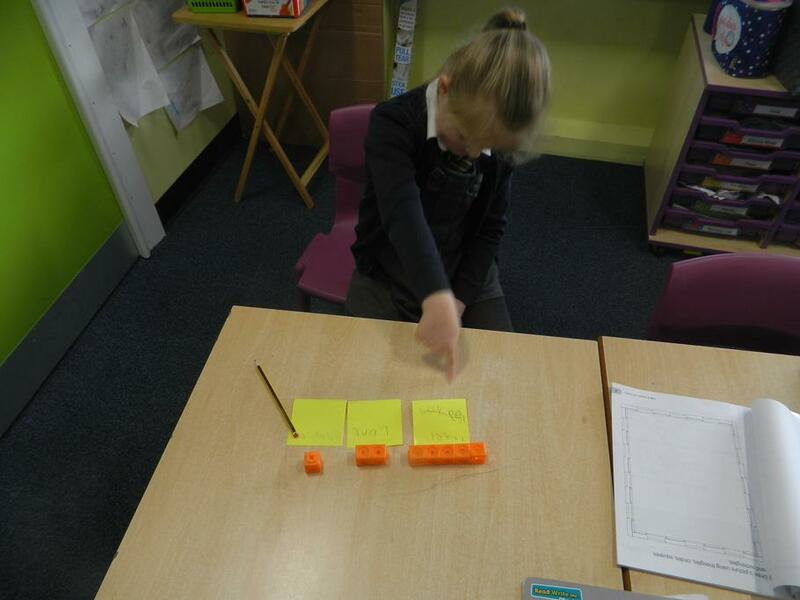 We can sequence in ascending and descending order. 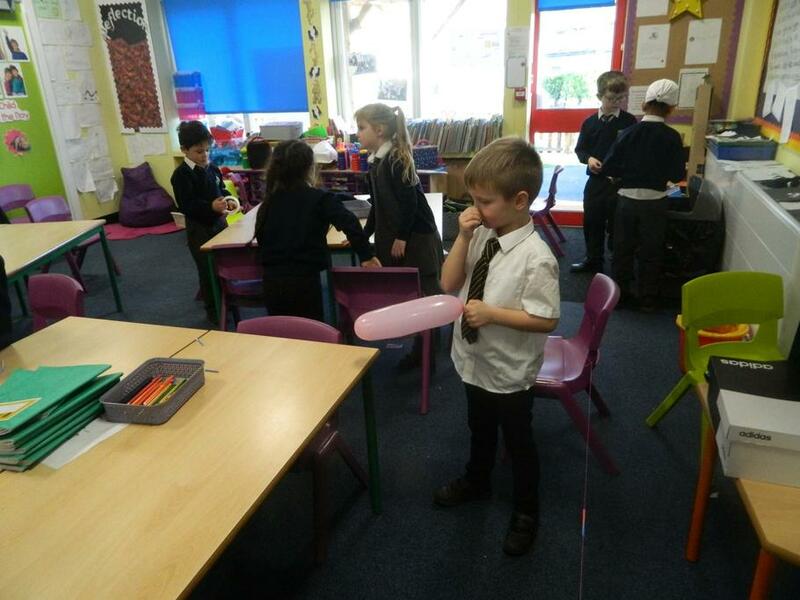 Our PE lessons are all about developing our control and accuracy skills. 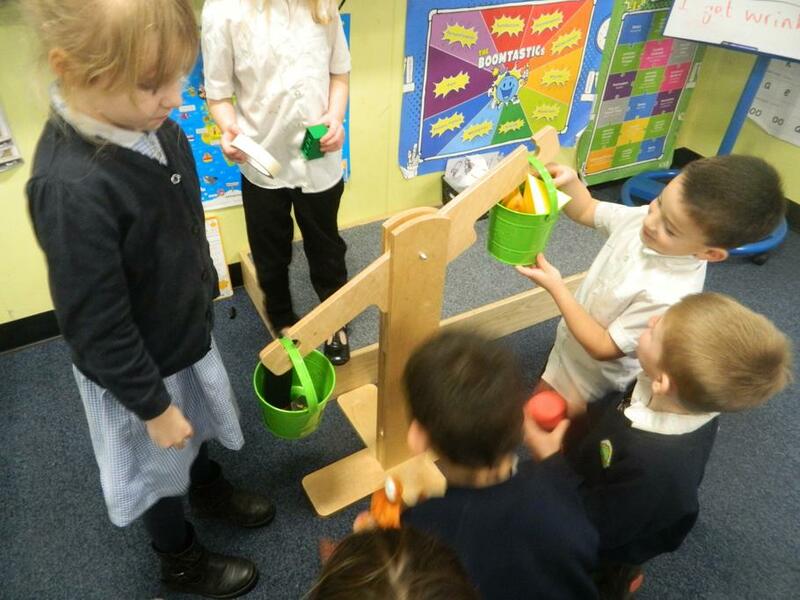 We have been using a range of equipment to control bean bags and balls. 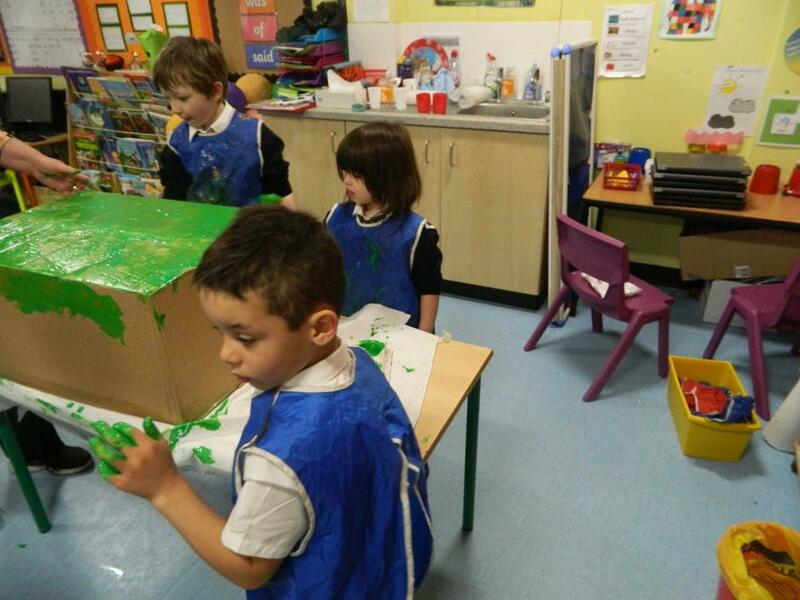 We look very smart in our coloured PE kits! 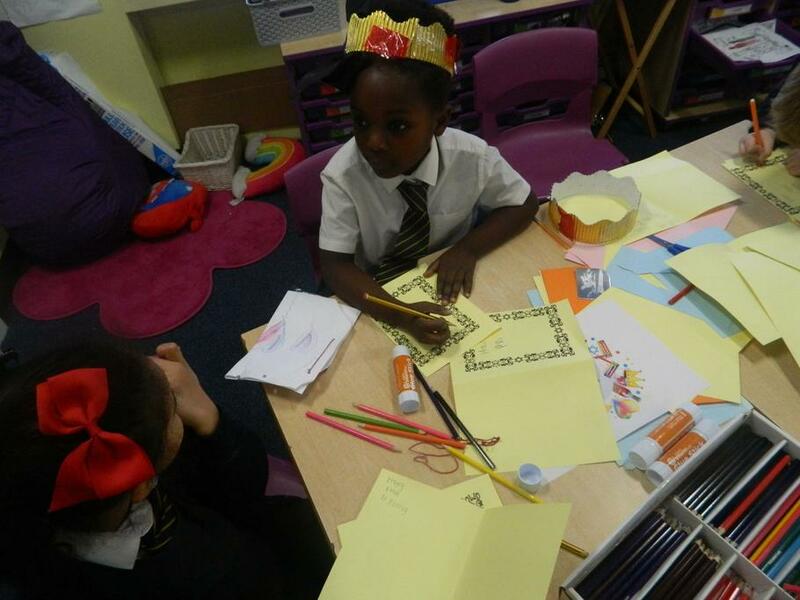 We have been reading and rewriting the story - Dear Zoo this week. 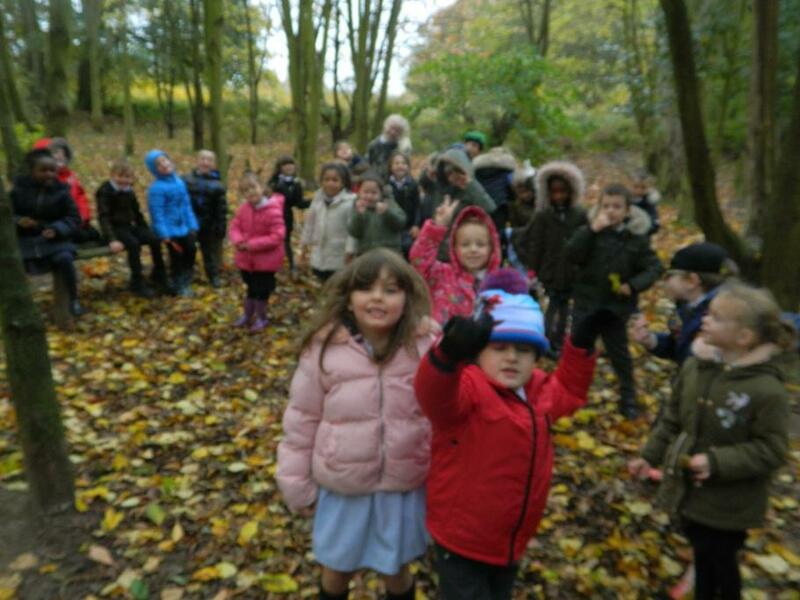 We've had lots of fun! 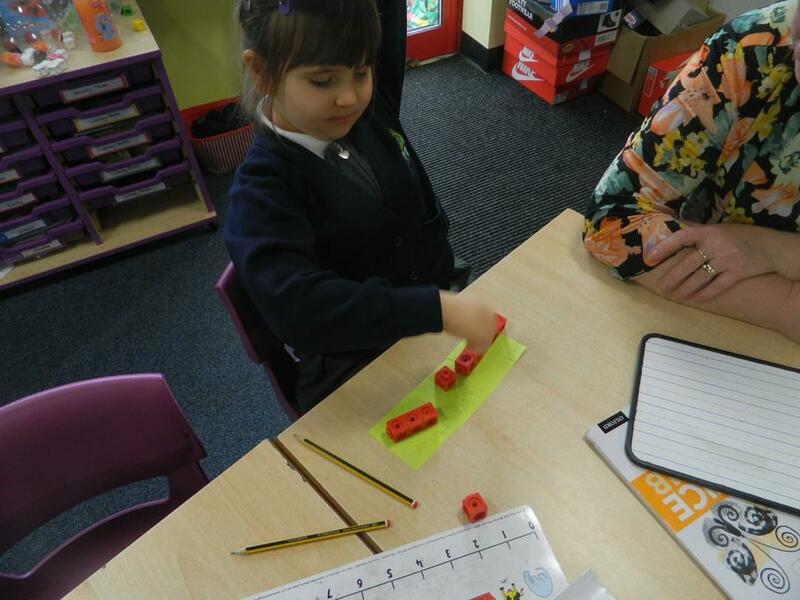 We are learning about numbers in maths. 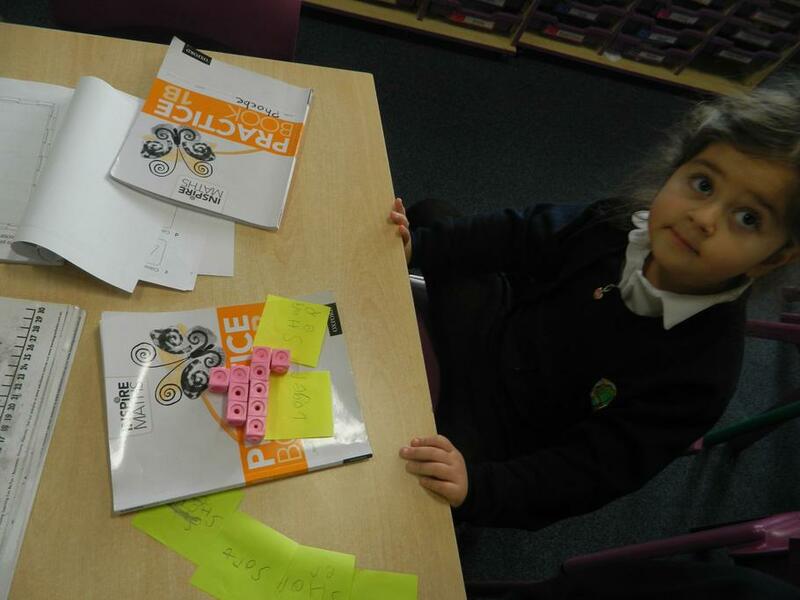 We have been matching objects to digits and ordering number cards. 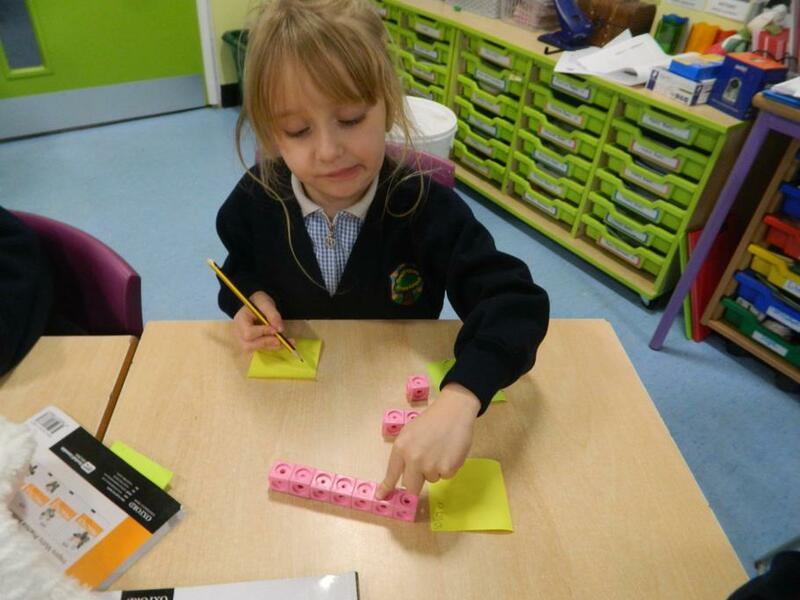 Lots of us can write our numbers clearly and correctly! 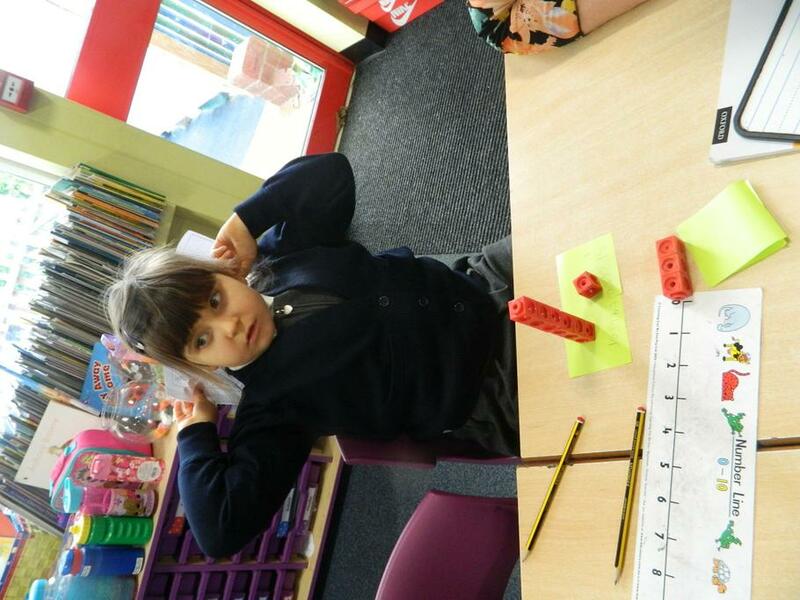 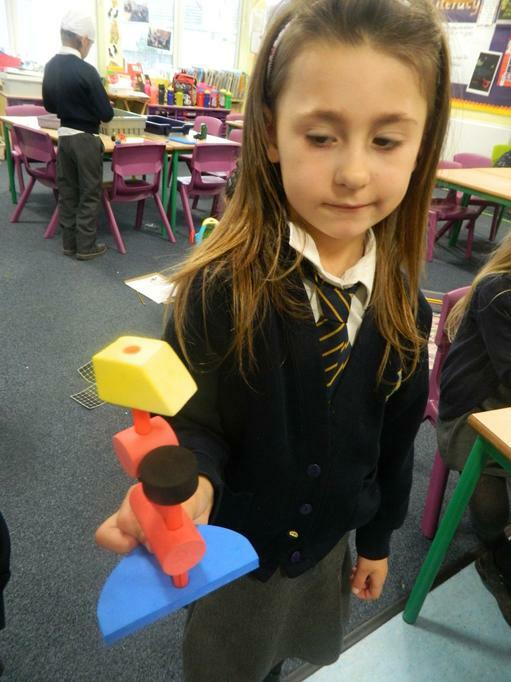 We have been investigating shapes in maths time. 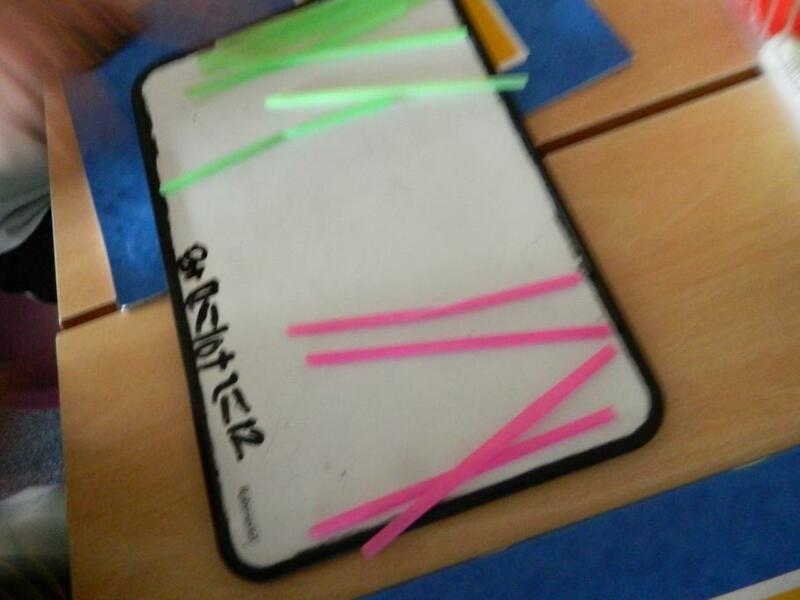 We used the 2D shapes to draw around and label and used the elastic bands to create shapes on the geoboards. 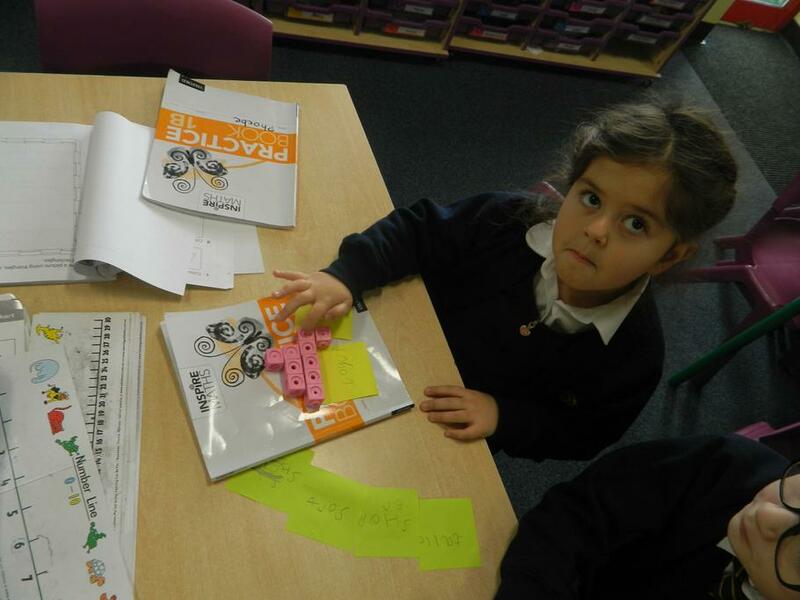 We are reading Dear Zoo in our literacy lessons this week. 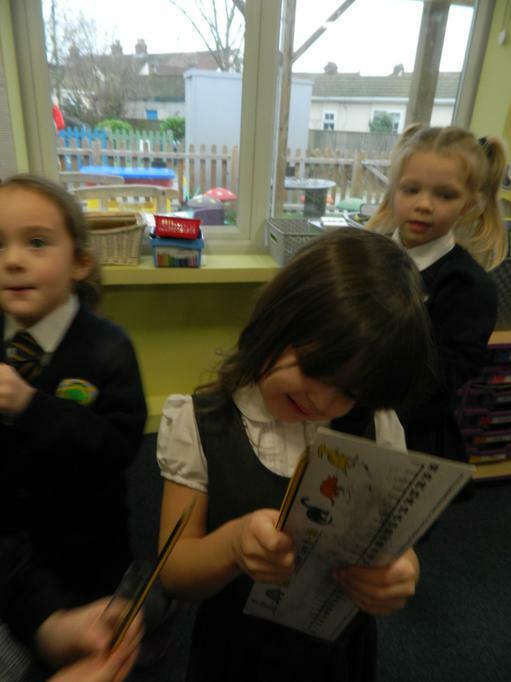 We have been retelling the story using our pictures and describing words. 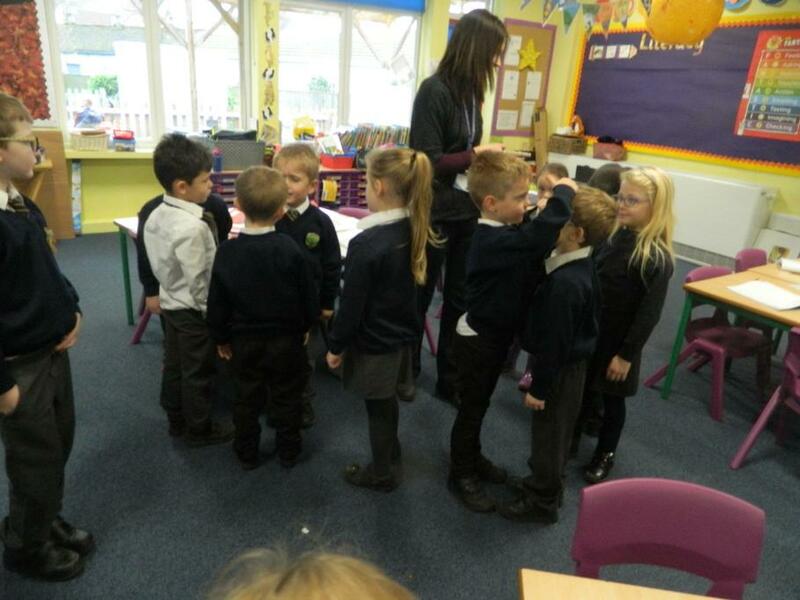 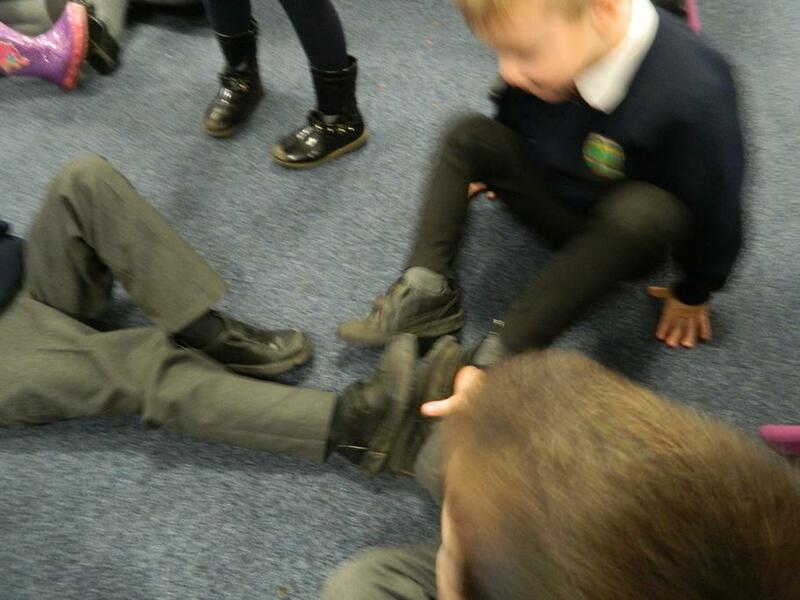 We took turns to 'walk through' the story and share our story telling skills with our friends. 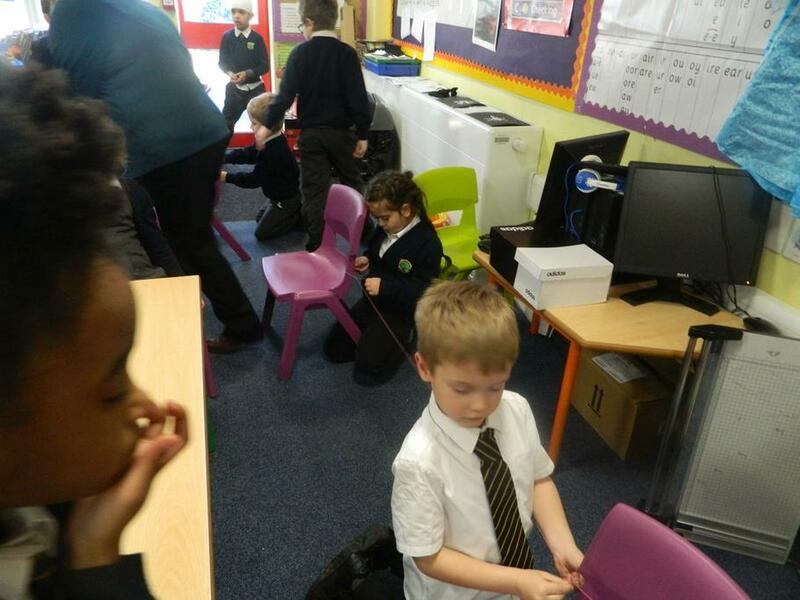 Some of us even changed the story a little! 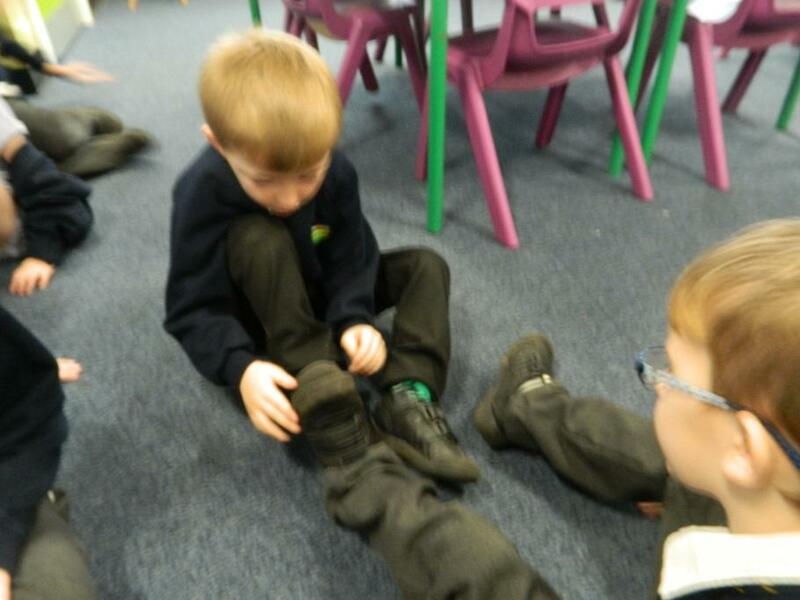 We have PE every Monday and Wednesday so please bring in your named PE kit with a change of shoes. 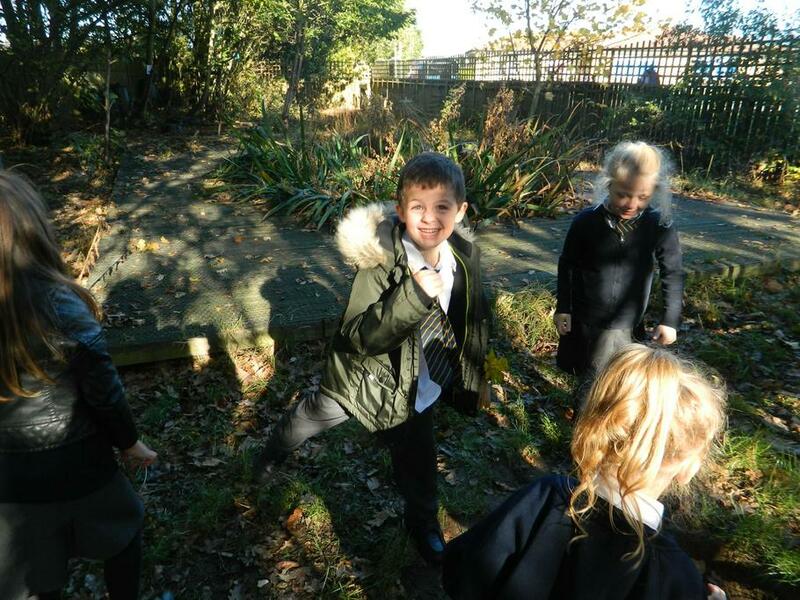 If the weather is fine we will take part in outdoor PE so pack a tracksuit and trainers too. 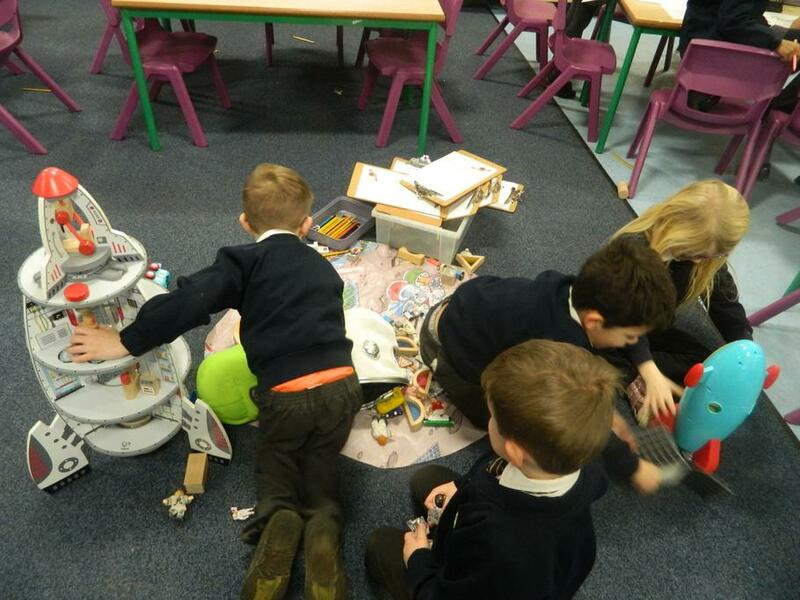 Monday - is our main library day. 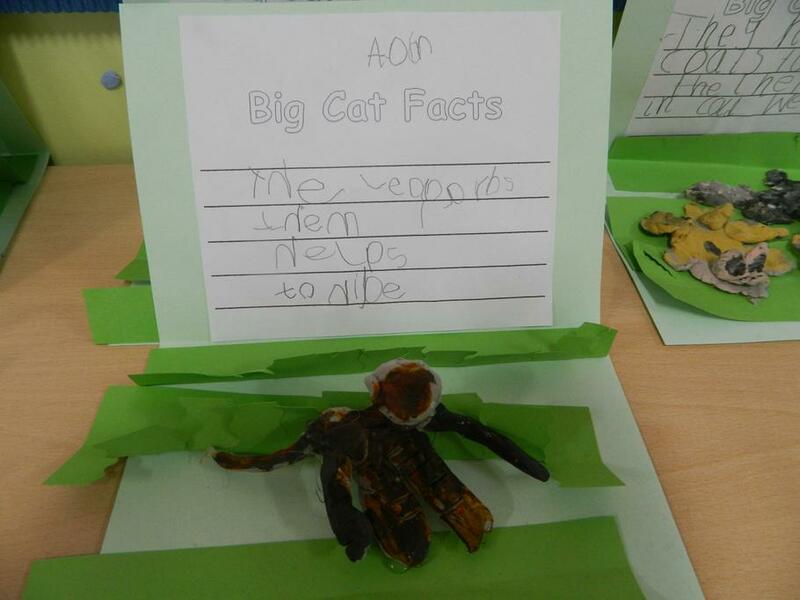 Please remember to return your library book each week. 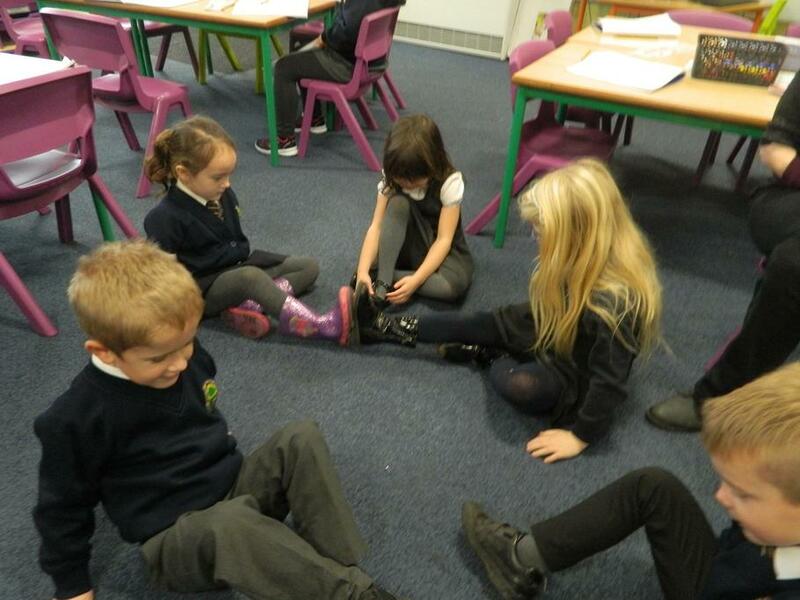 We will share a group story and change our books with Mrs Thomas. 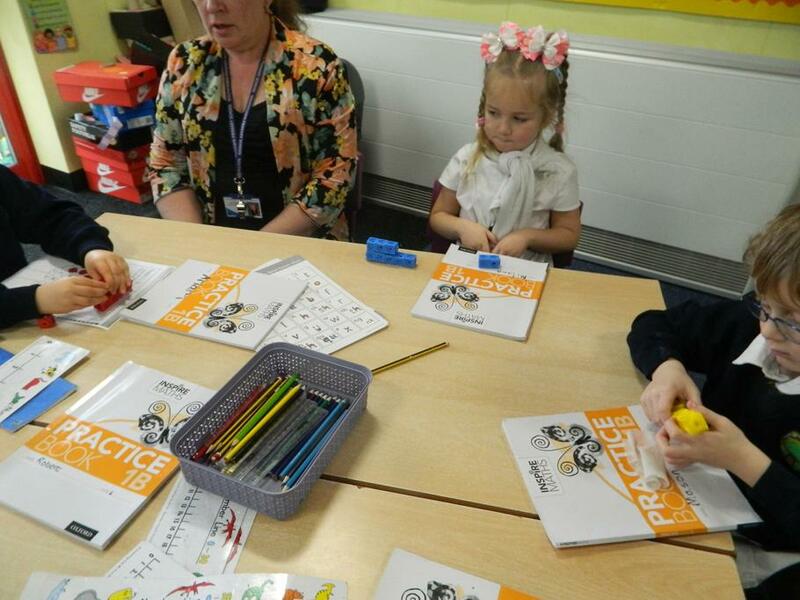 Please let us know if you would like to change your book on a more frequent basis - we will try and change as often as we can. 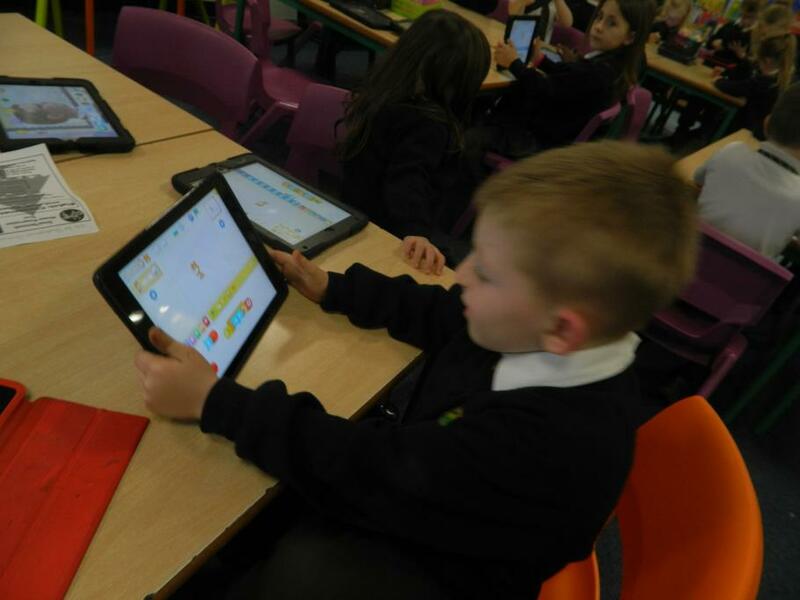 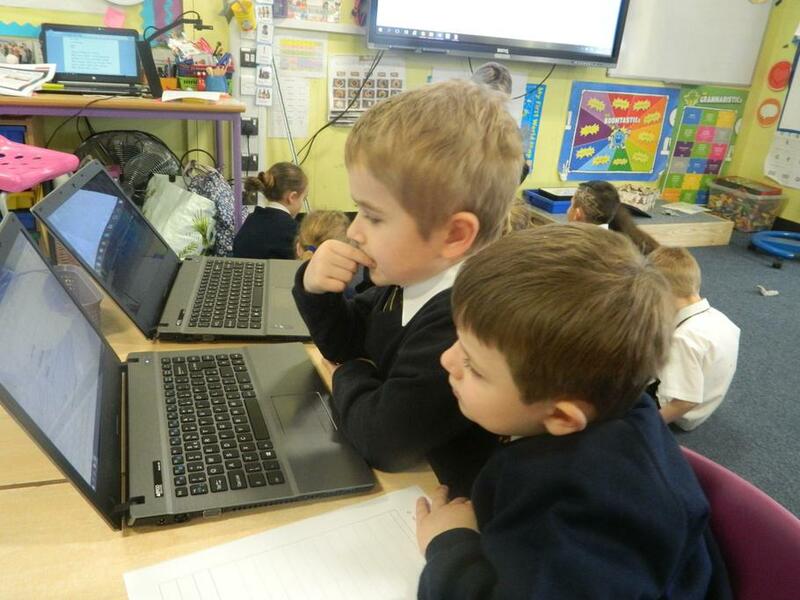 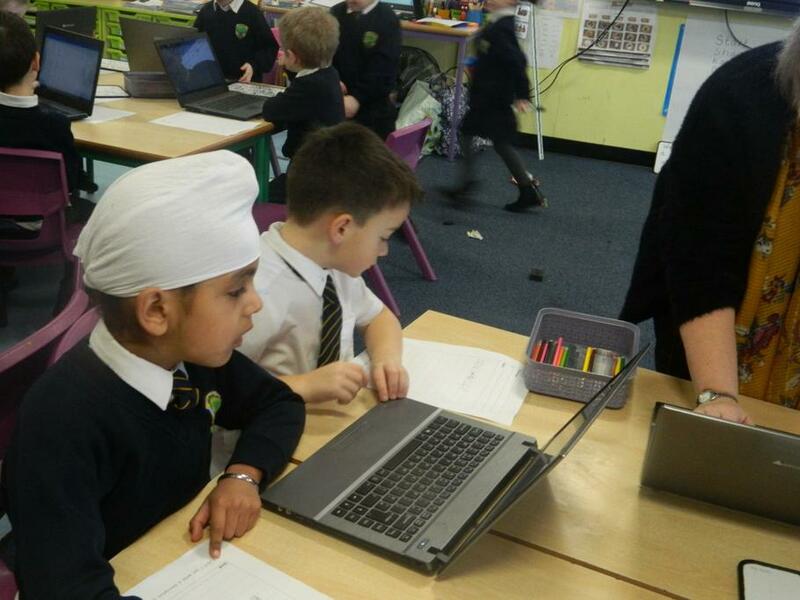 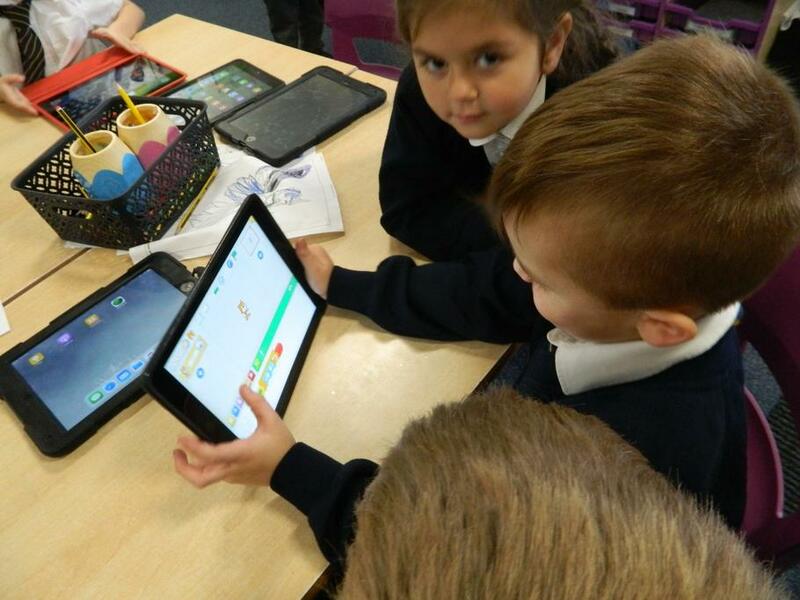 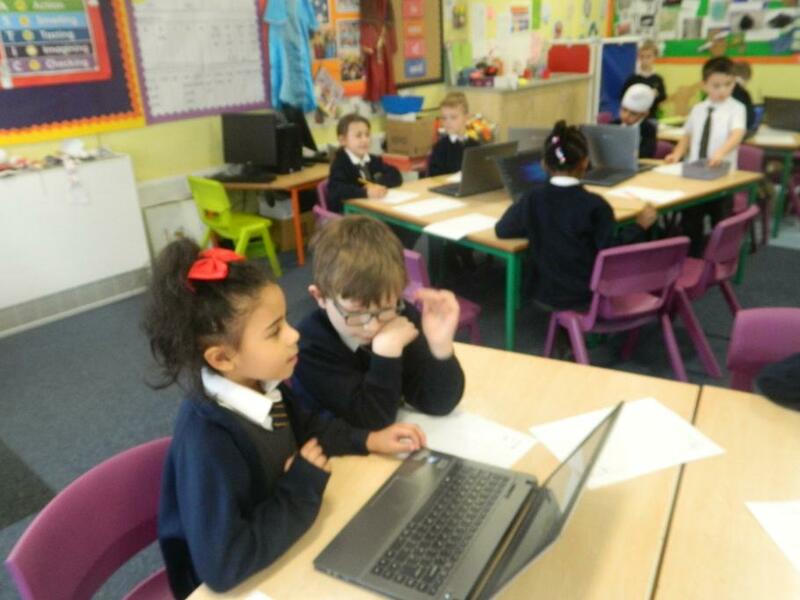 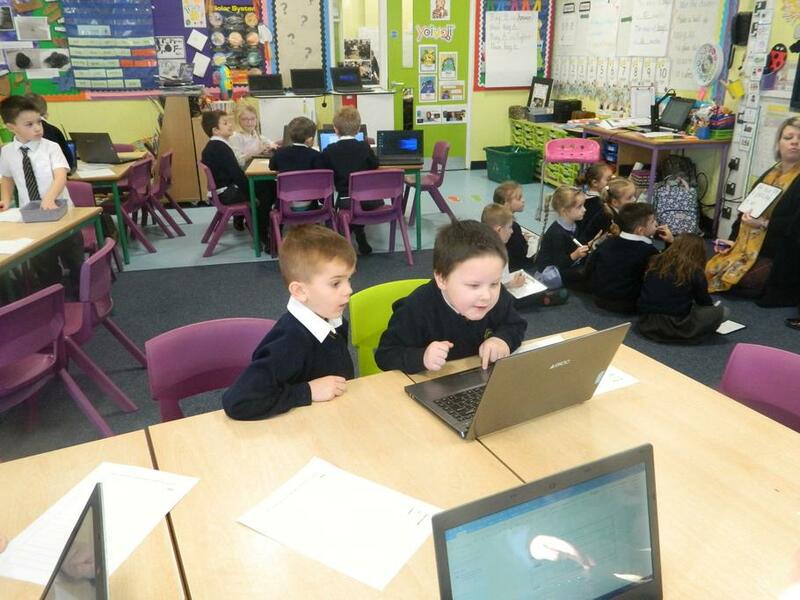 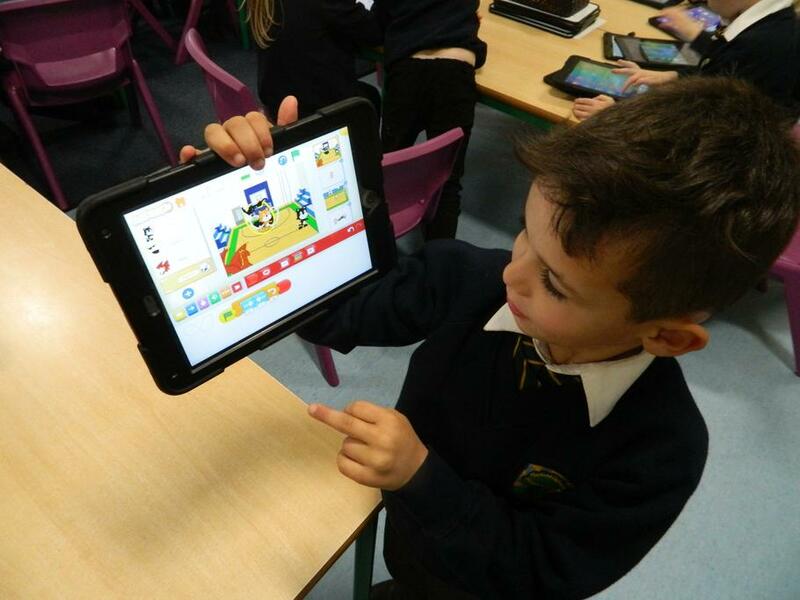 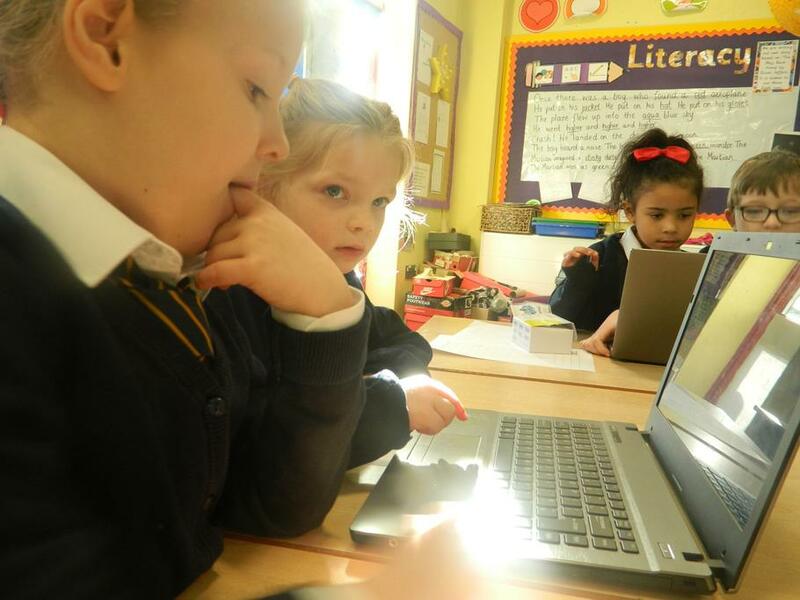 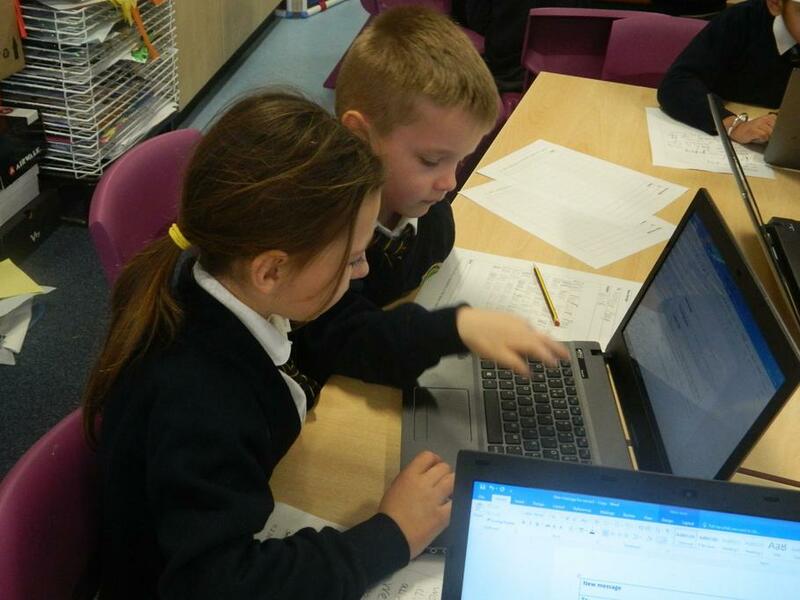 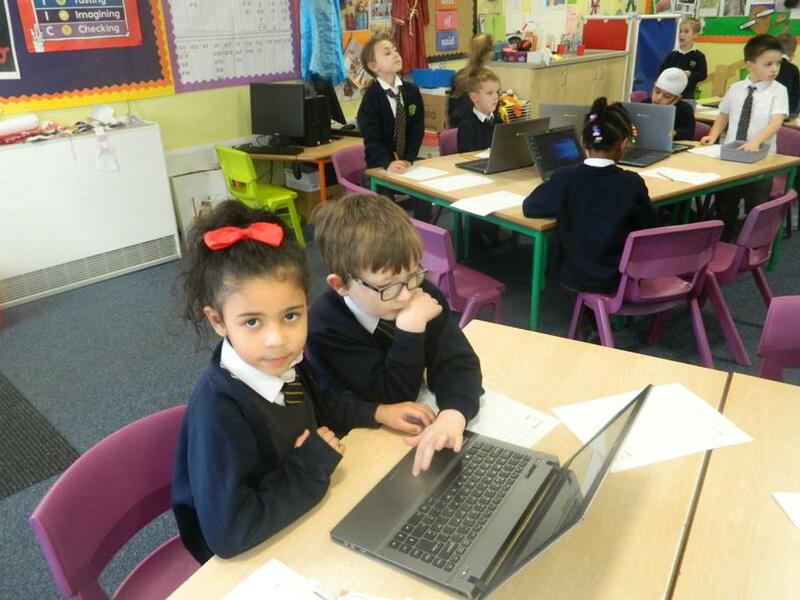 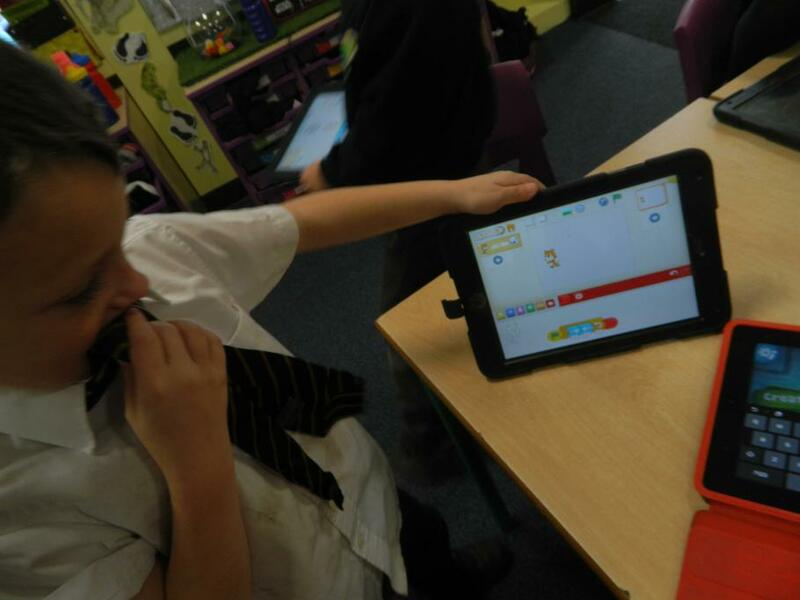 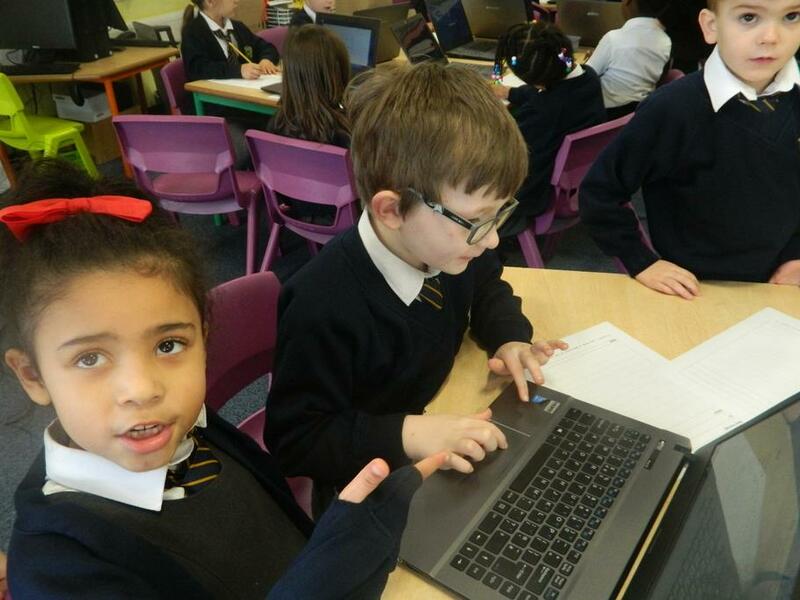 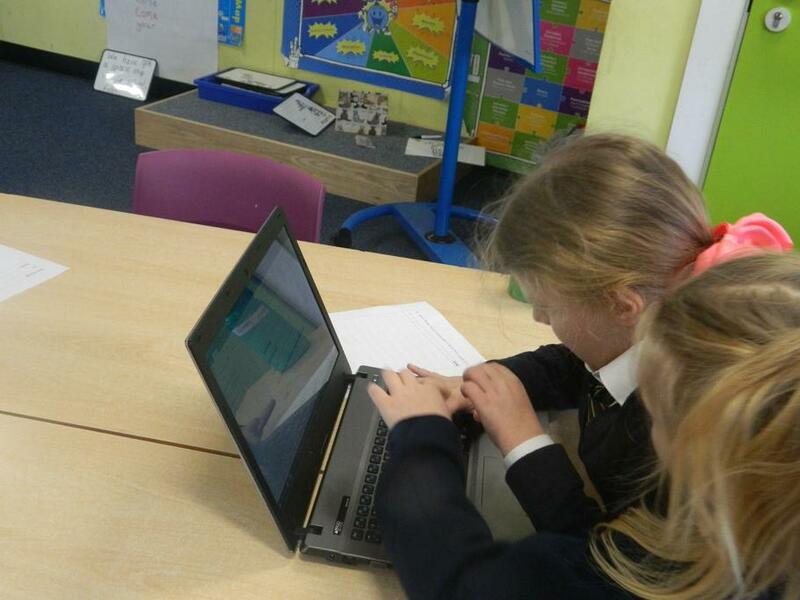 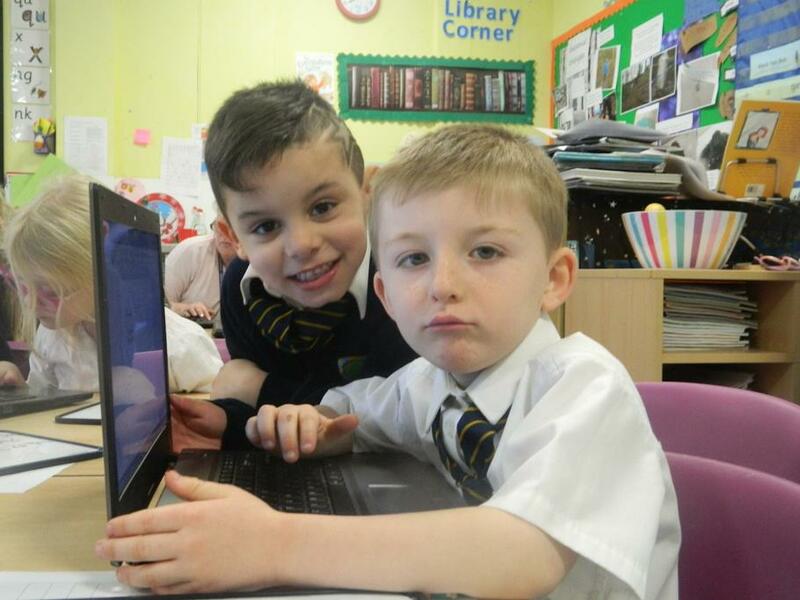 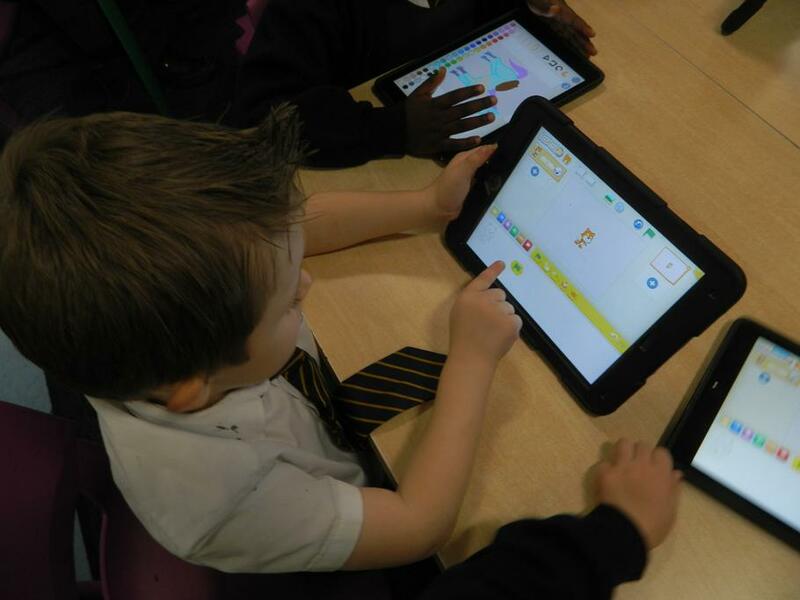 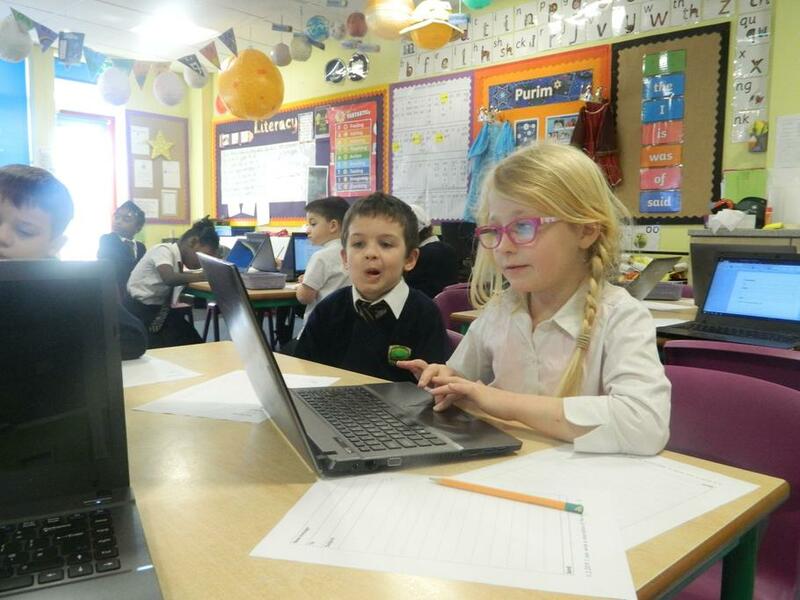 Tuesday - children will take part in computing and PCHSE lessons with Mr Kyriacou and Mr Jay. 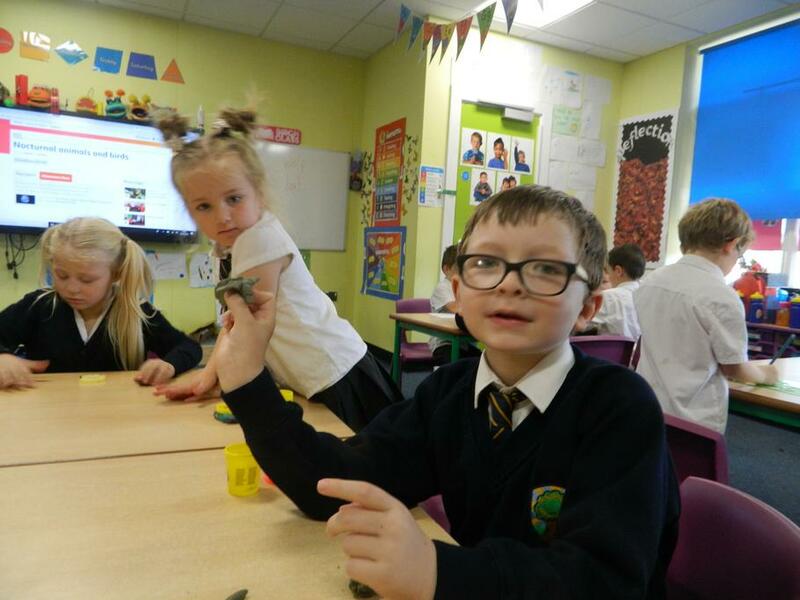 Wednesday - is PE and topic afternoon, lots of science, geography, history, art and design technology learning - a very busy afternoon! 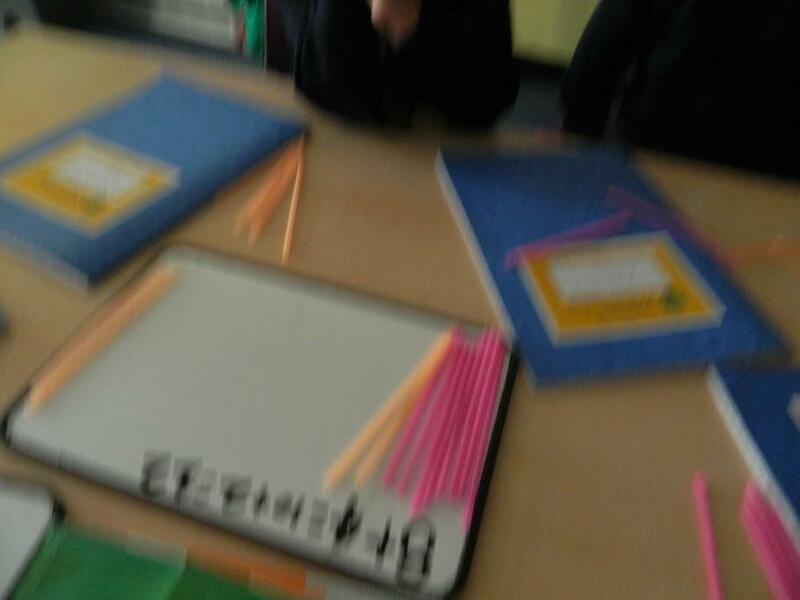 Thursday - will be our main topic afternoon. 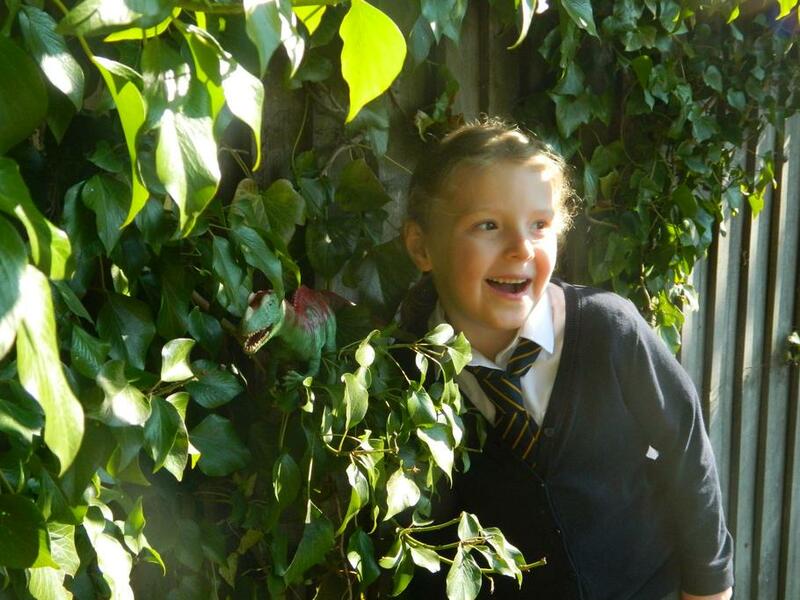 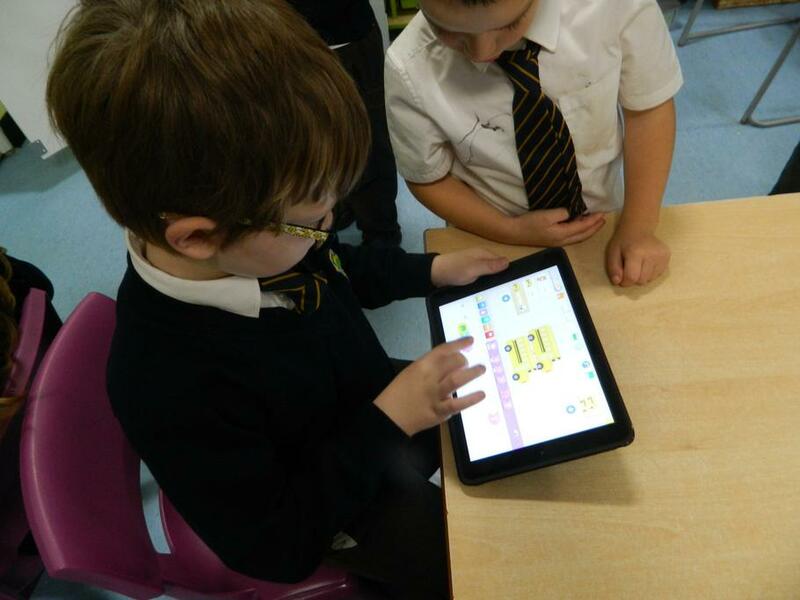 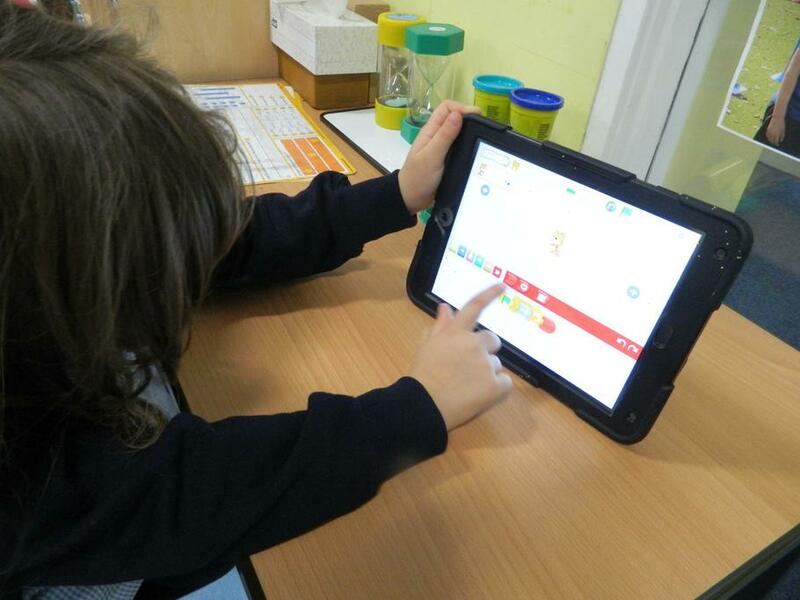 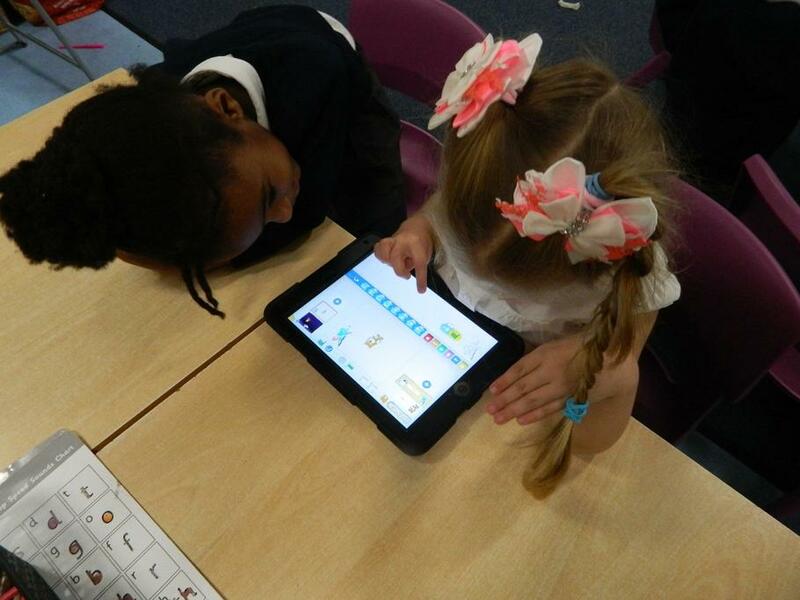 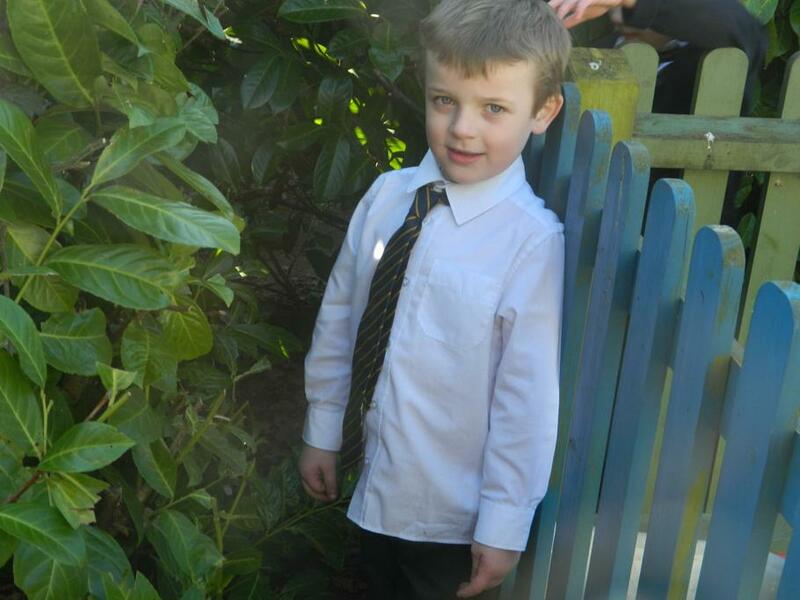 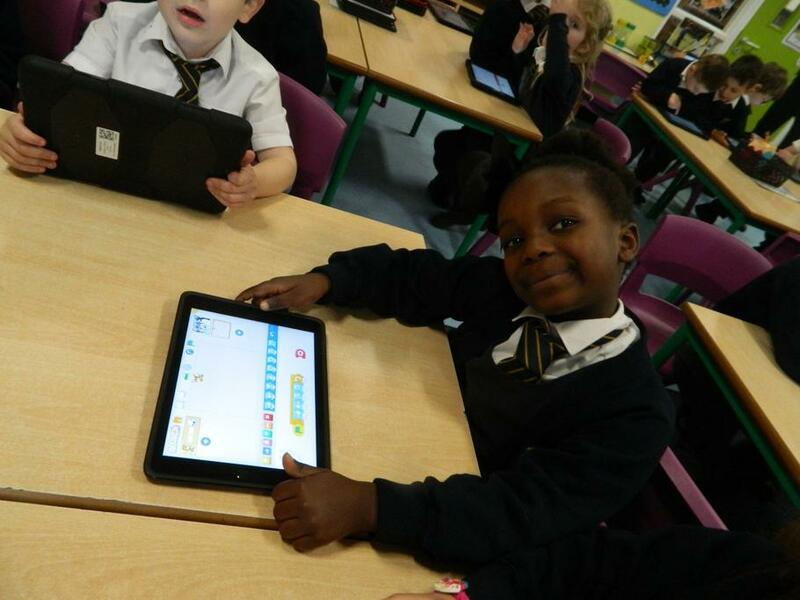 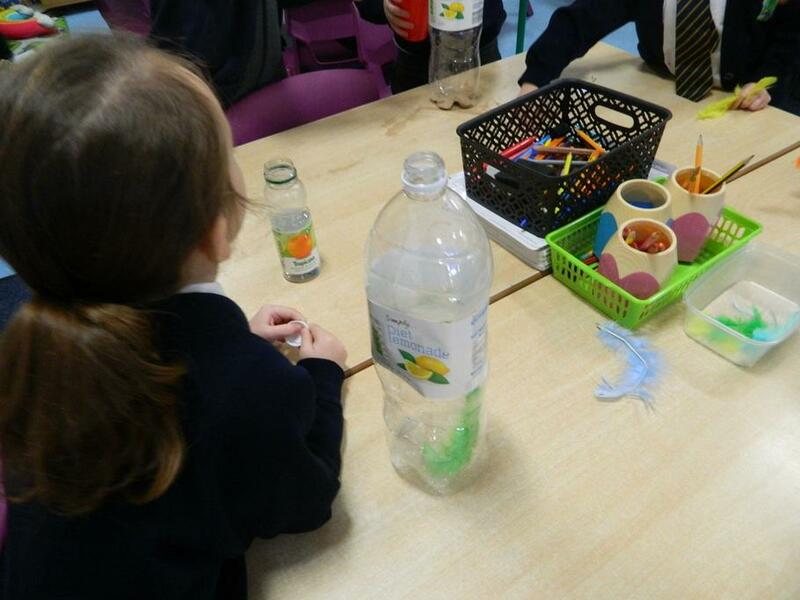 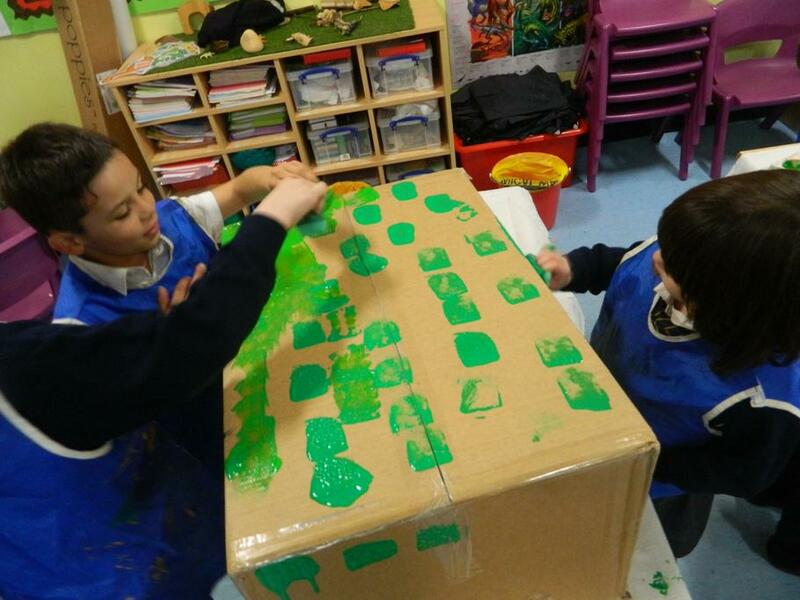 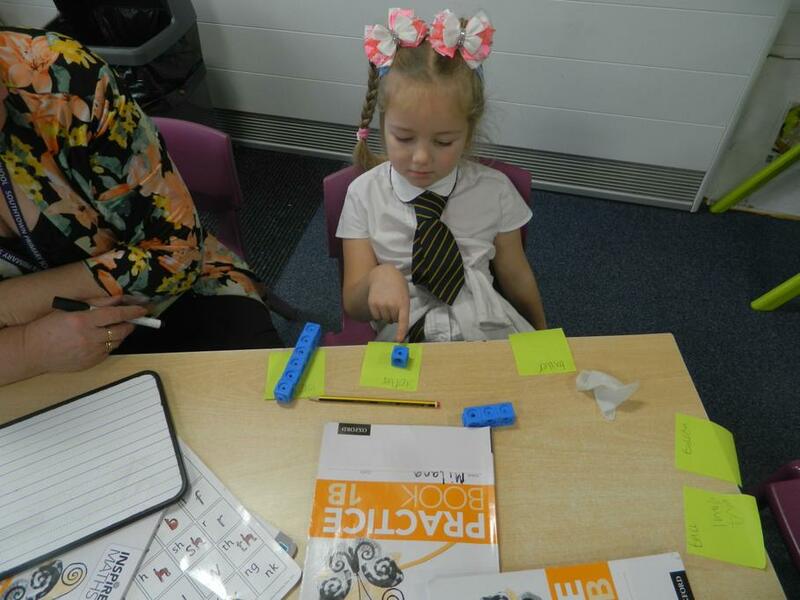 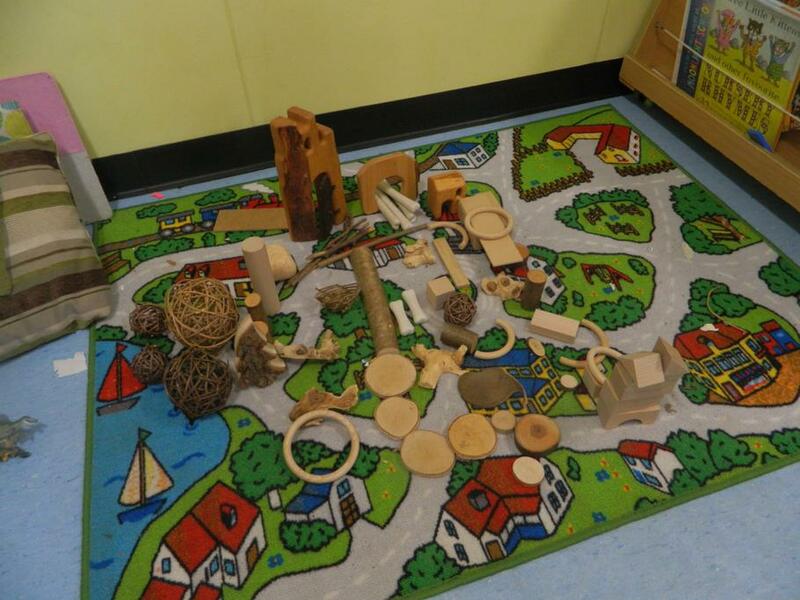 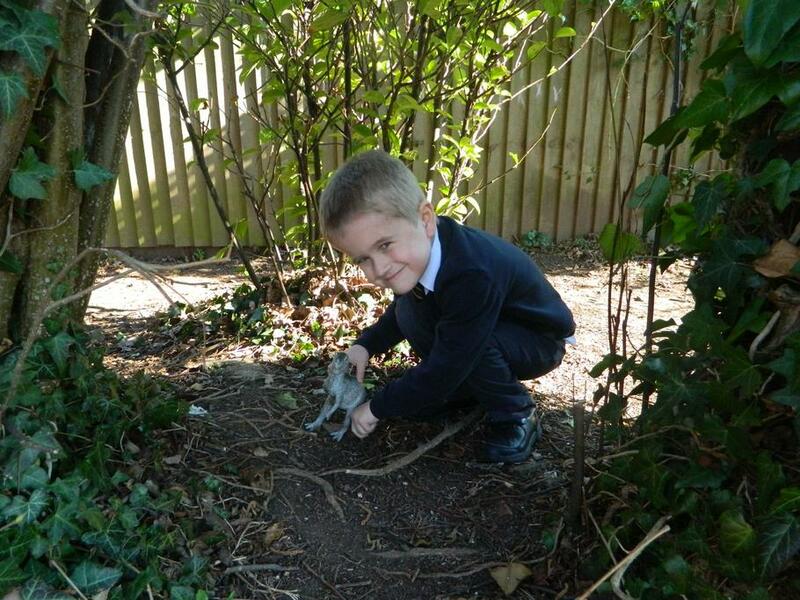 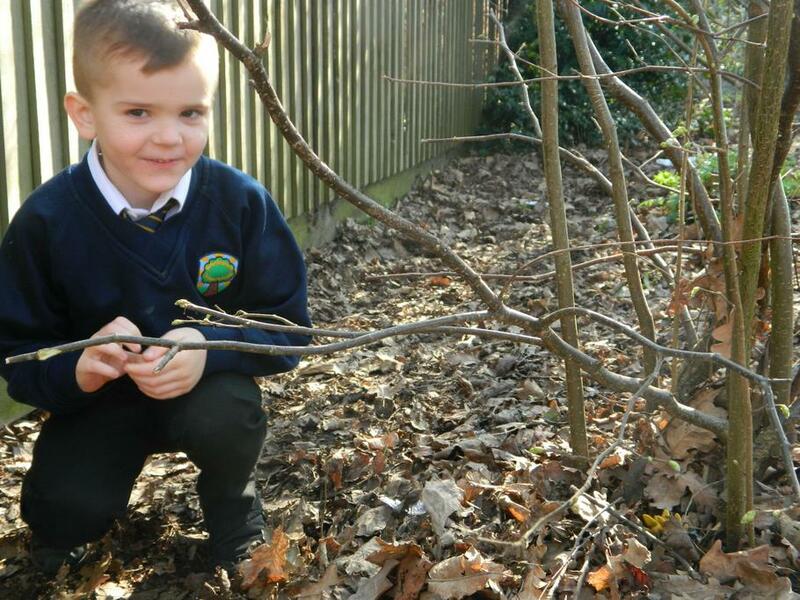 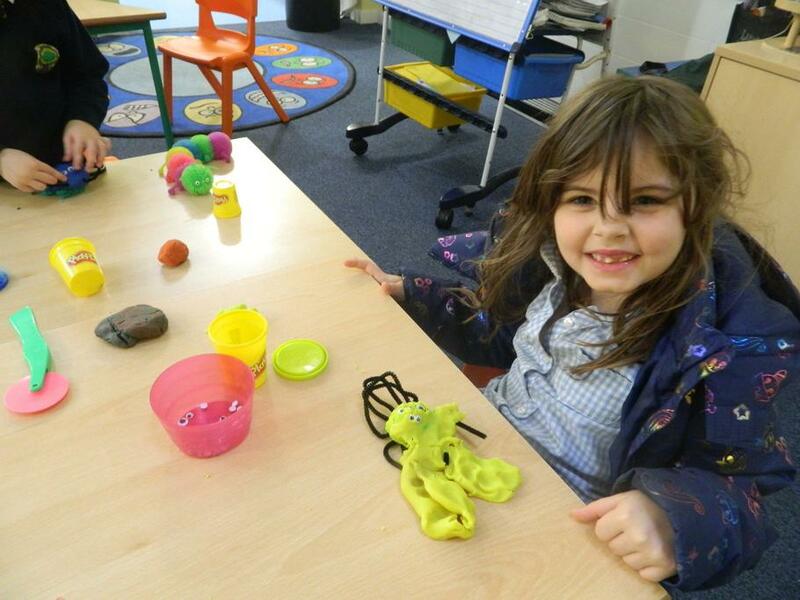 The children will engage in a wide range of learning opportunities throughout the term. 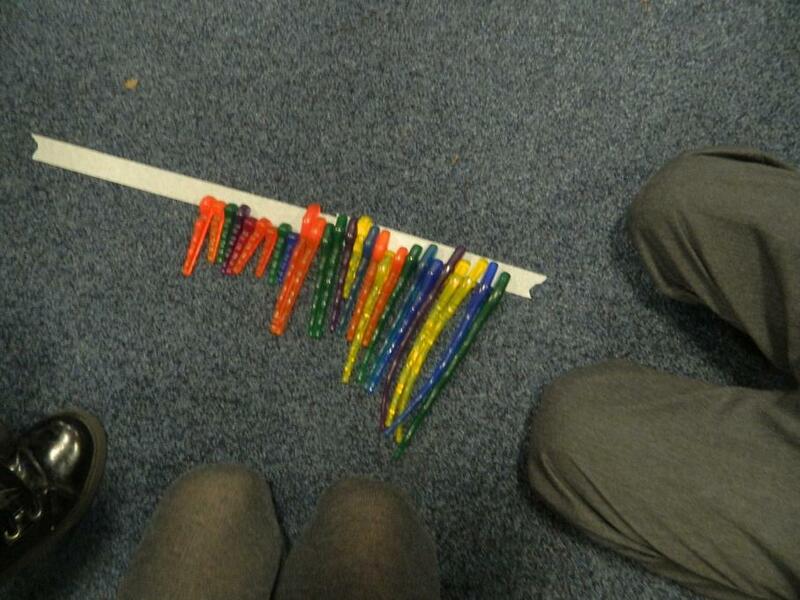 Friday - is our music day. 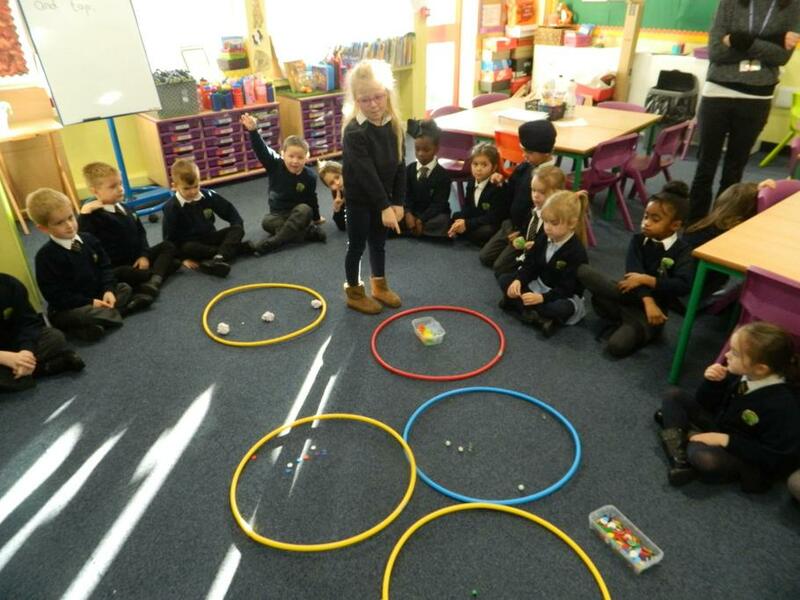 We will spend the afternoon enjoying topic work and finish the week with our celebration assembly. 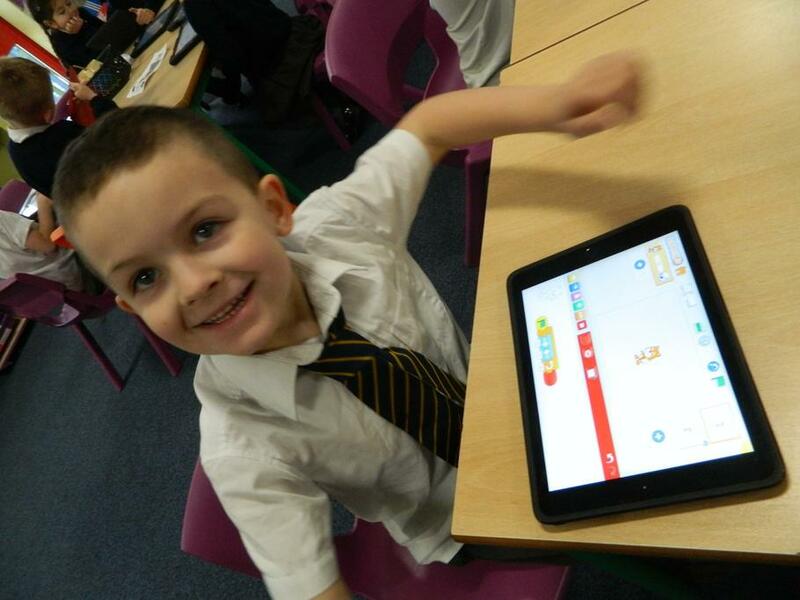 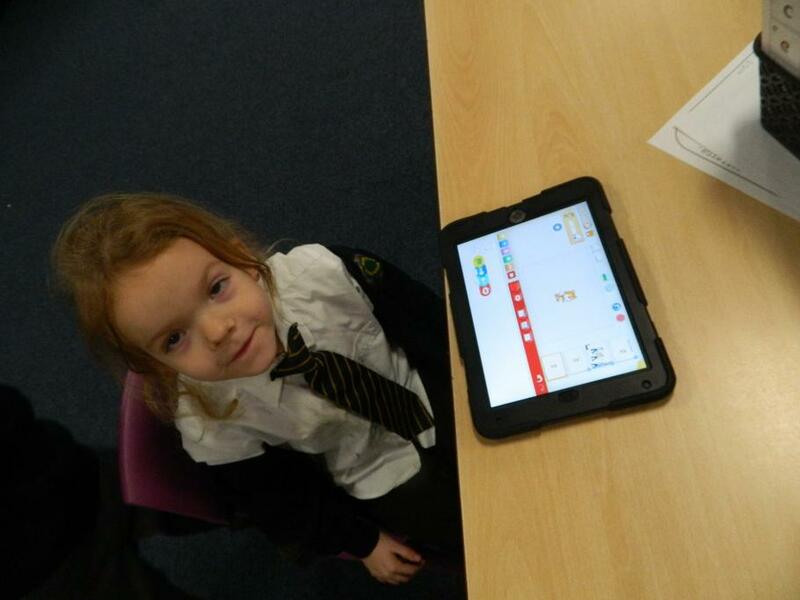 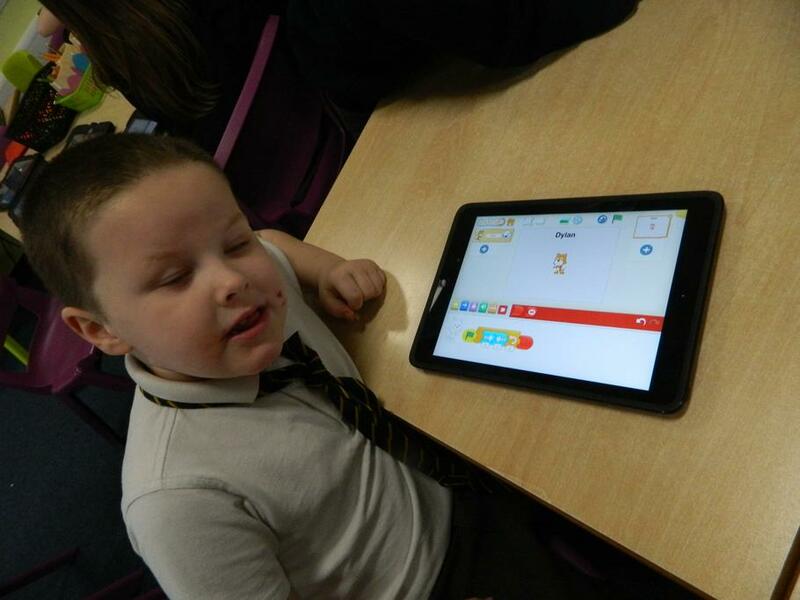 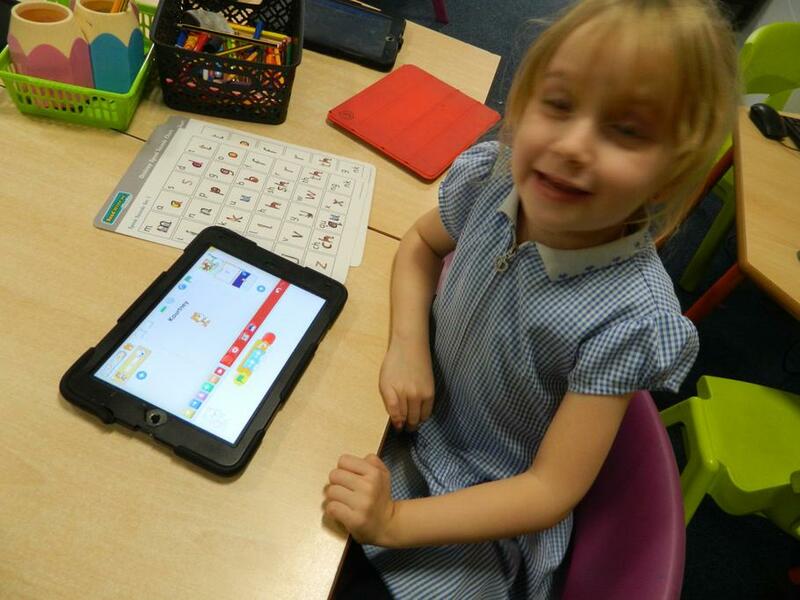 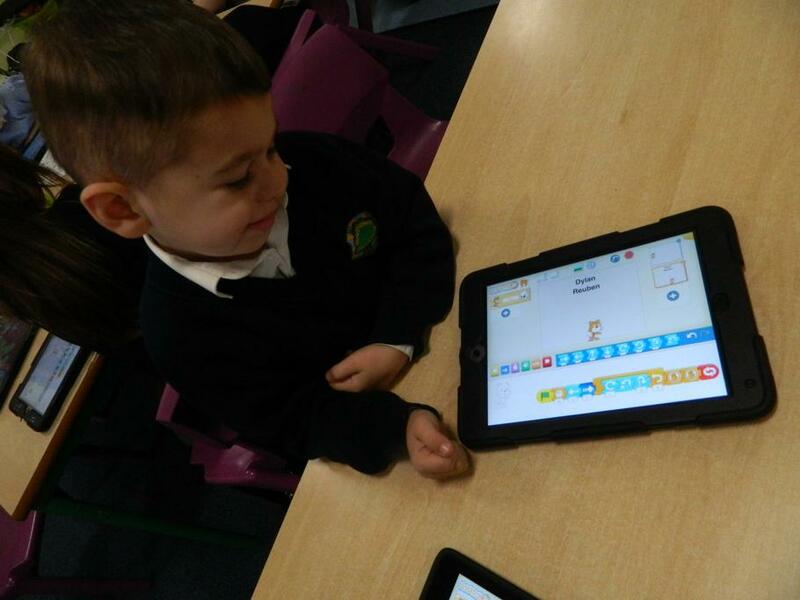 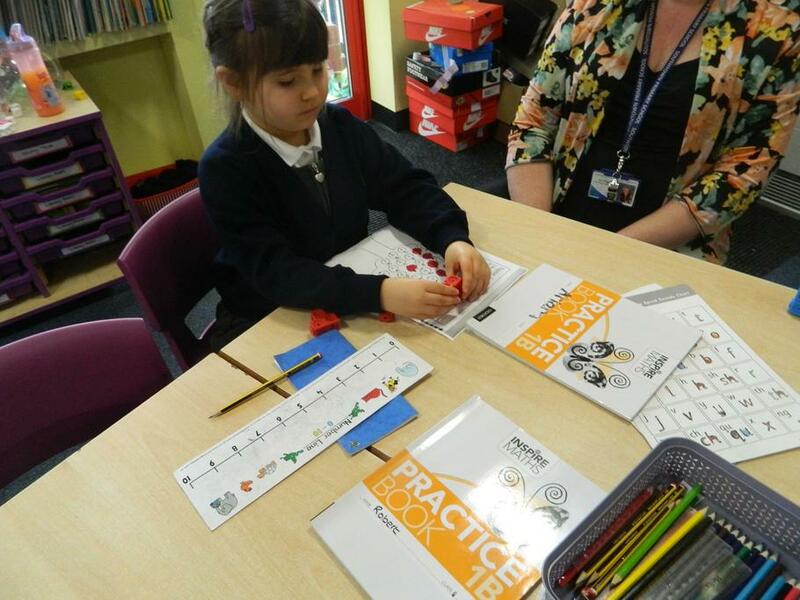 Children participate in daily Read, Write Inc lessons, Literacy and Maths. 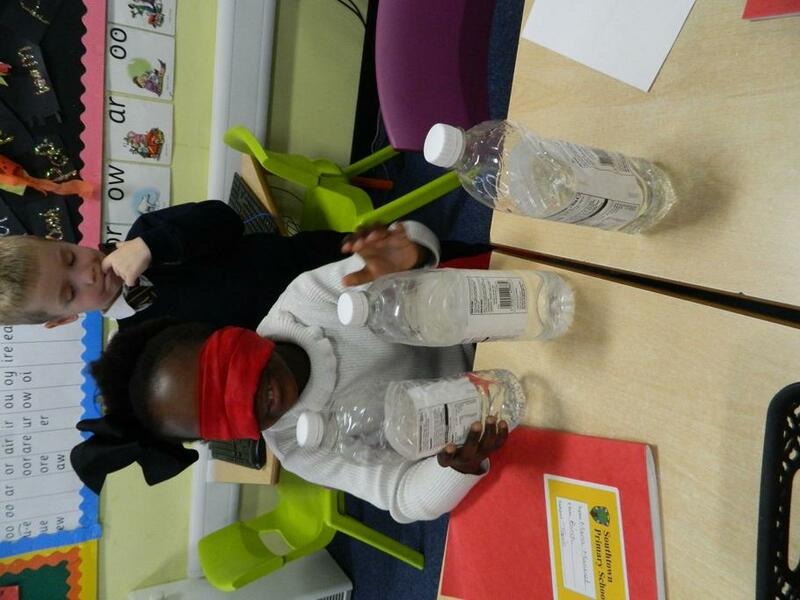 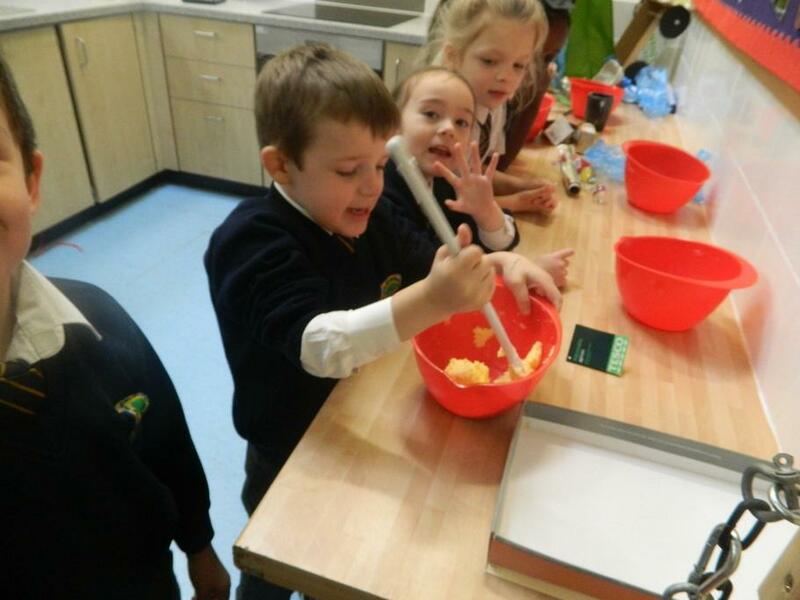 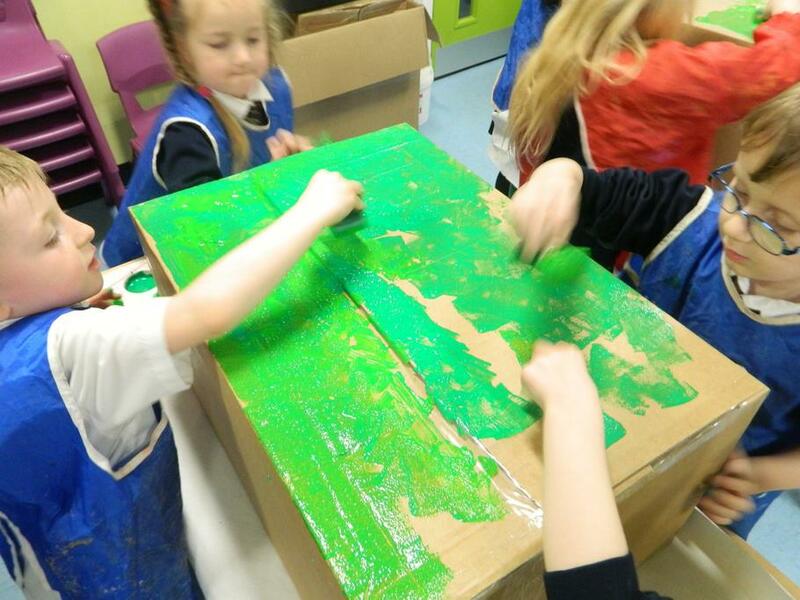 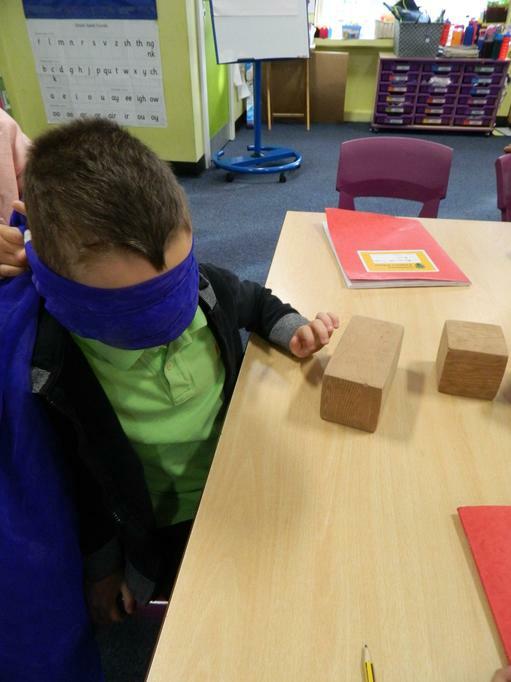 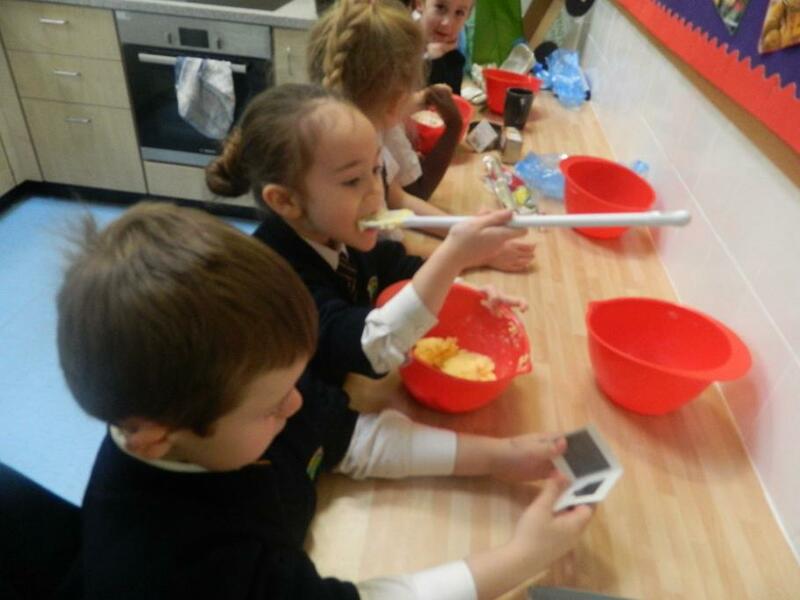 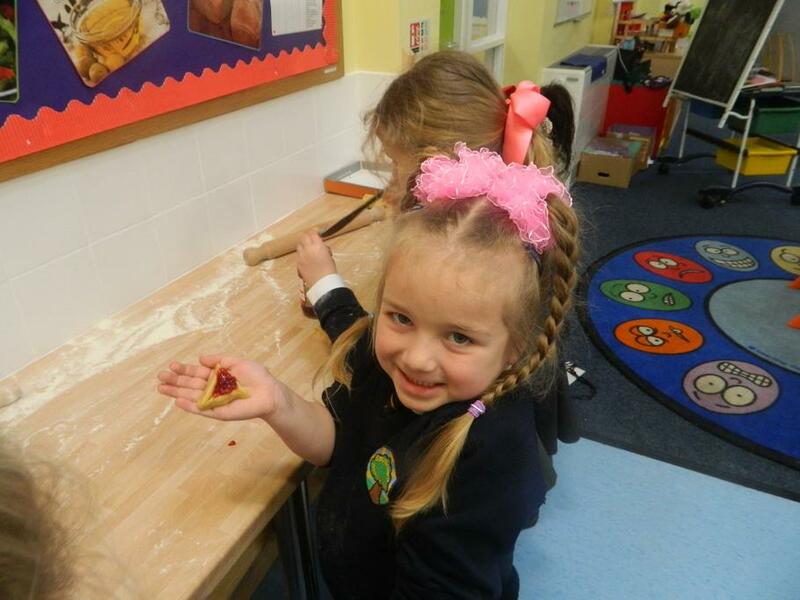 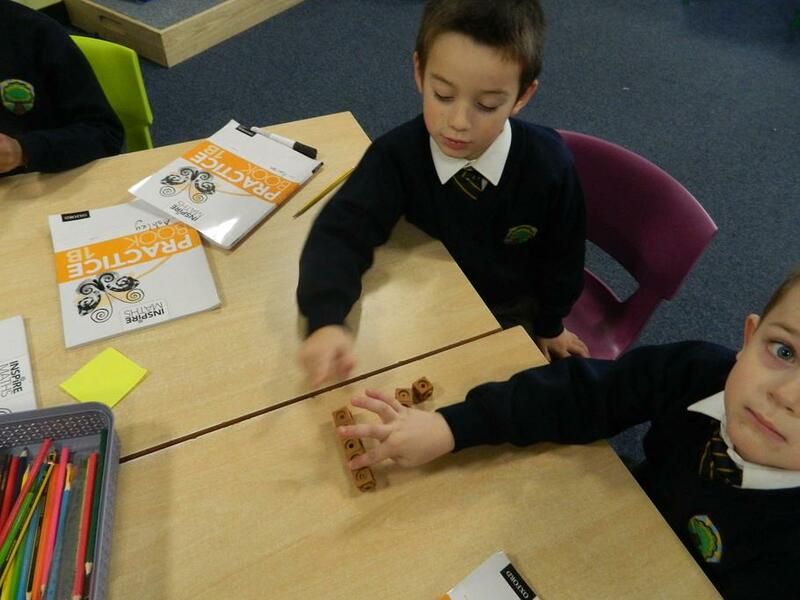 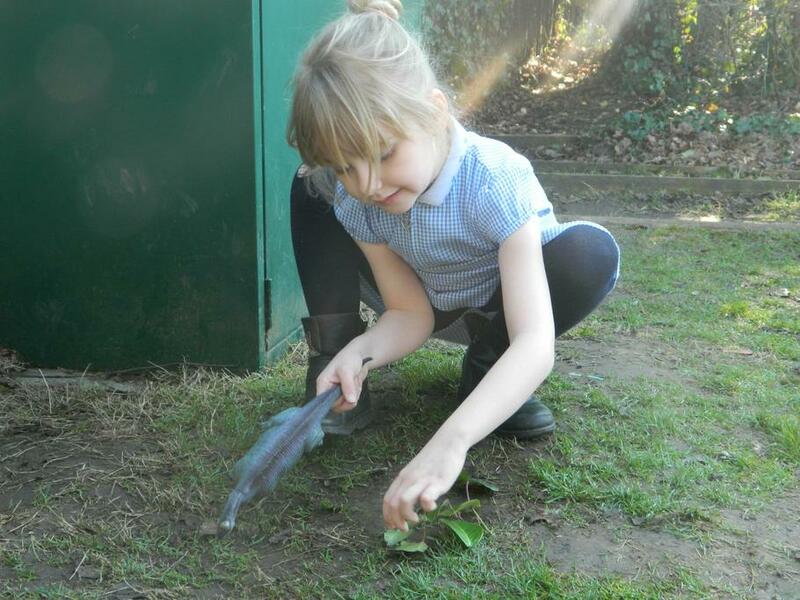 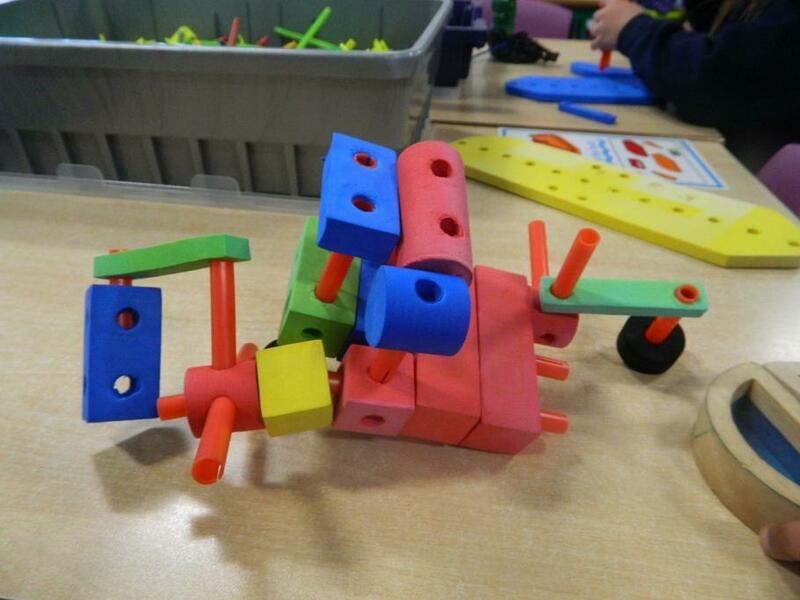 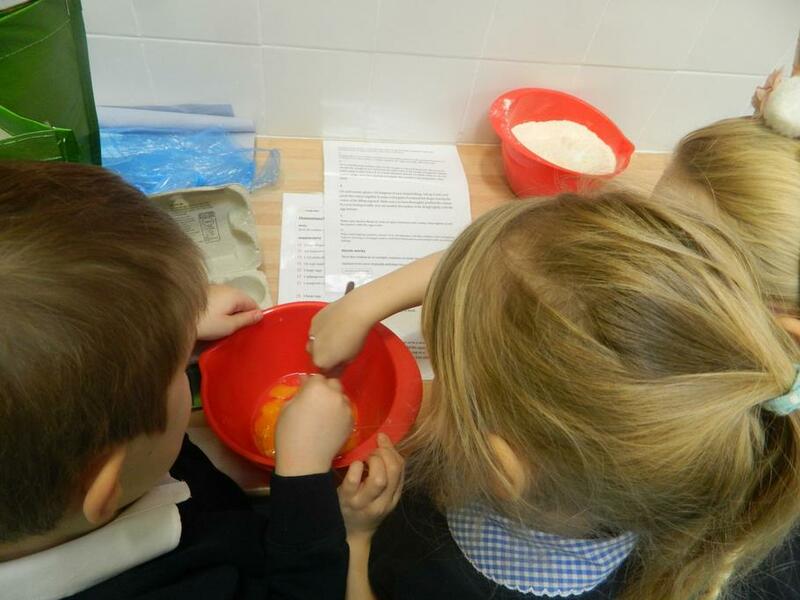 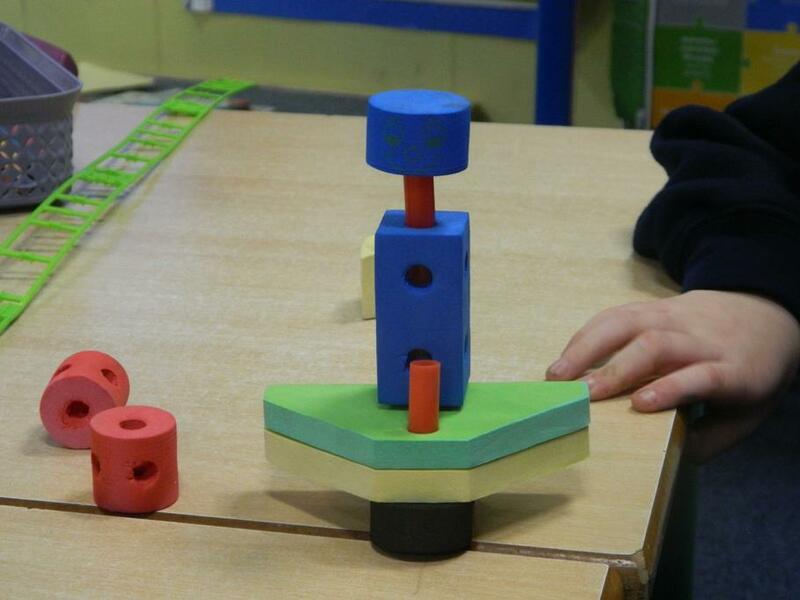 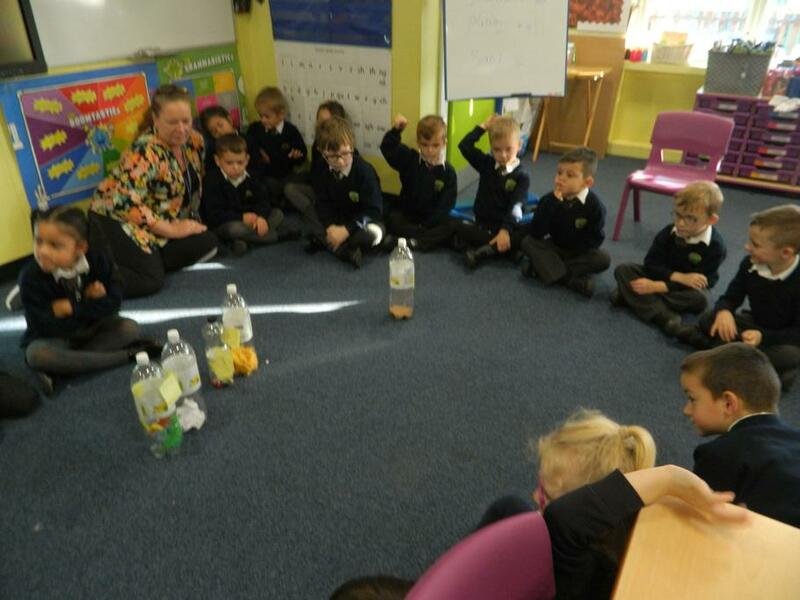 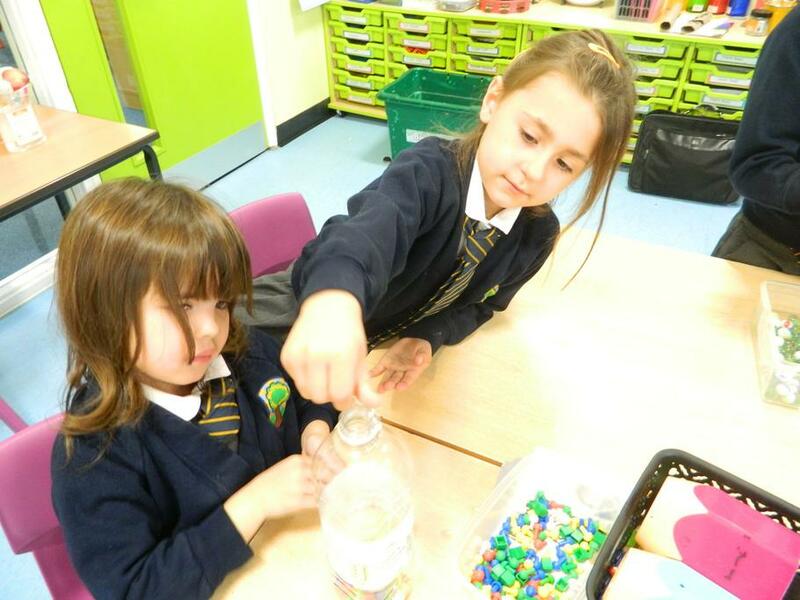 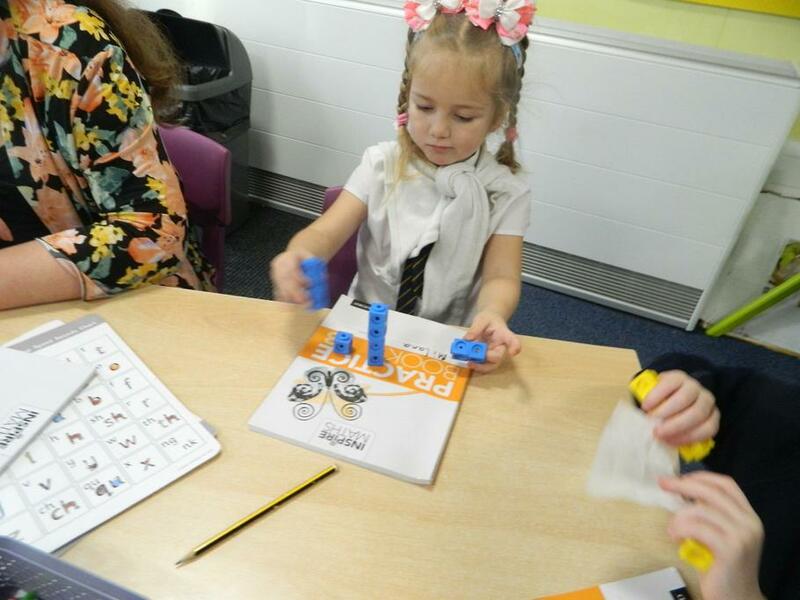 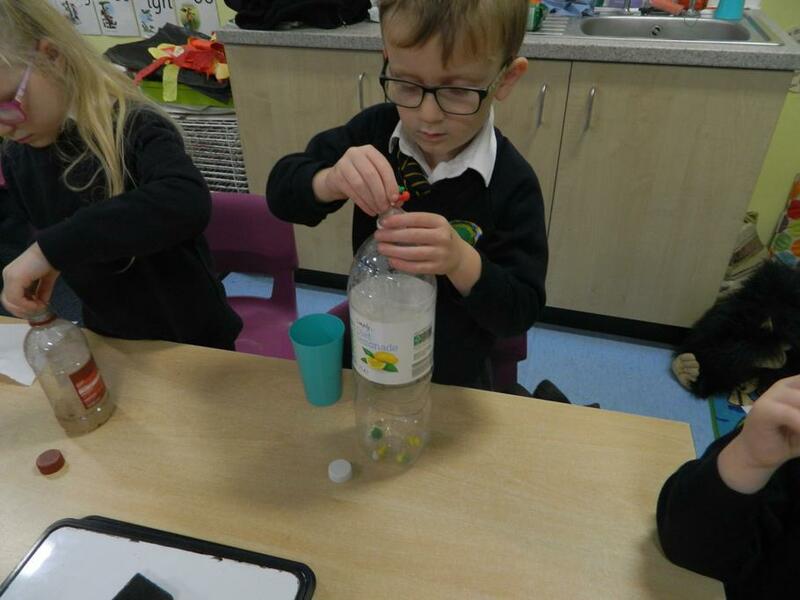 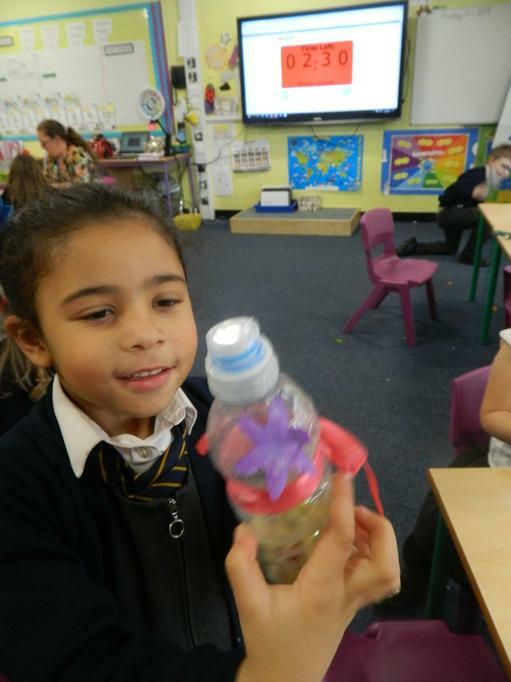 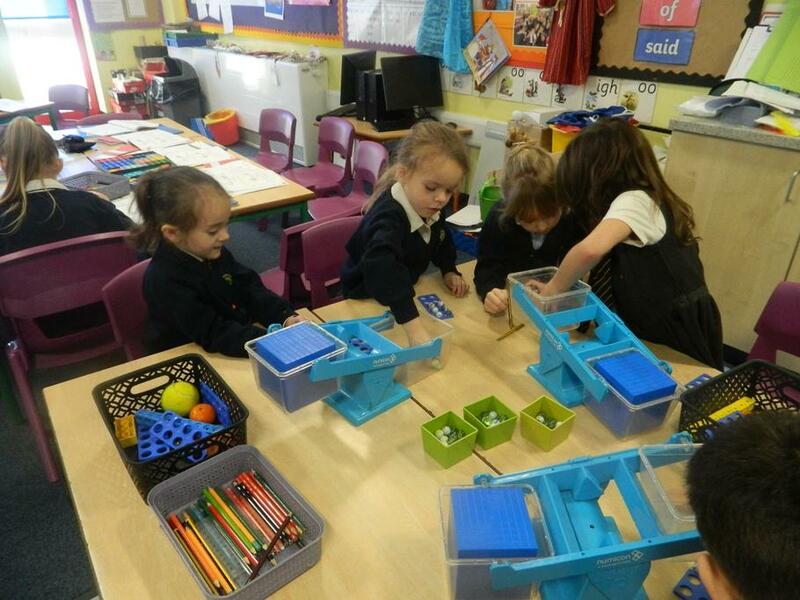 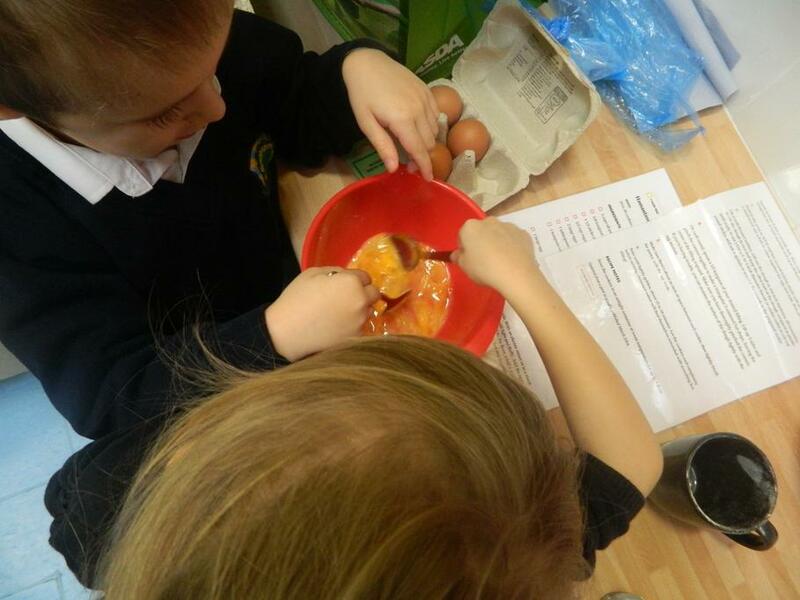 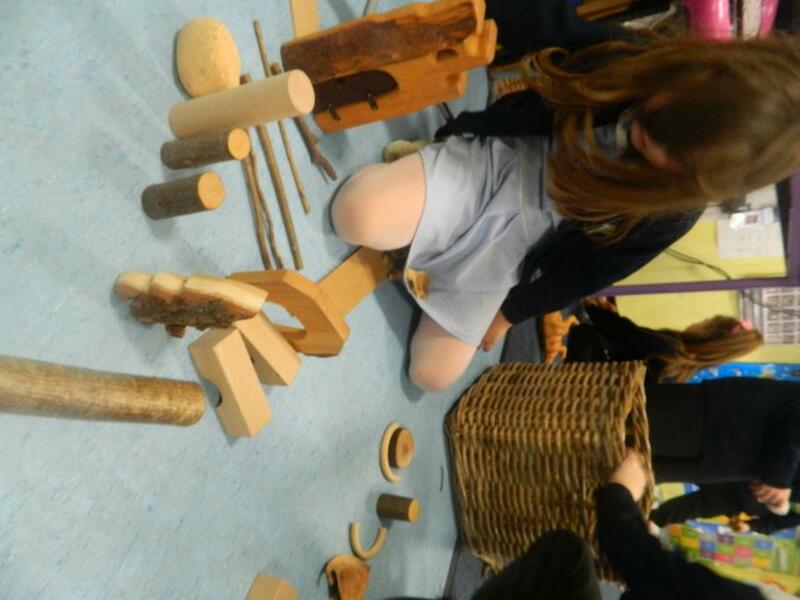 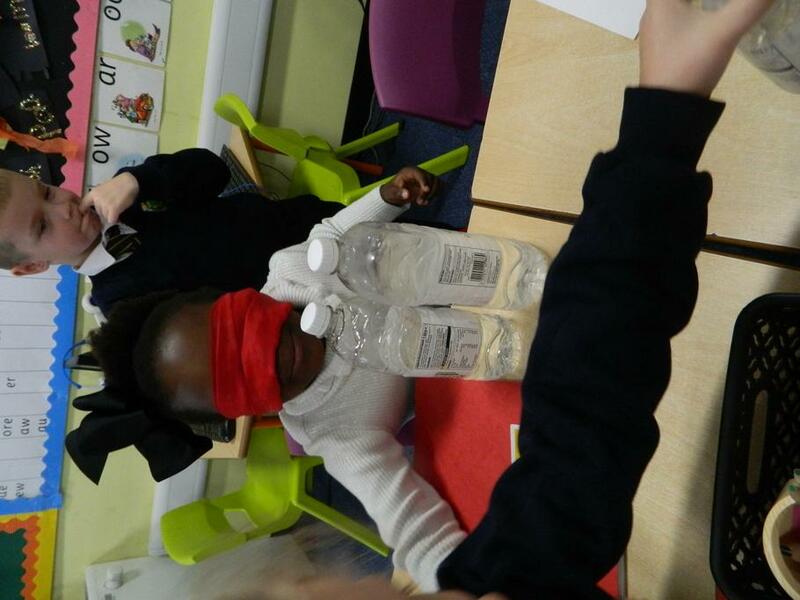 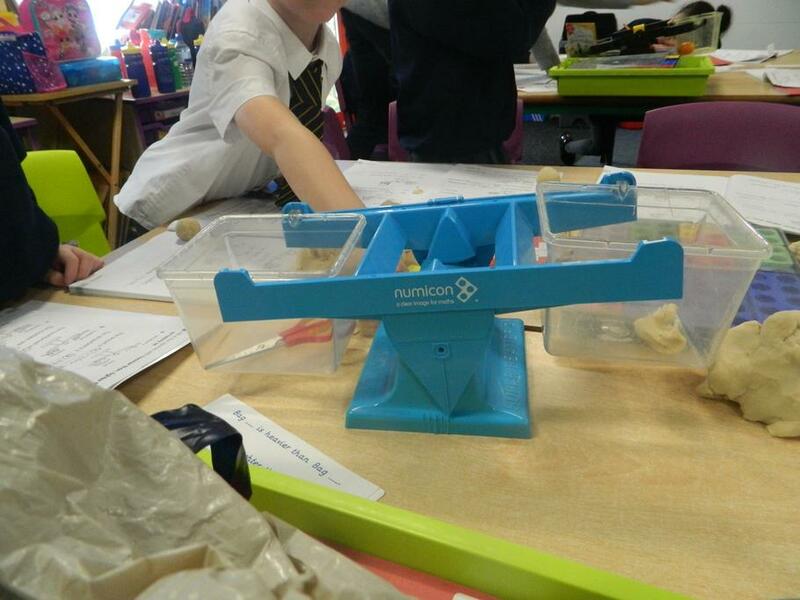 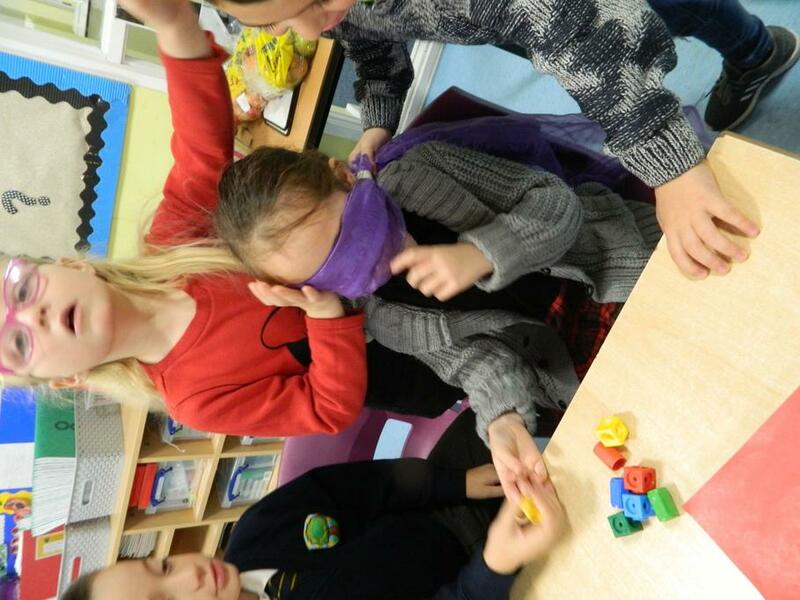 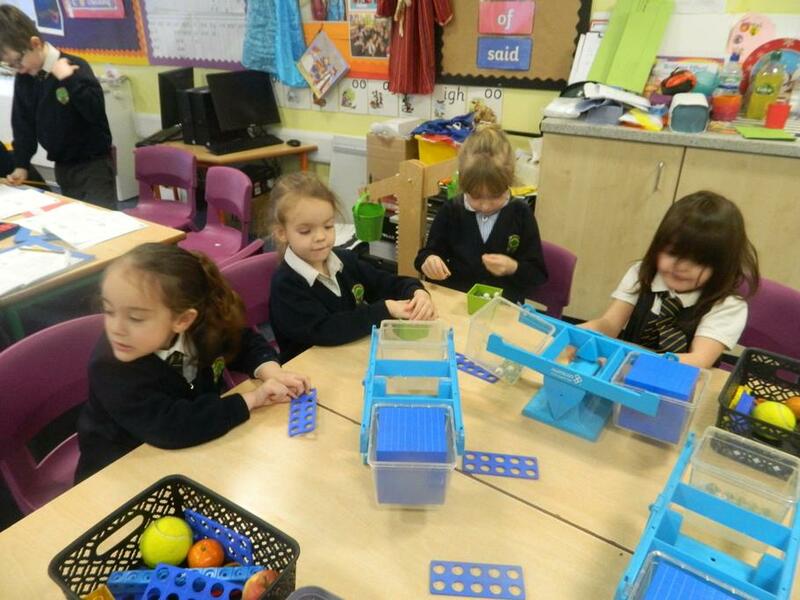 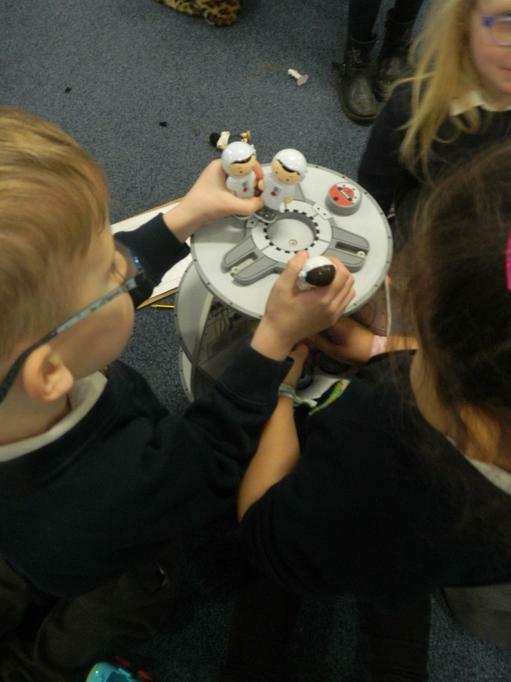 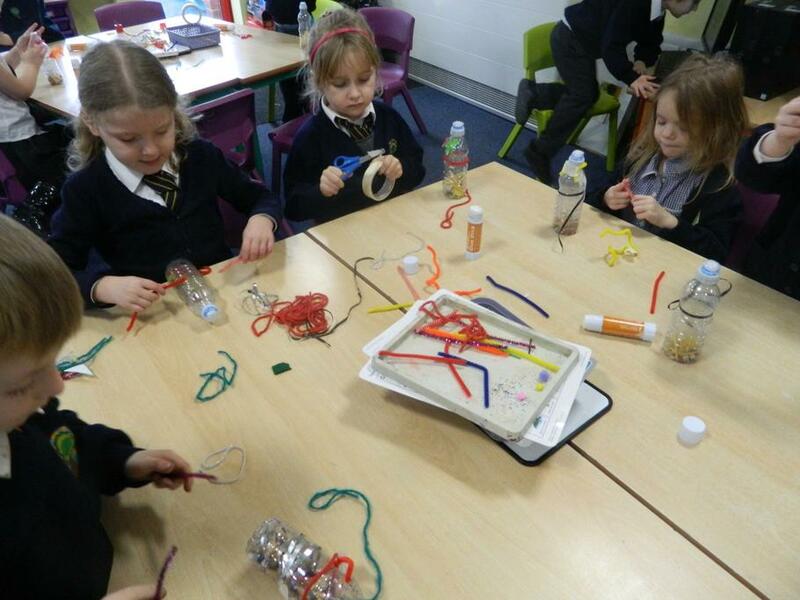 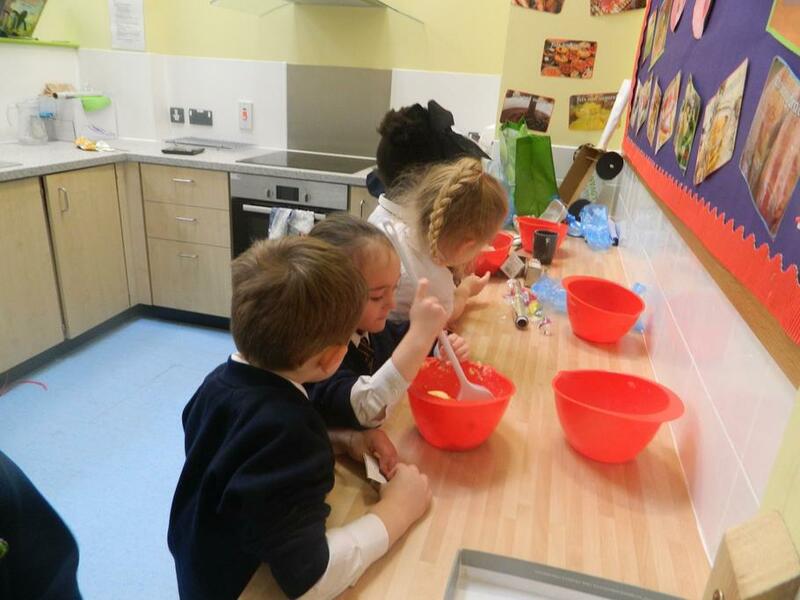 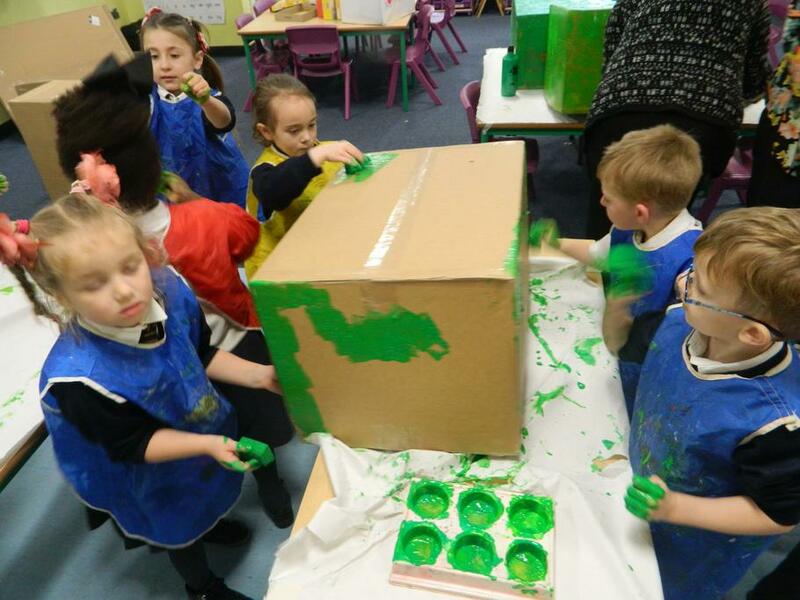 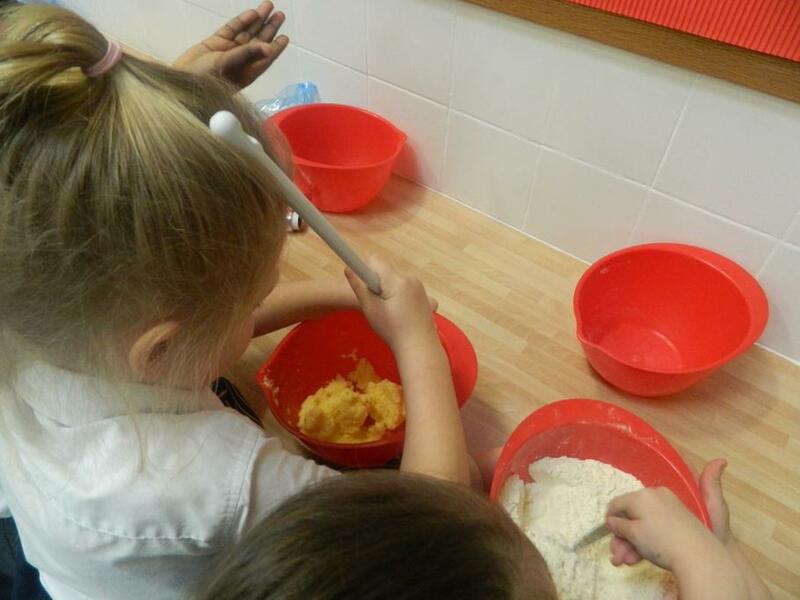 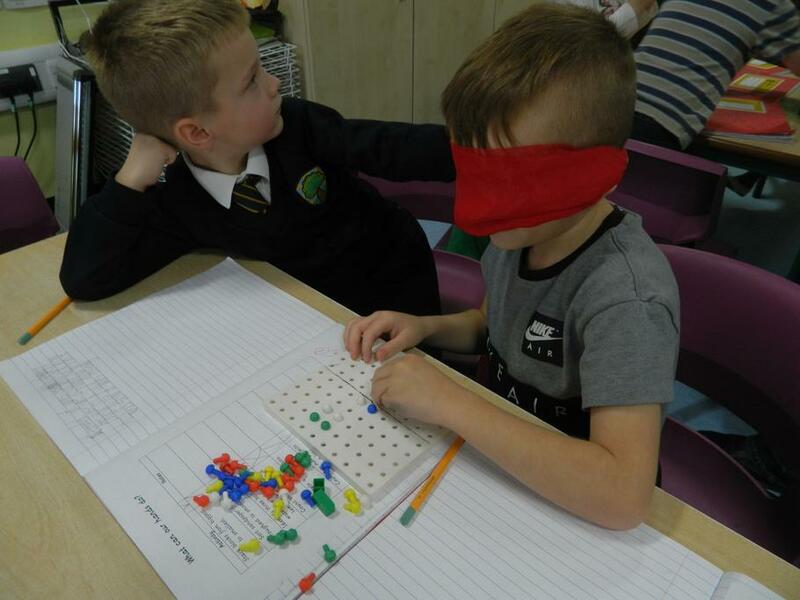 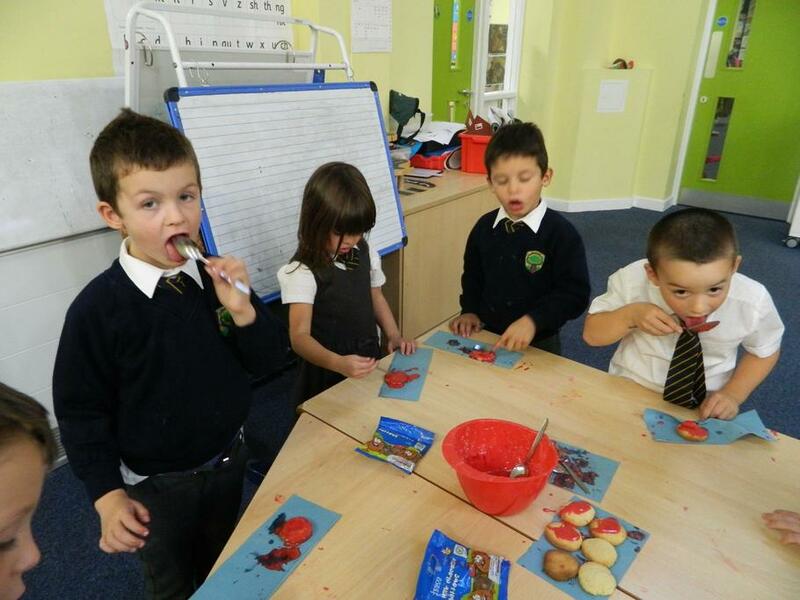 We involve the children in lots of hands on learning experiences with practical activities to keep our brains engaged! 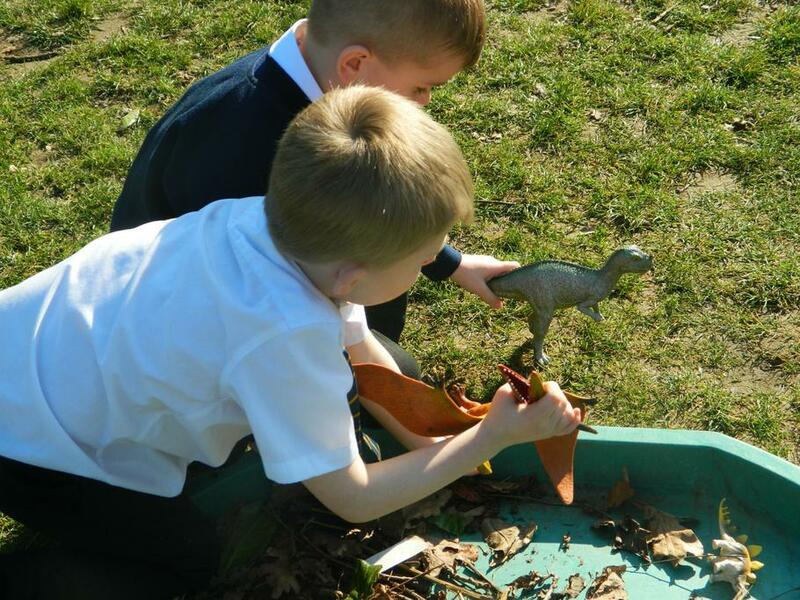 Year One is a very busy year, the children have an amazing time learning about animals, space, London, family history, Brazil, plants, woodlands, weather and dinosaurs. 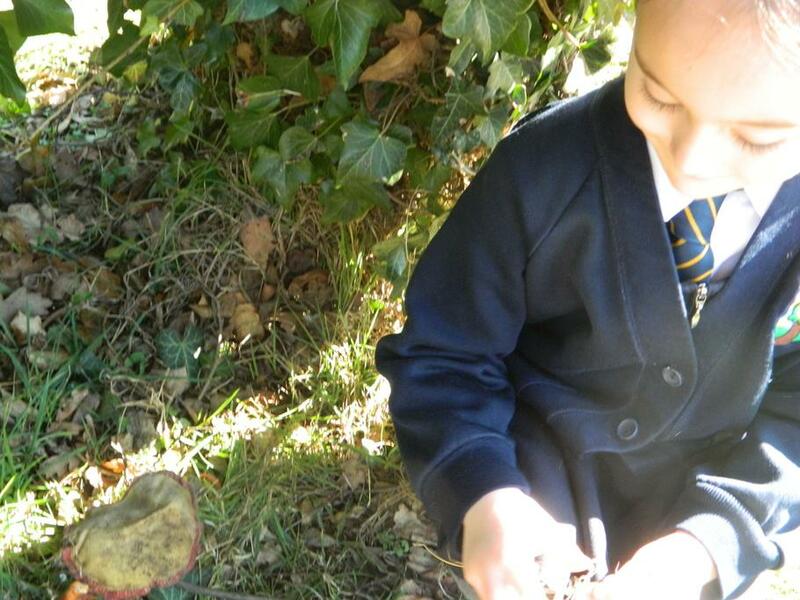 We explore a variety of stories, text and poetry, writing and performing our own pieces. 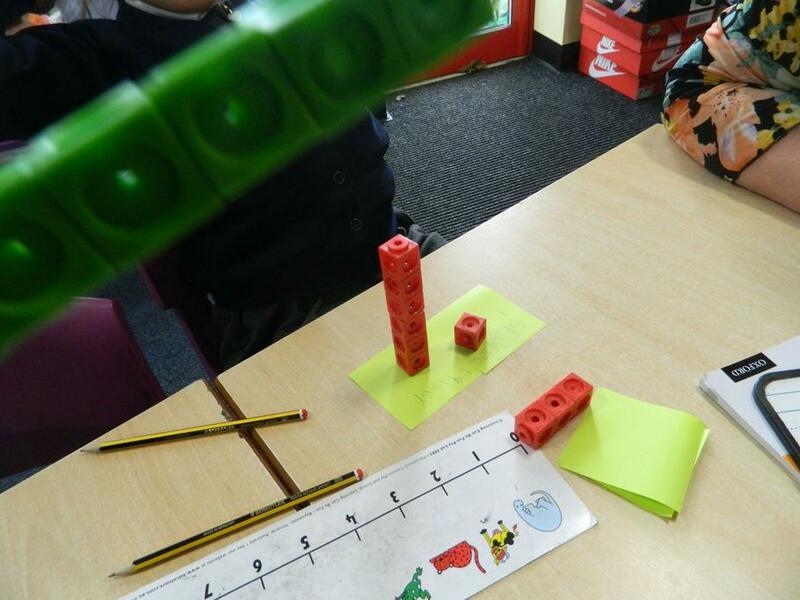 The children will investigate number and place value. 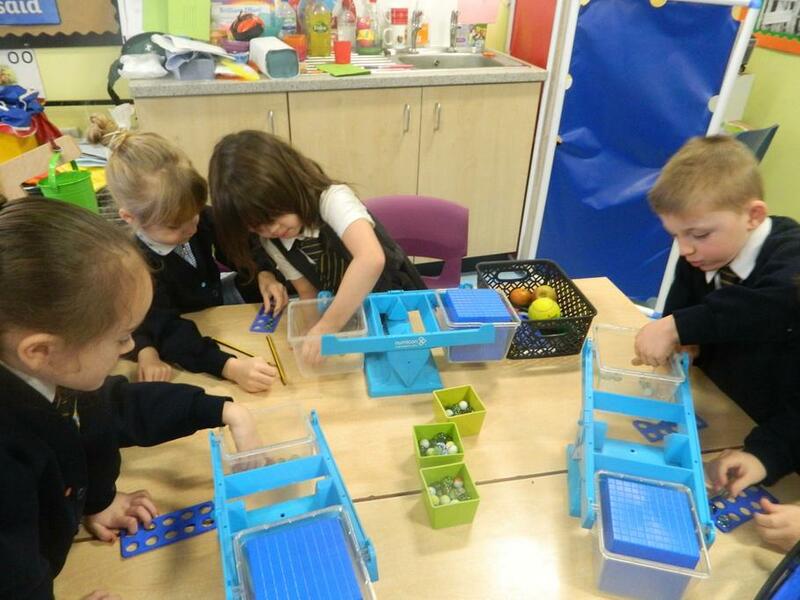 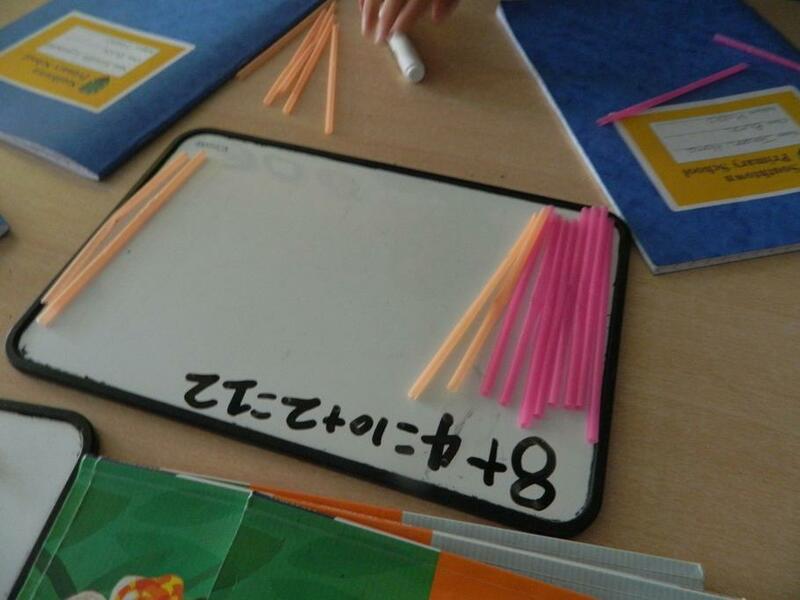 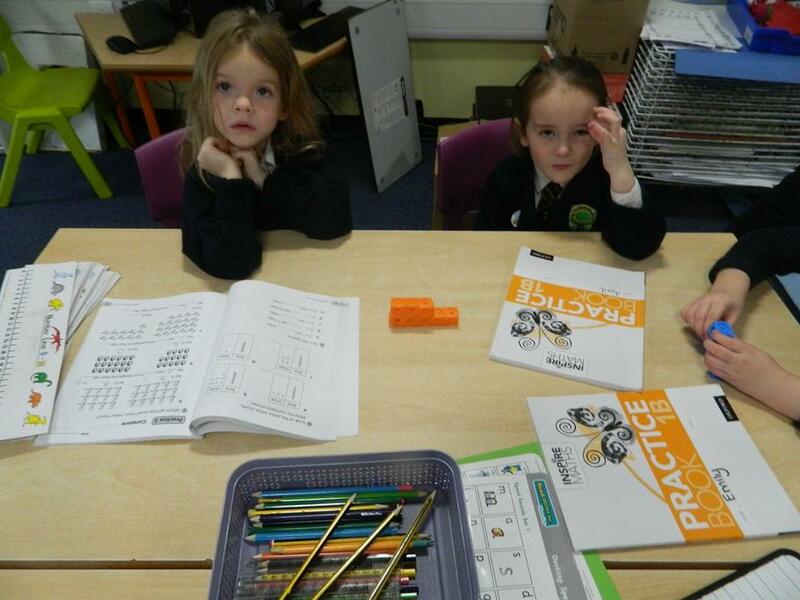 They will develop their understanding of measure and learn to problem solve in mathematics. 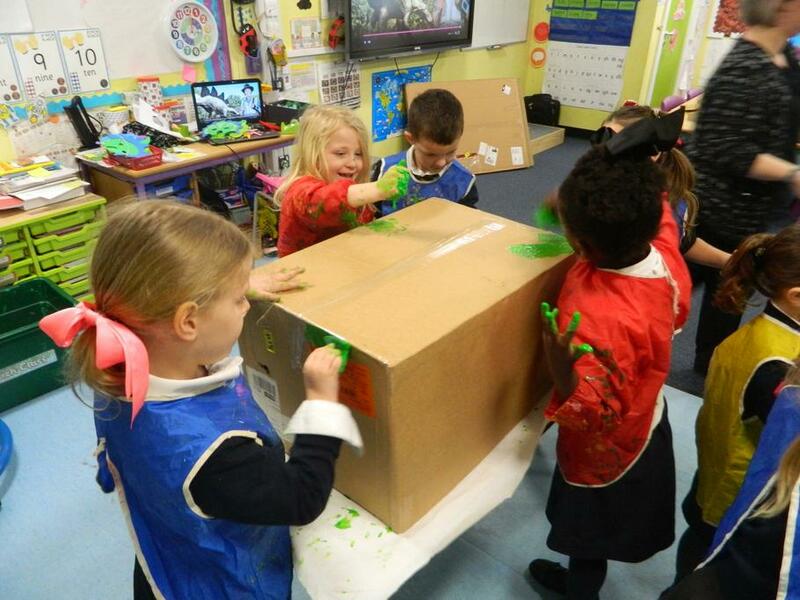 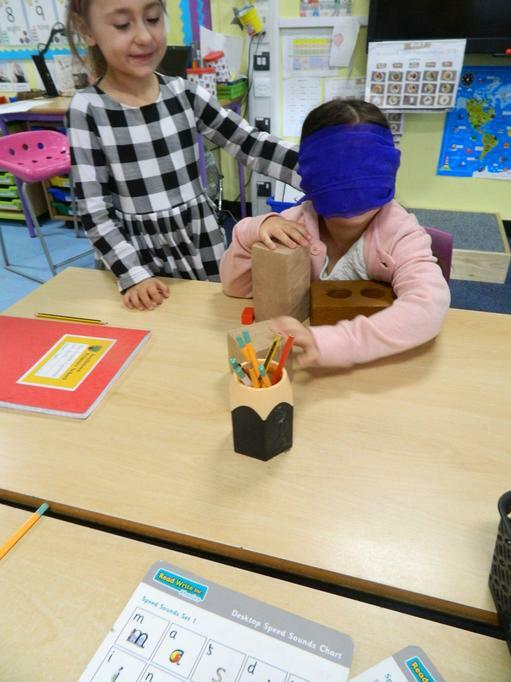 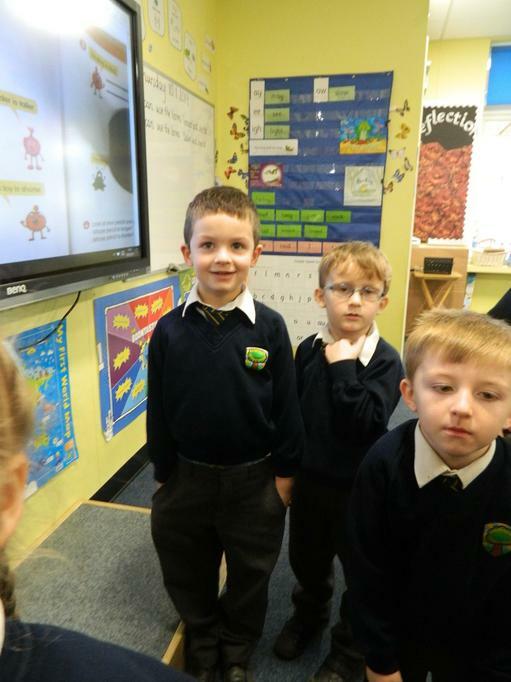 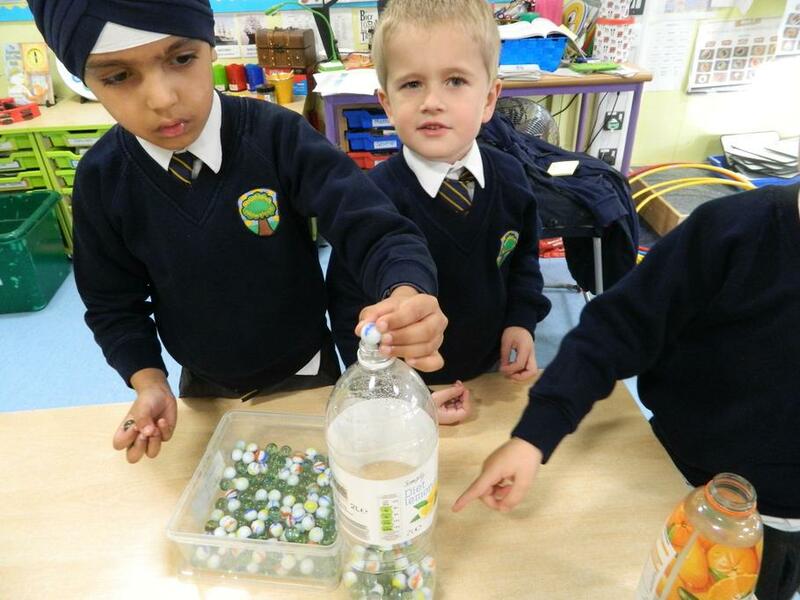 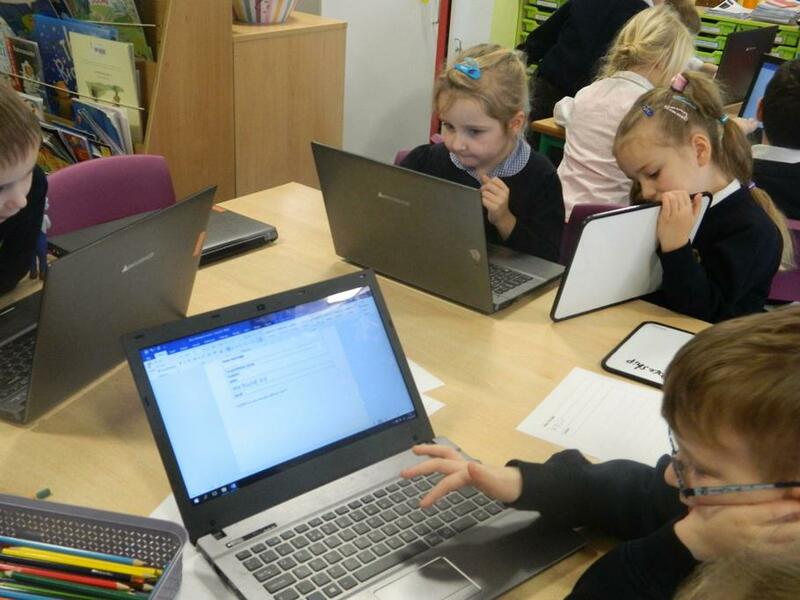 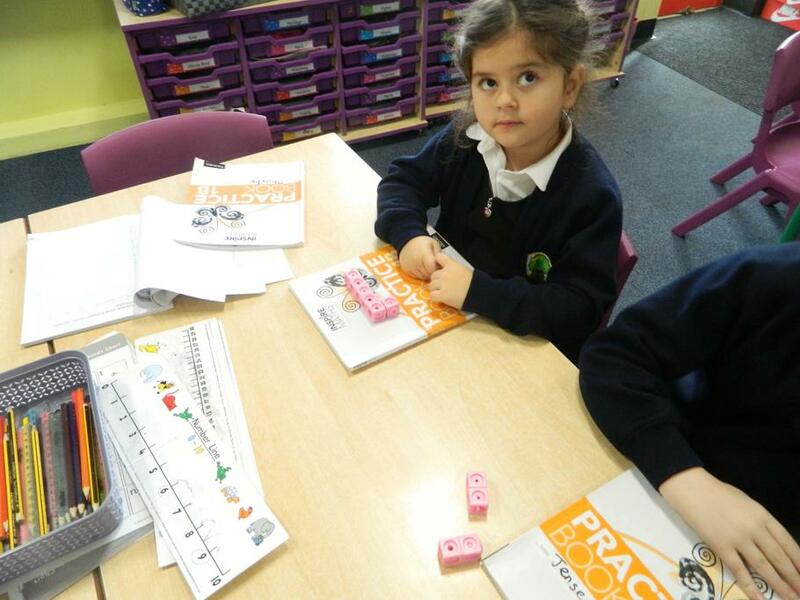 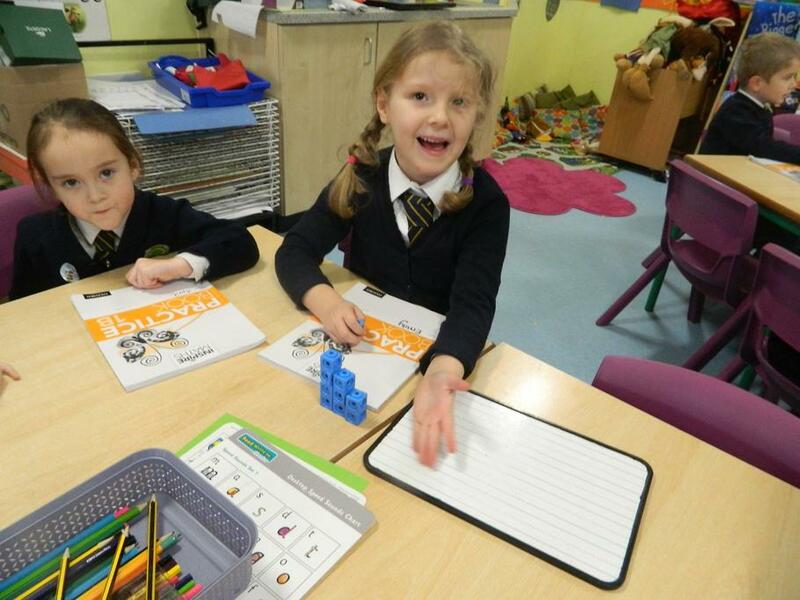 Children in Year One are offered a broad and engaging curriculum where they are encouraged to develop their independence, interests and strengths in both their academic progression and social awareness. 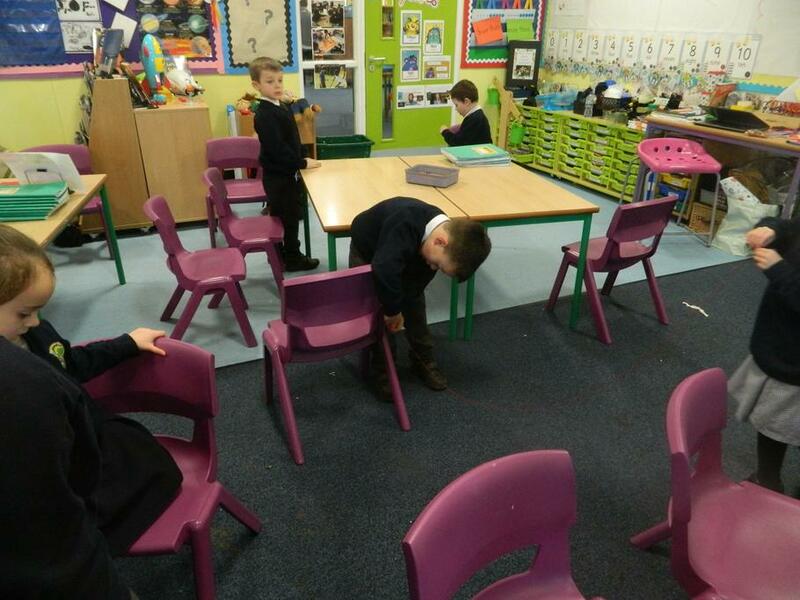 Welcome to Birch Class... 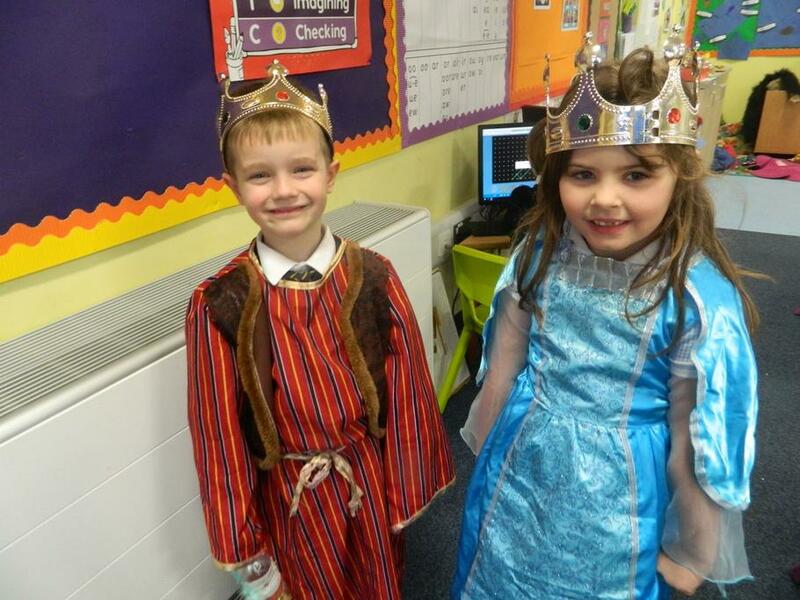 Some of us are dressed up for Roald Dahl Day!